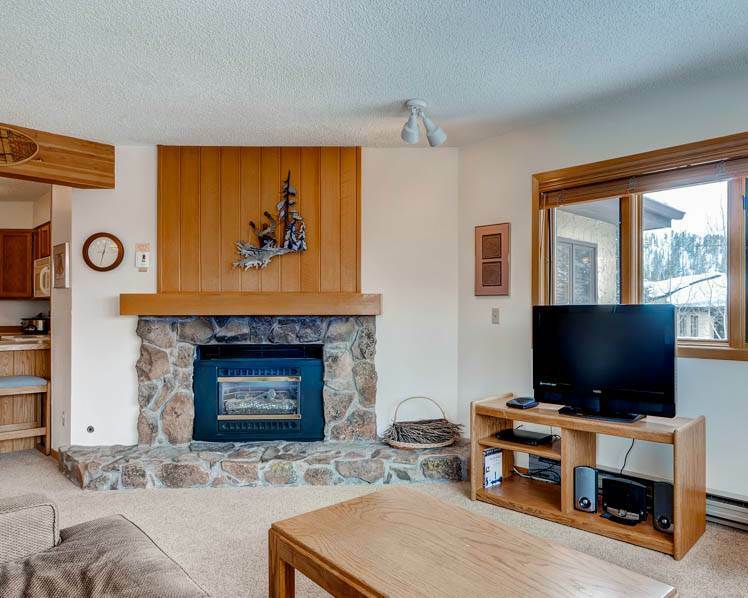 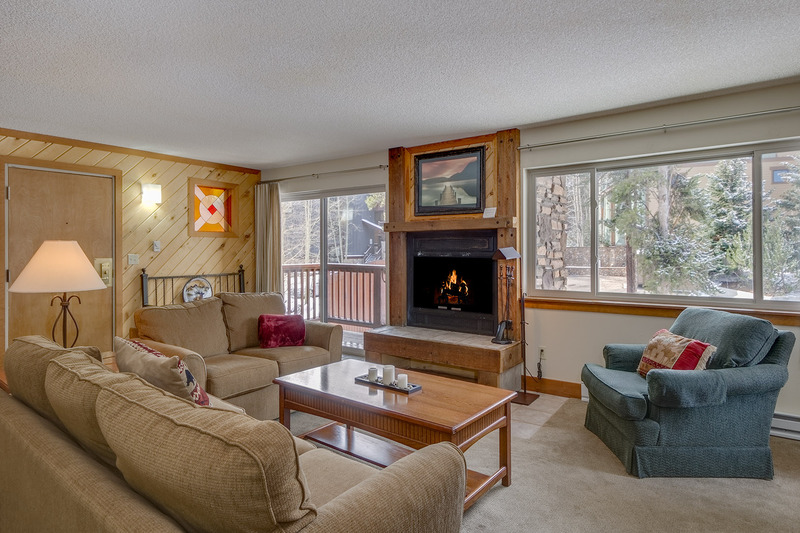 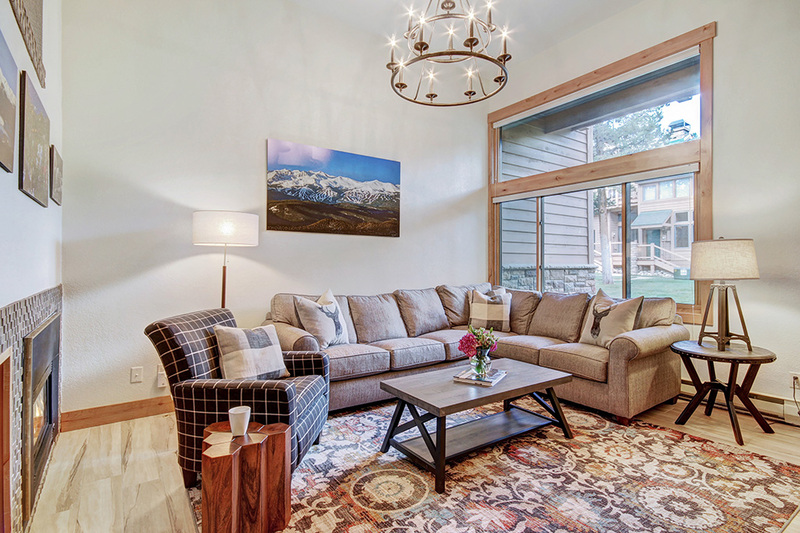 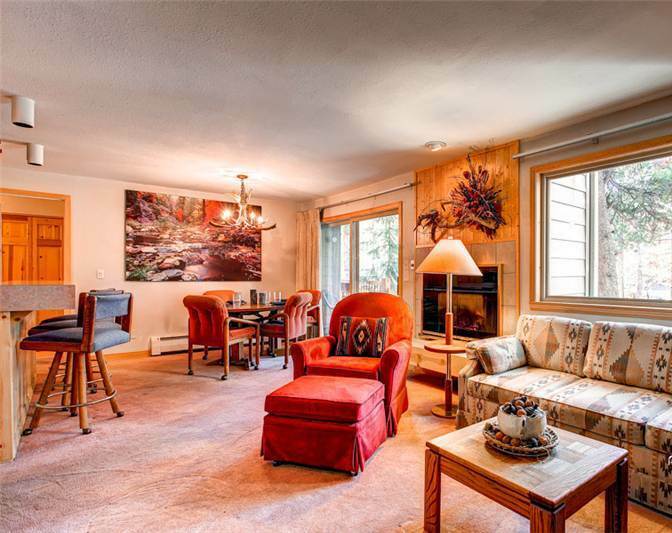 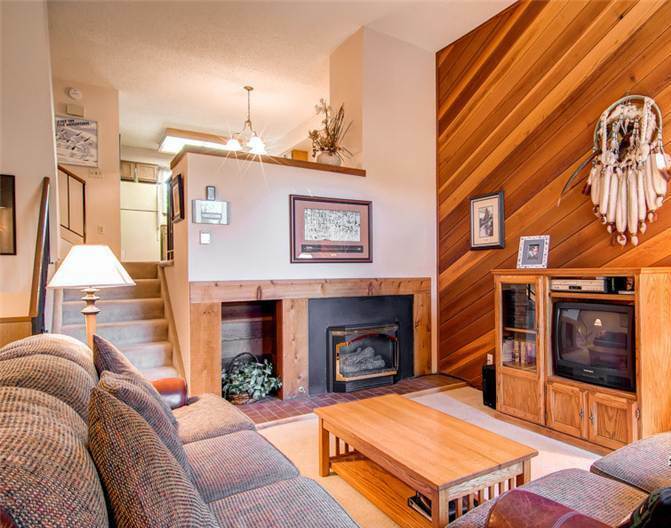 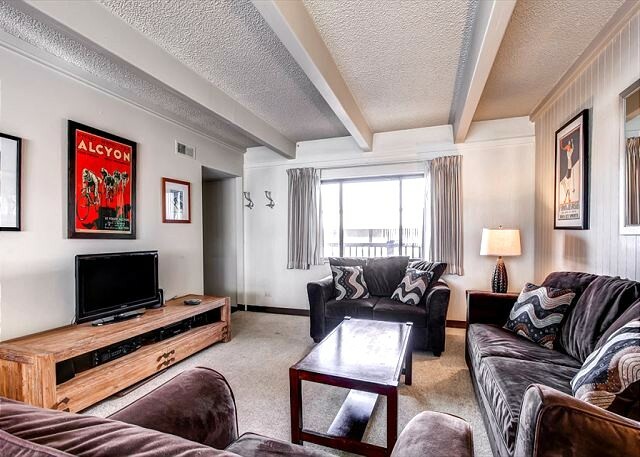 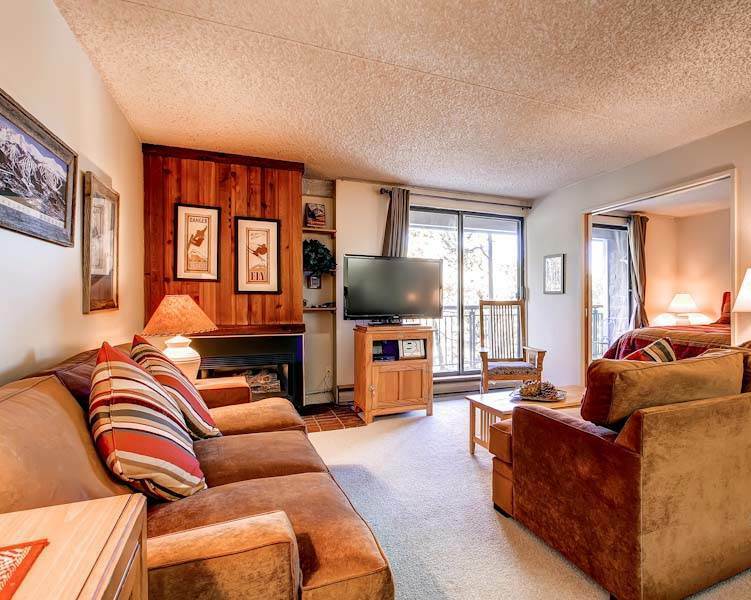 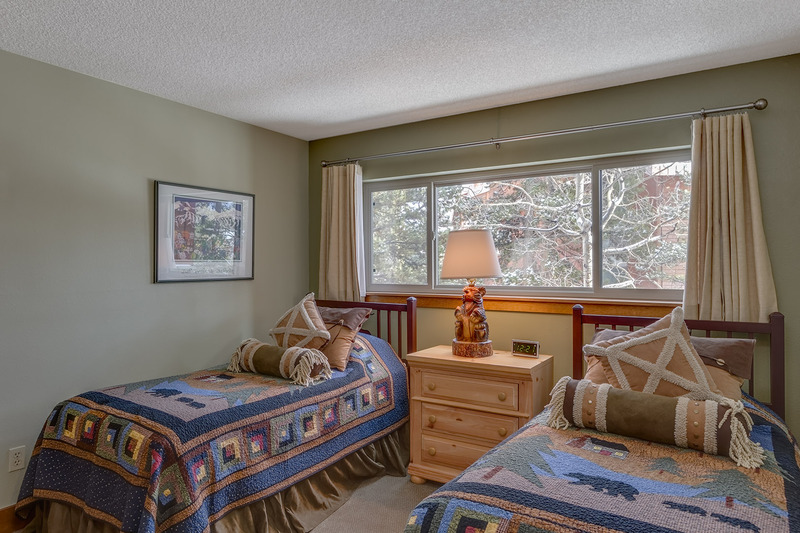 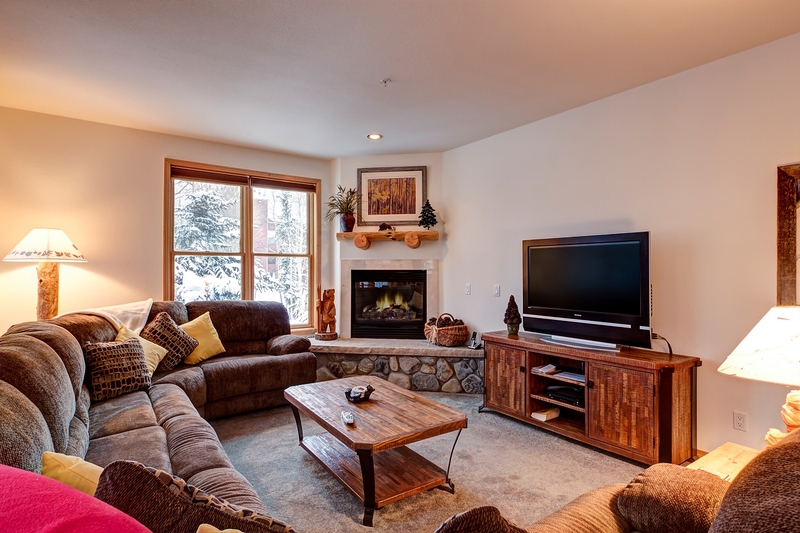 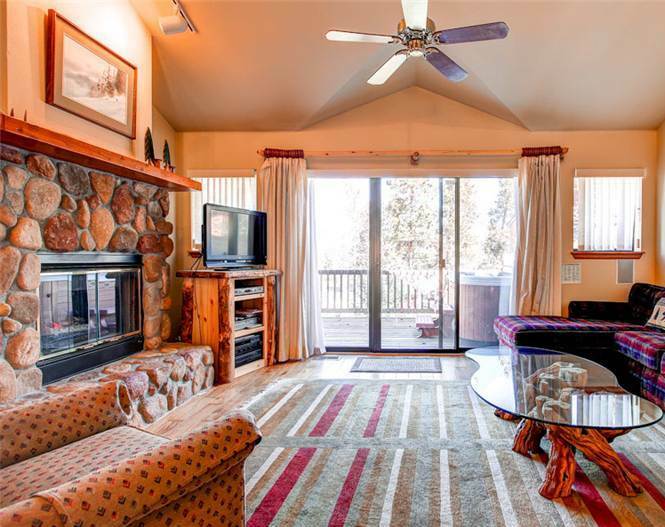 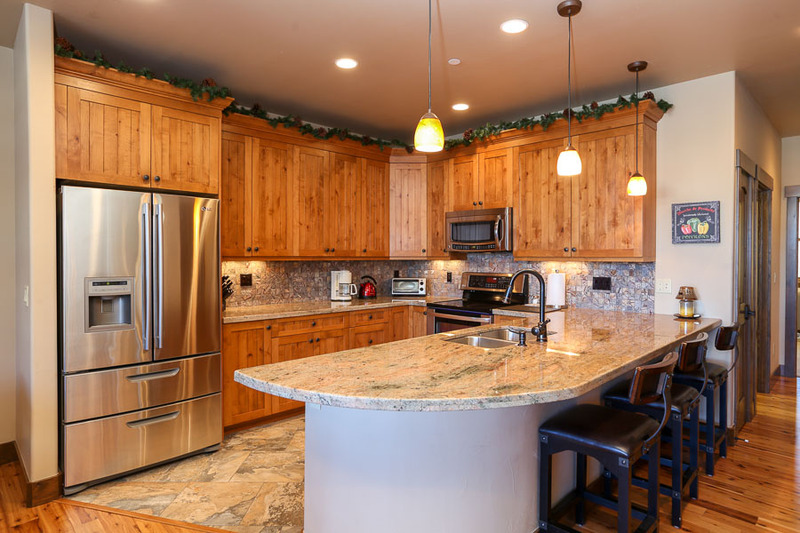 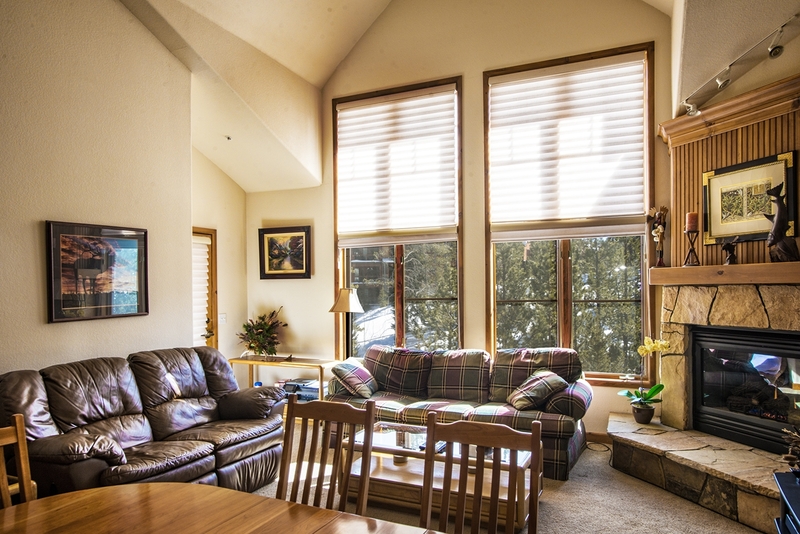 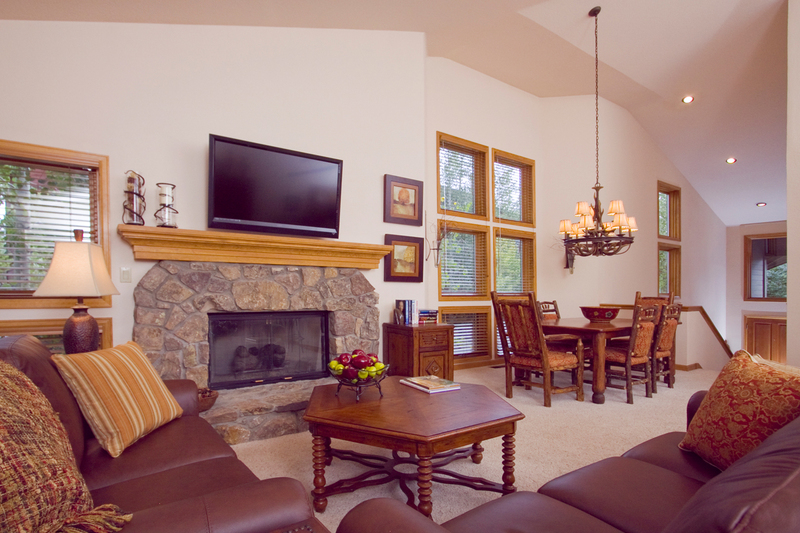 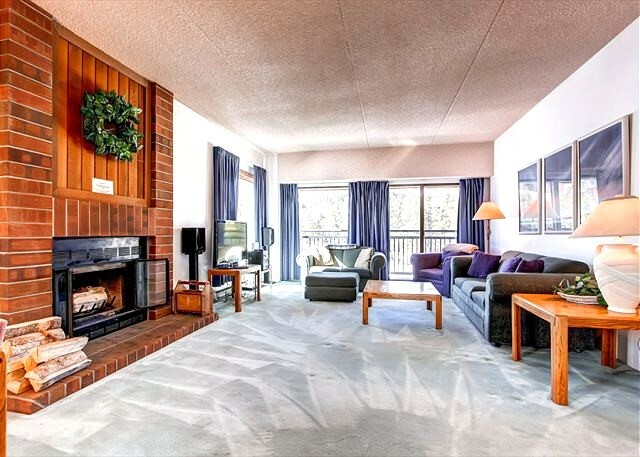 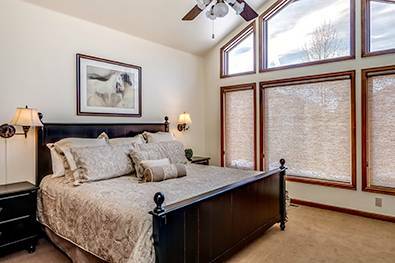 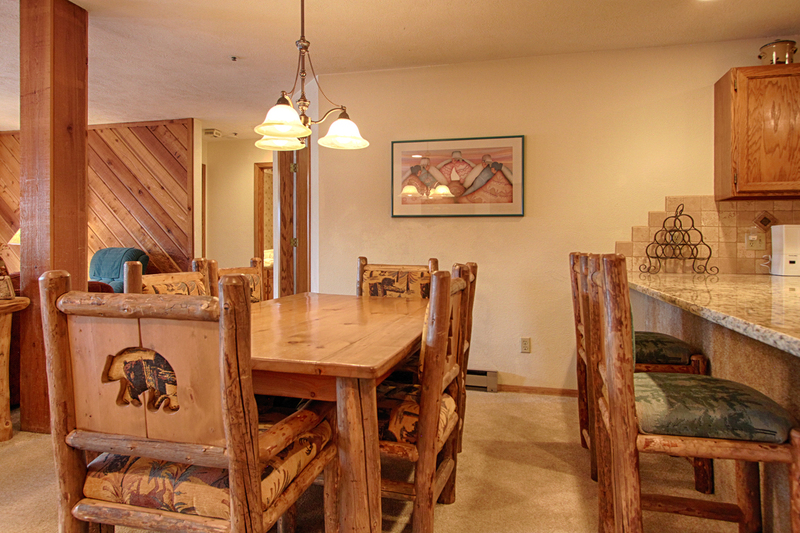 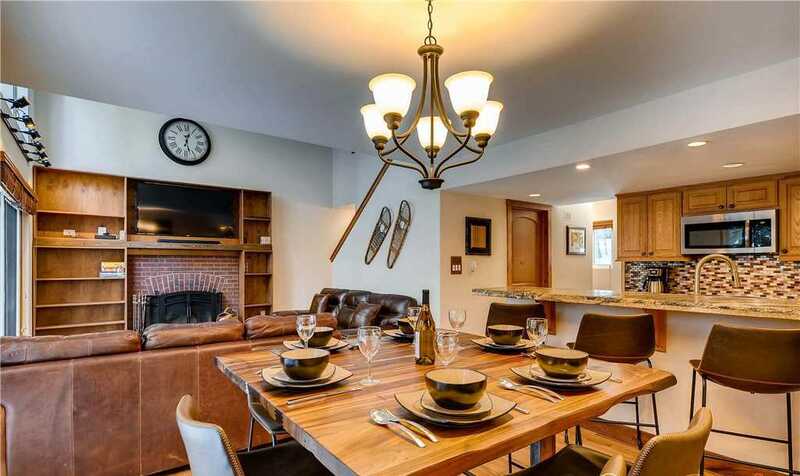 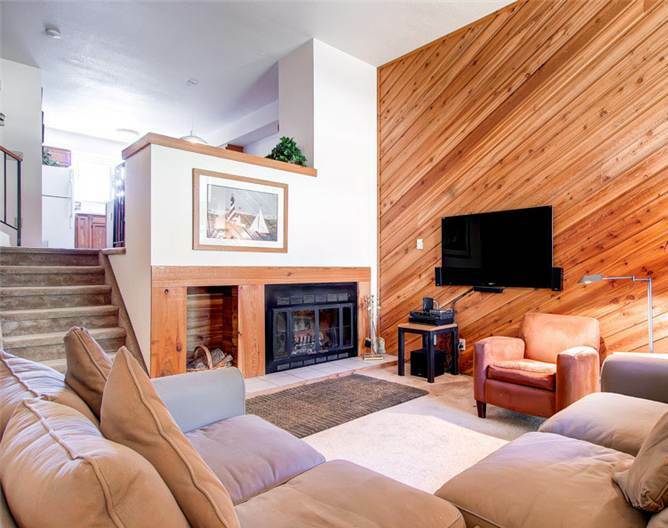 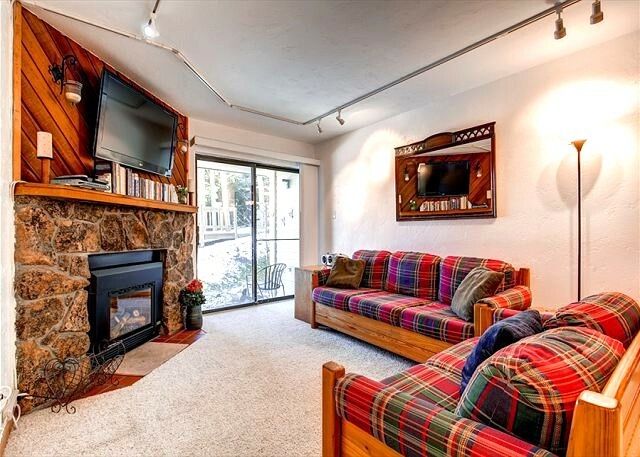 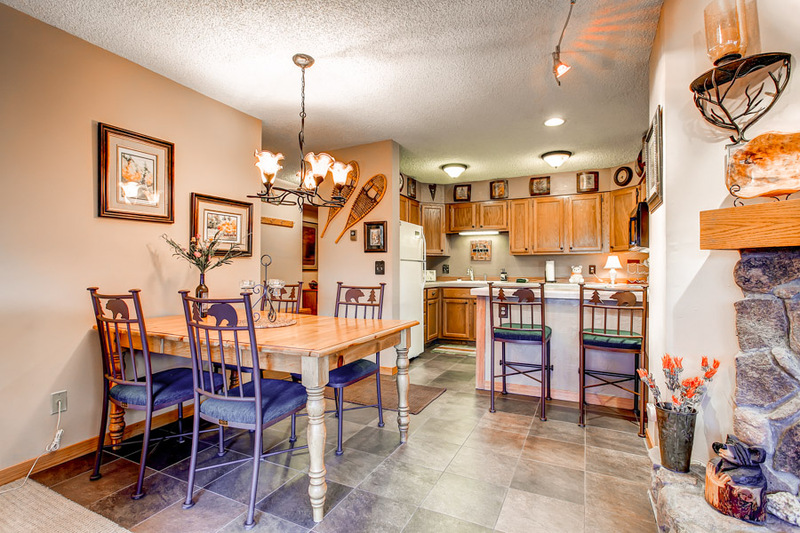 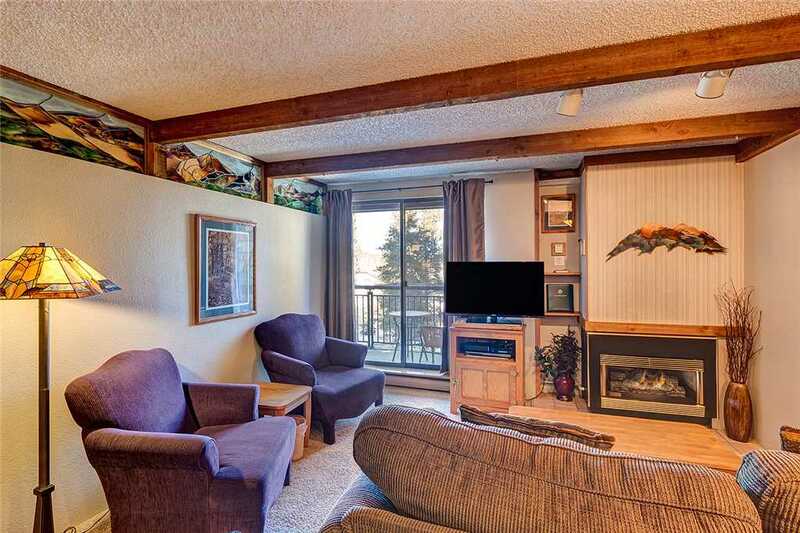 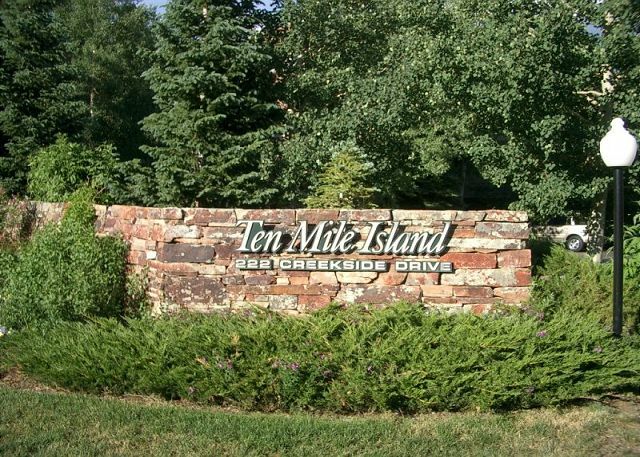 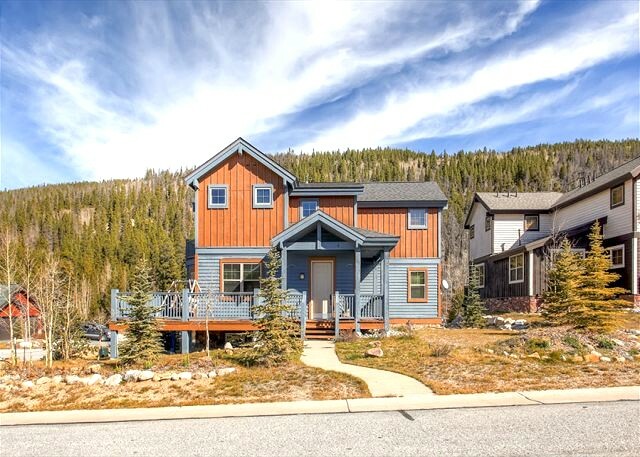 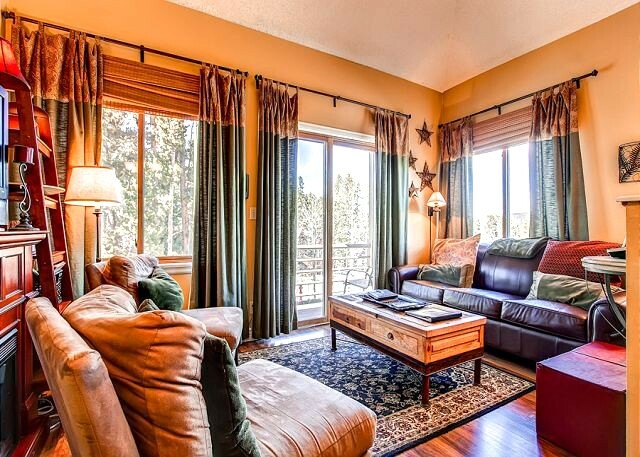 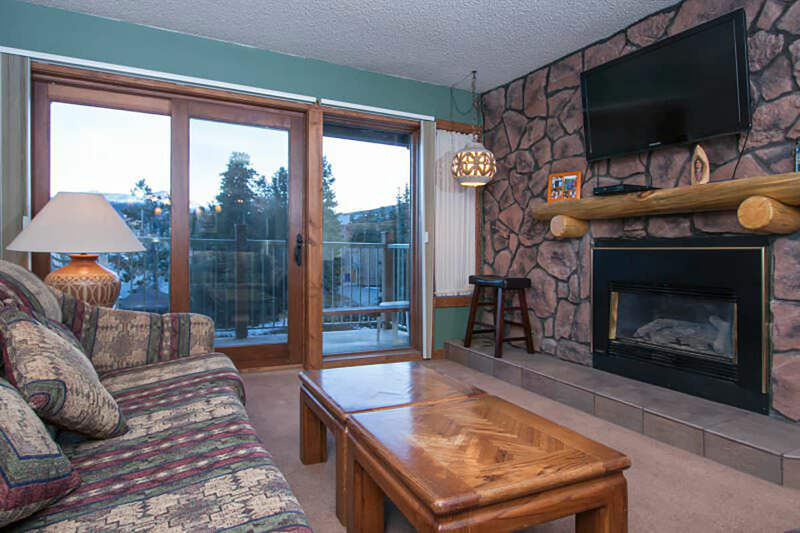 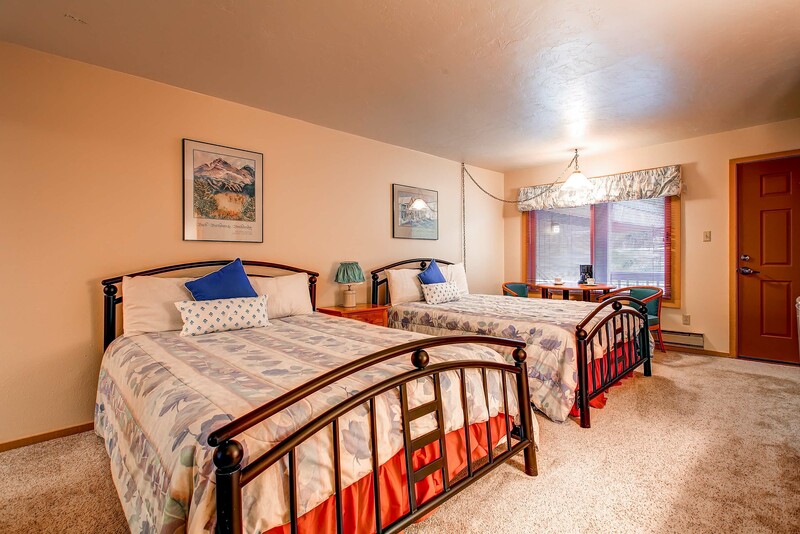 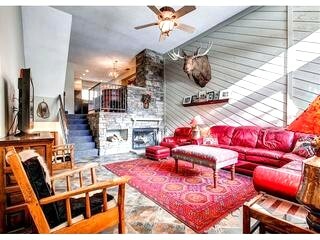 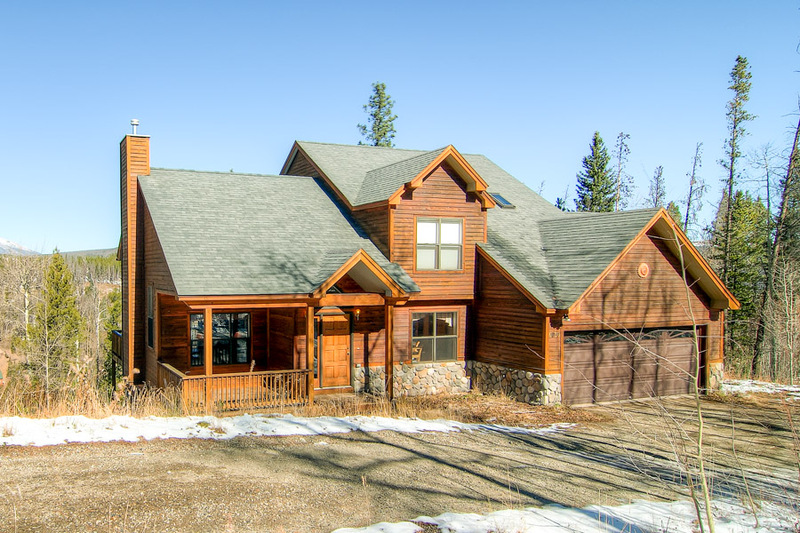 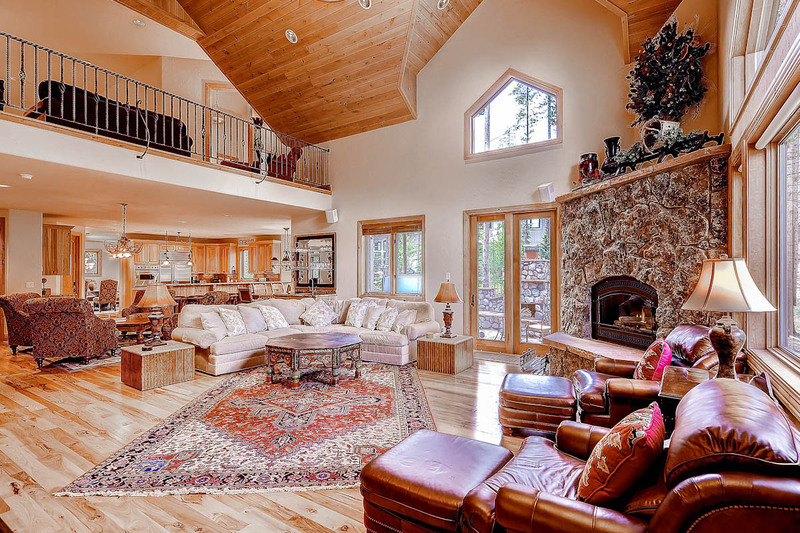 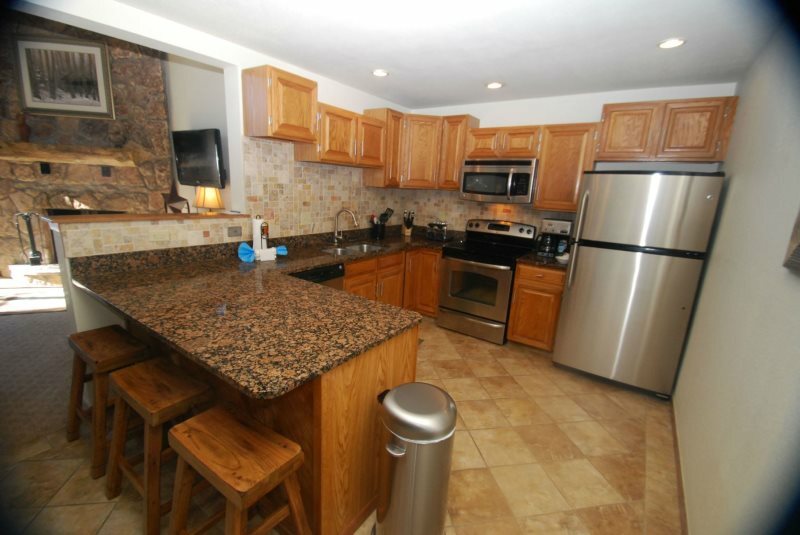 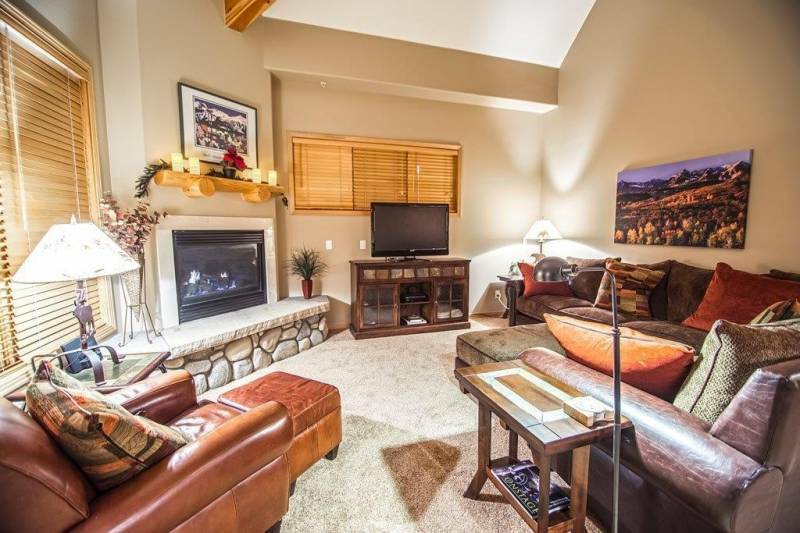 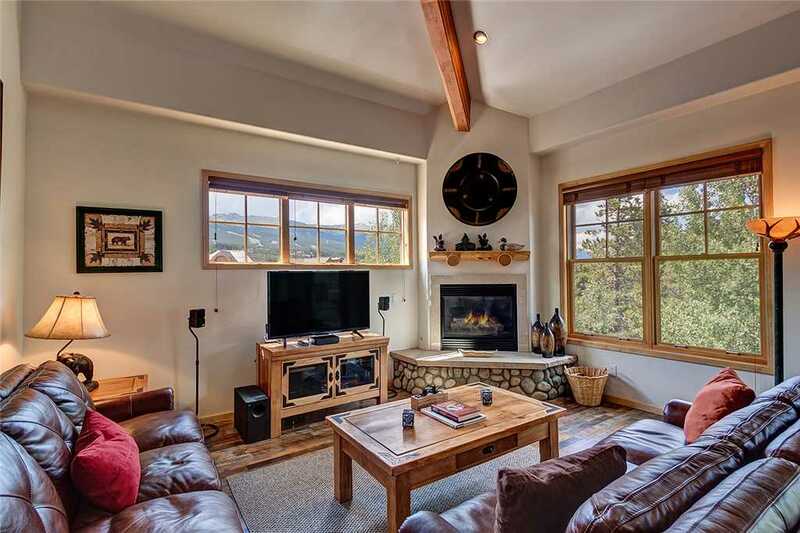 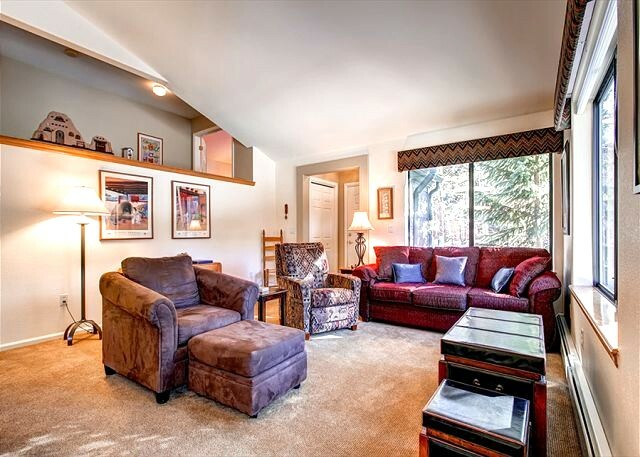 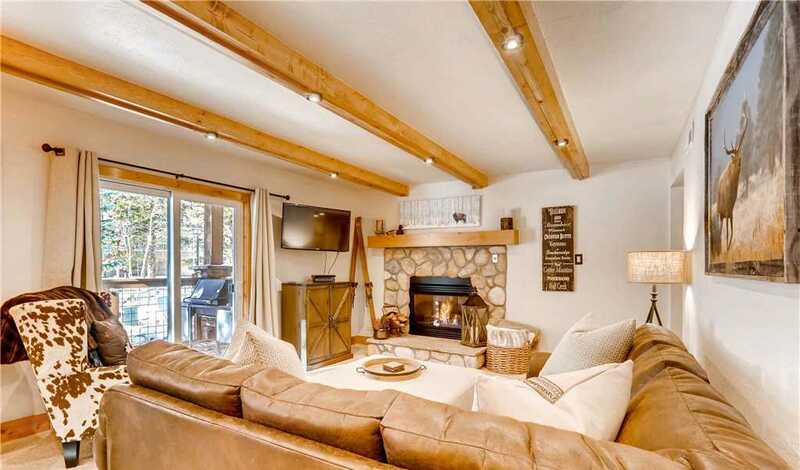 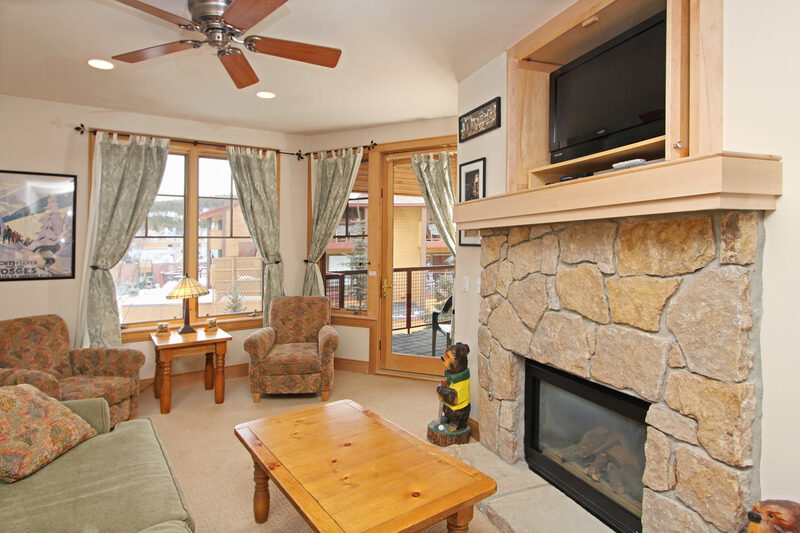 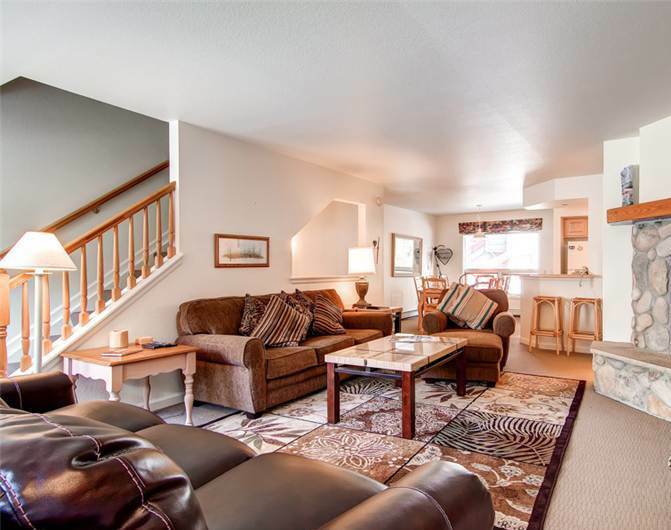 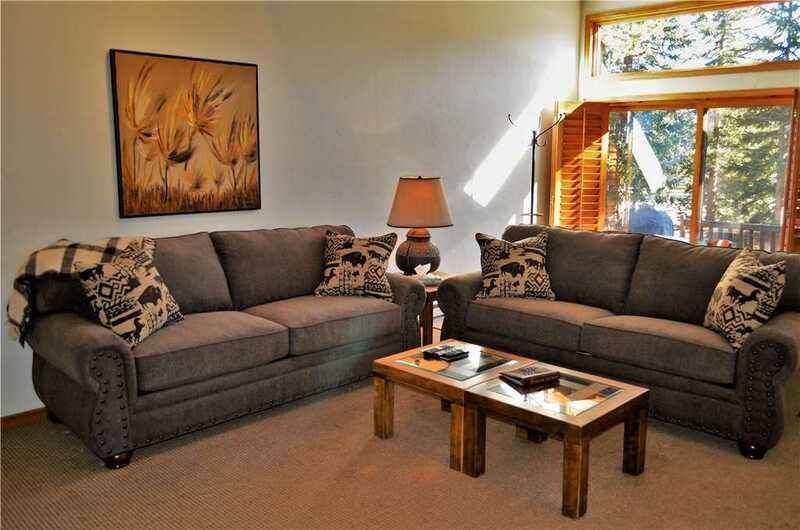 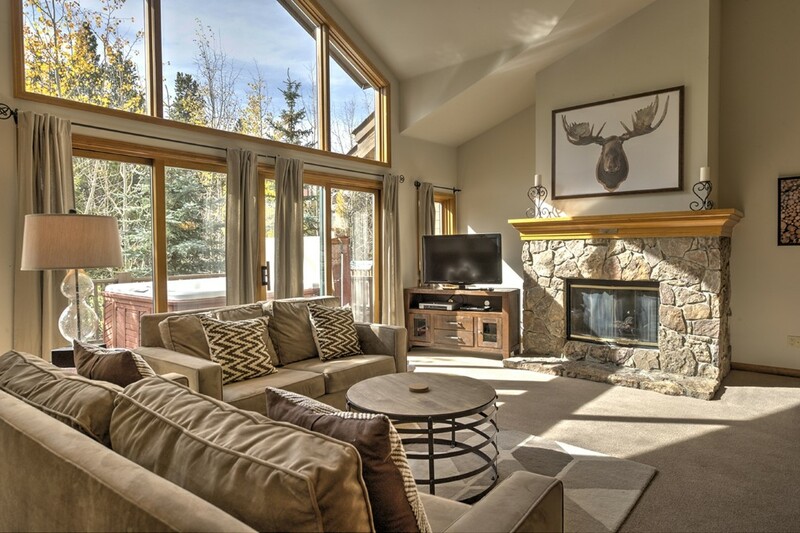 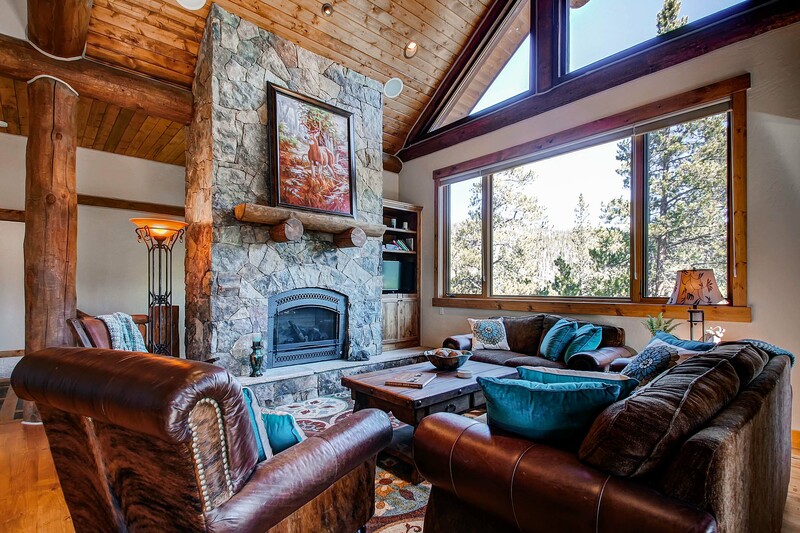 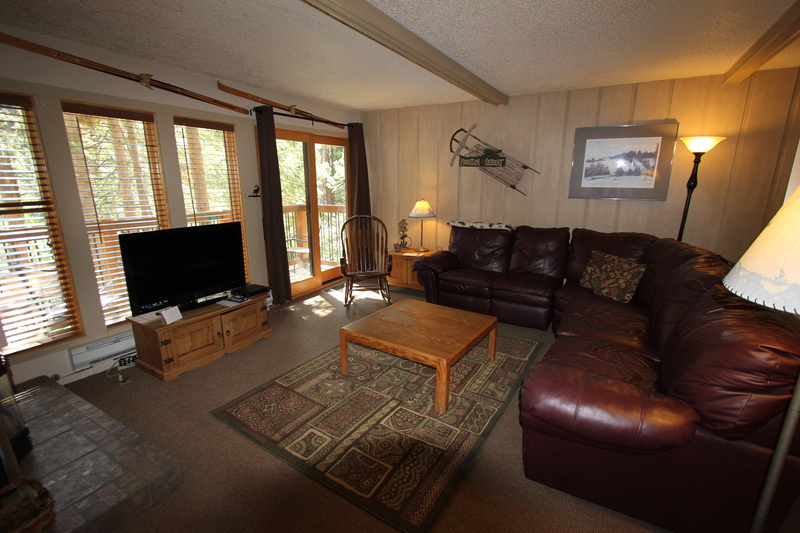 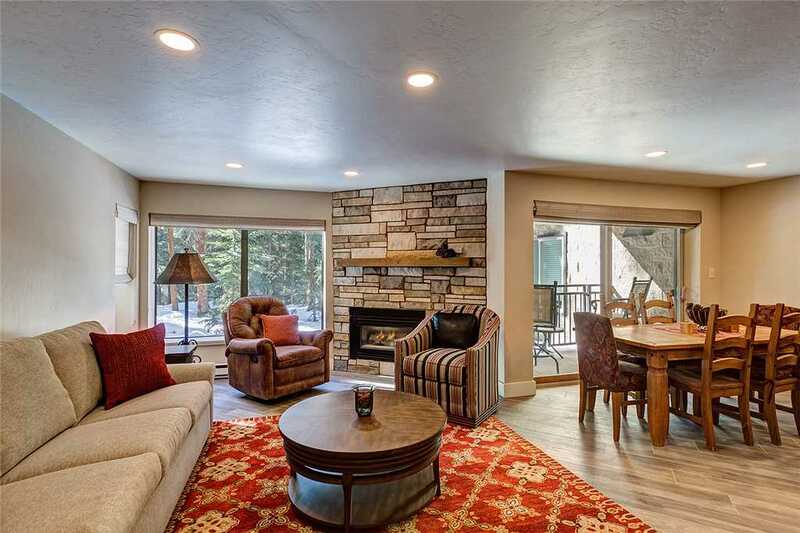 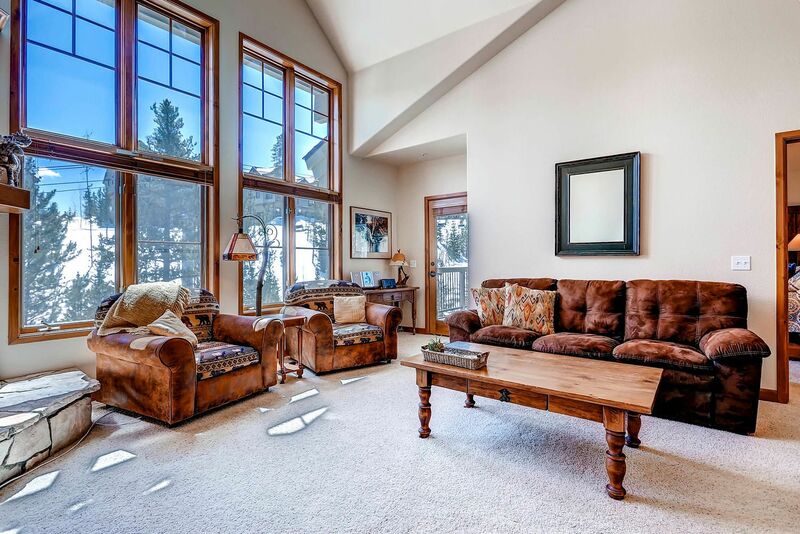 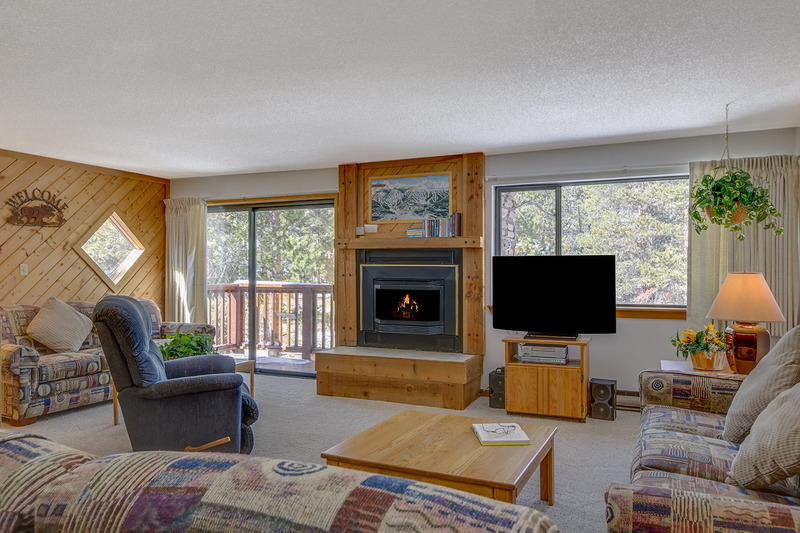 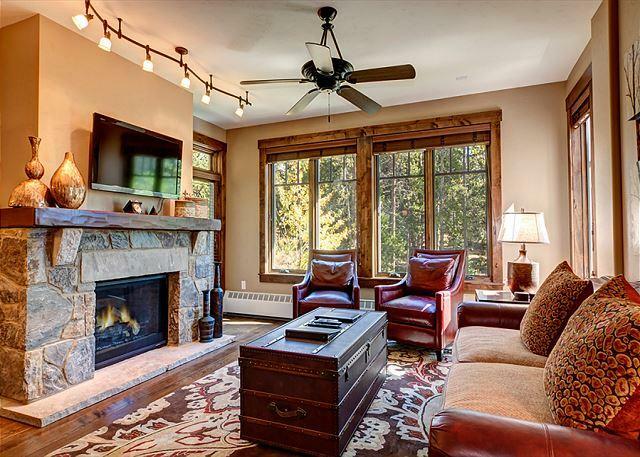 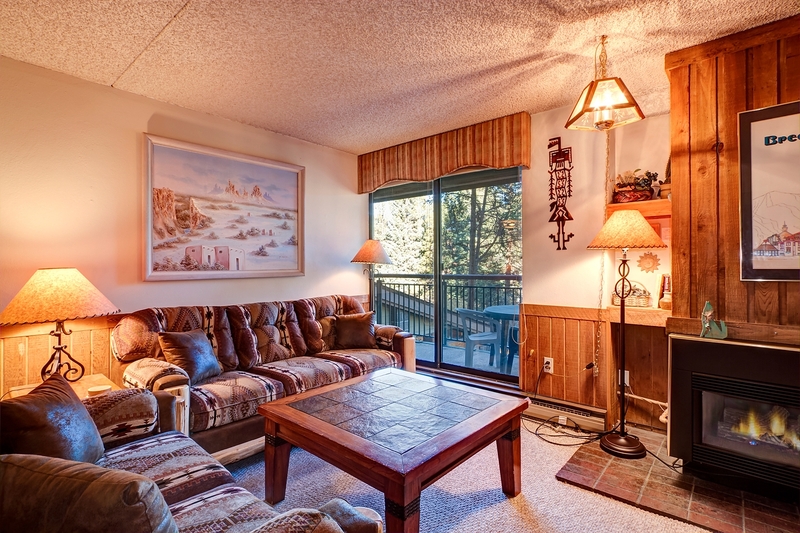 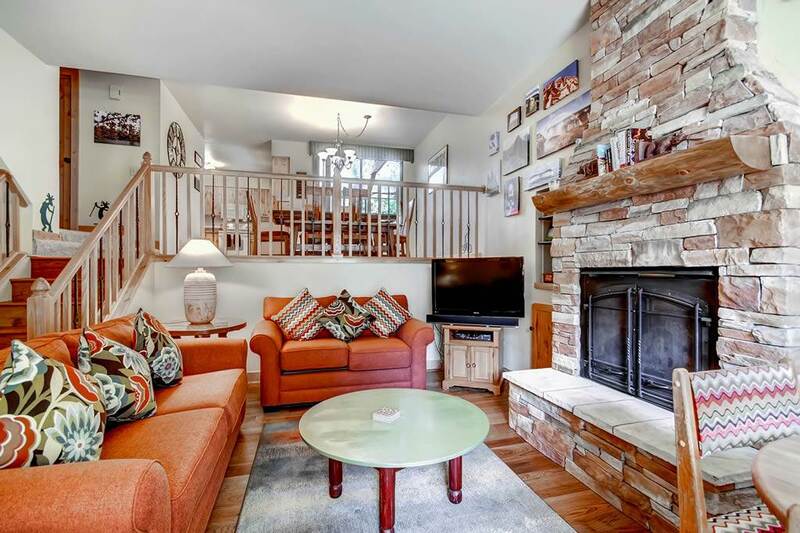 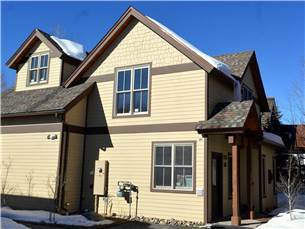 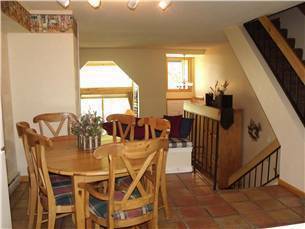 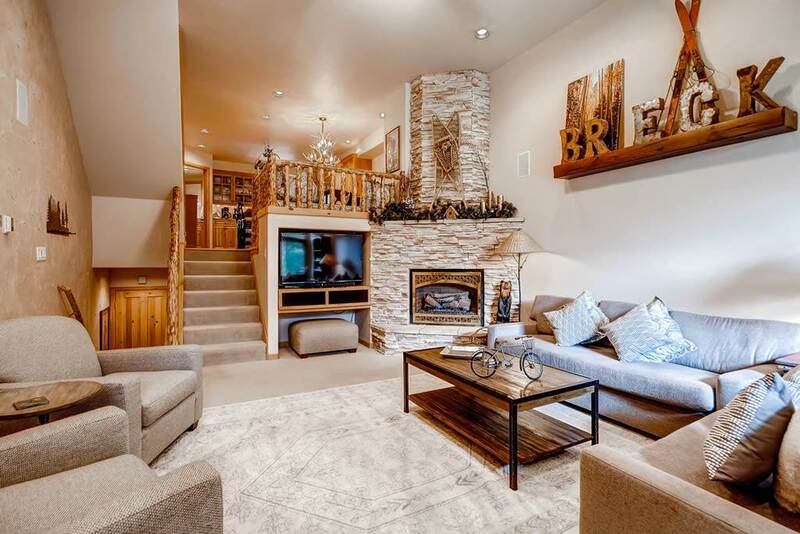 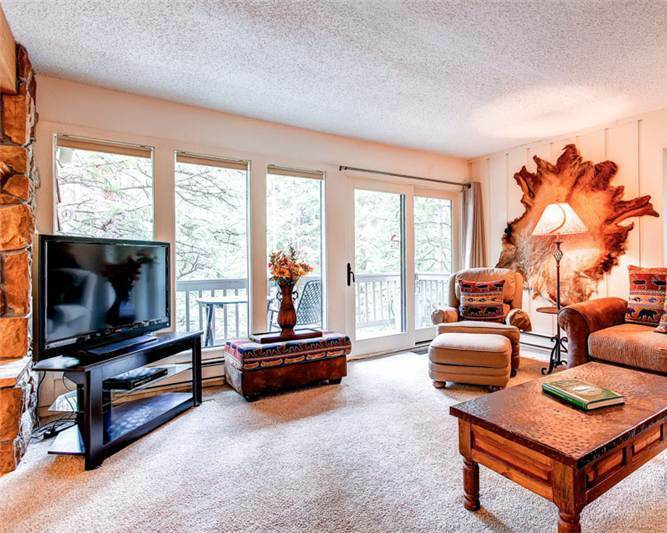 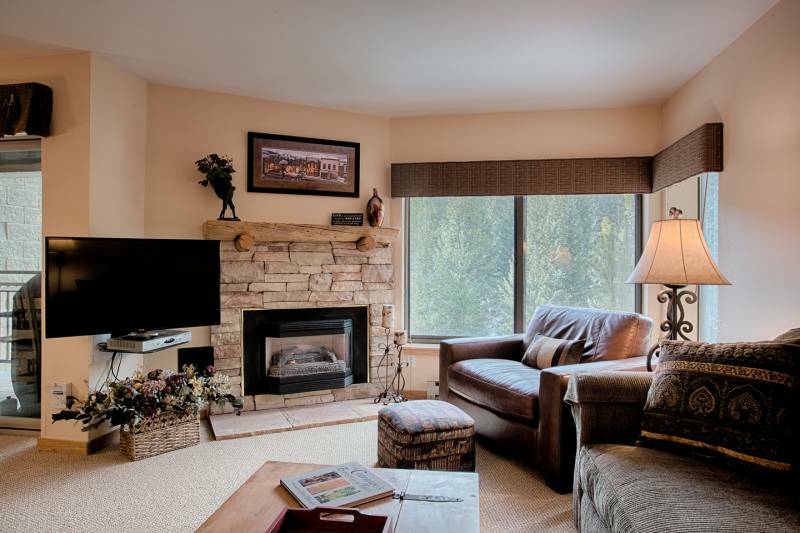 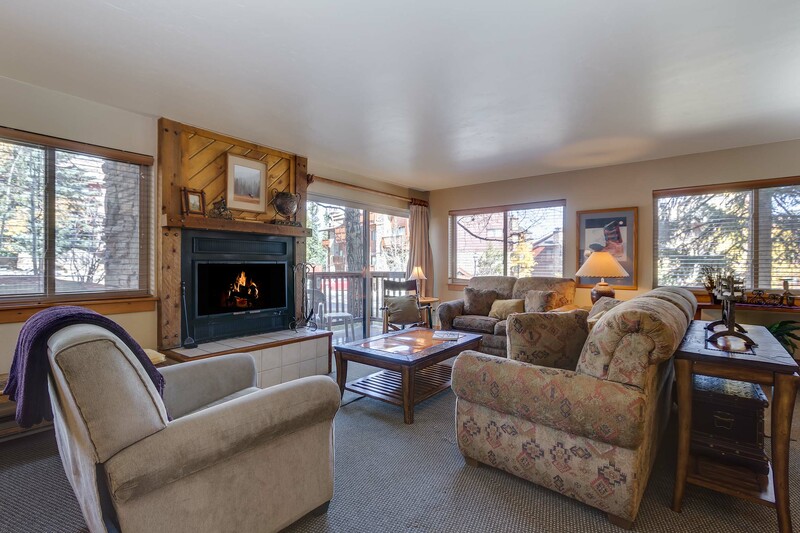 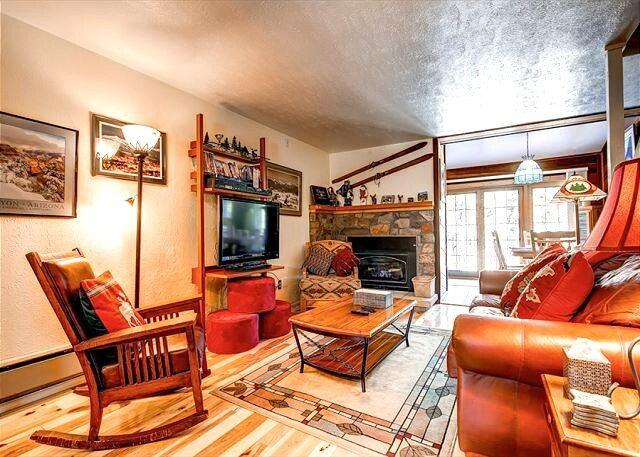 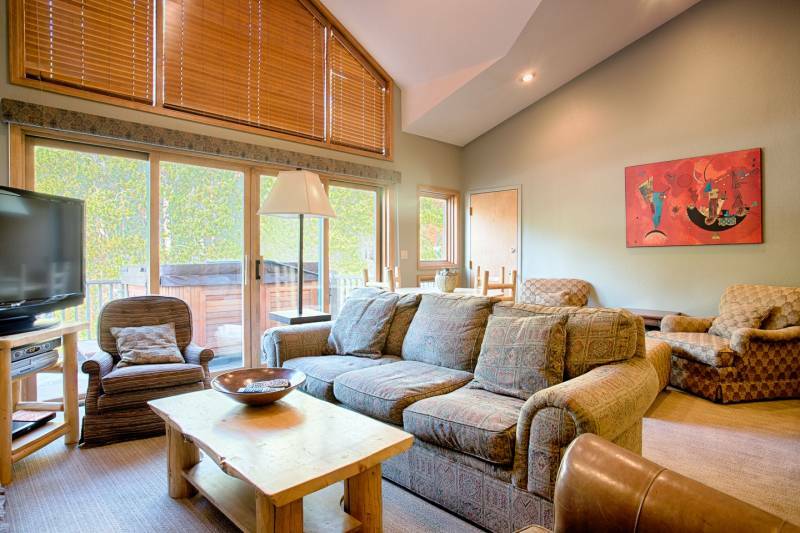 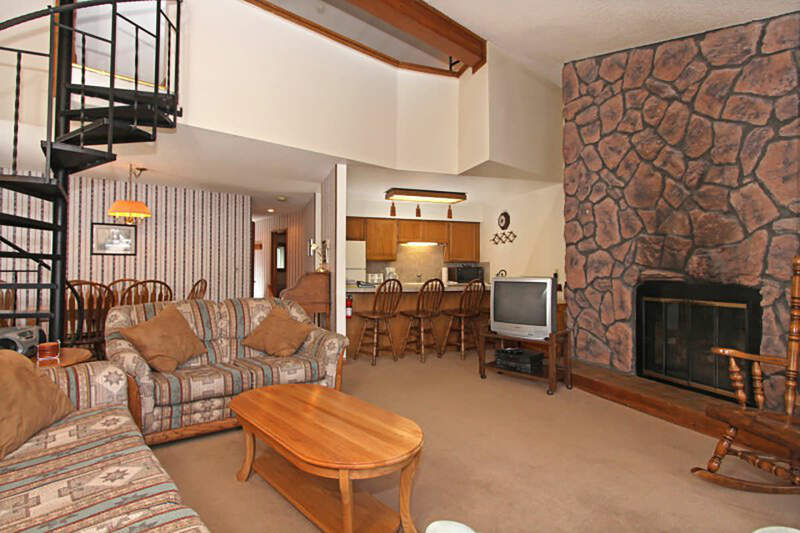 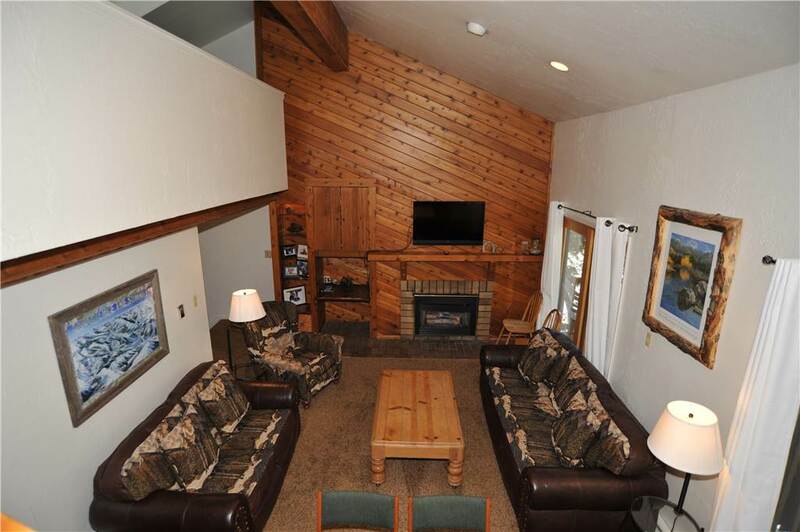 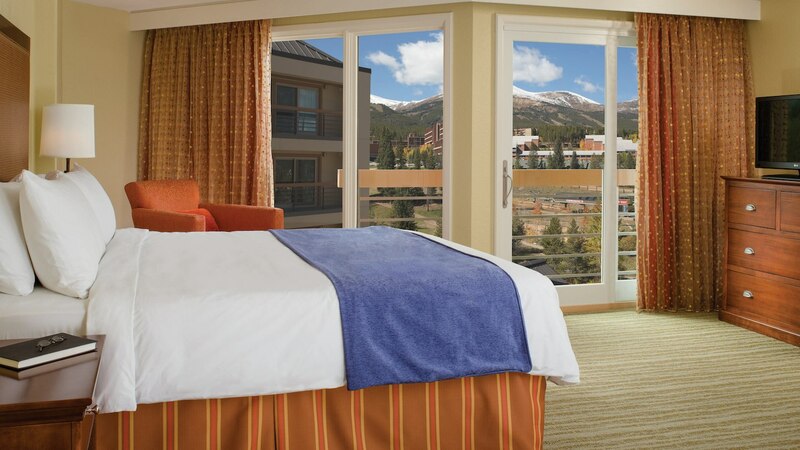 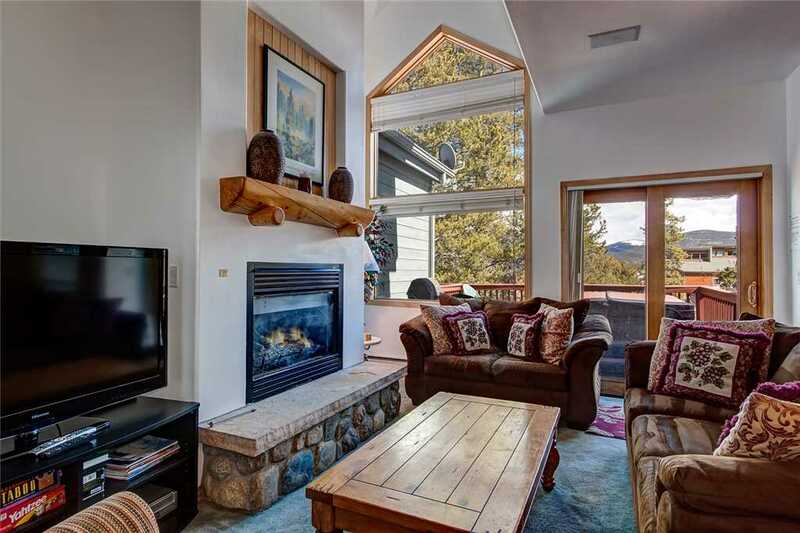 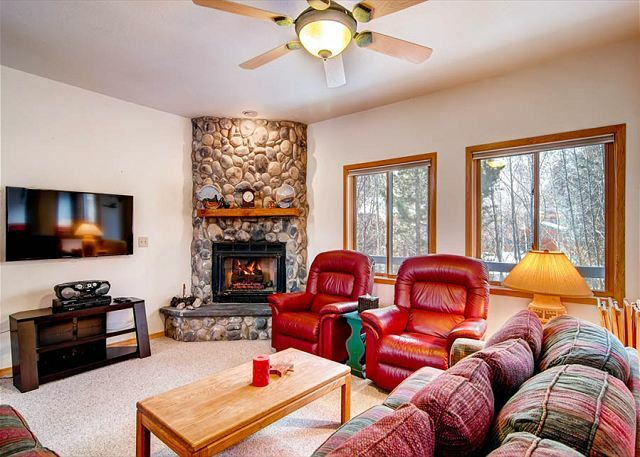 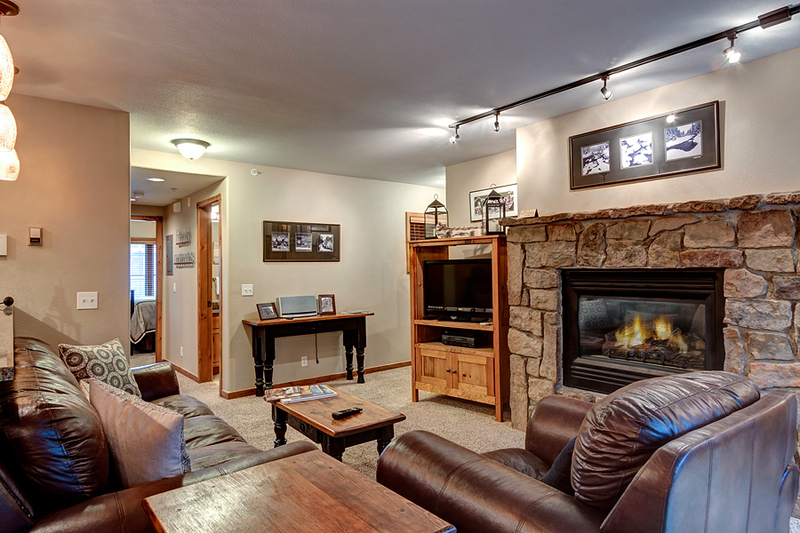 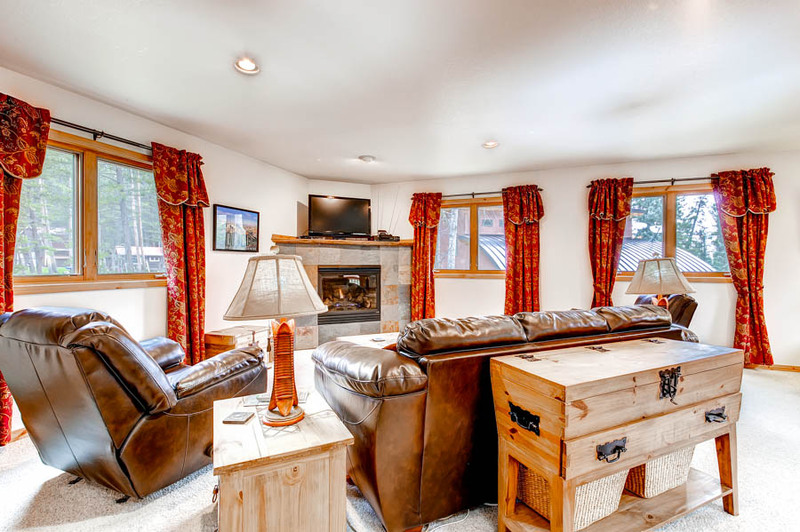 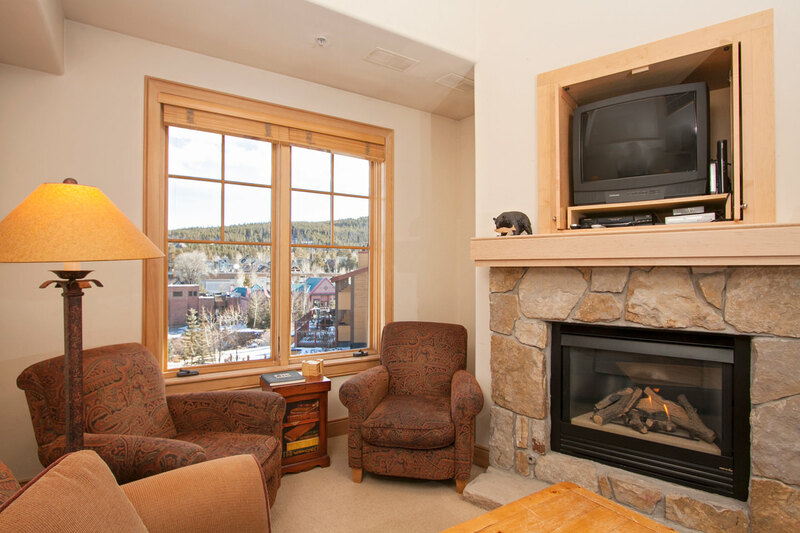 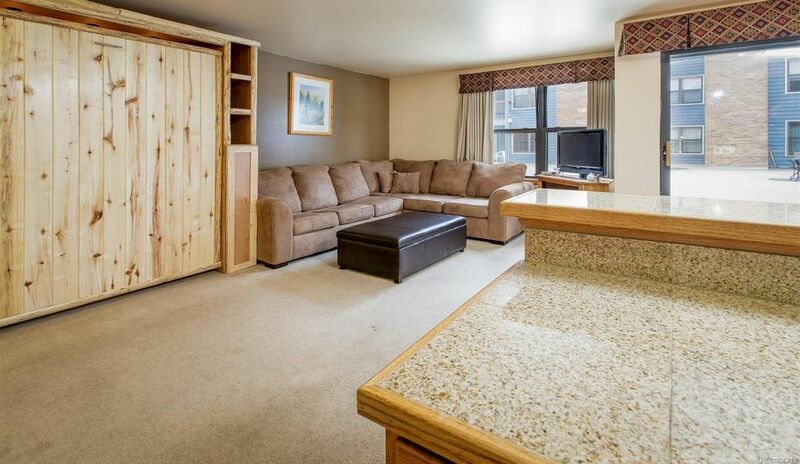 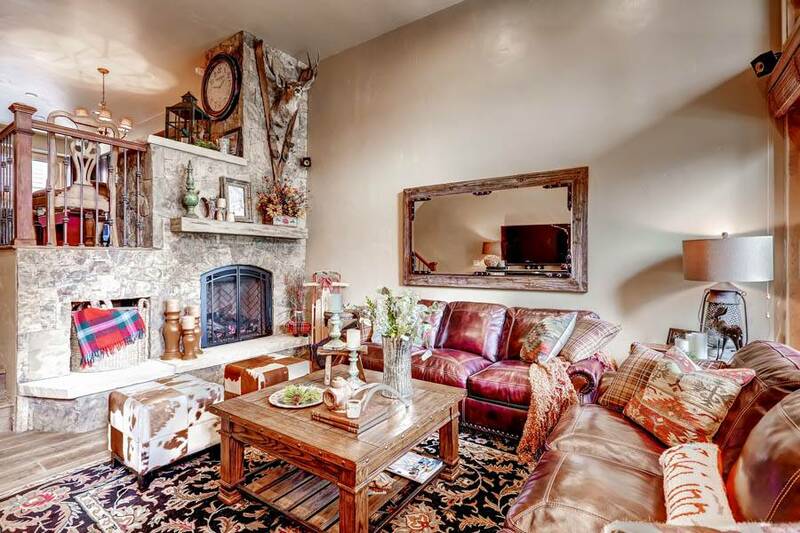 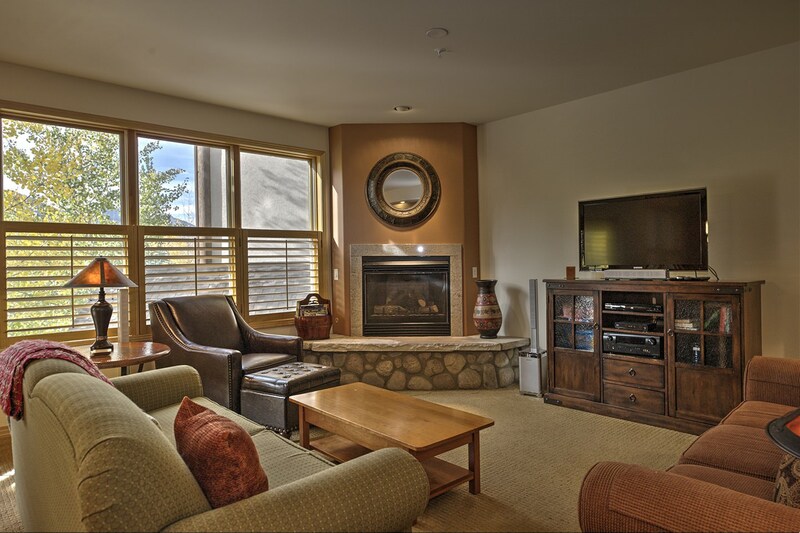 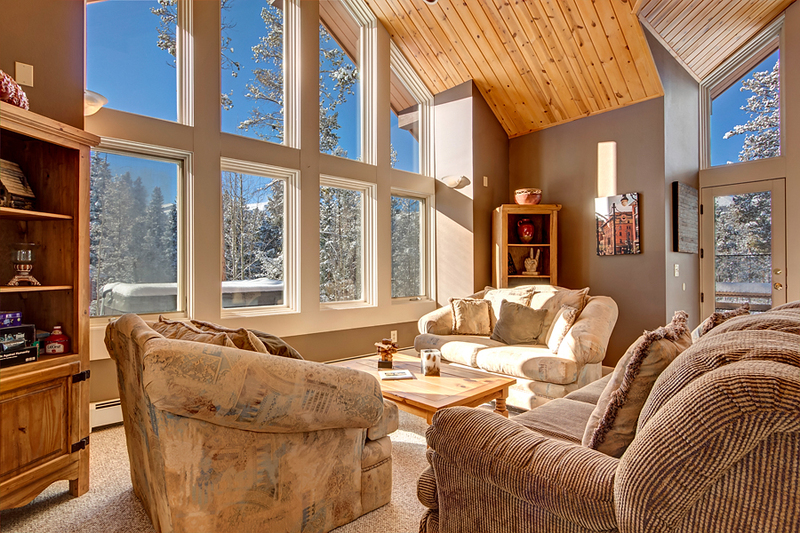 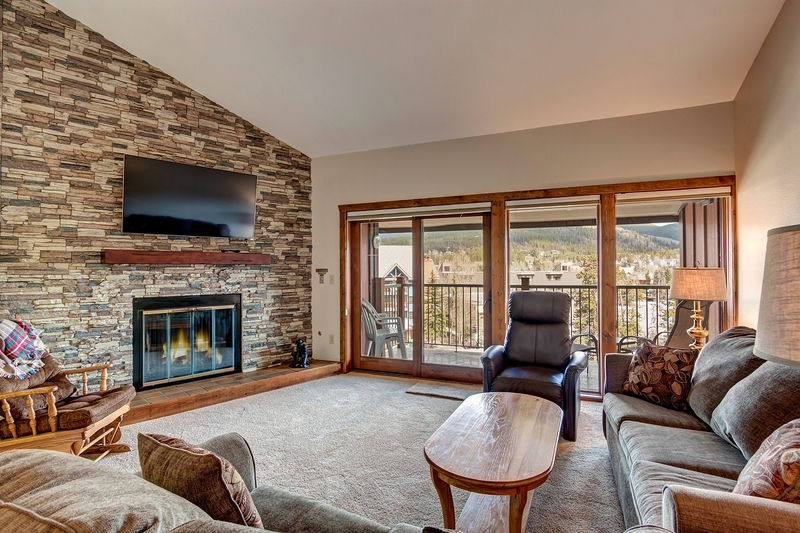 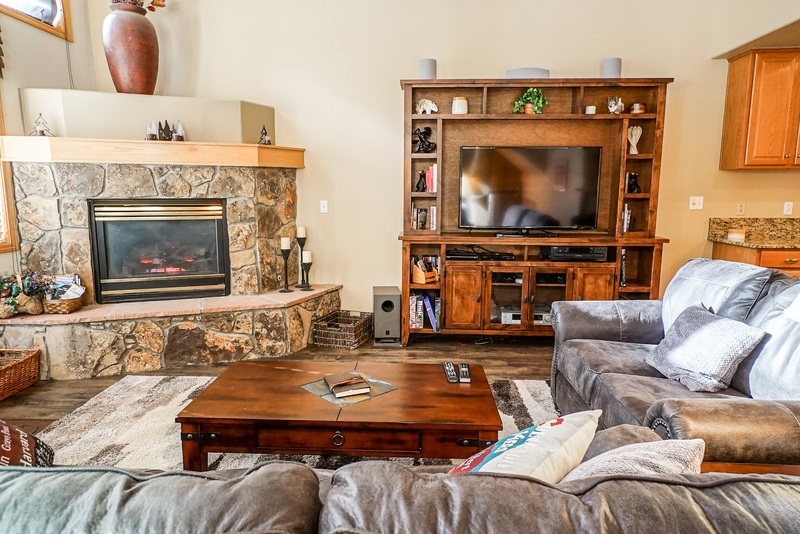 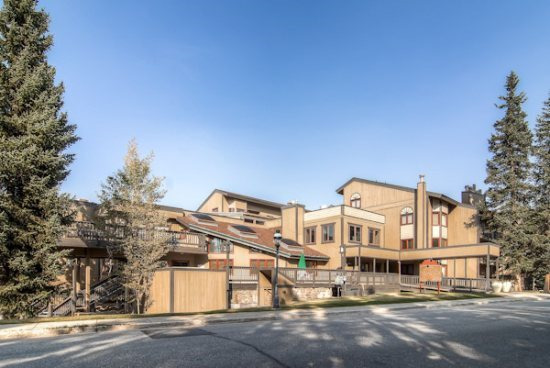 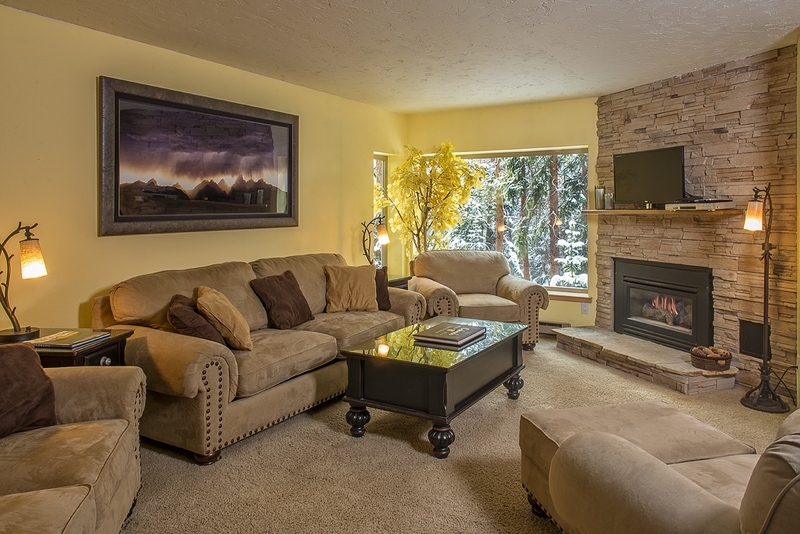 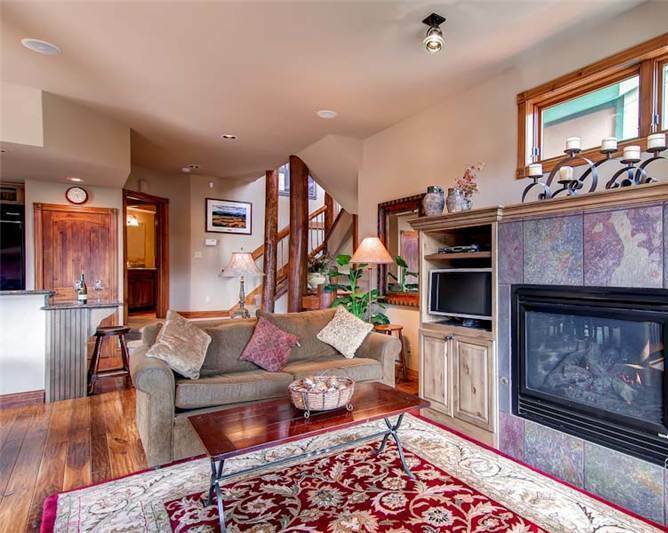 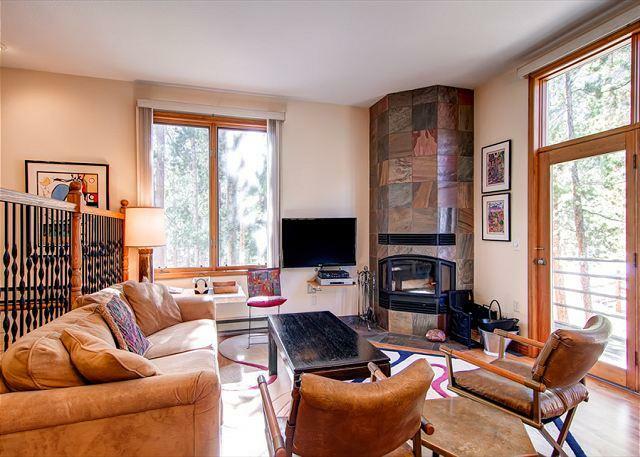 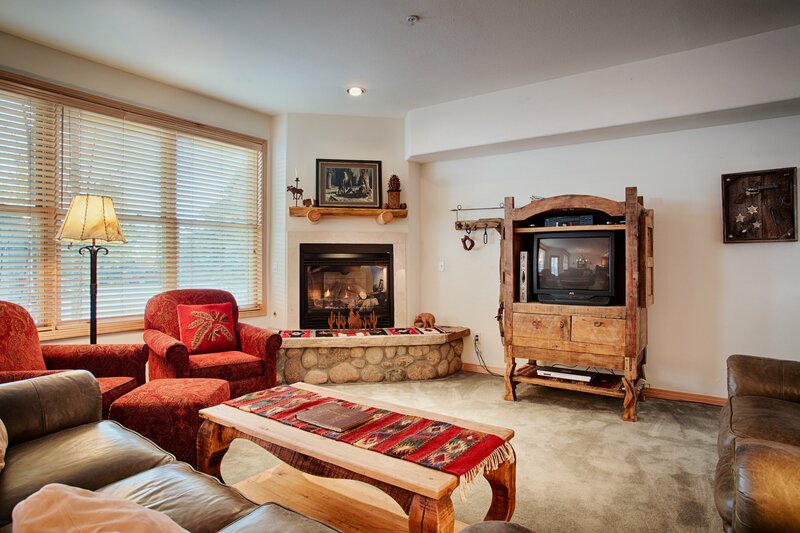 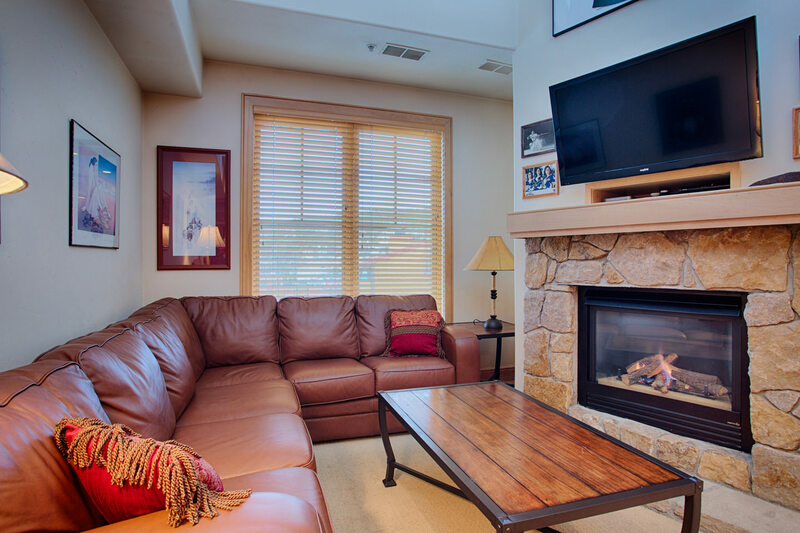 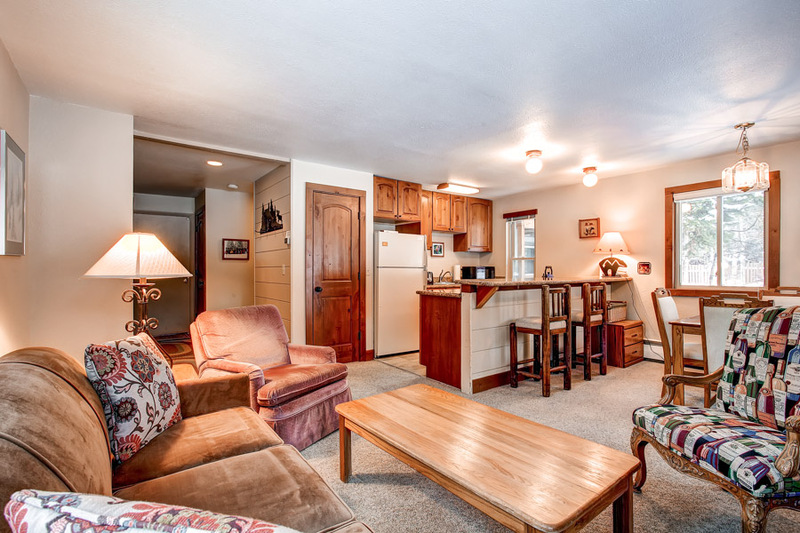 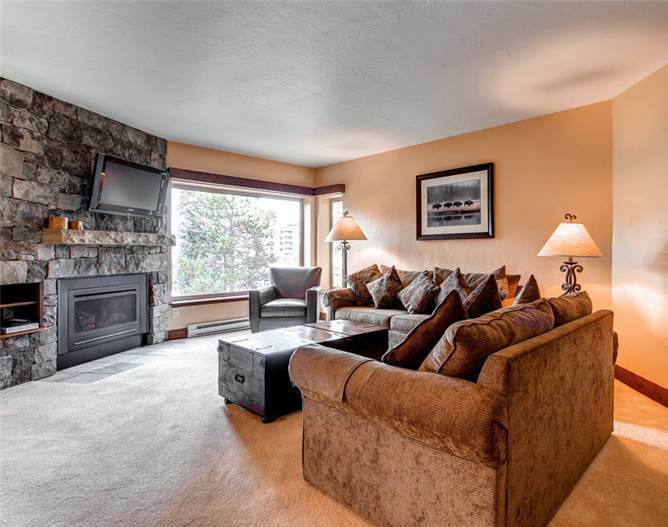 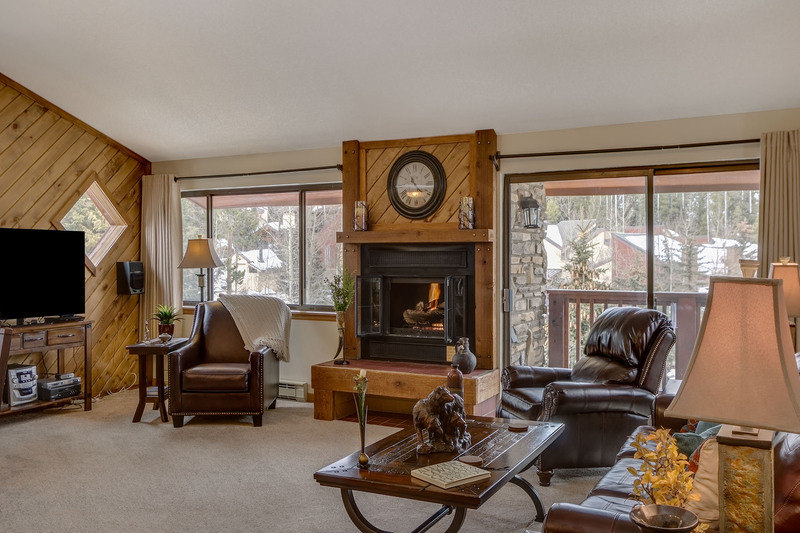 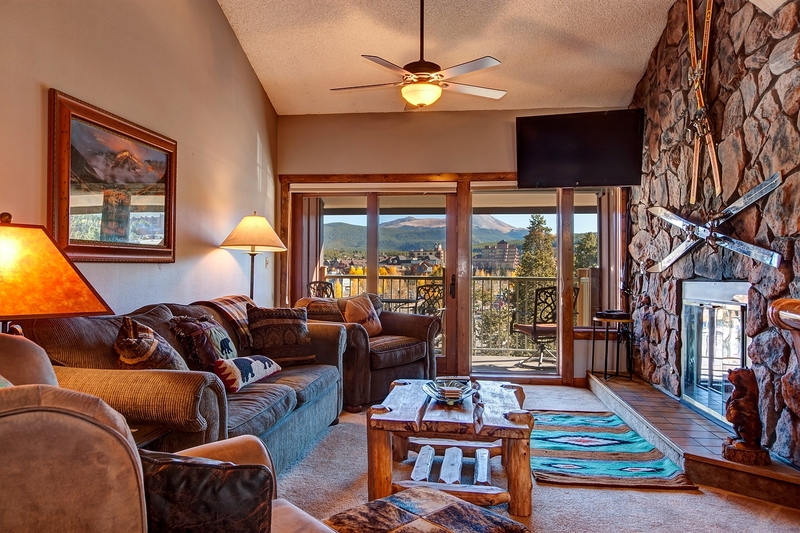 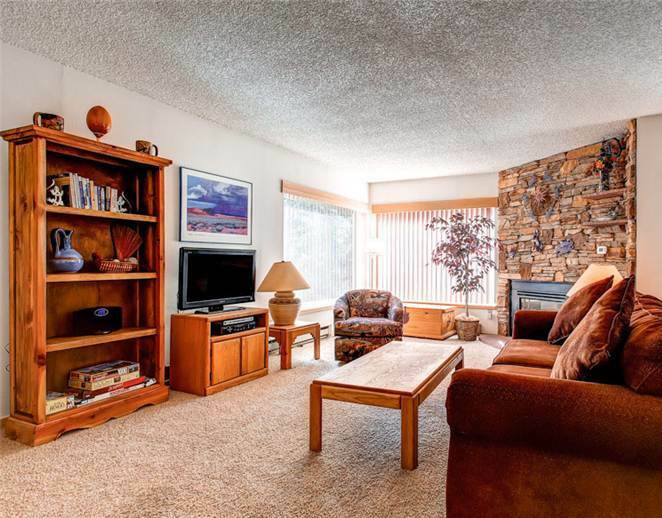 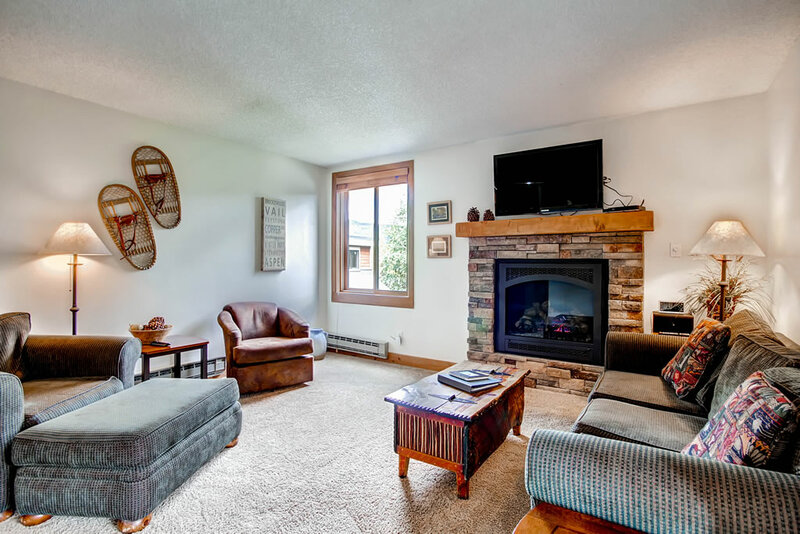 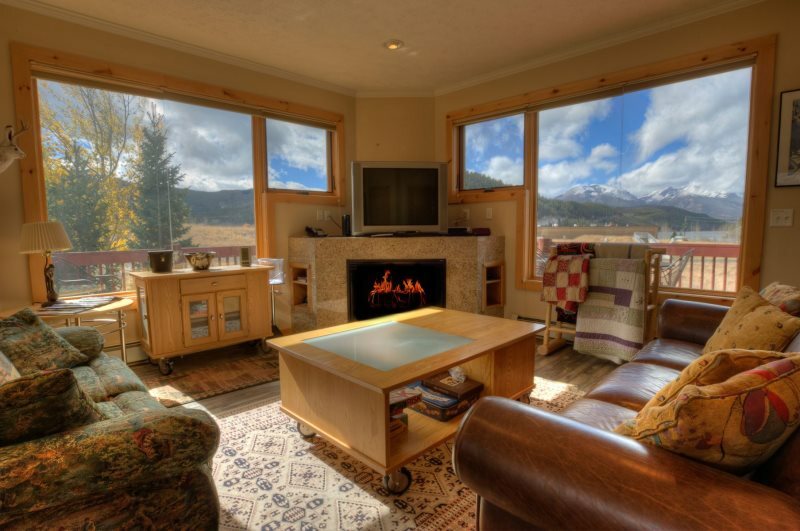 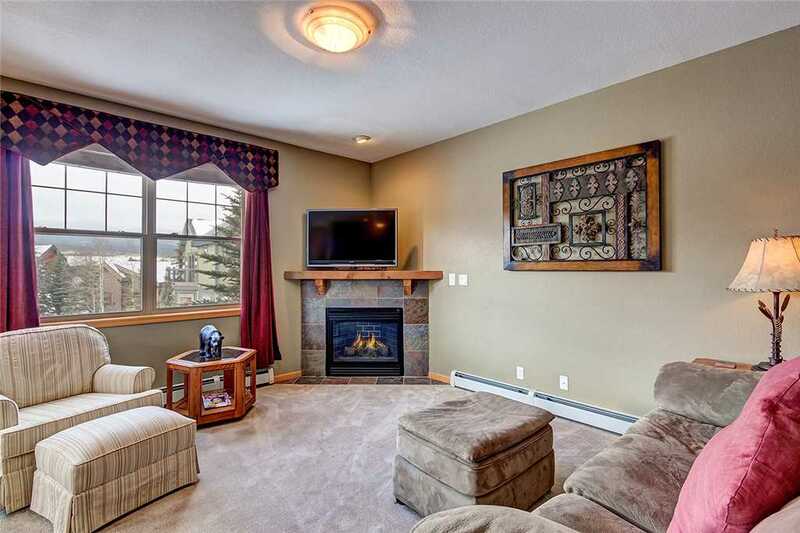 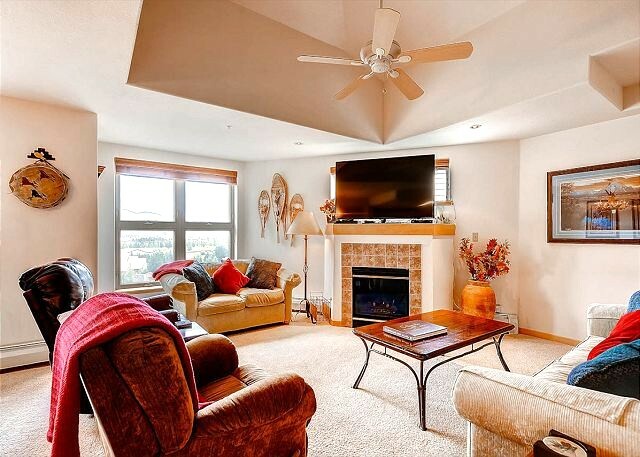 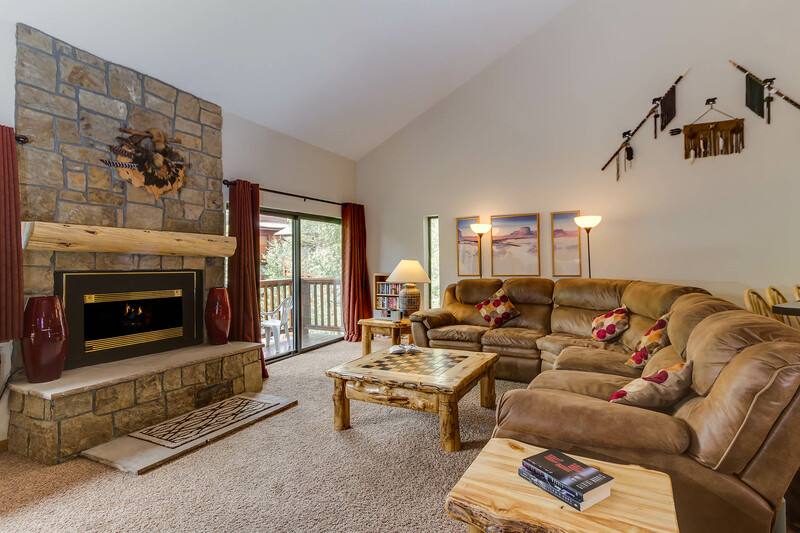 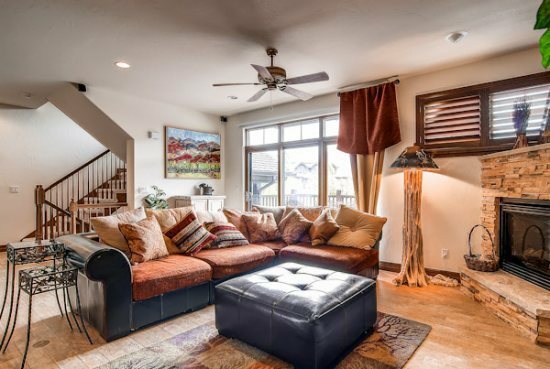 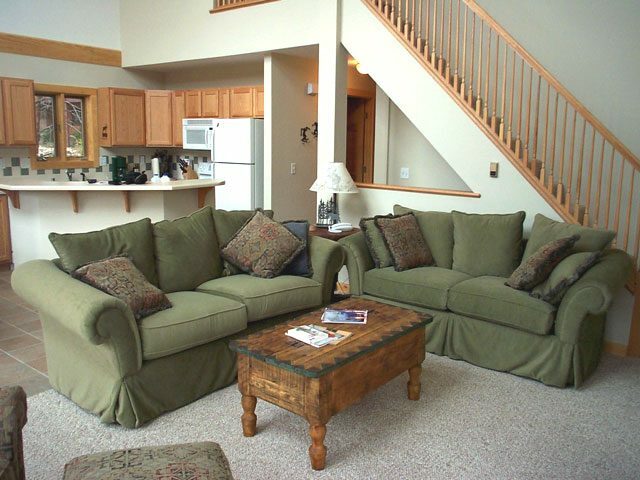 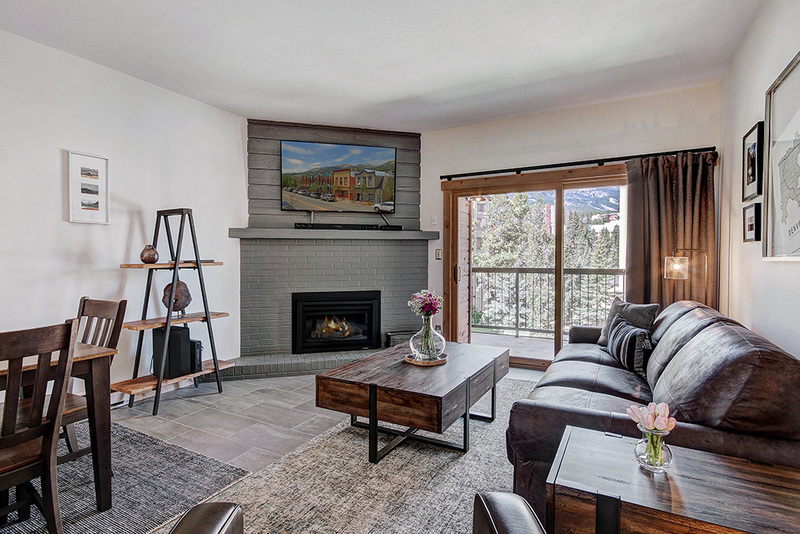 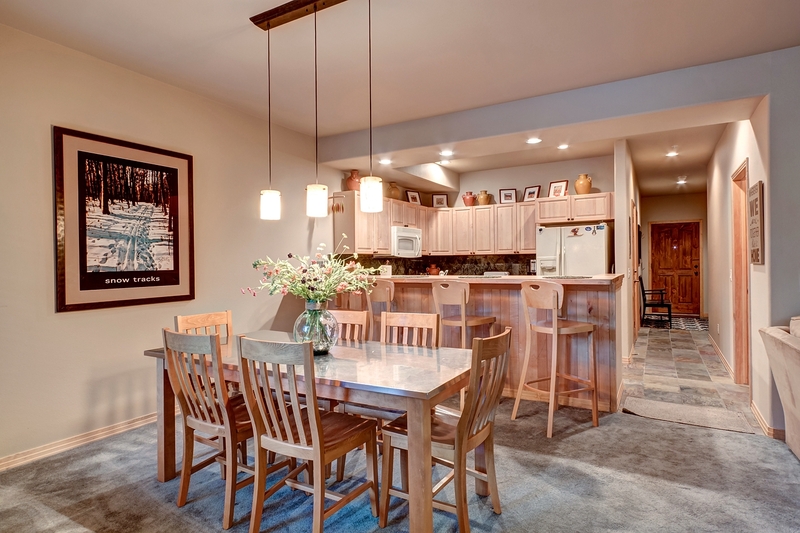 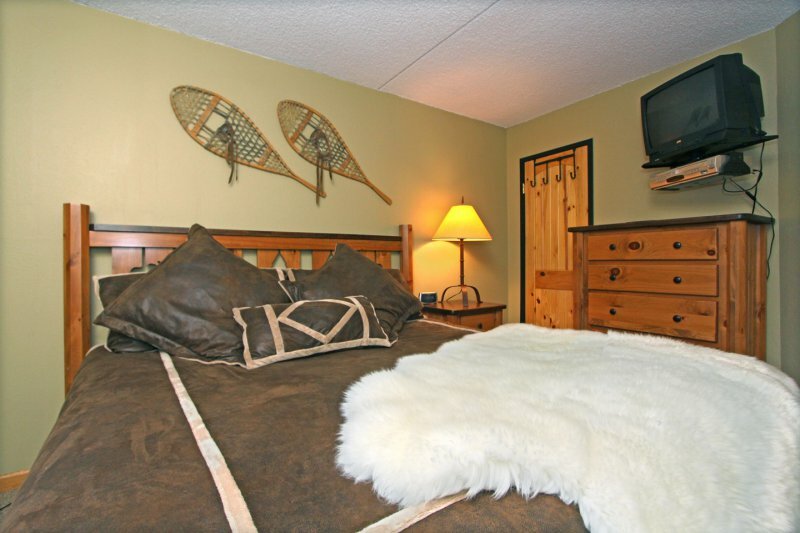 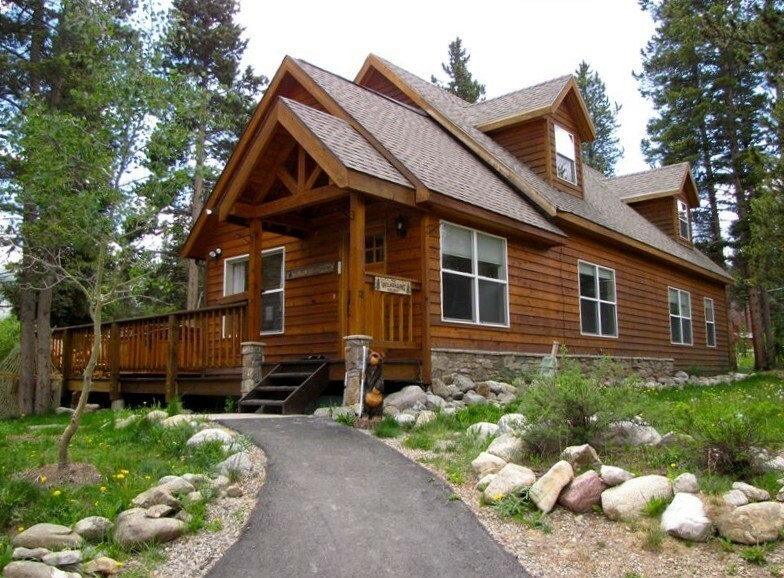 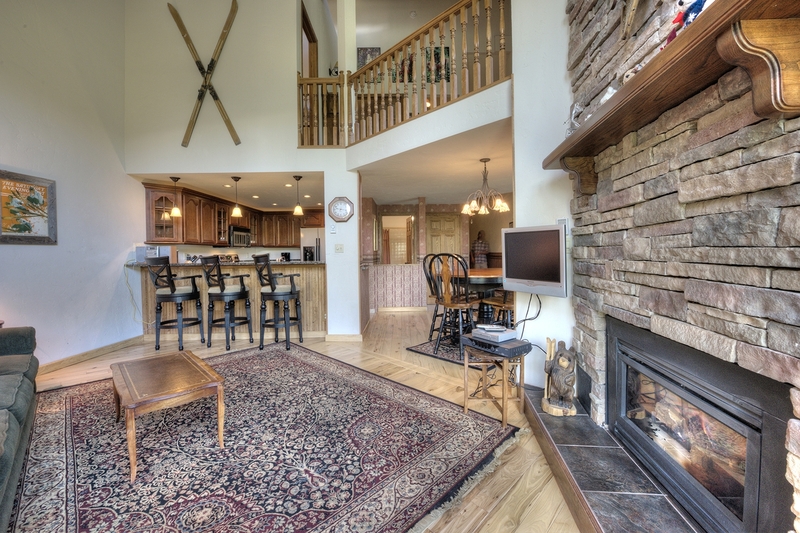 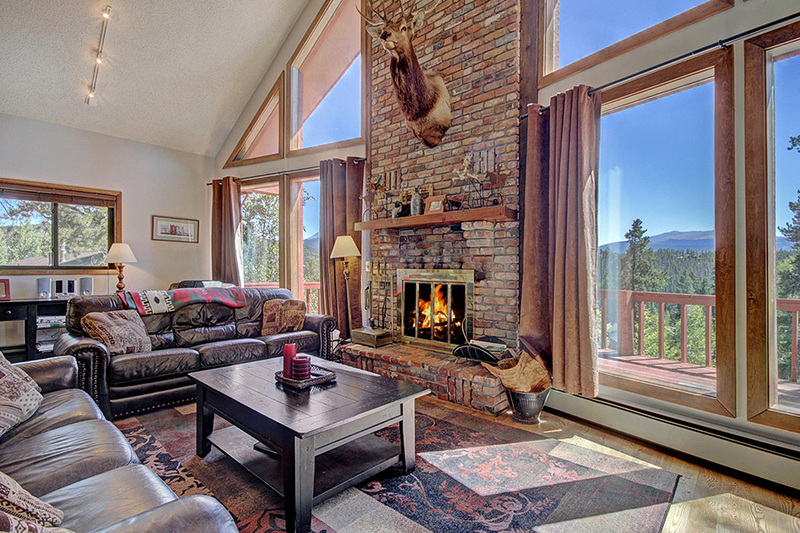 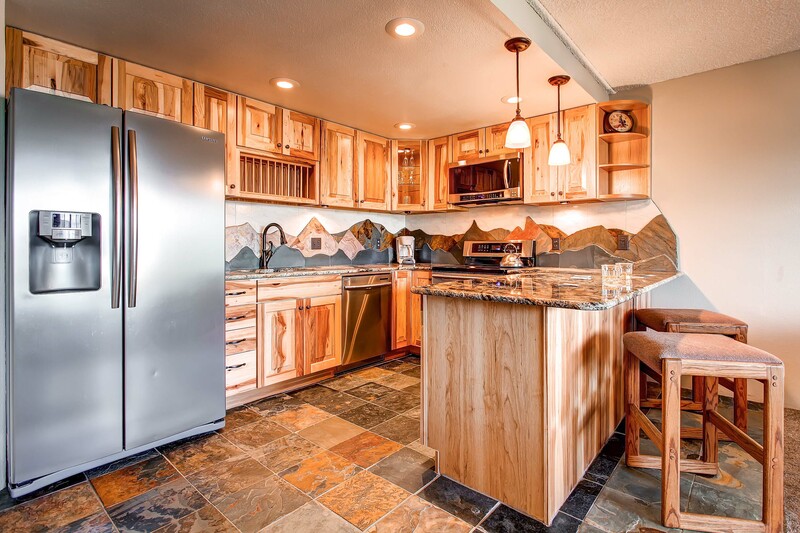 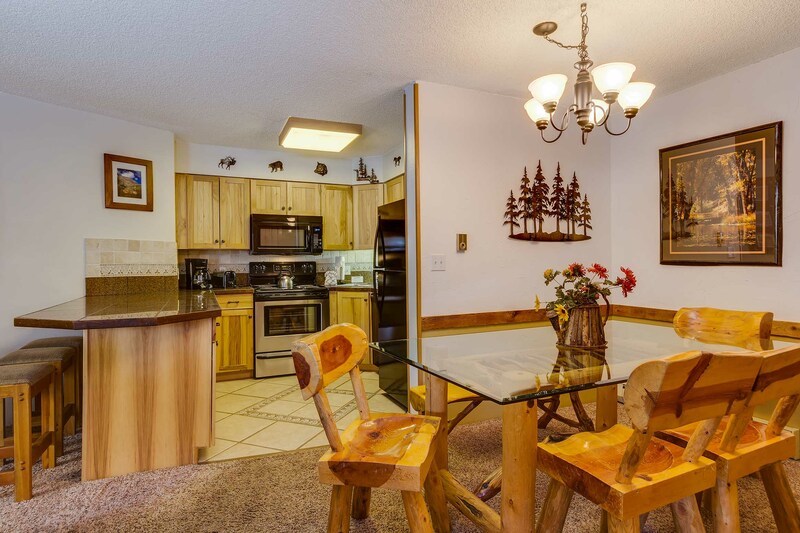 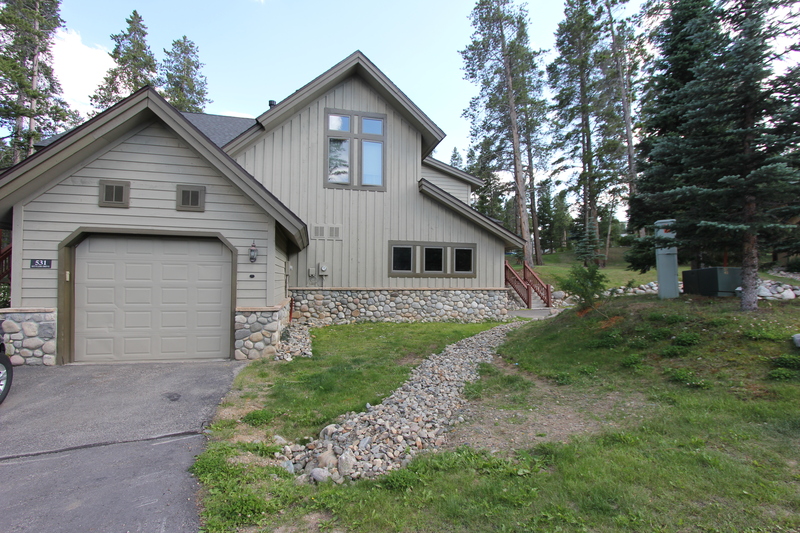 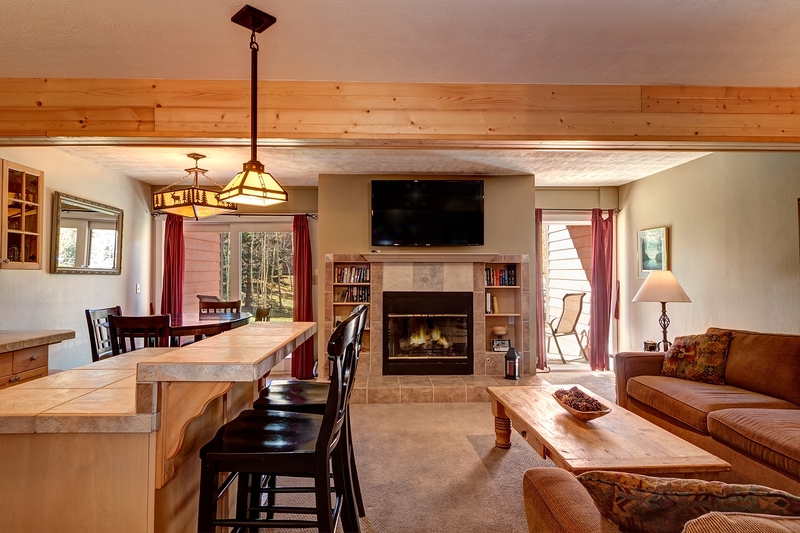 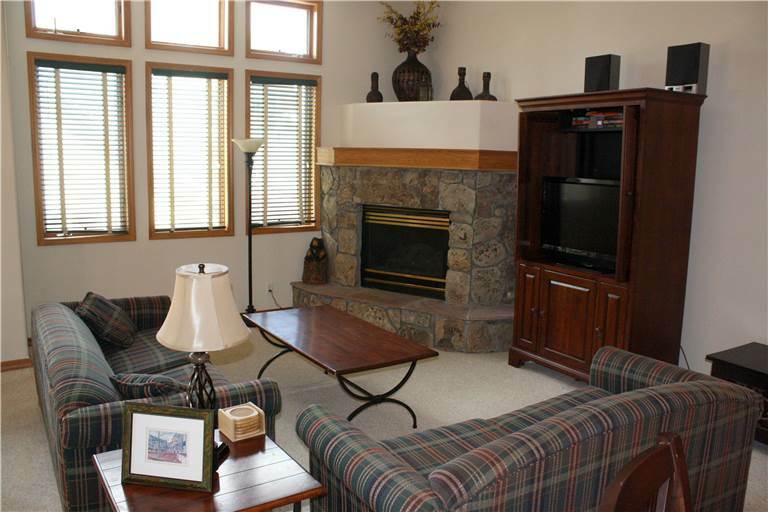 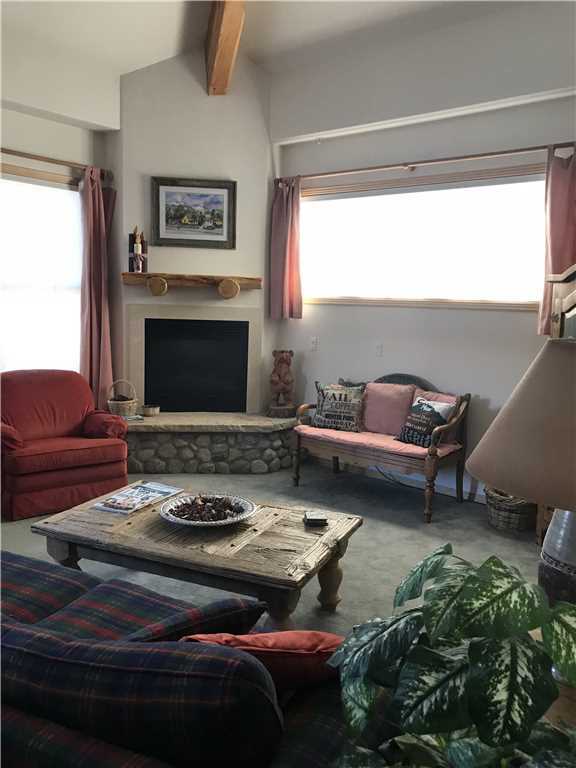 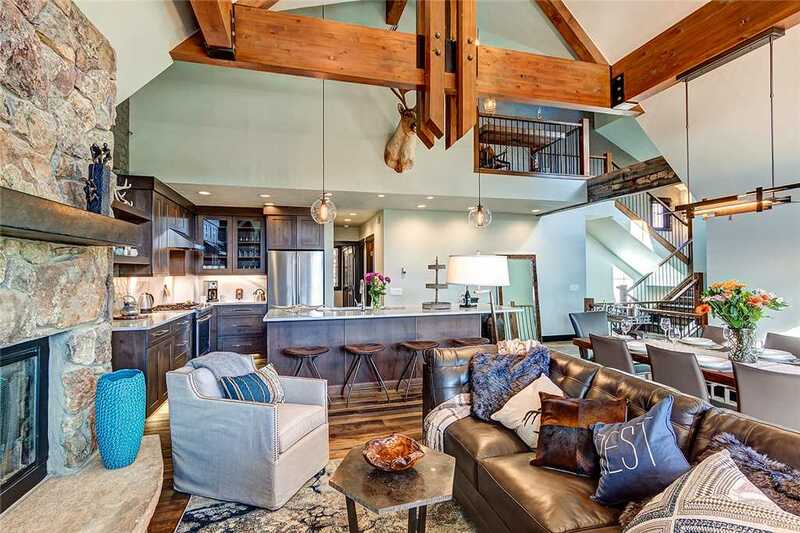 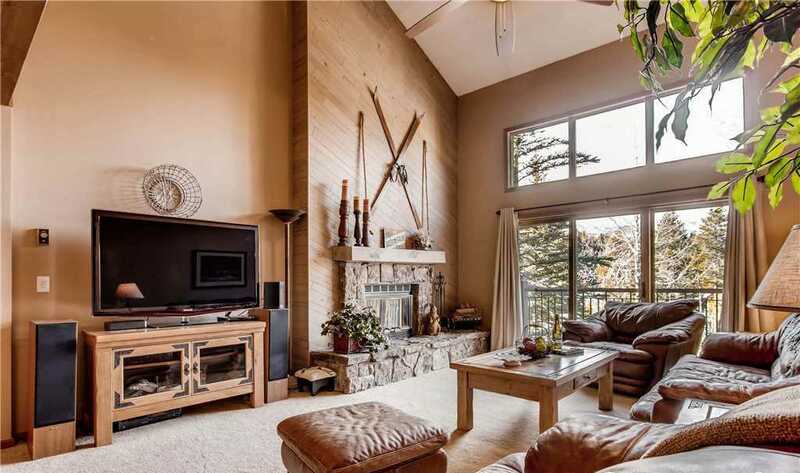 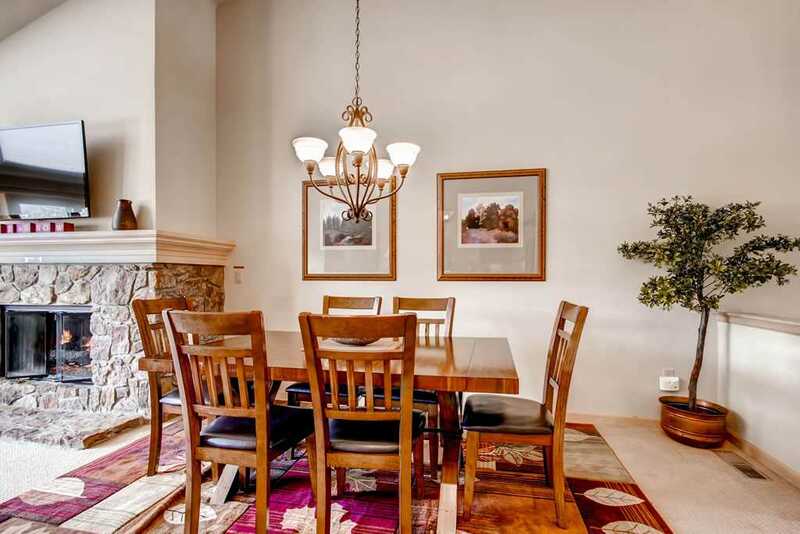 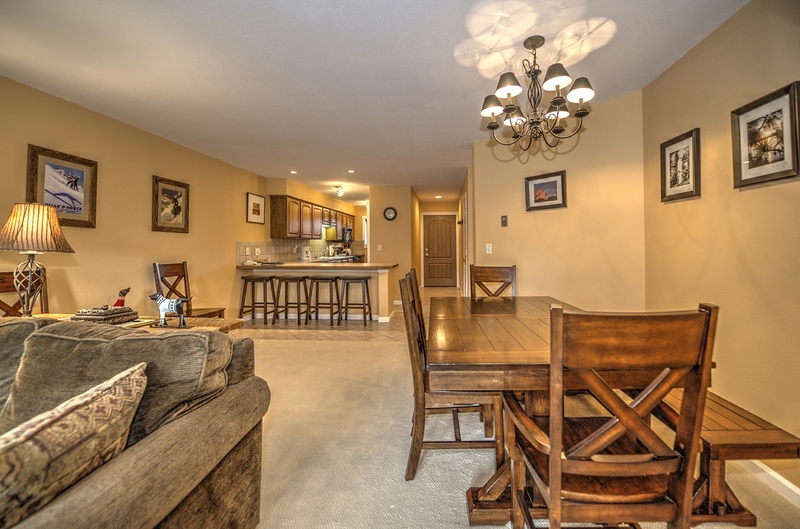 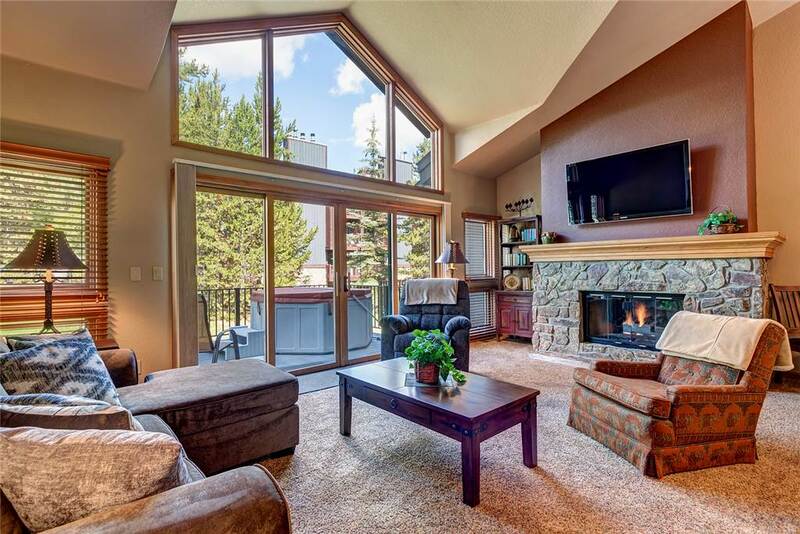 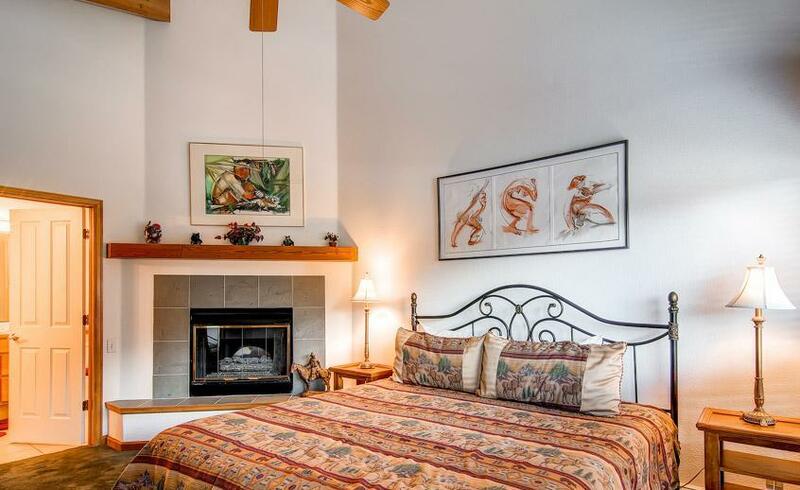 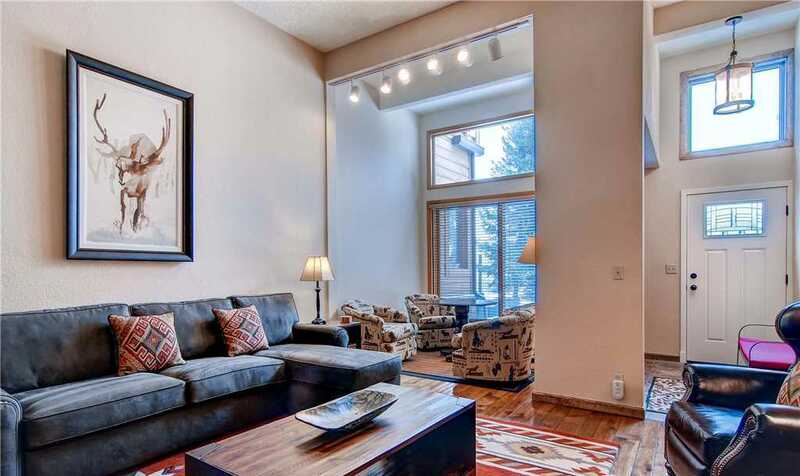 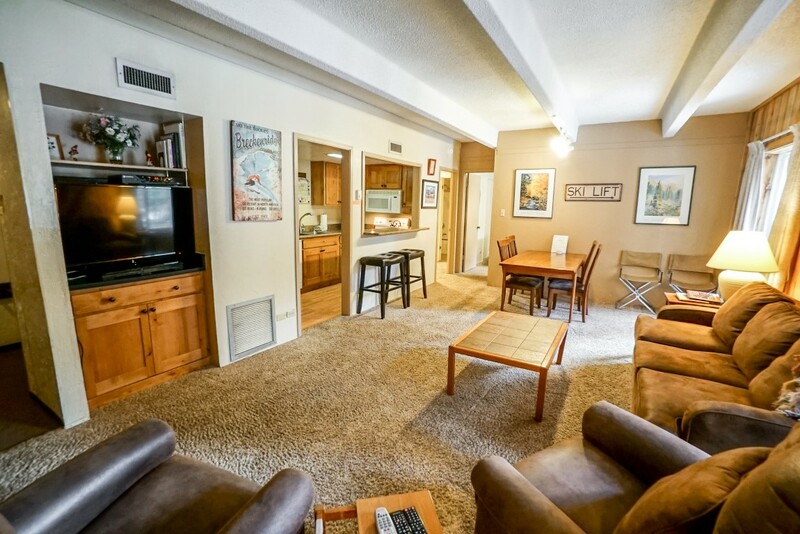 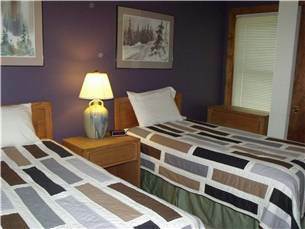 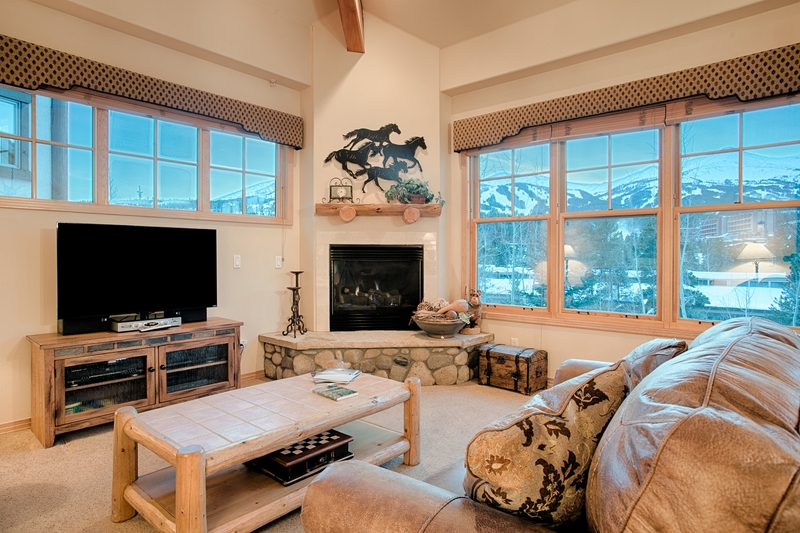 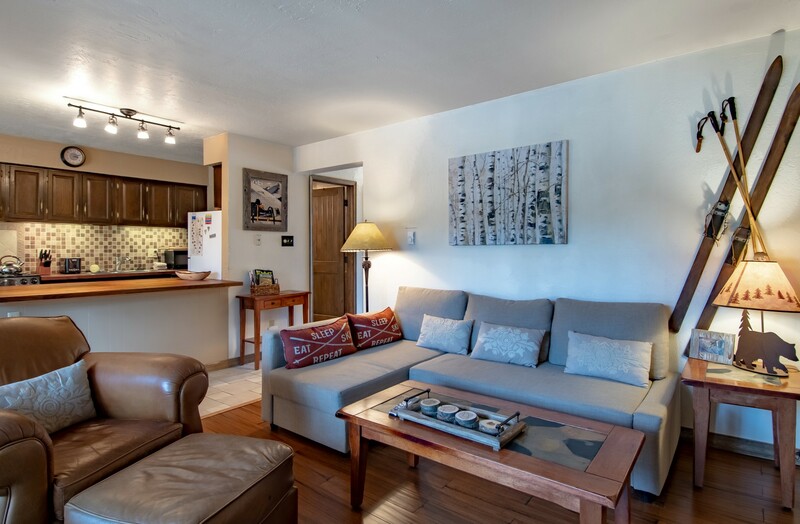 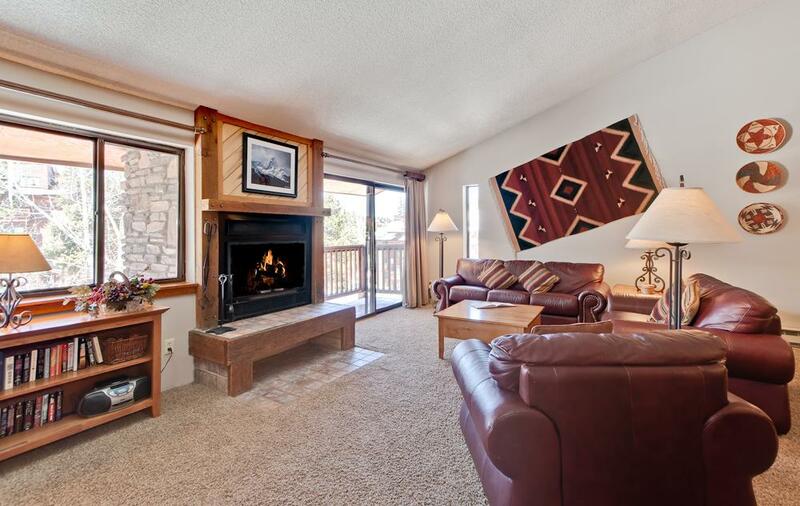 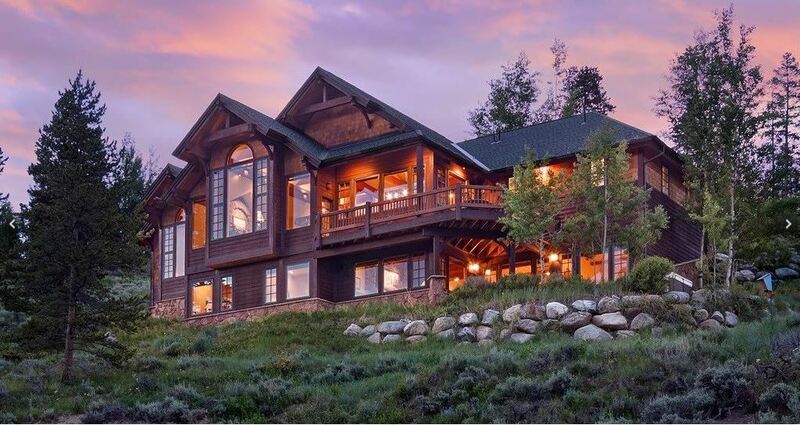 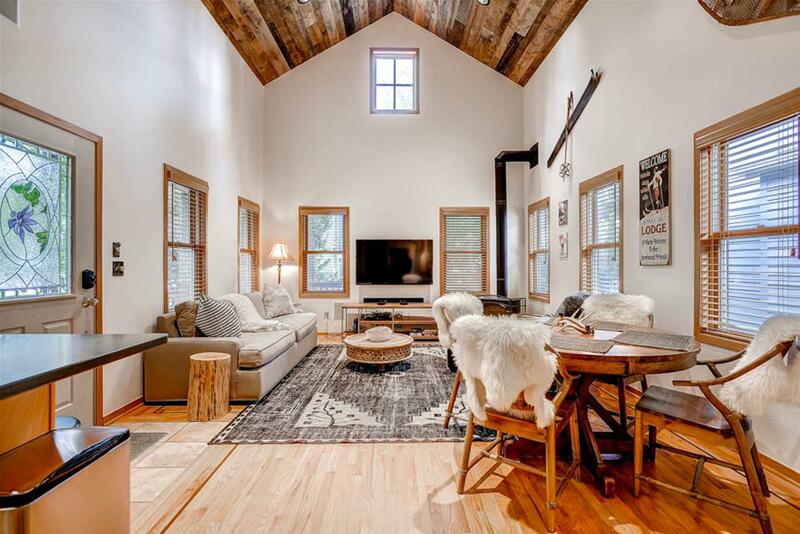 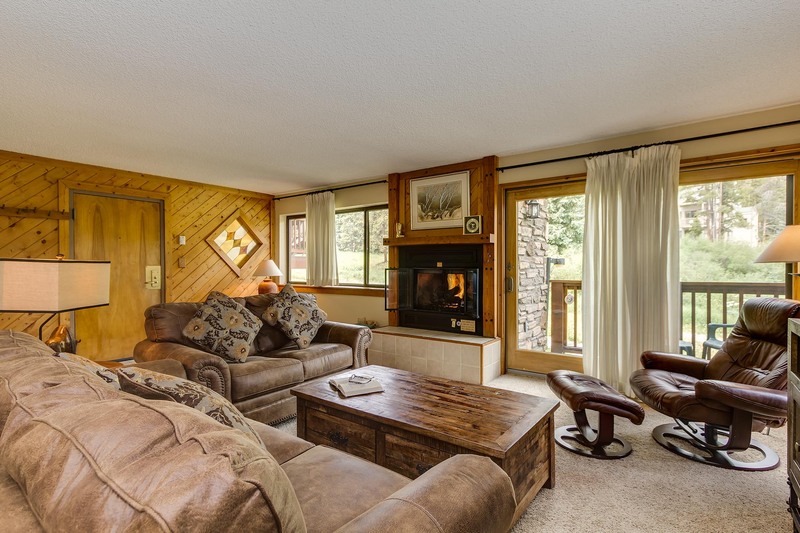 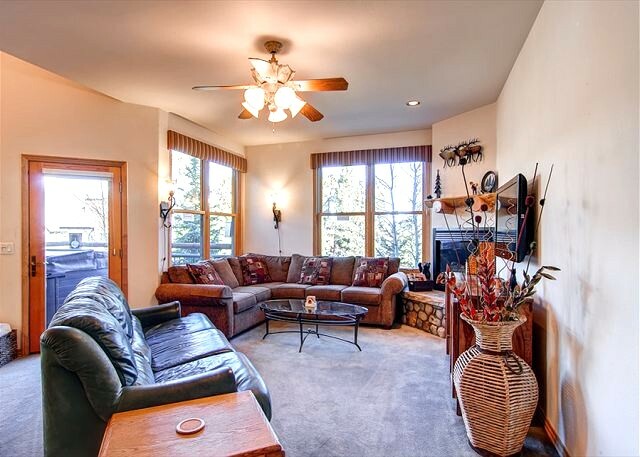 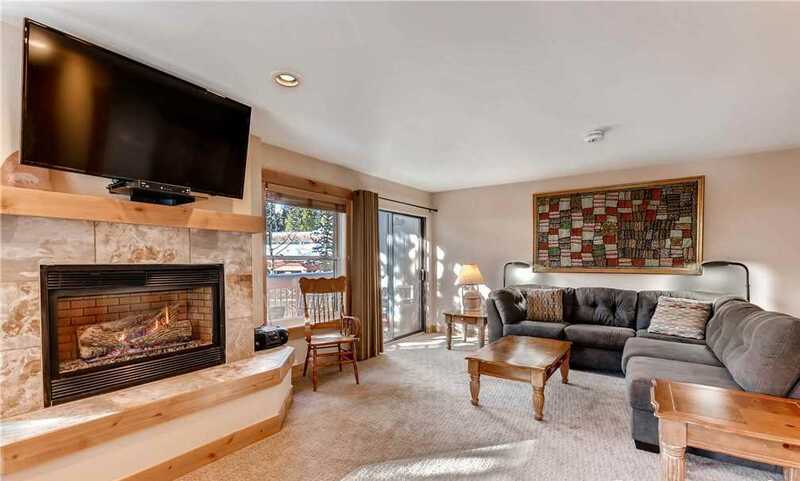 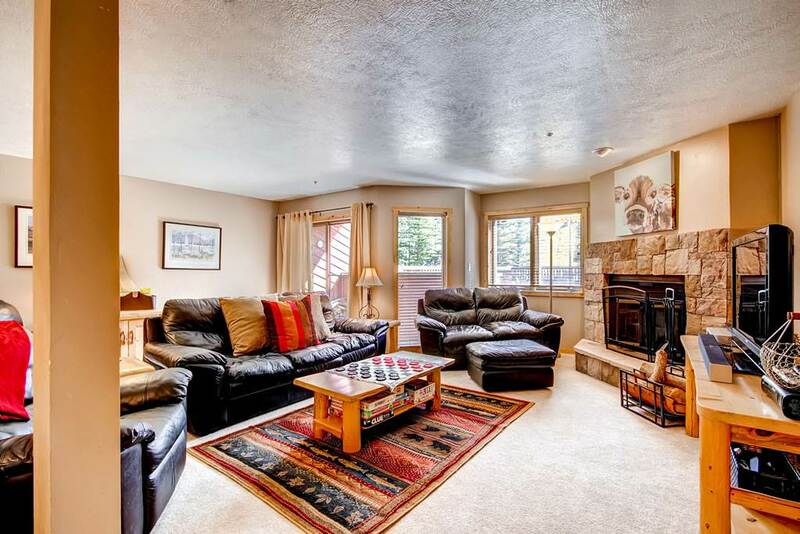 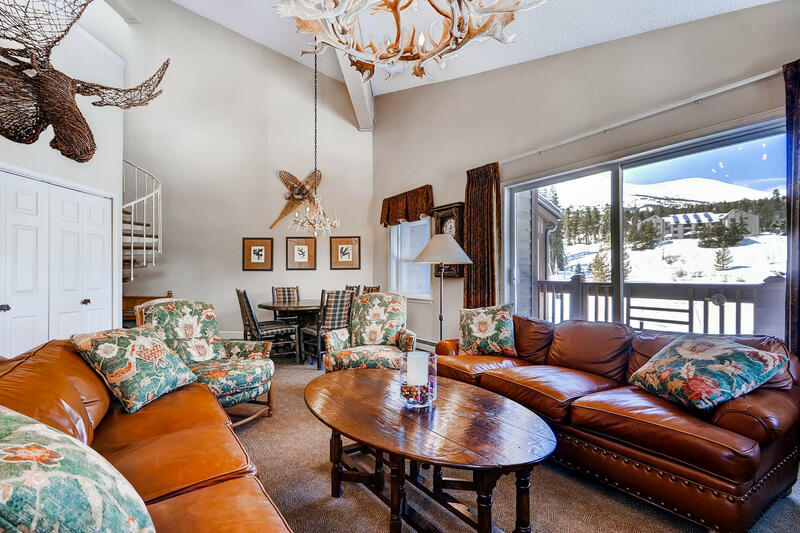 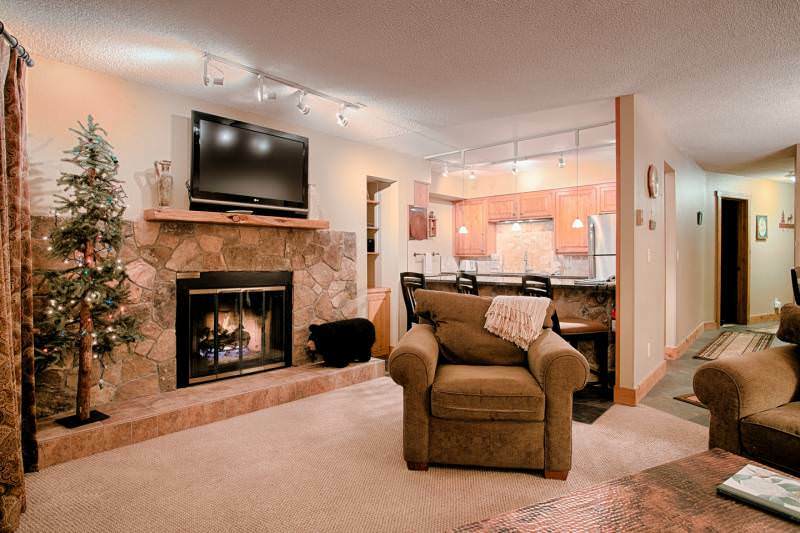 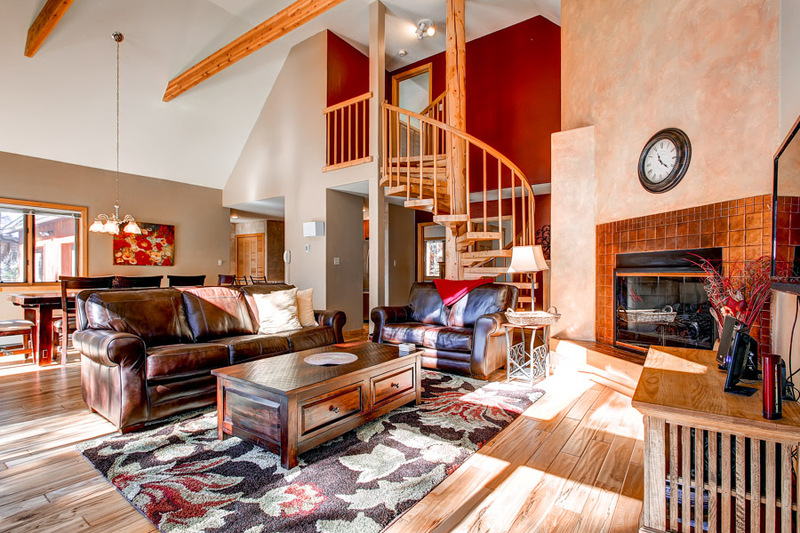 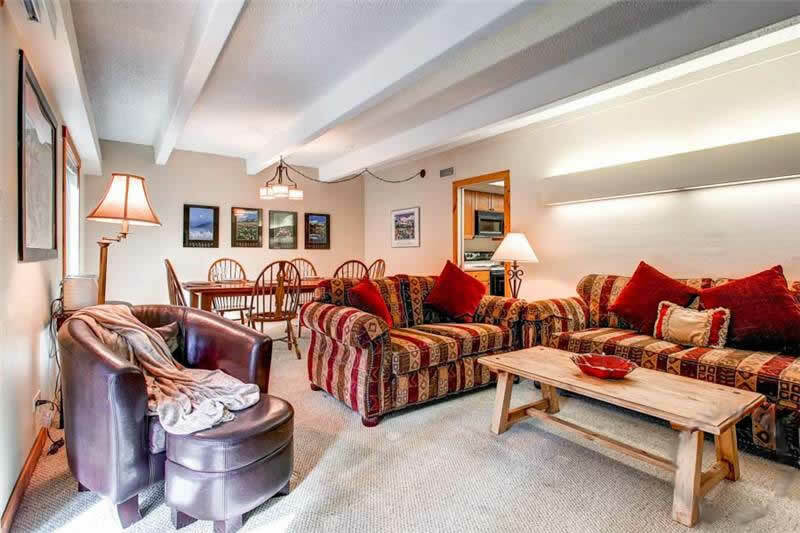 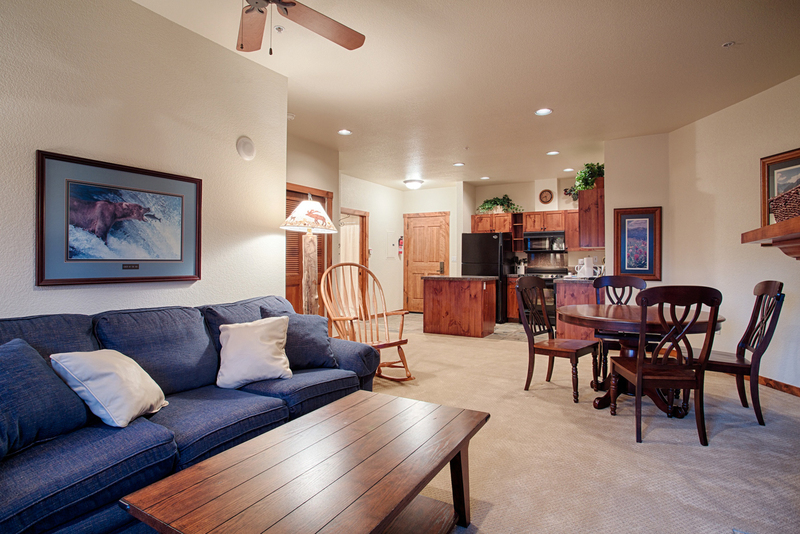 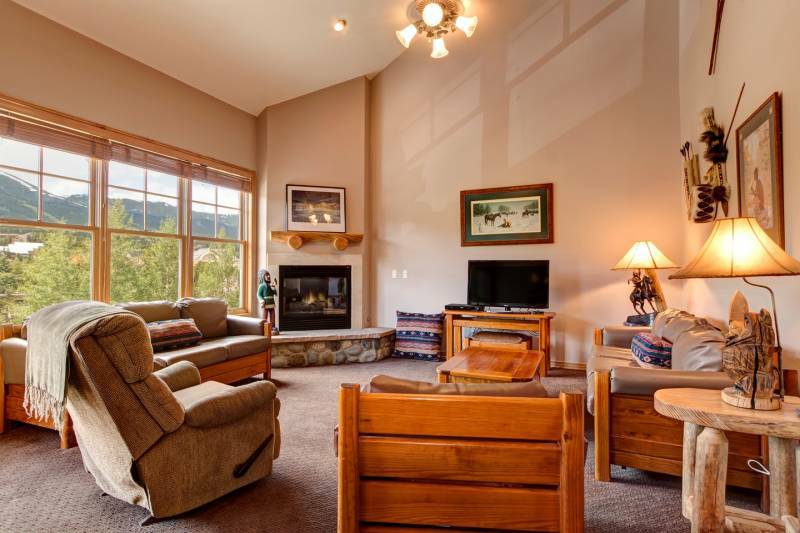 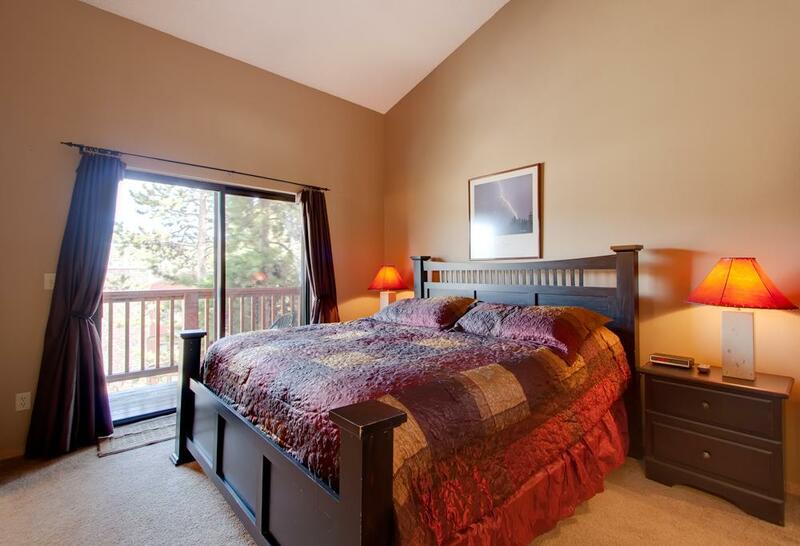 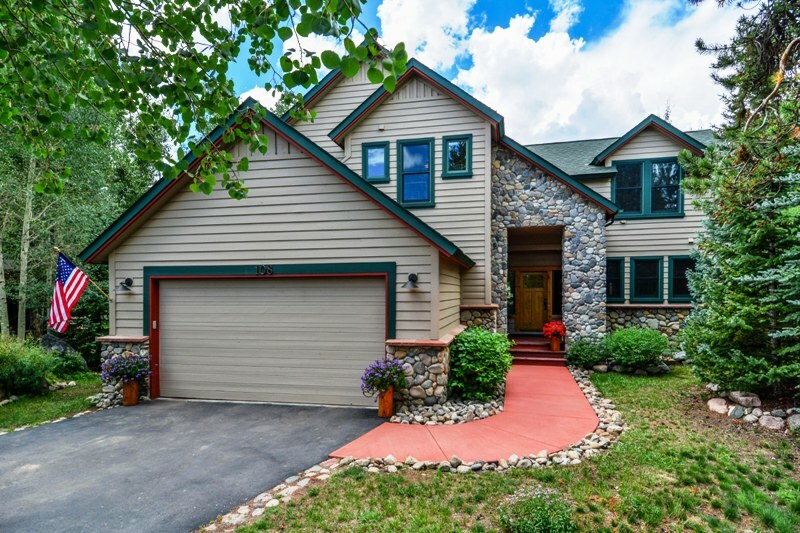 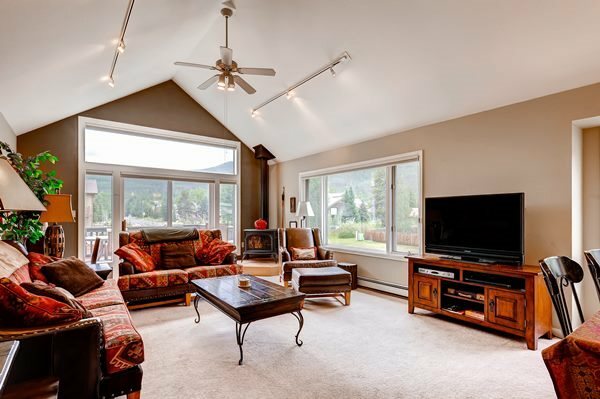 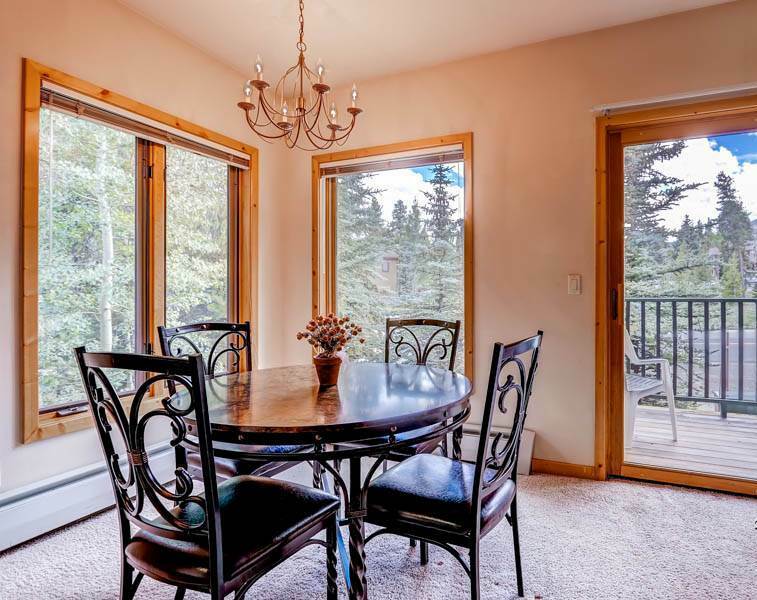 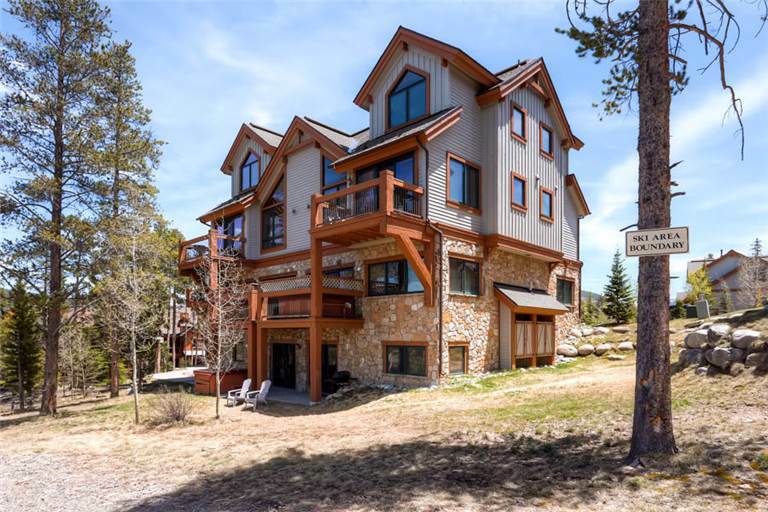 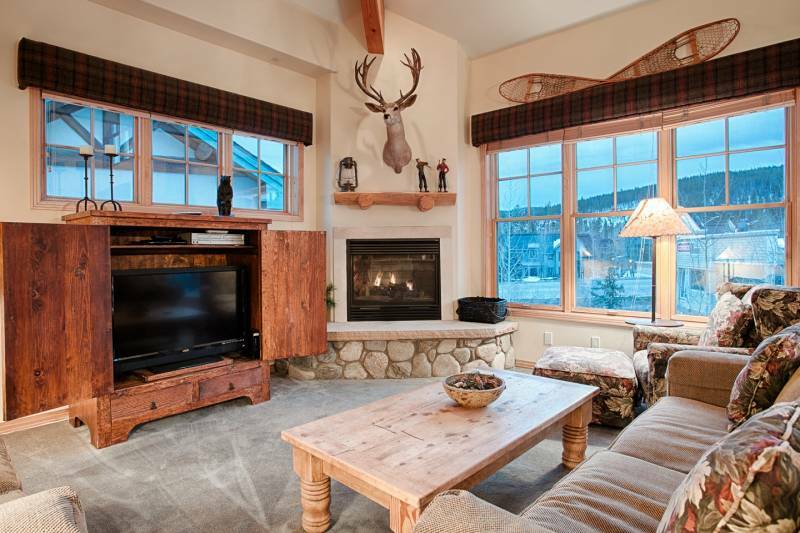 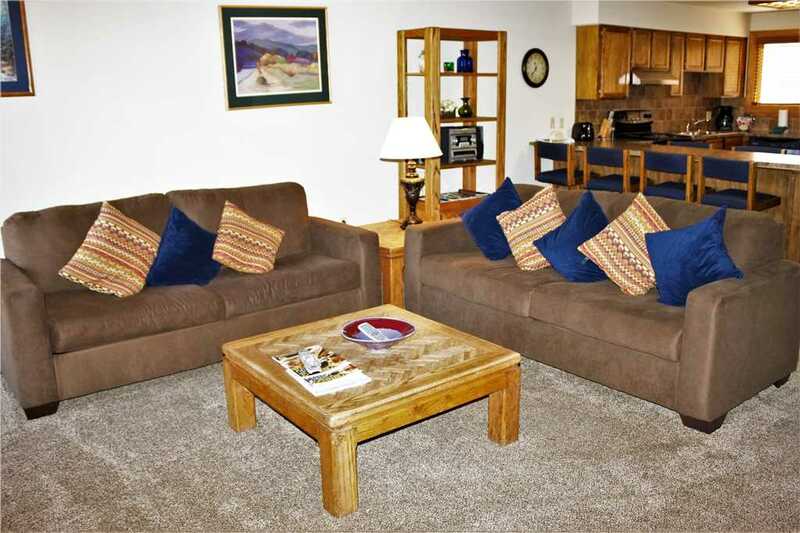 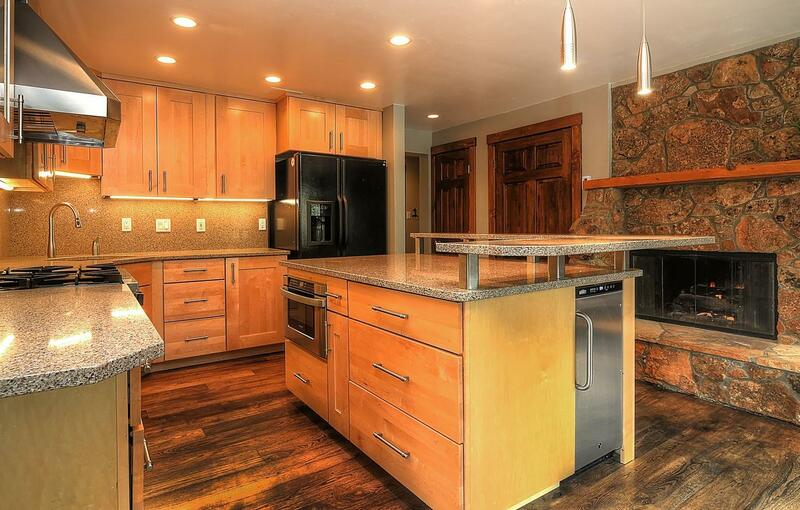 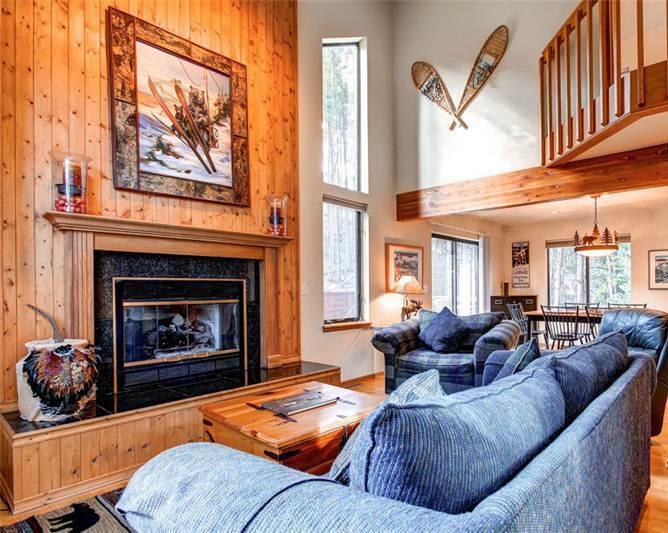 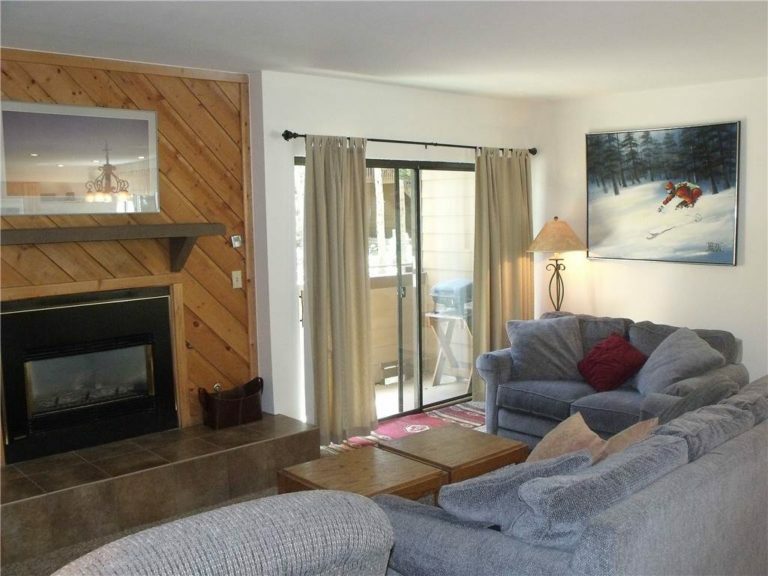 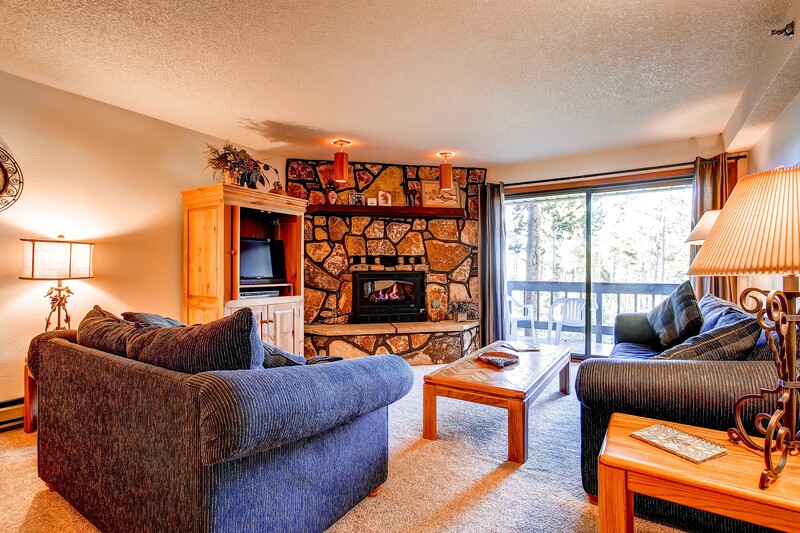 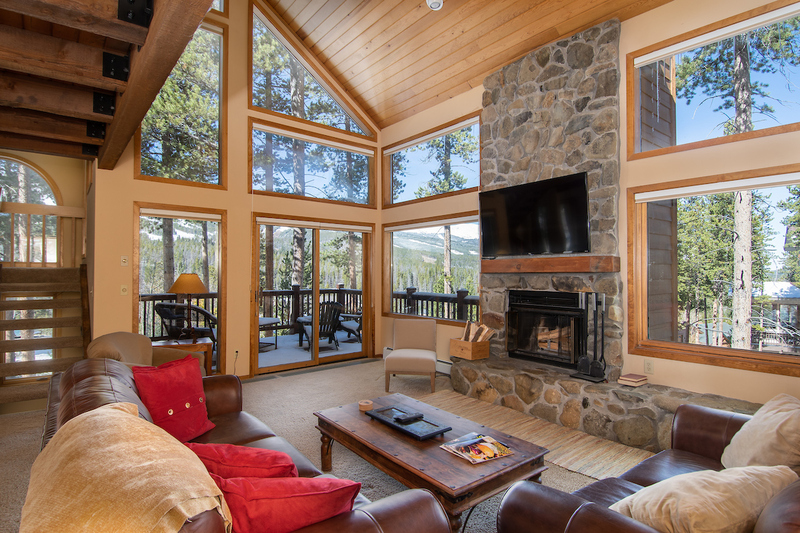 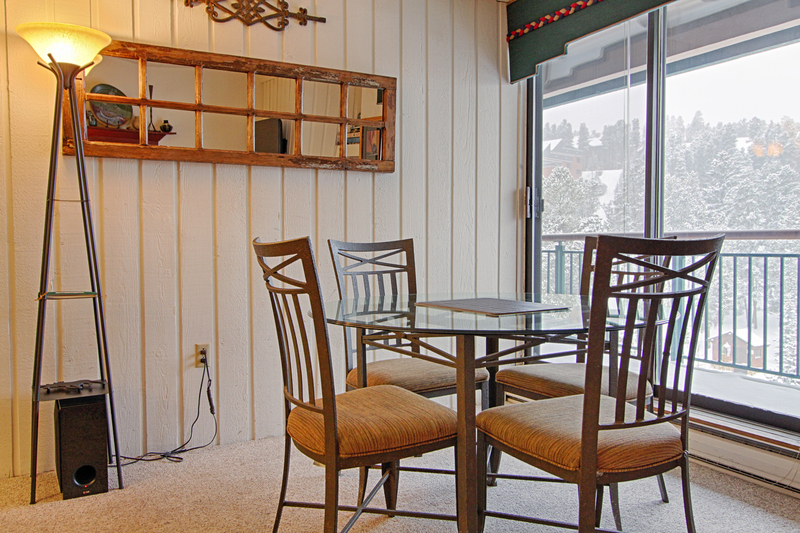 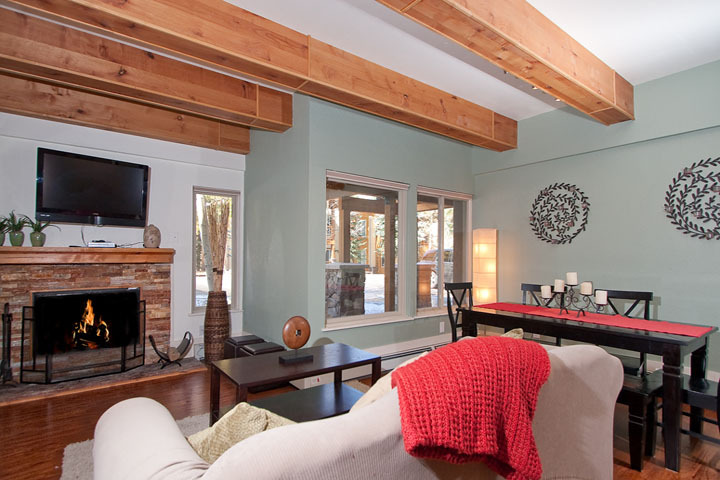 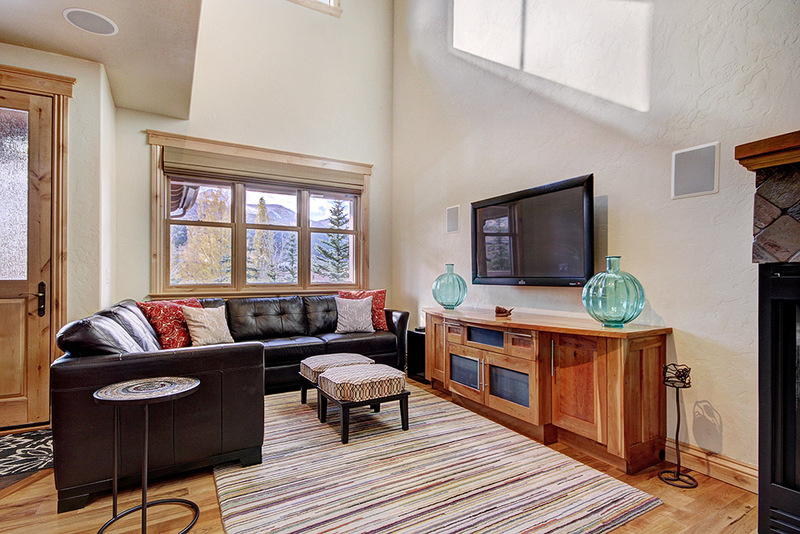 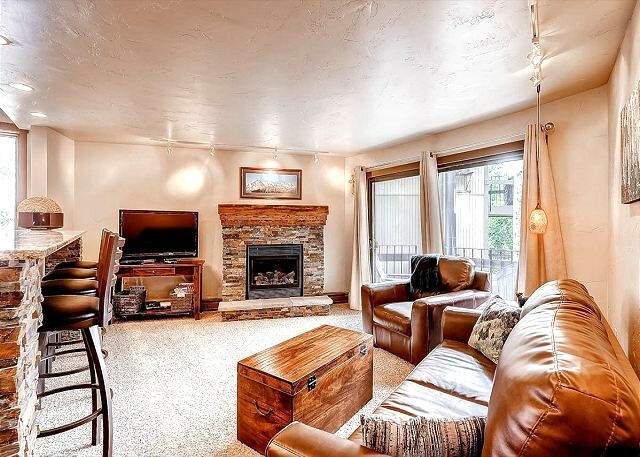 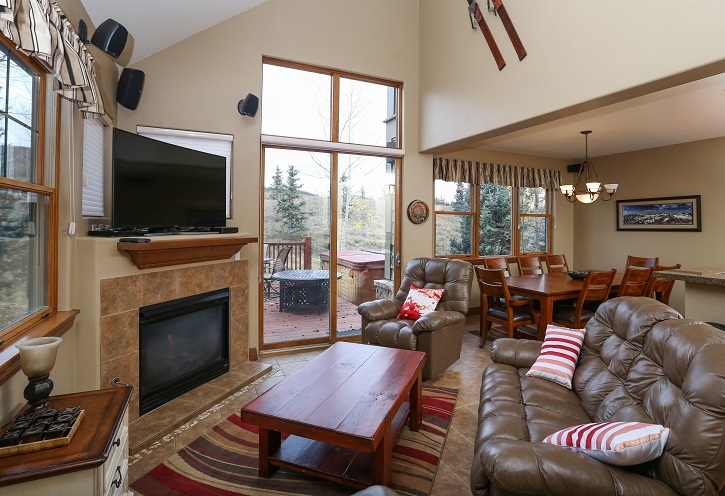 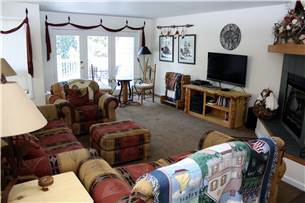 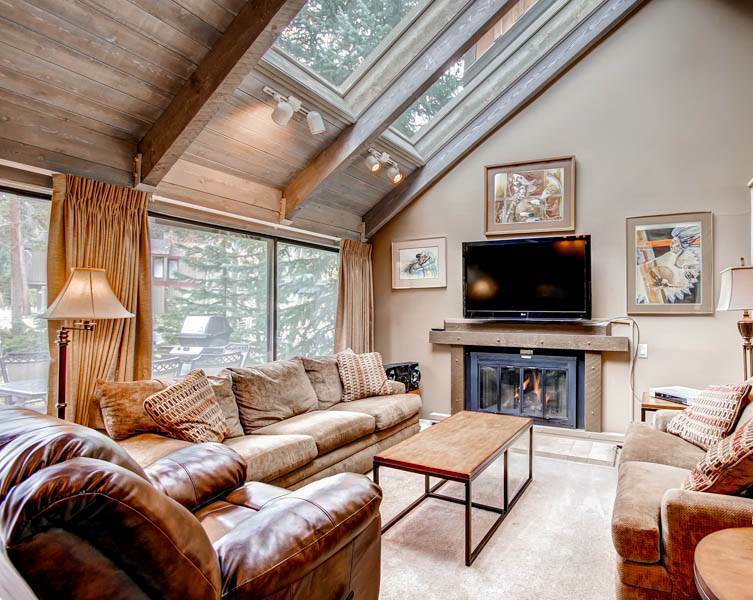 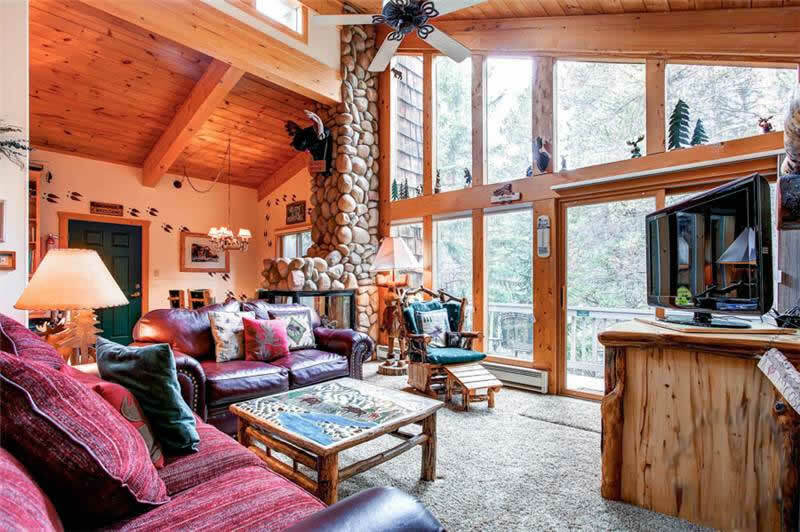 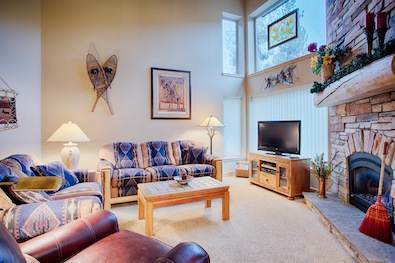 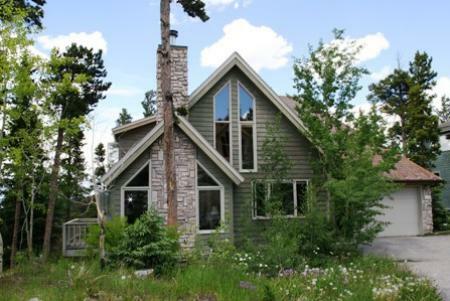 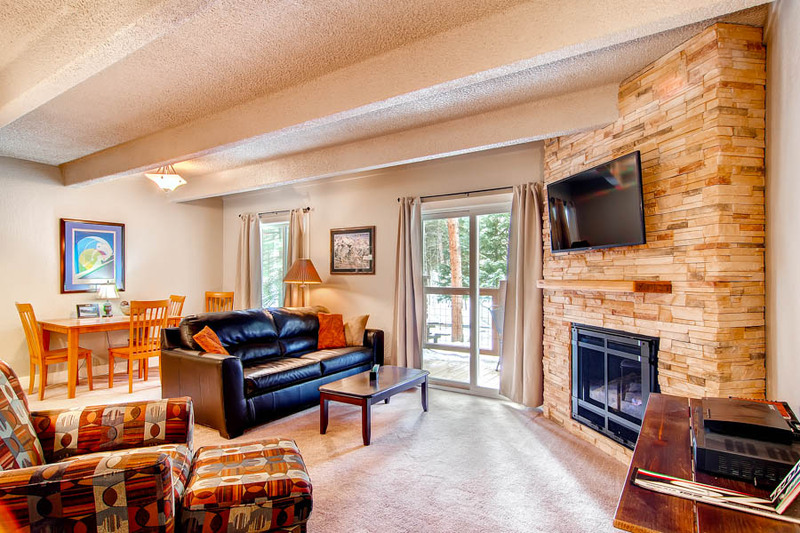 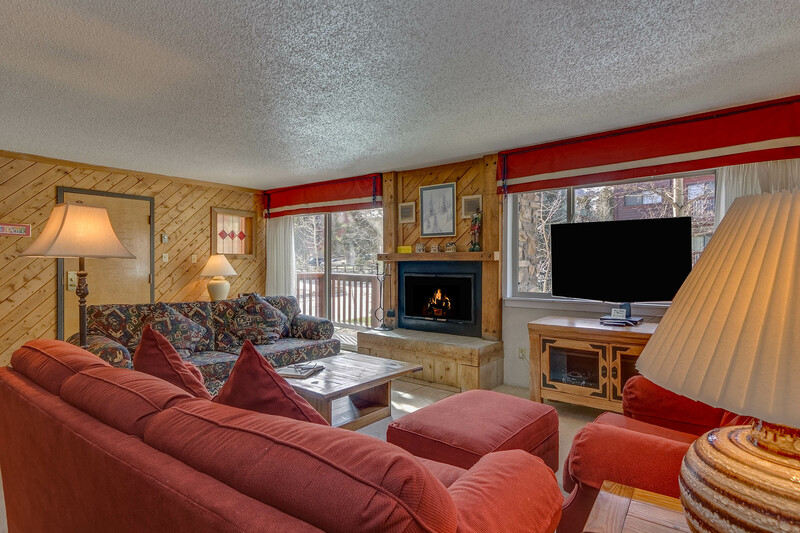 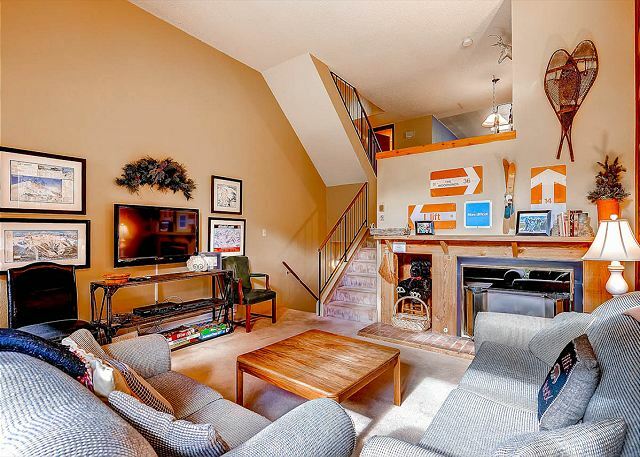 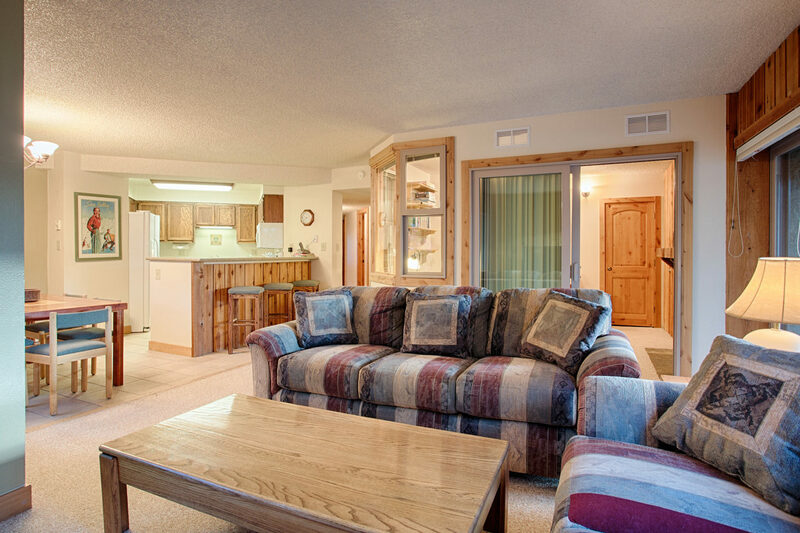 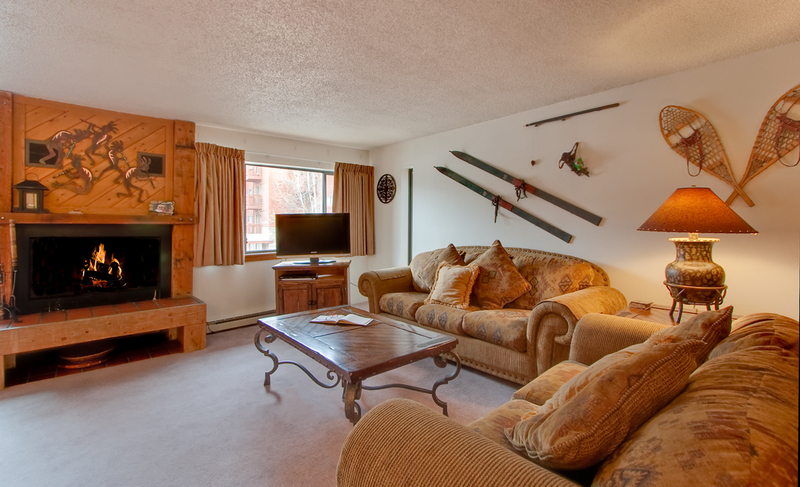 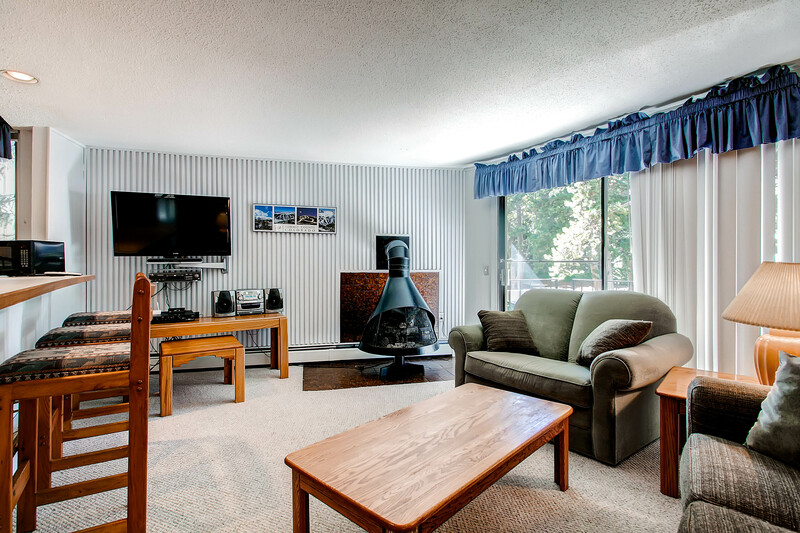 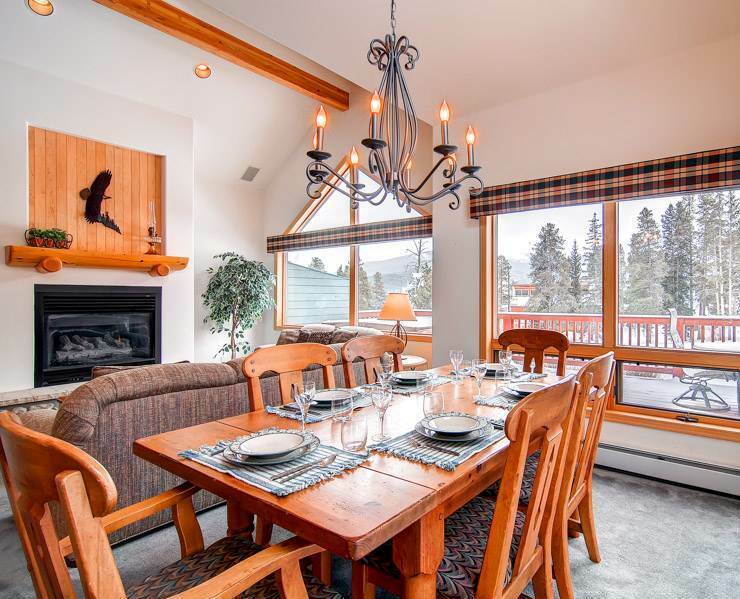 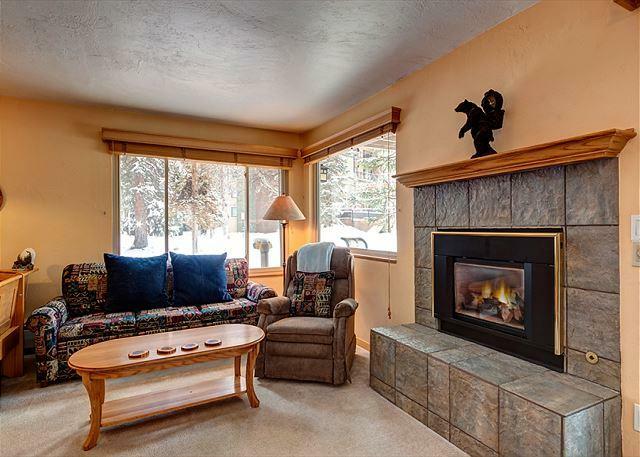 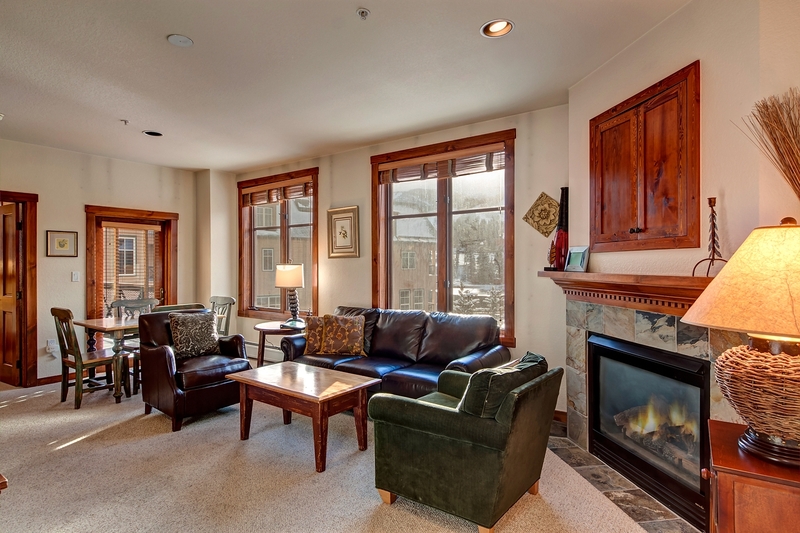 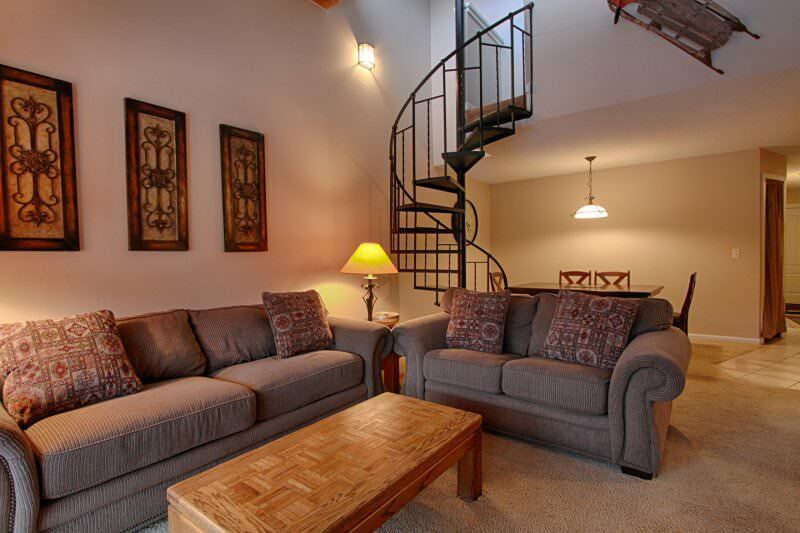 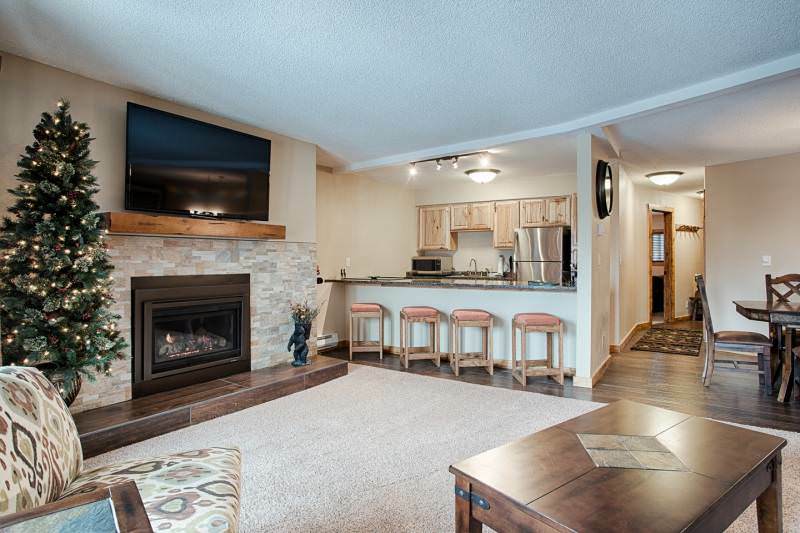 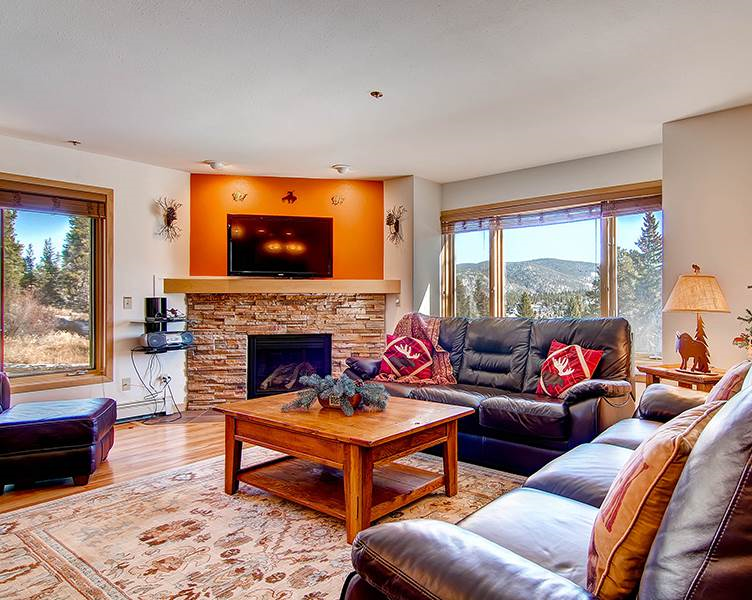 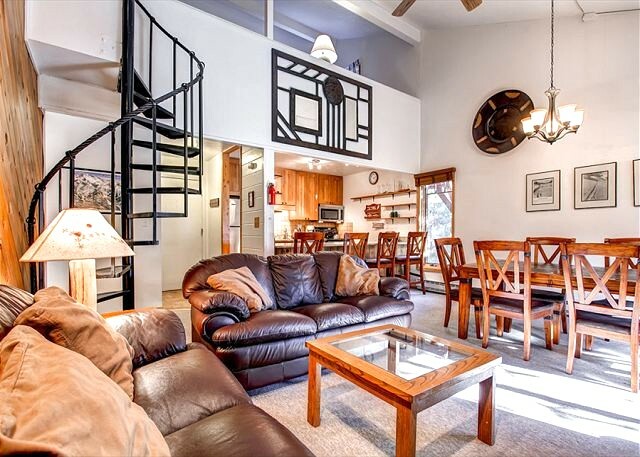 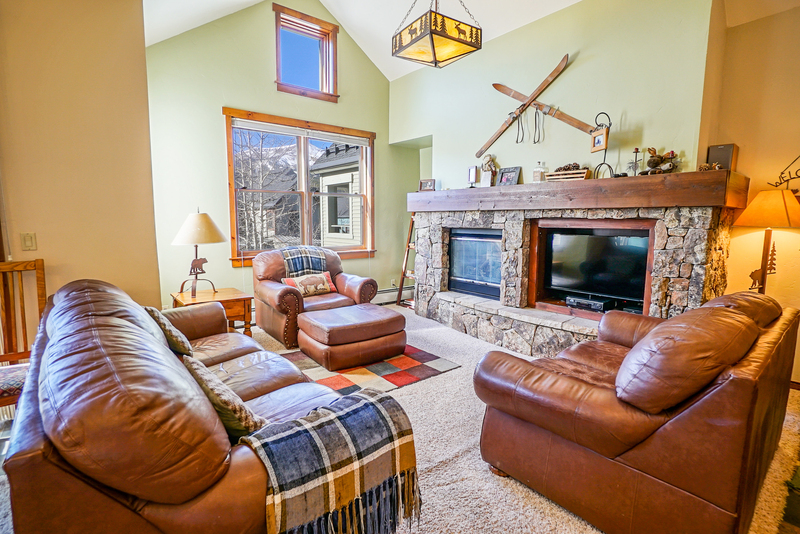 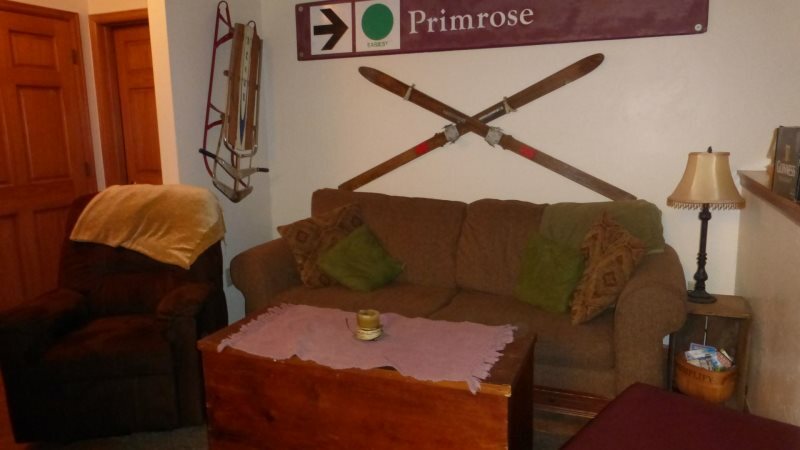 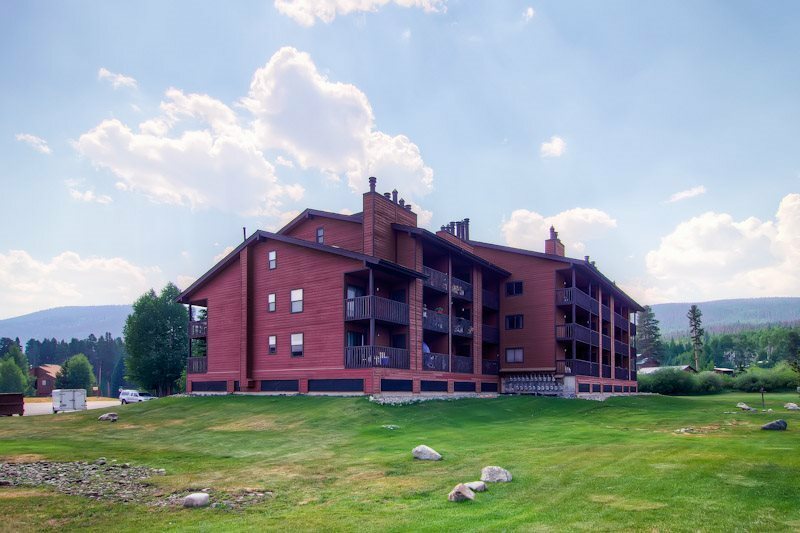 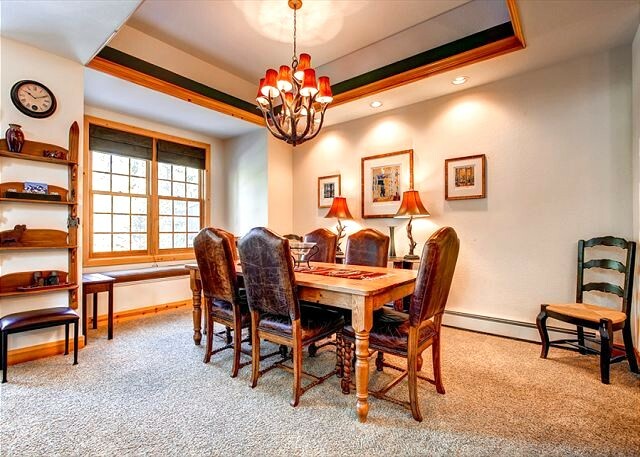 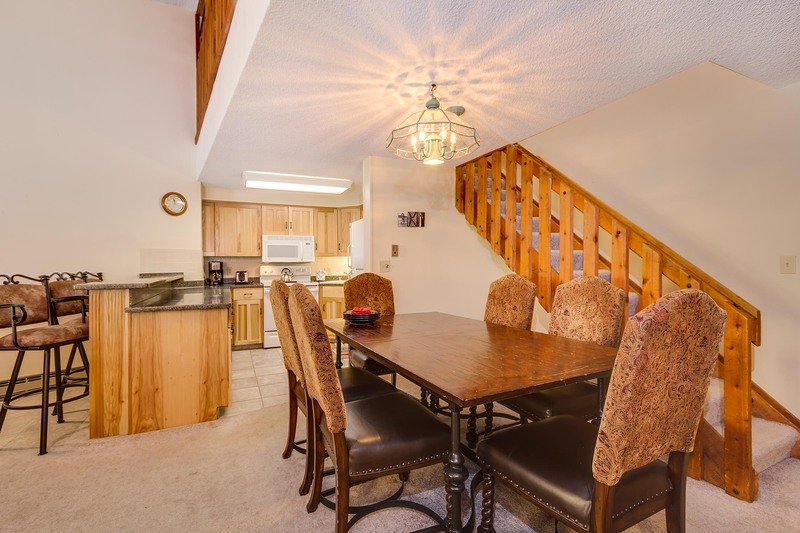 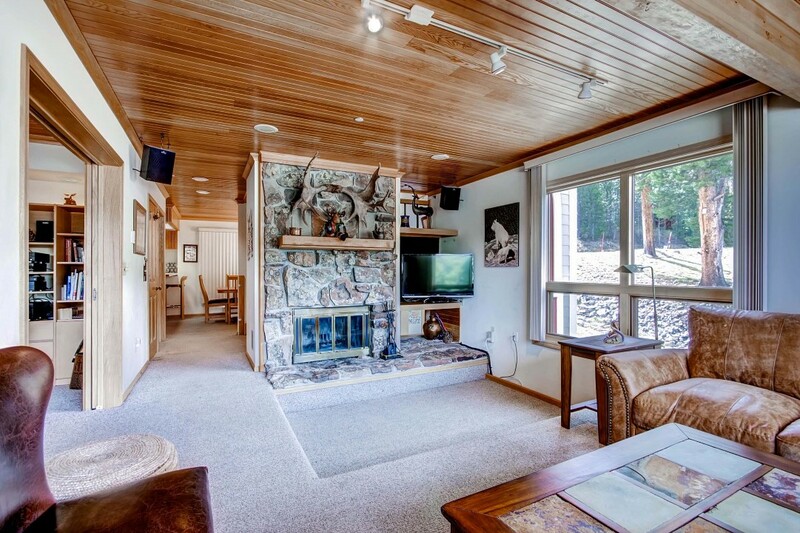 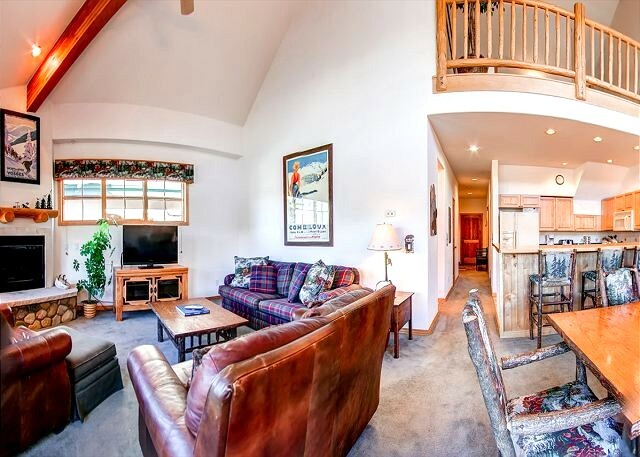 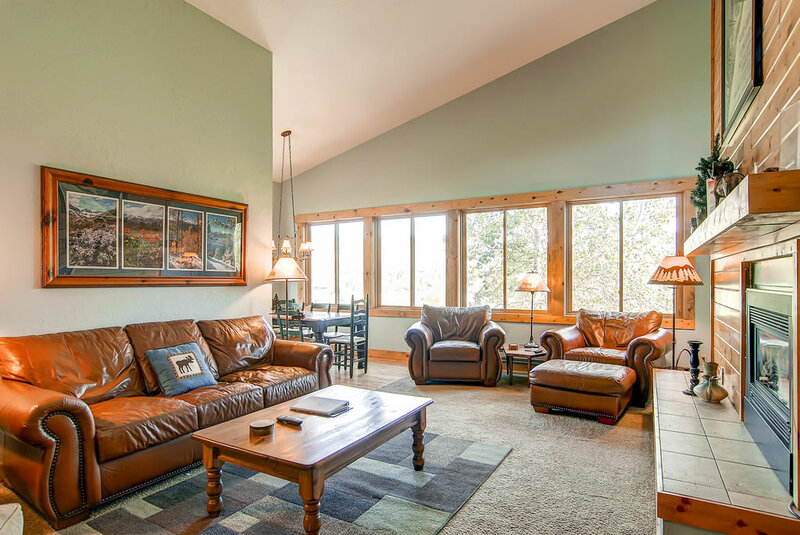 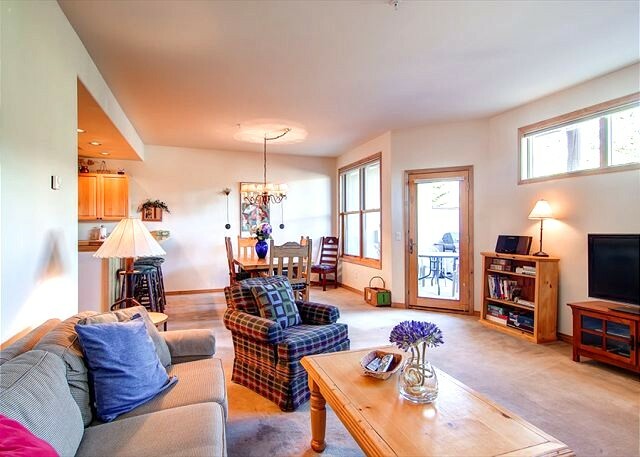 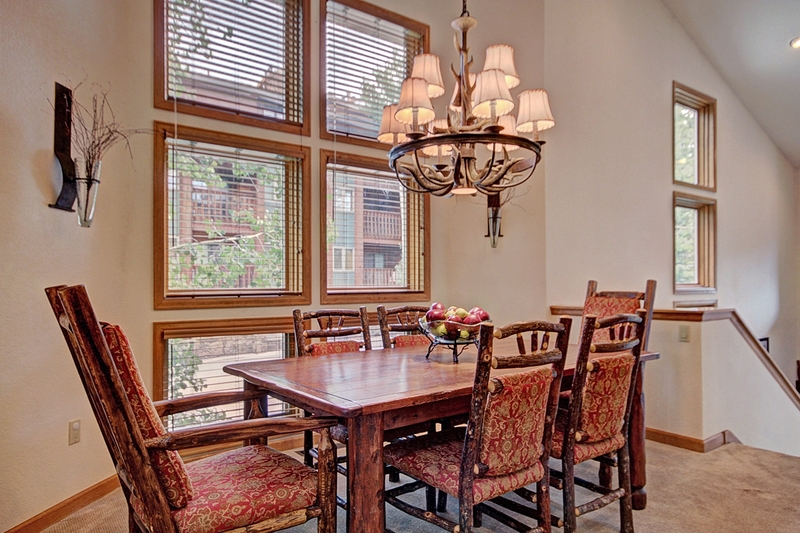 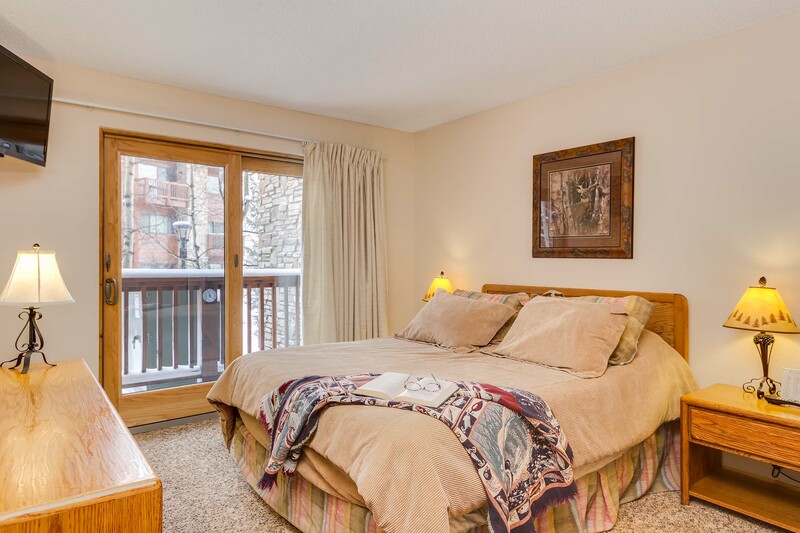 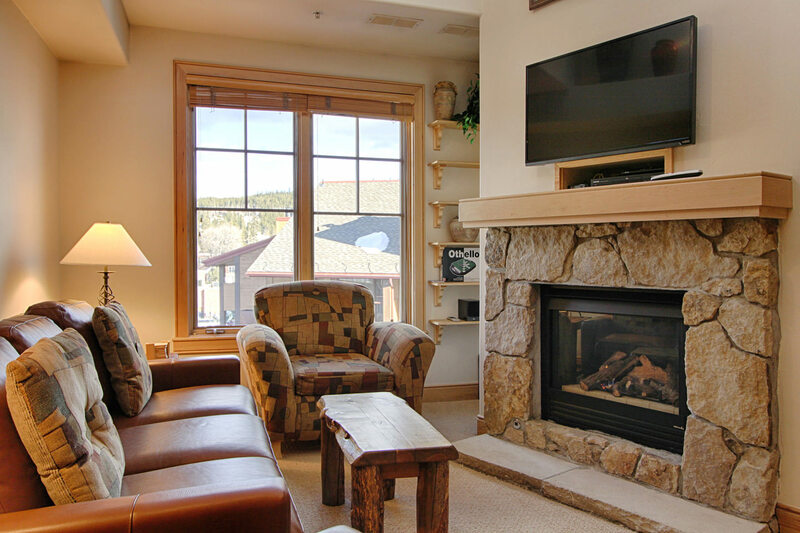 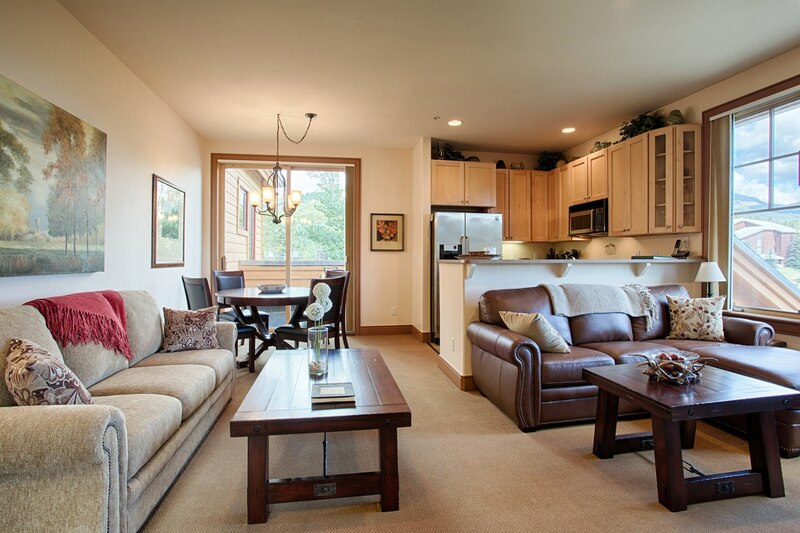 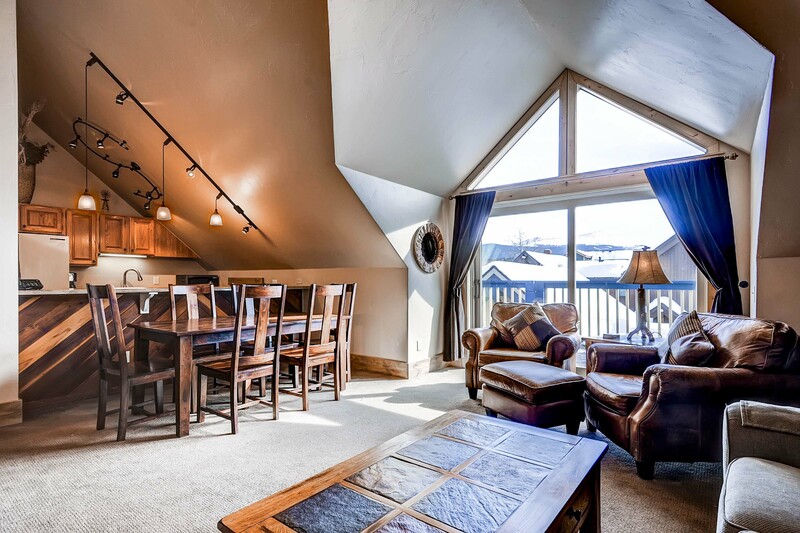 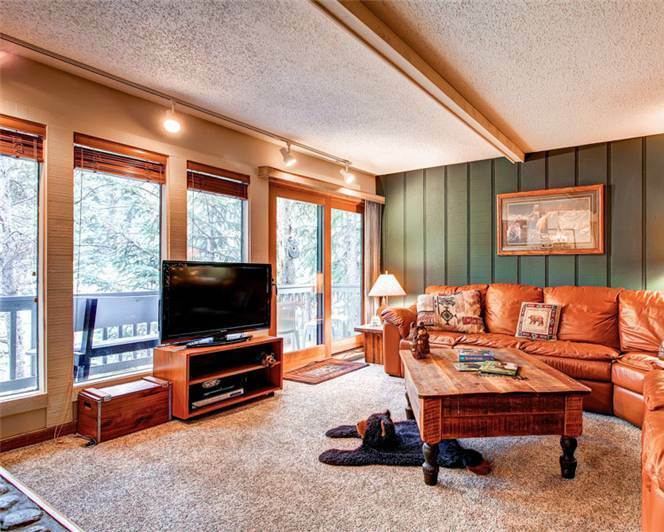 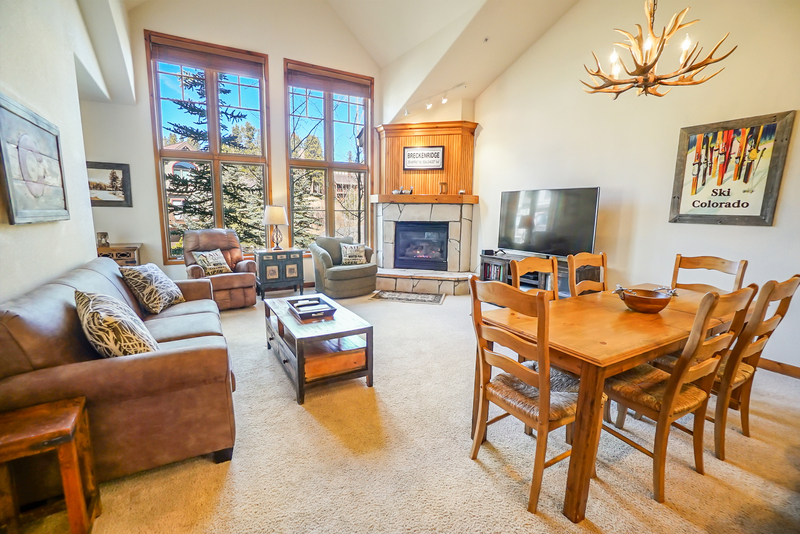 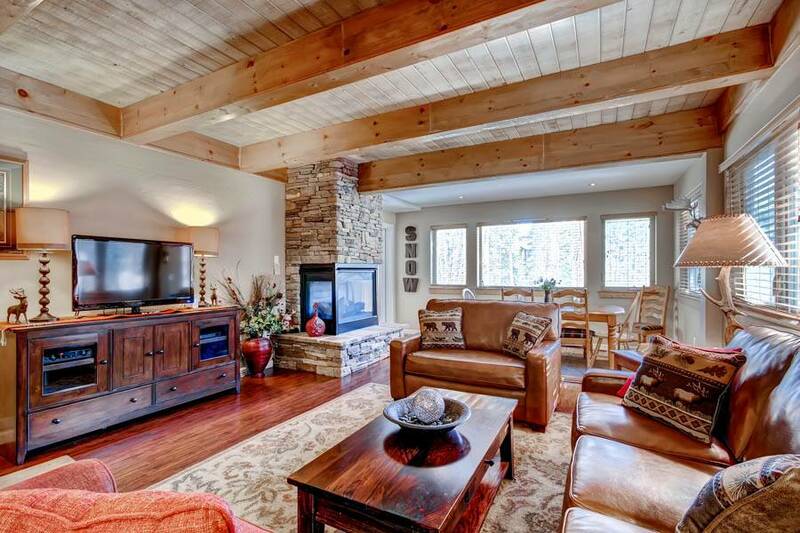 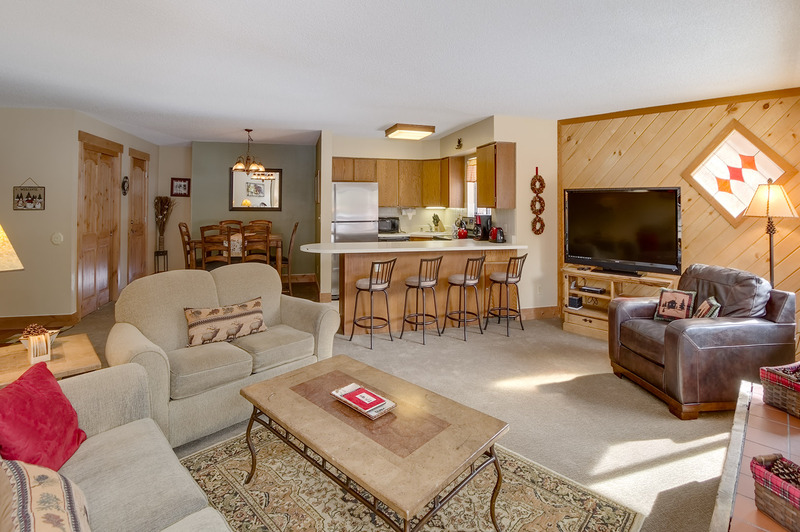 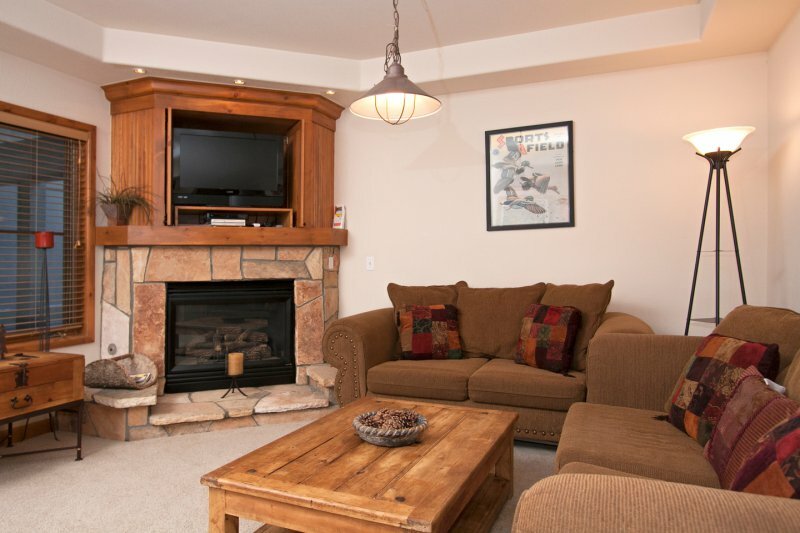 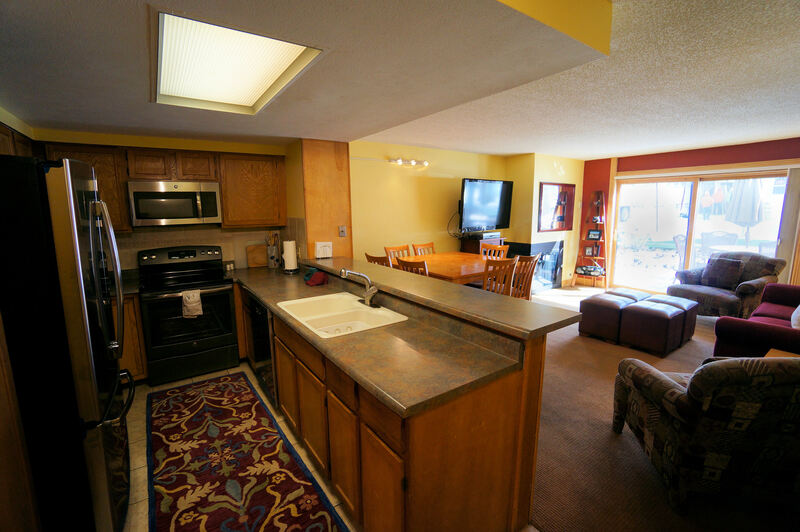 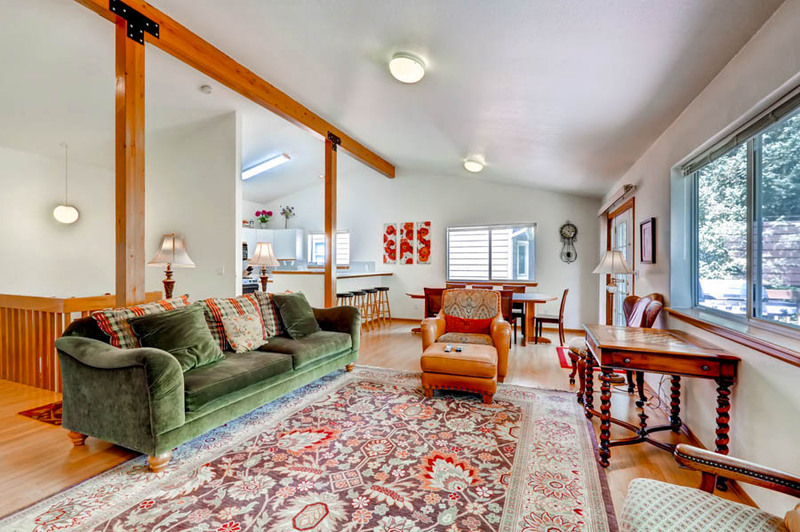 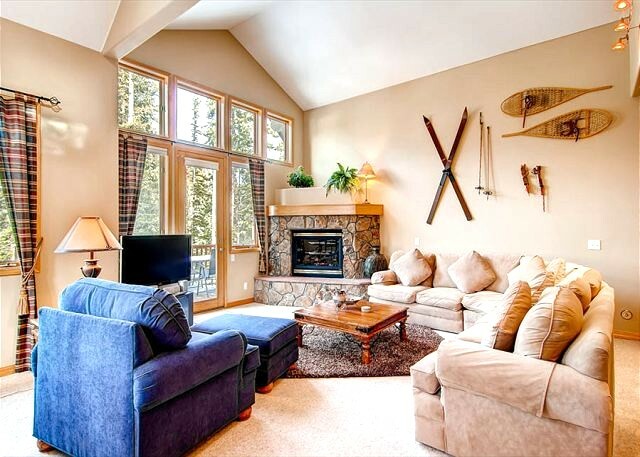 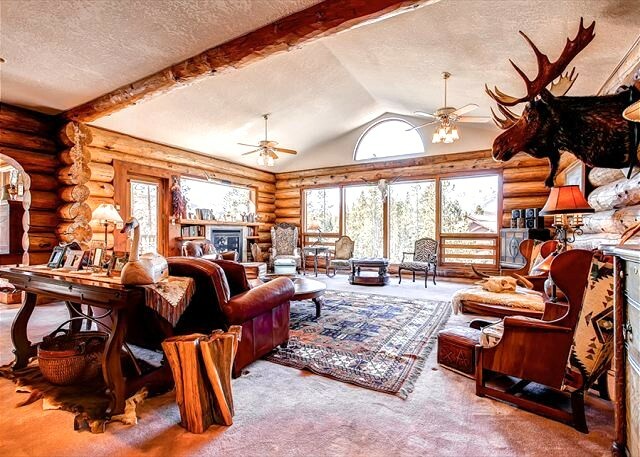 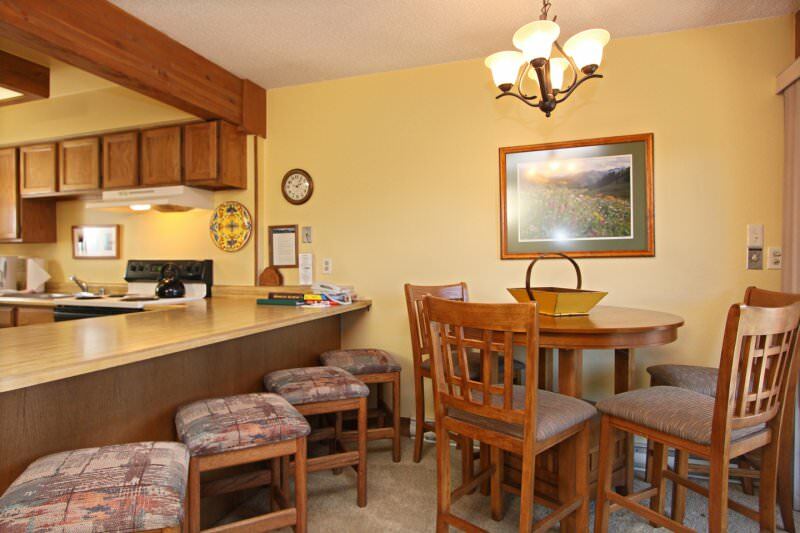 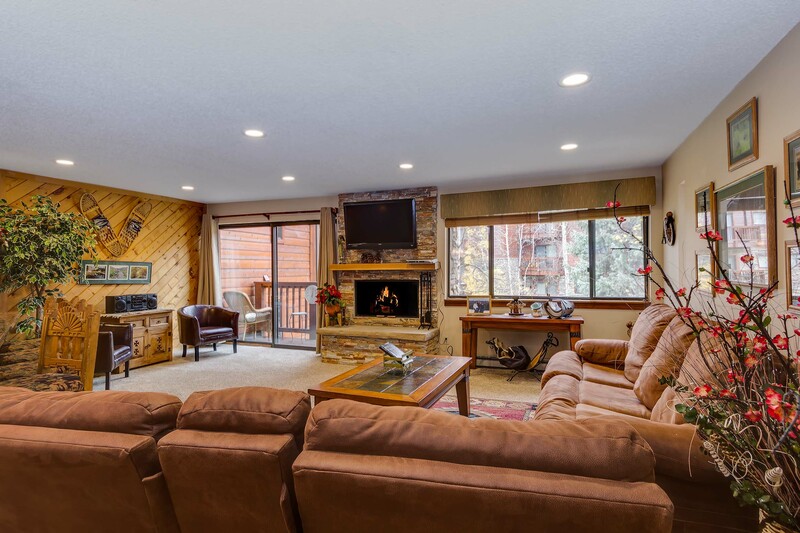 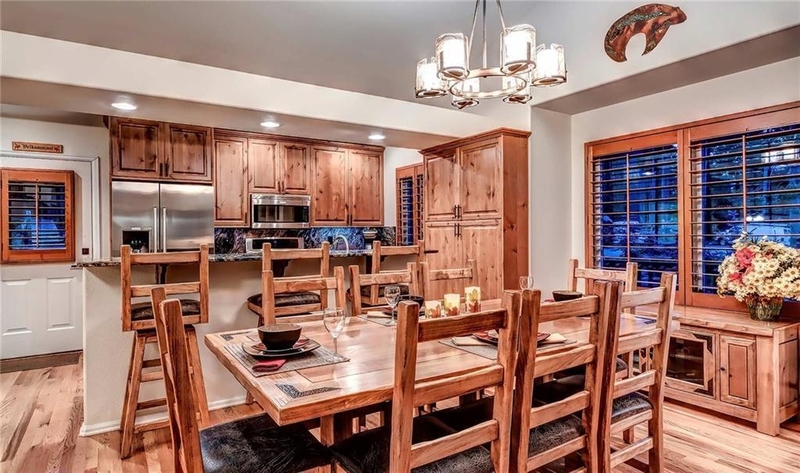 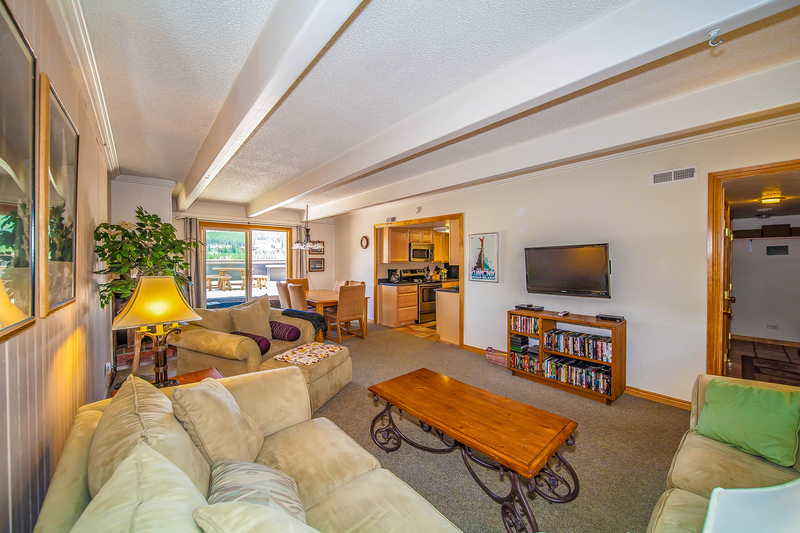 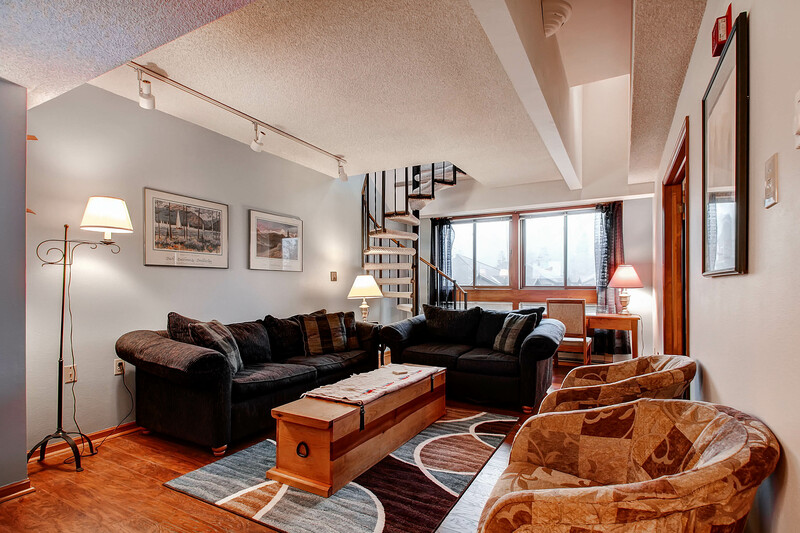 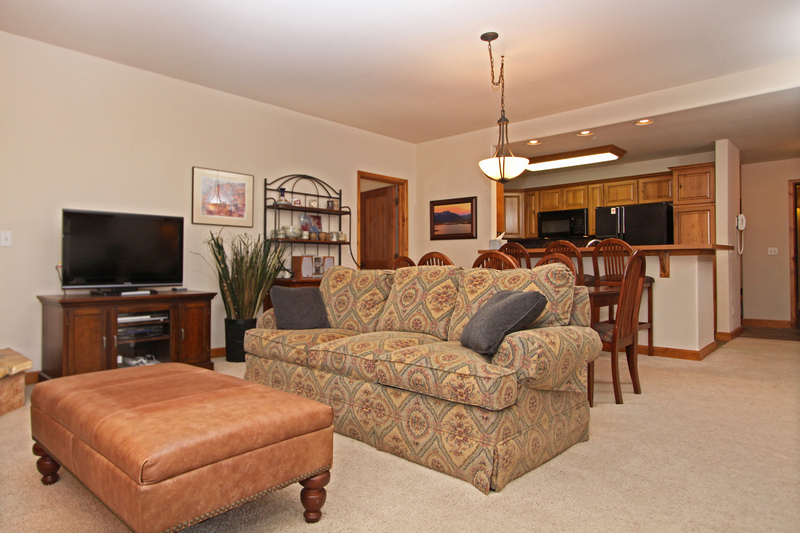 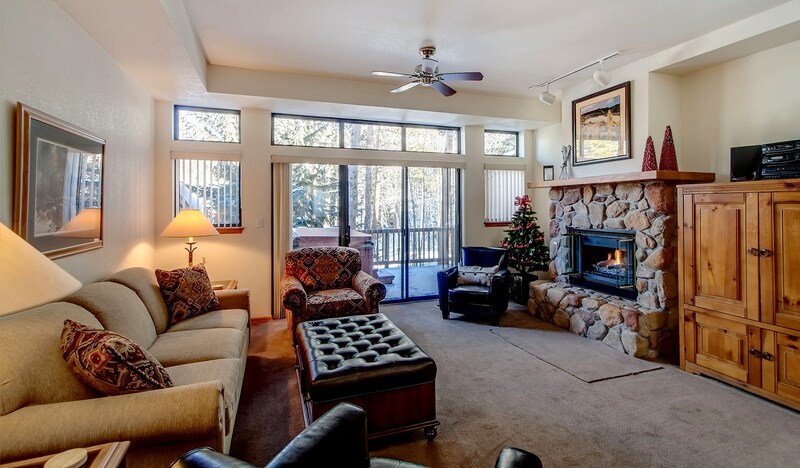 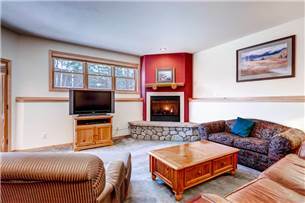 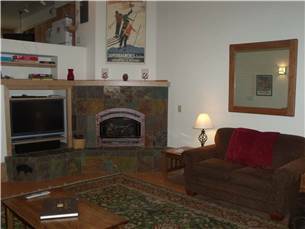 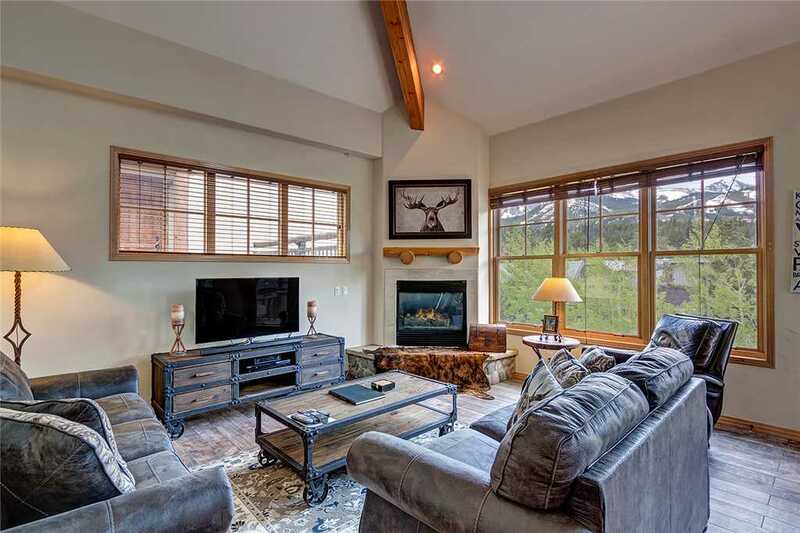 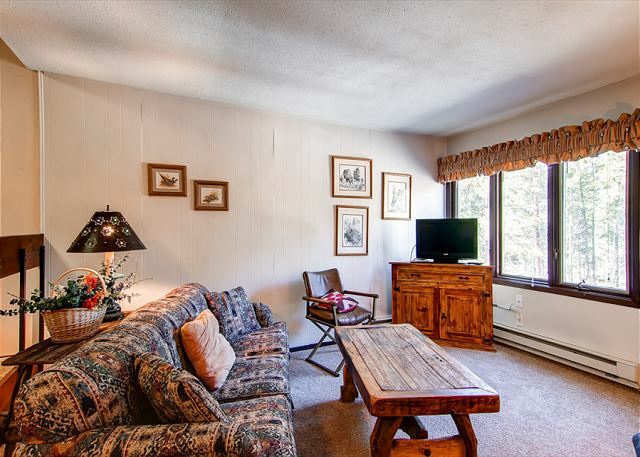 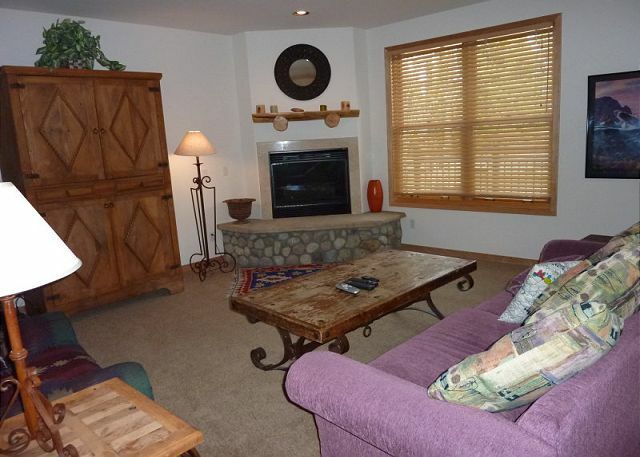 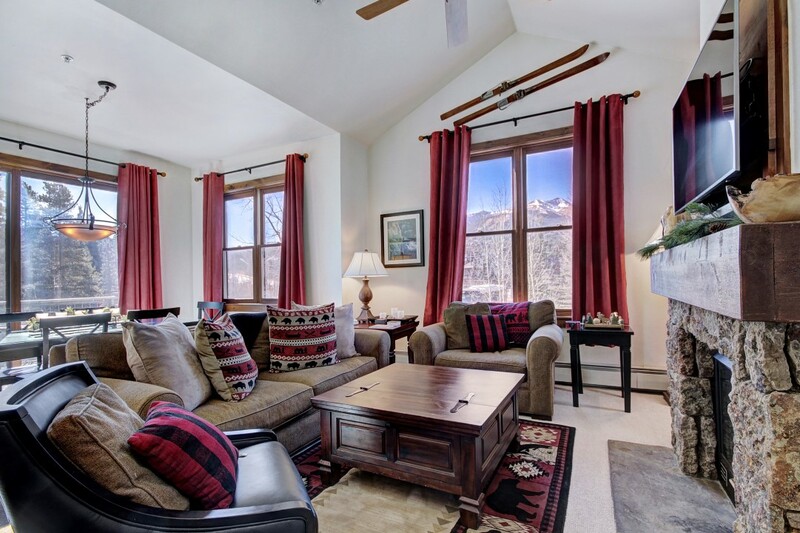 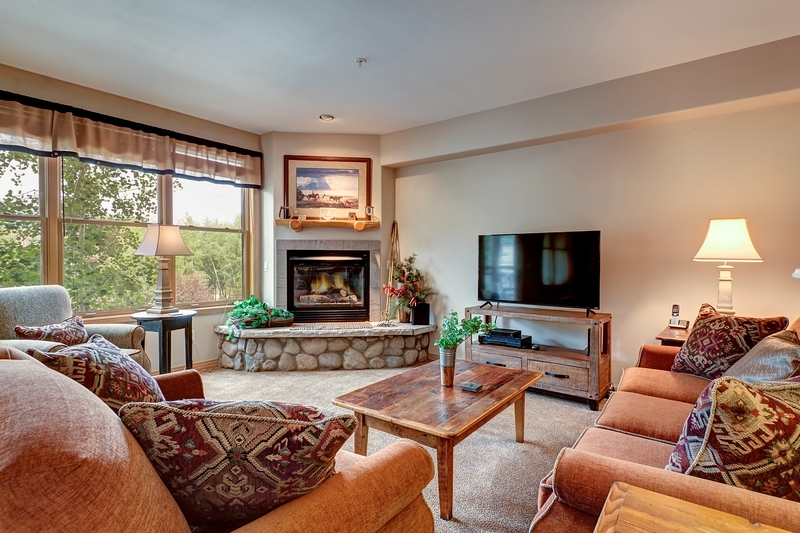 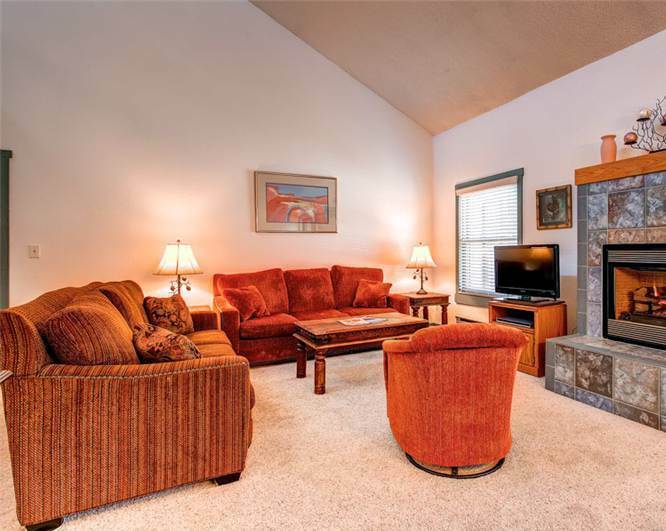 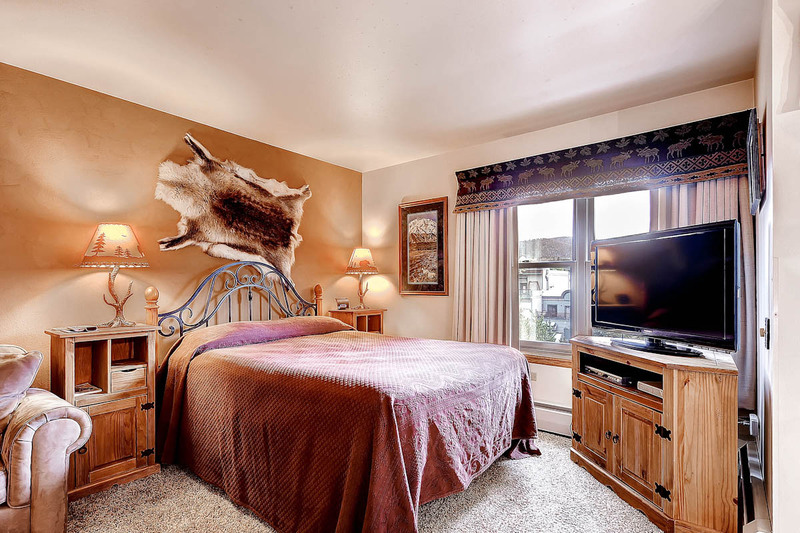 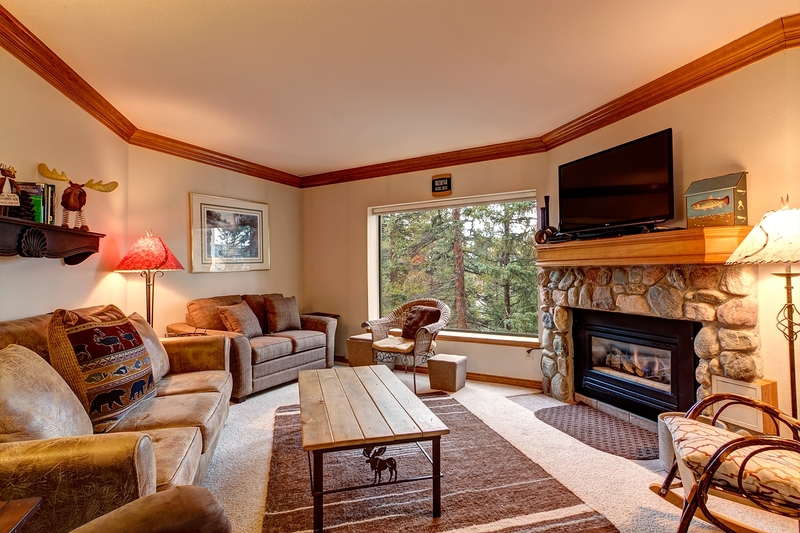 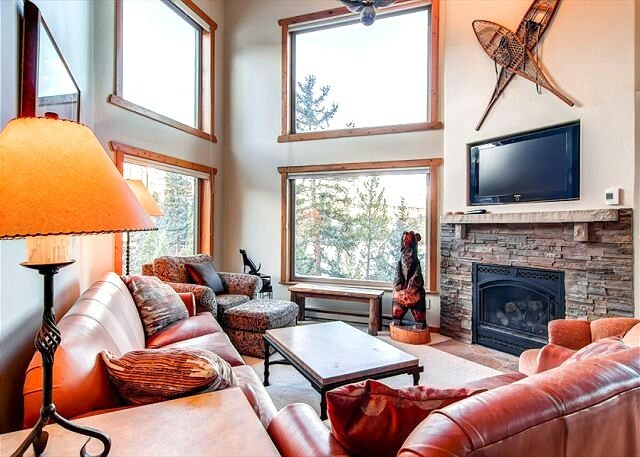 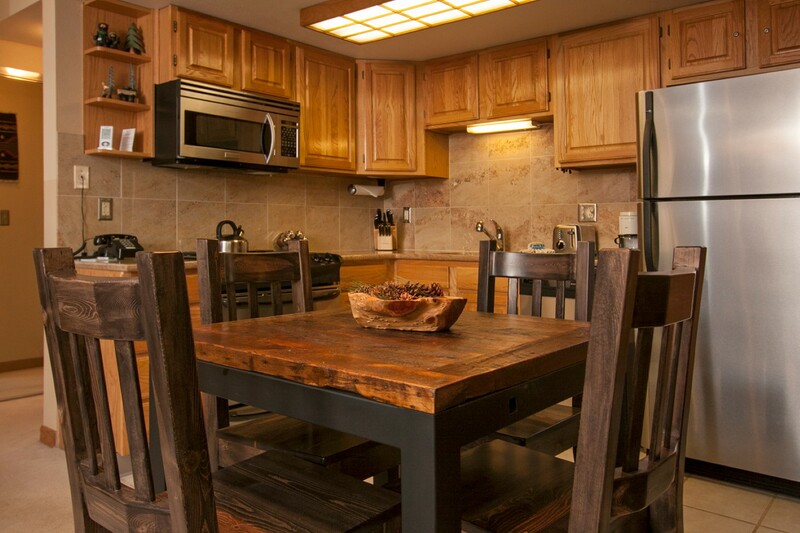 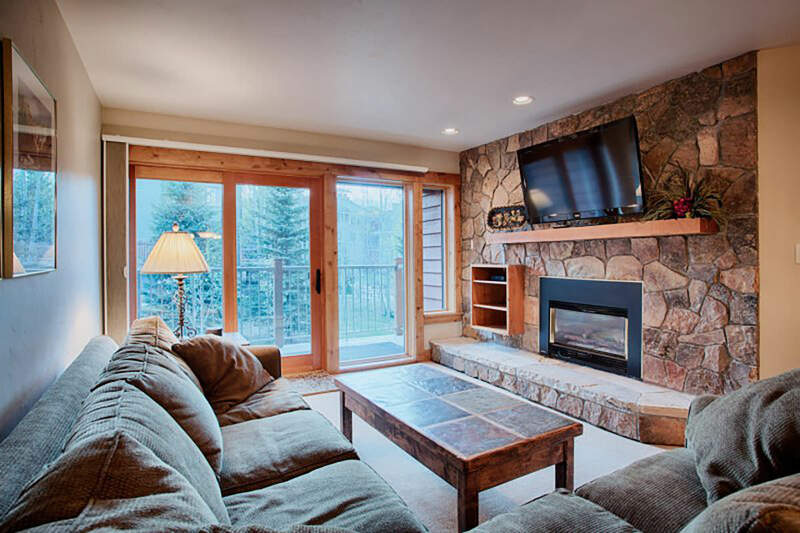 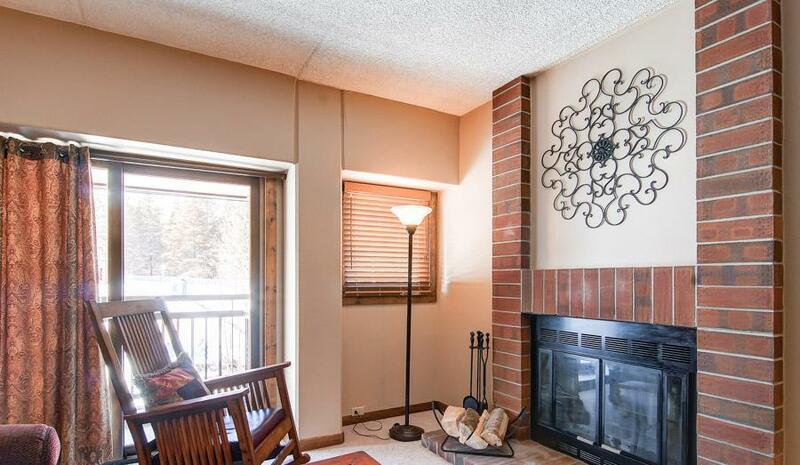 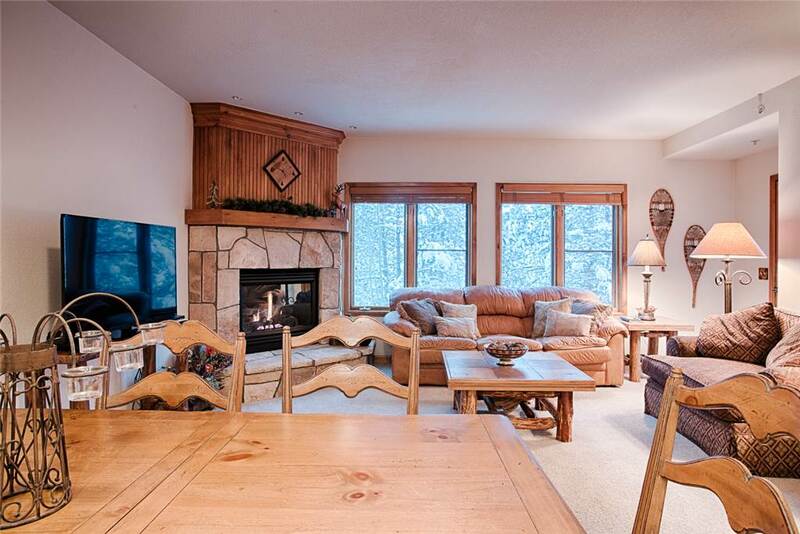 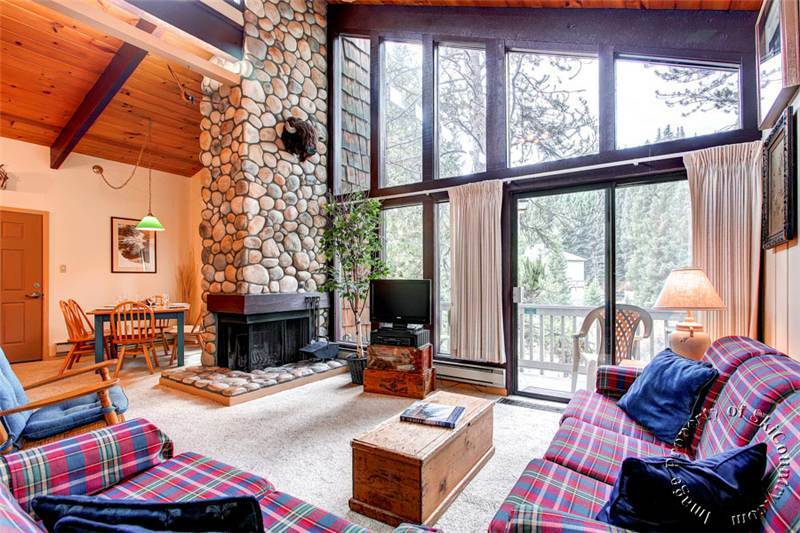 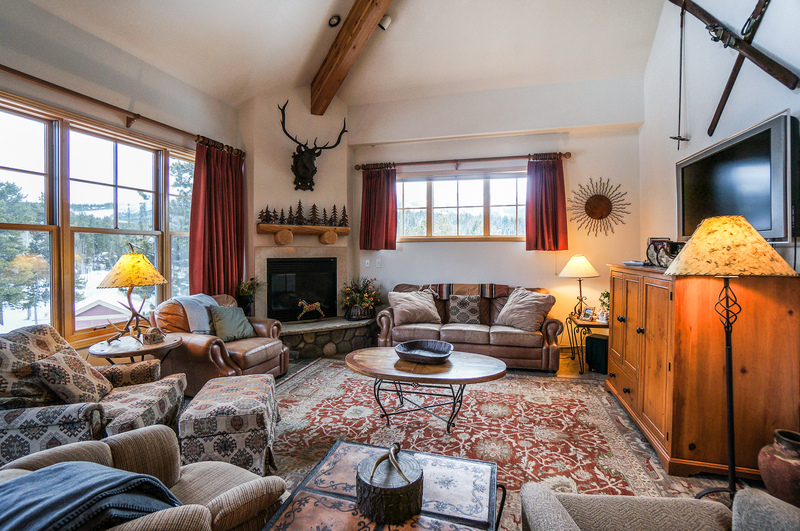 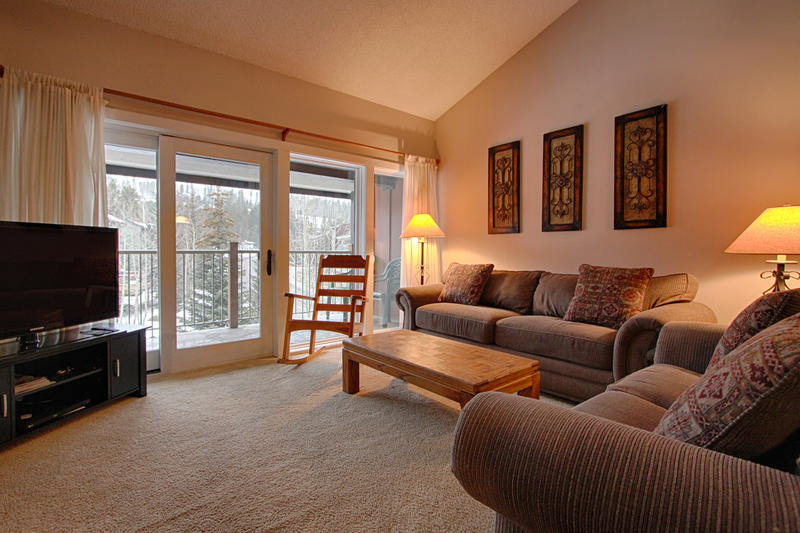 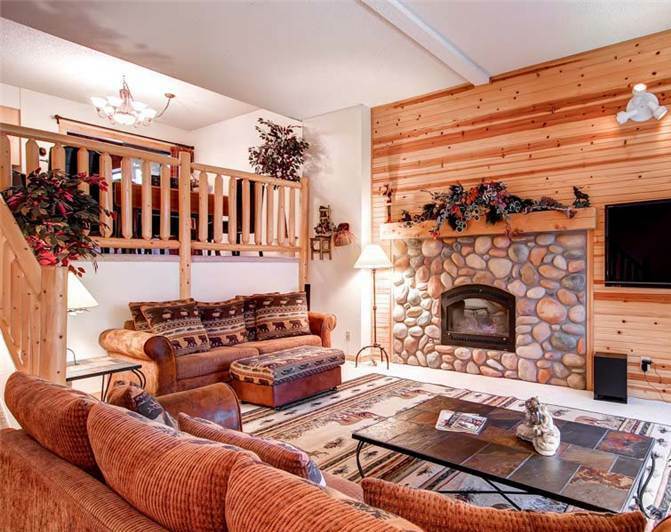 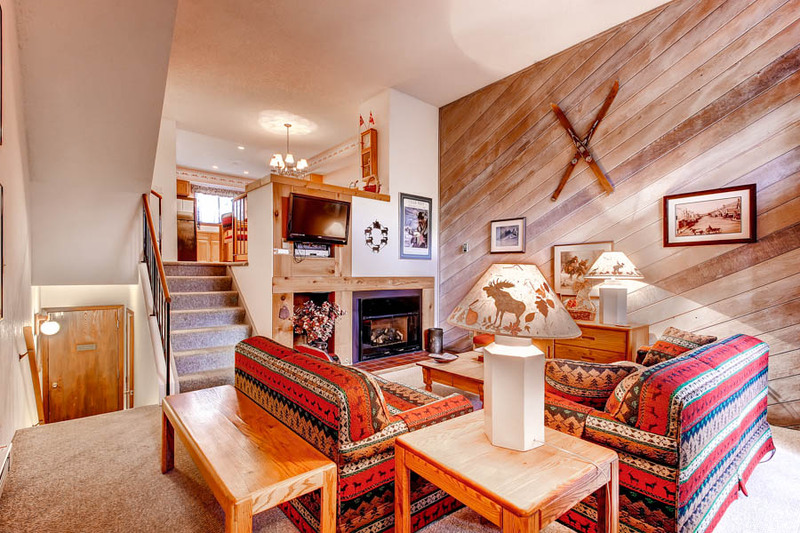 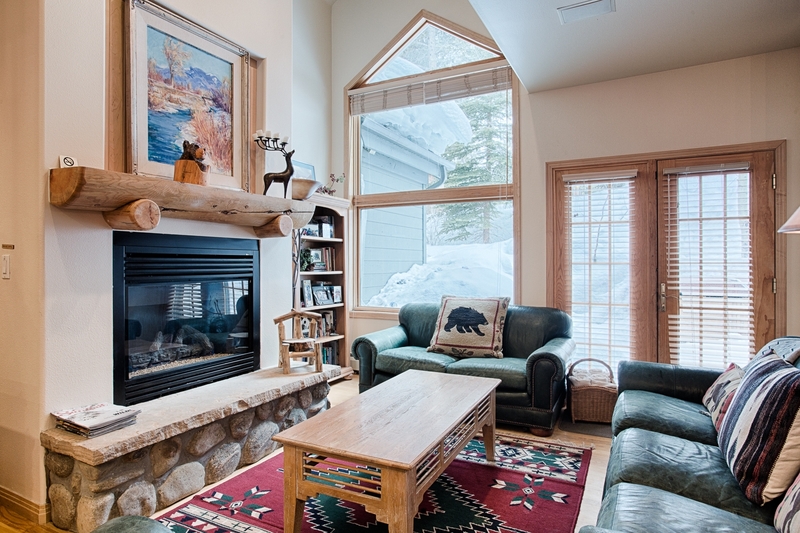 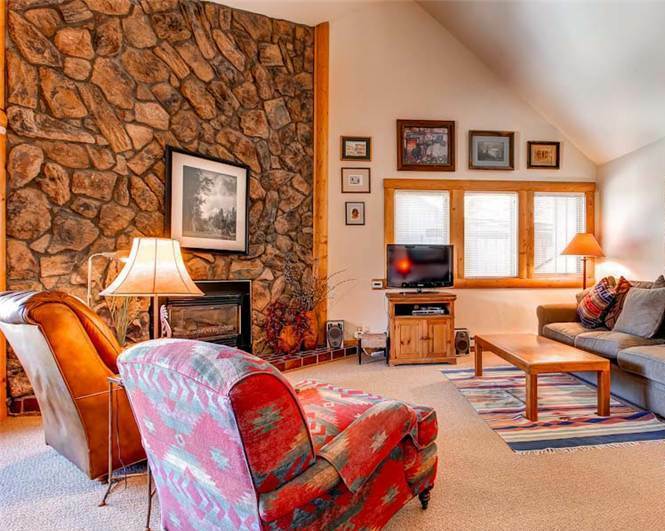 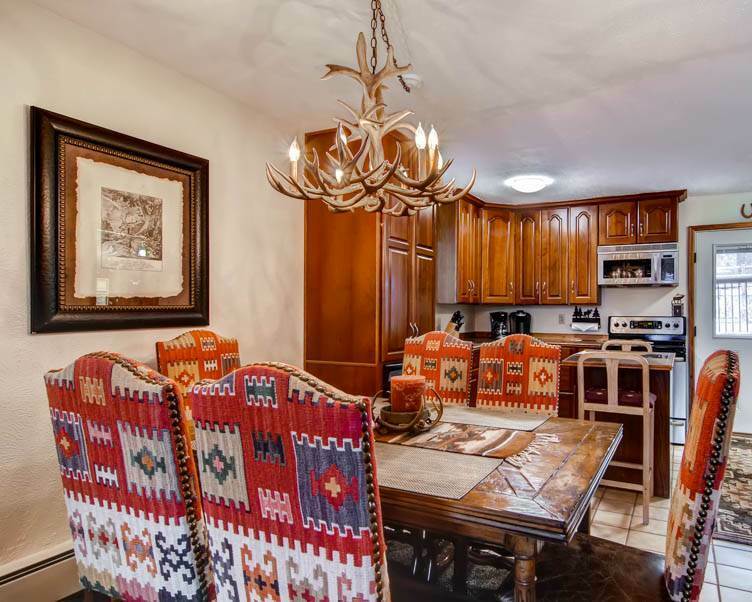 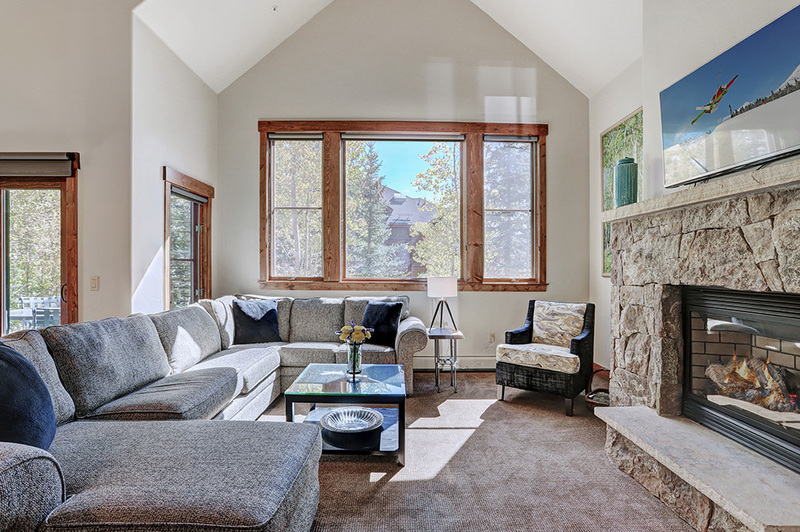 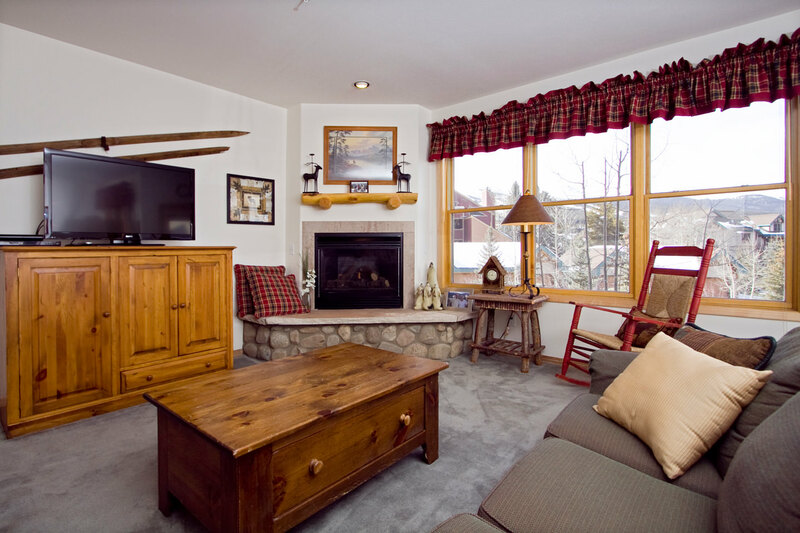 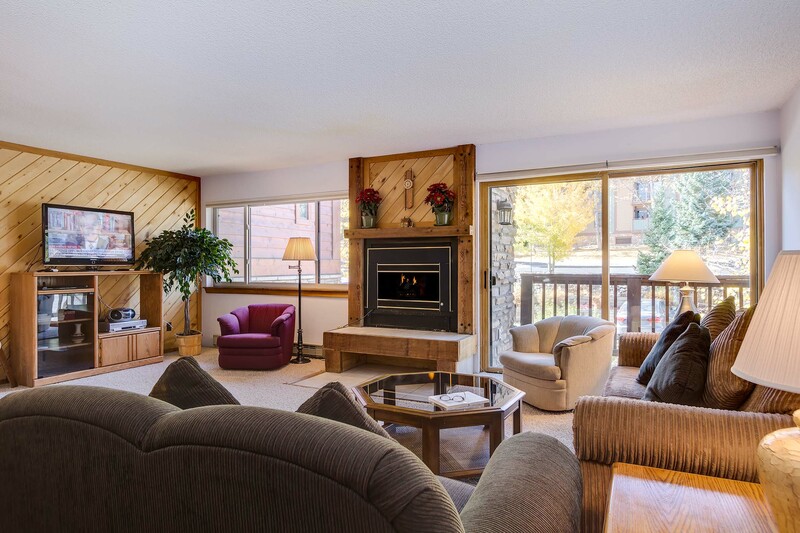 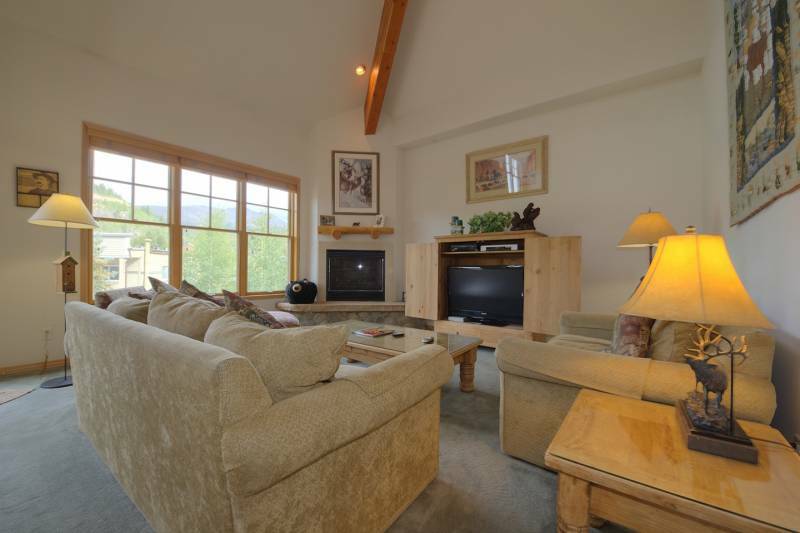 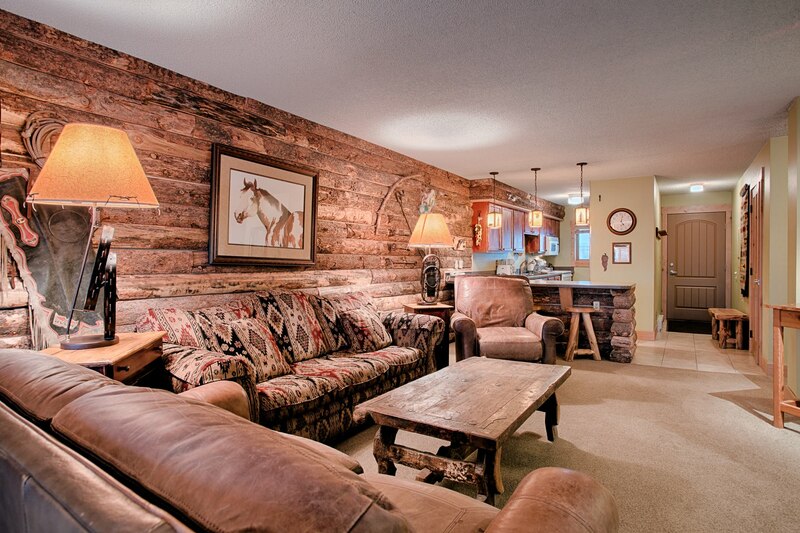 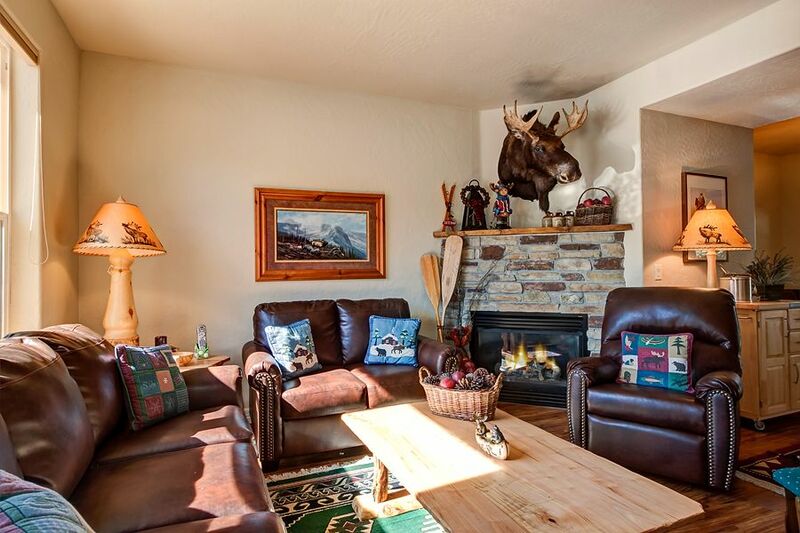 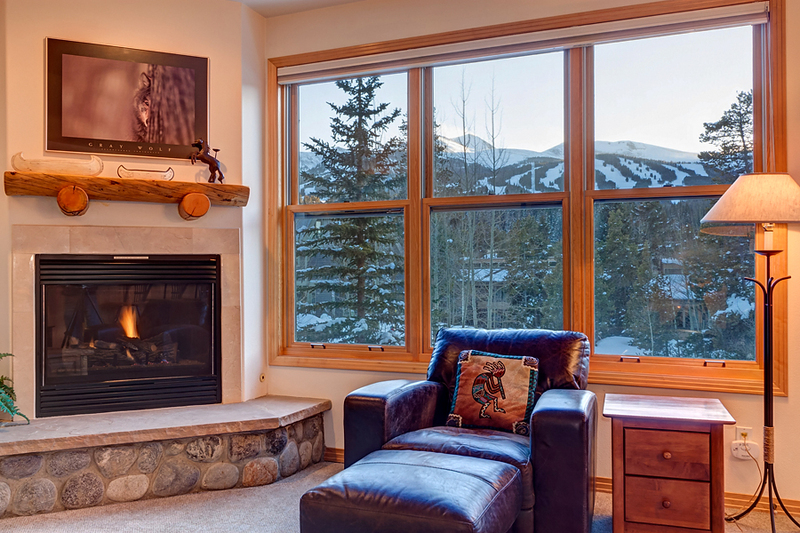 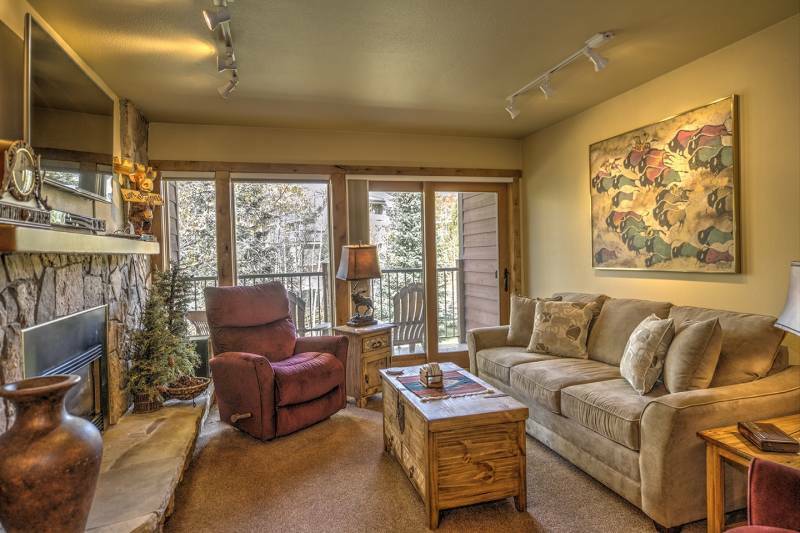 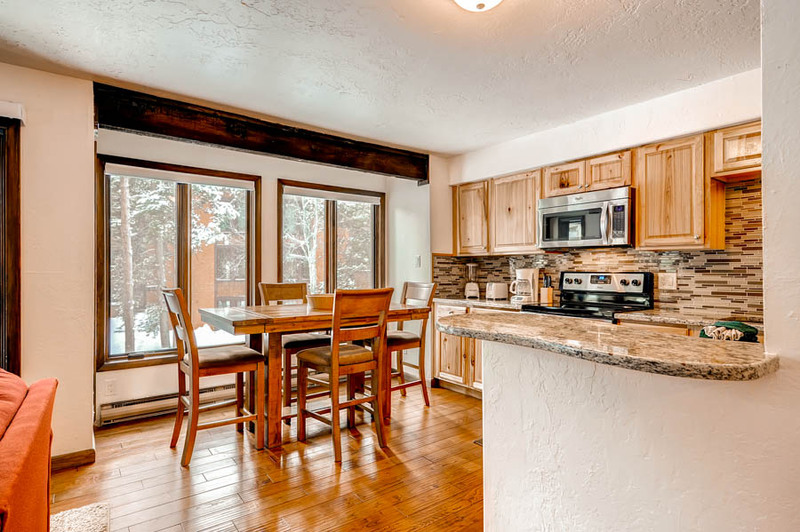 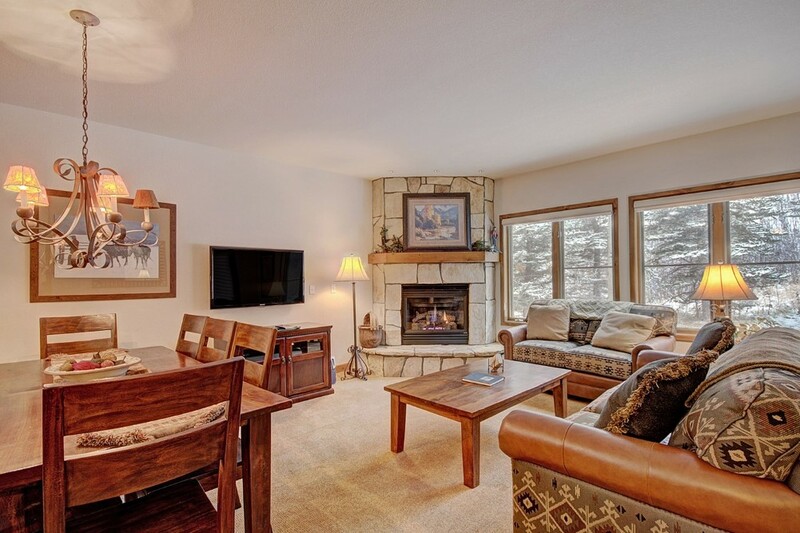 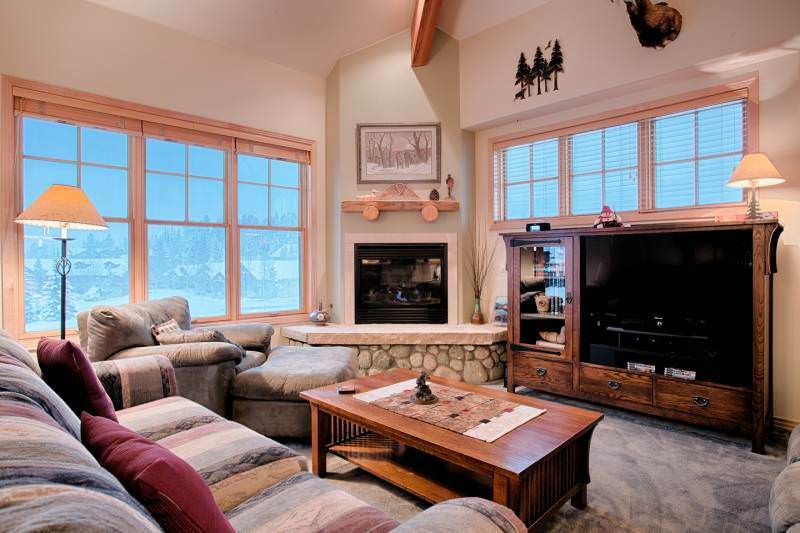 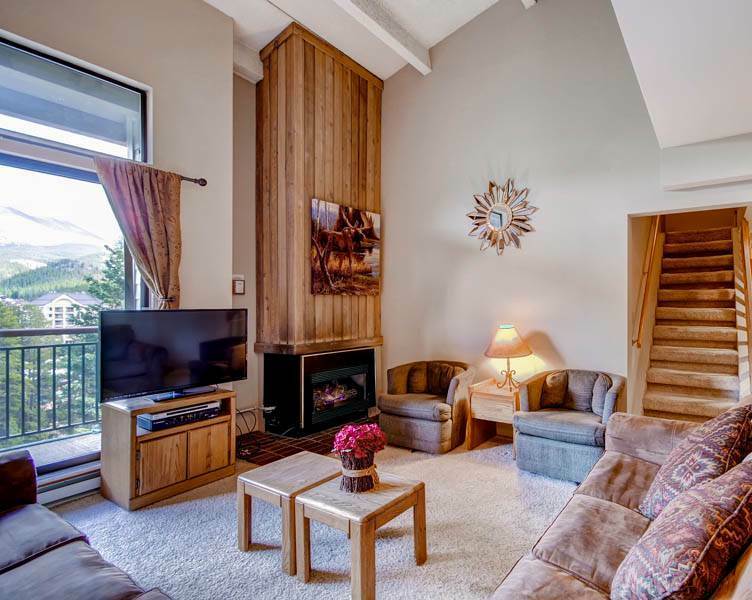 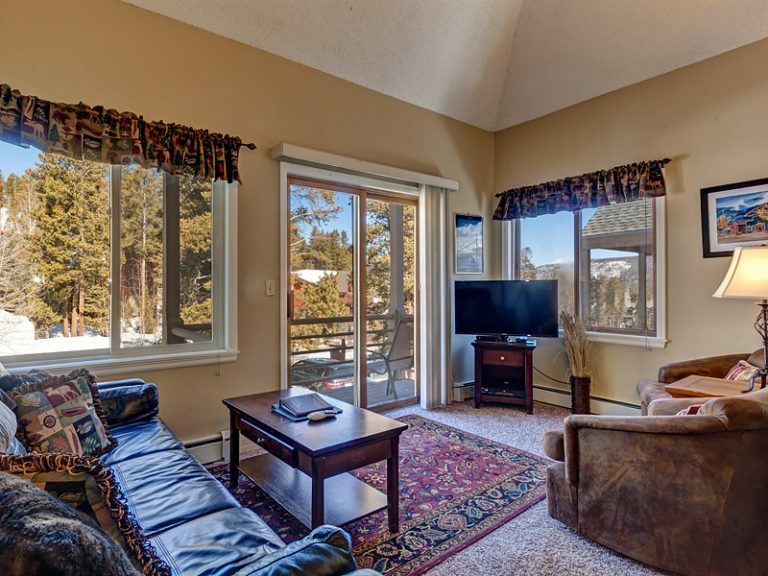 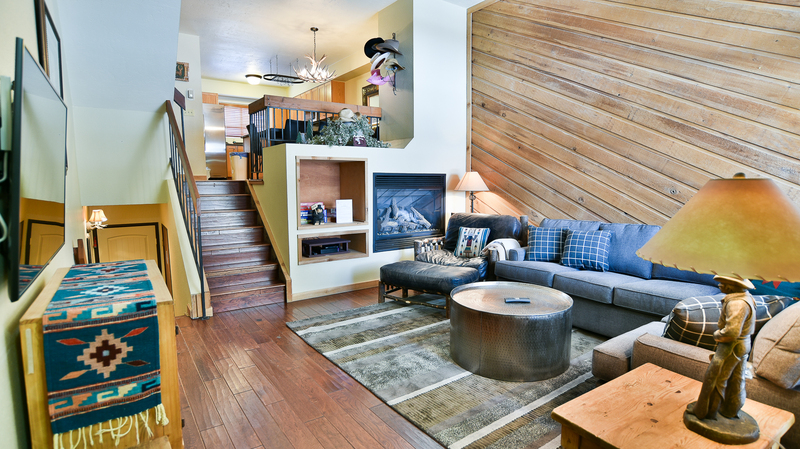 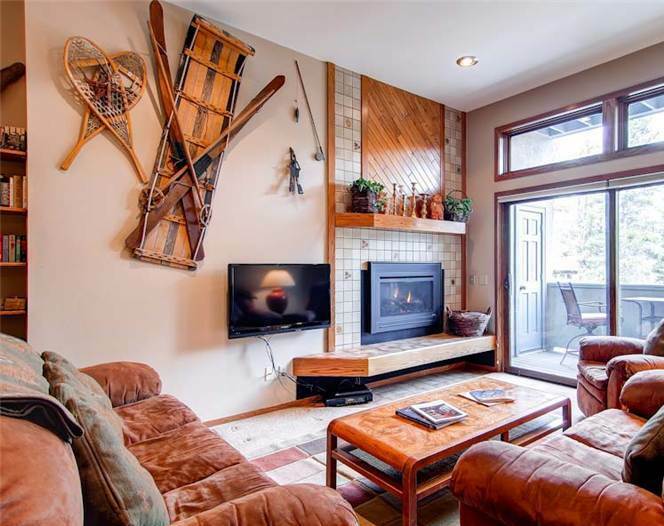 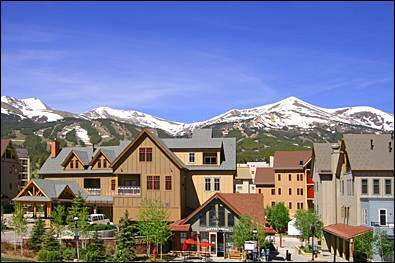 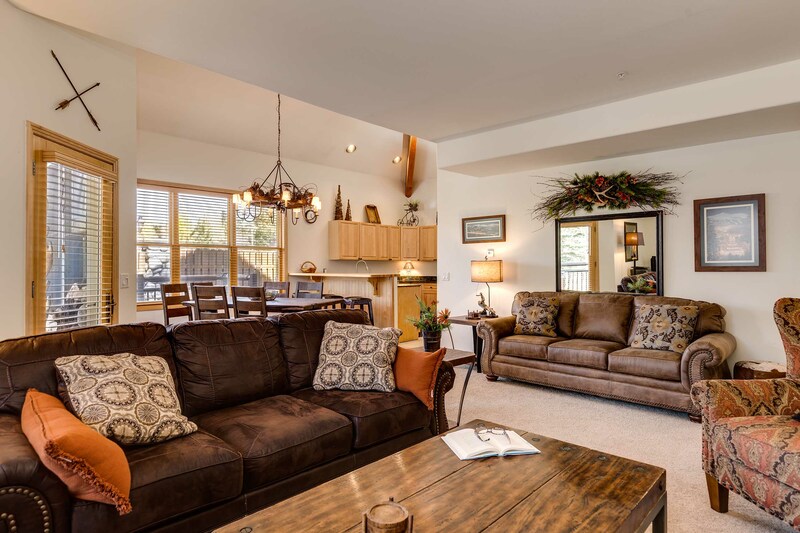 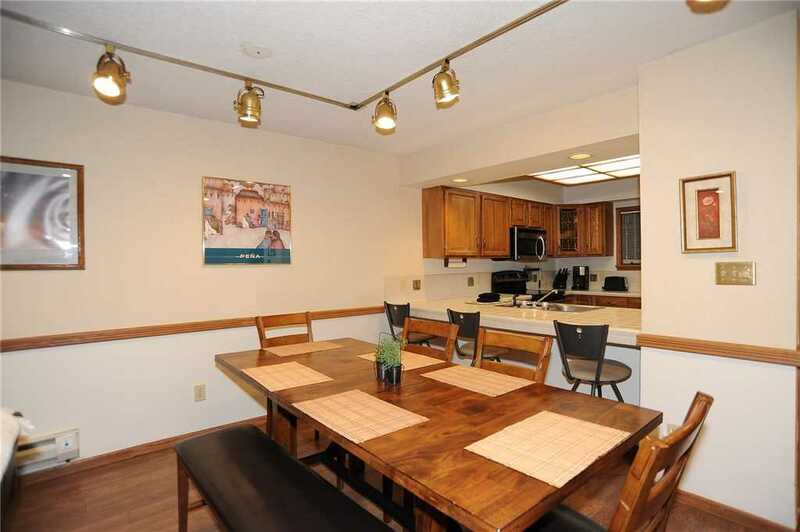 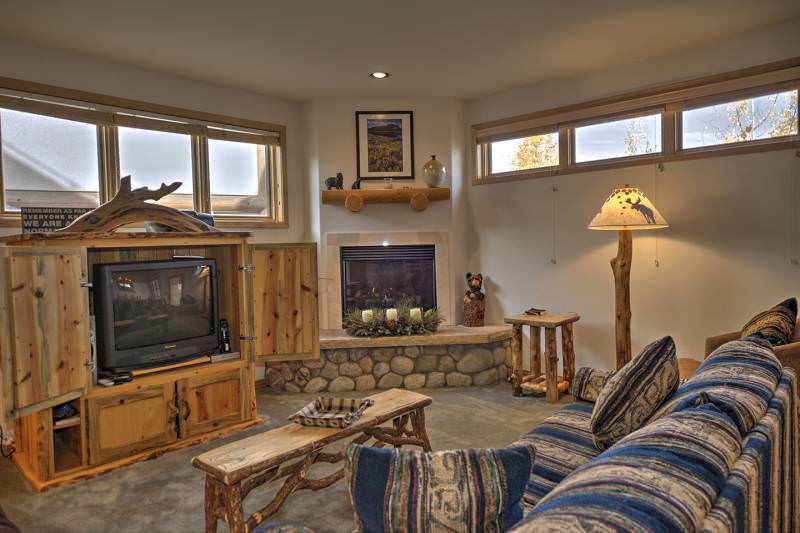 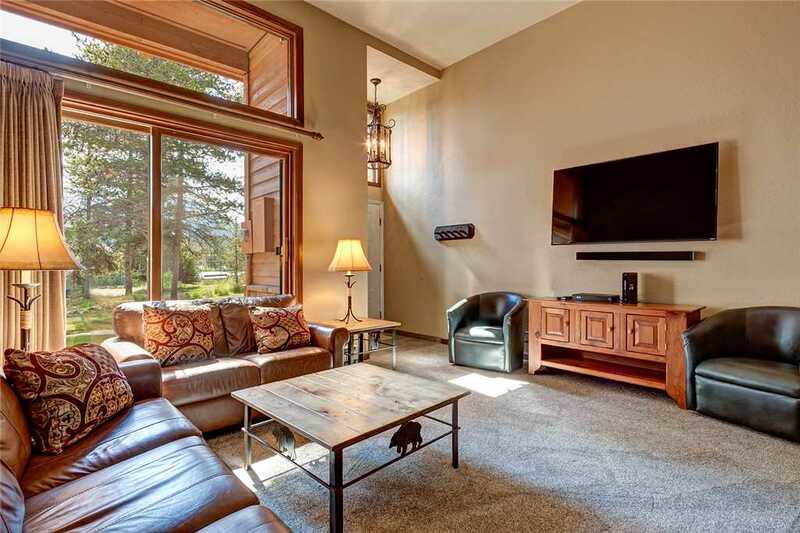 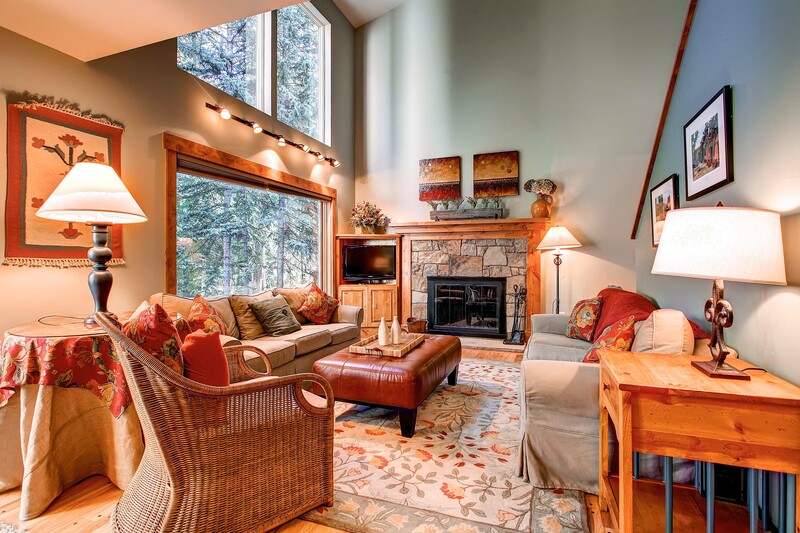 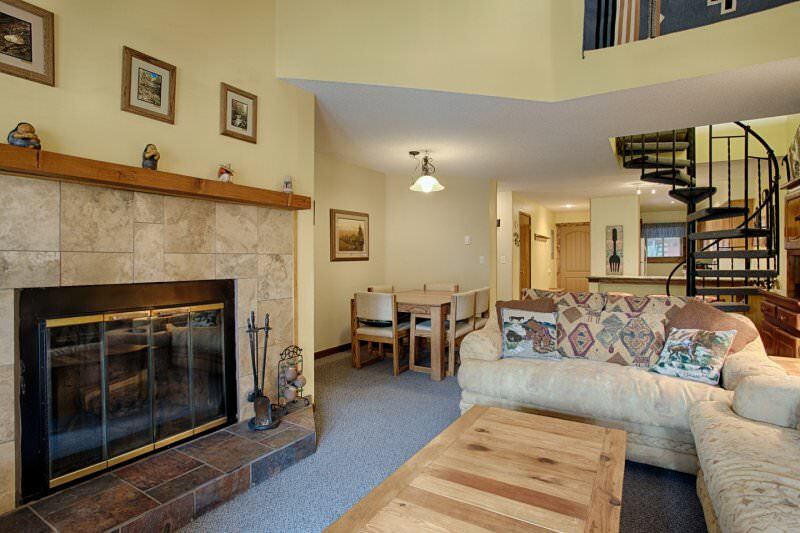 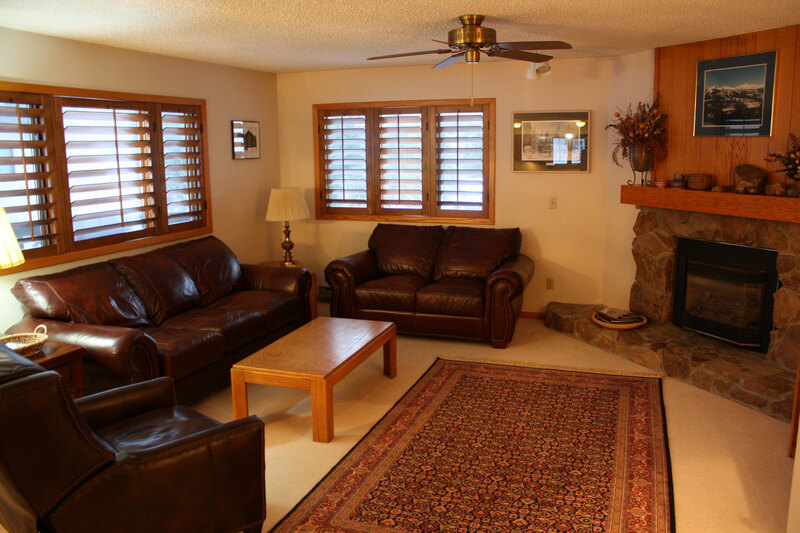 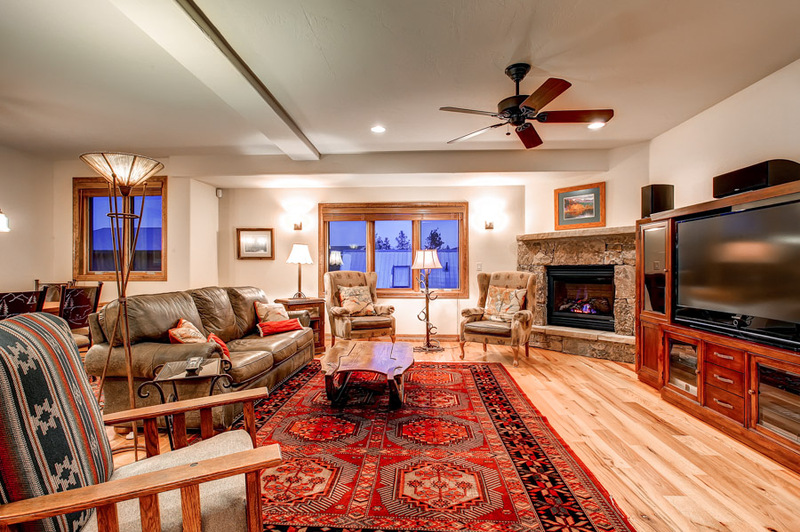 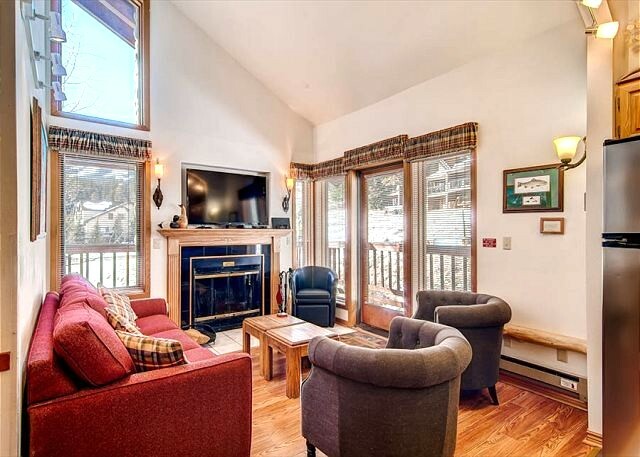 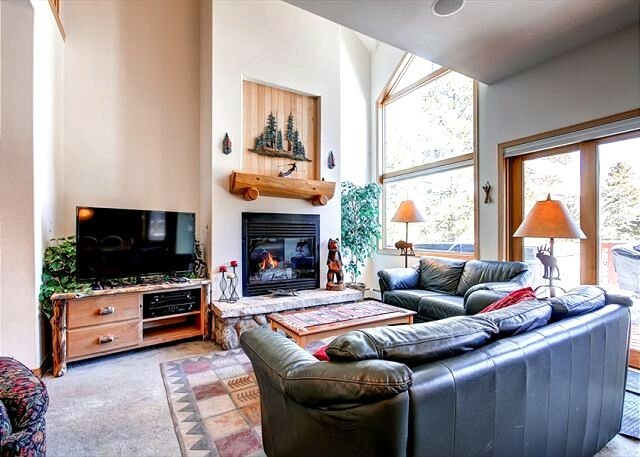 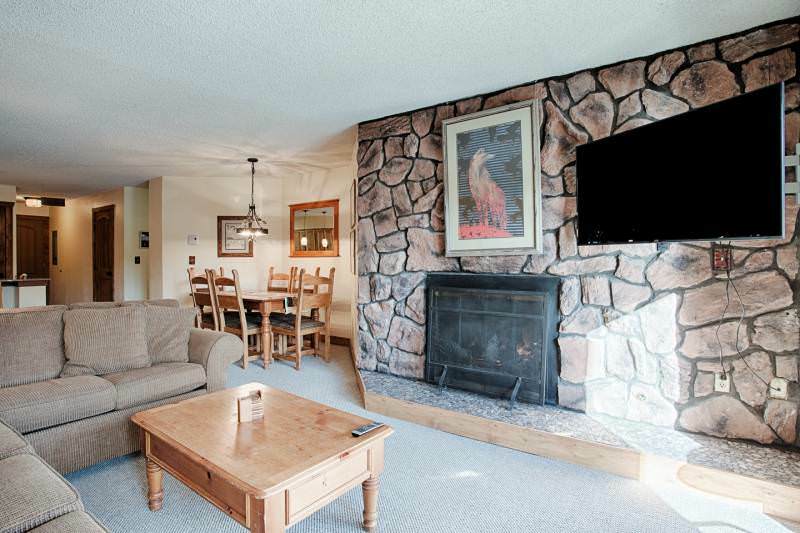 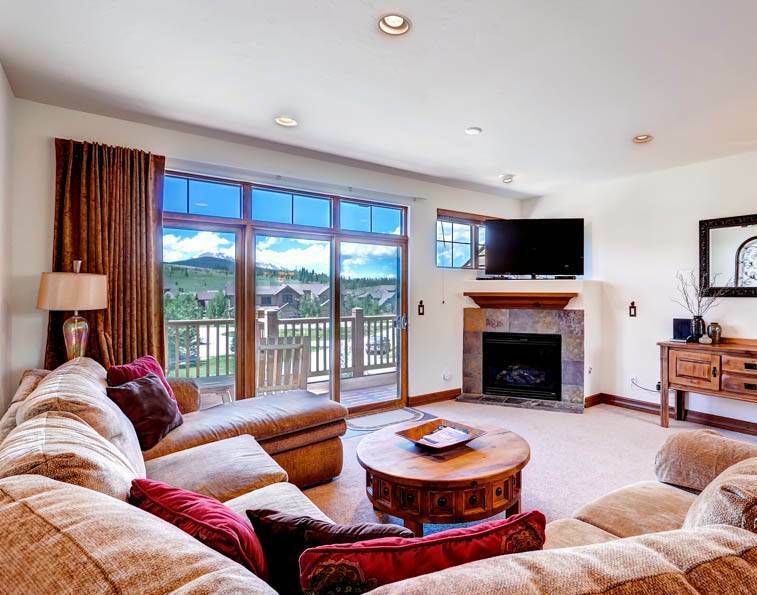 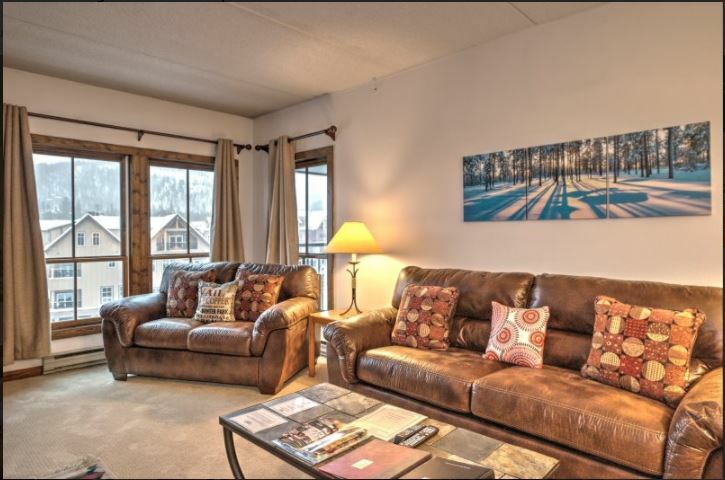 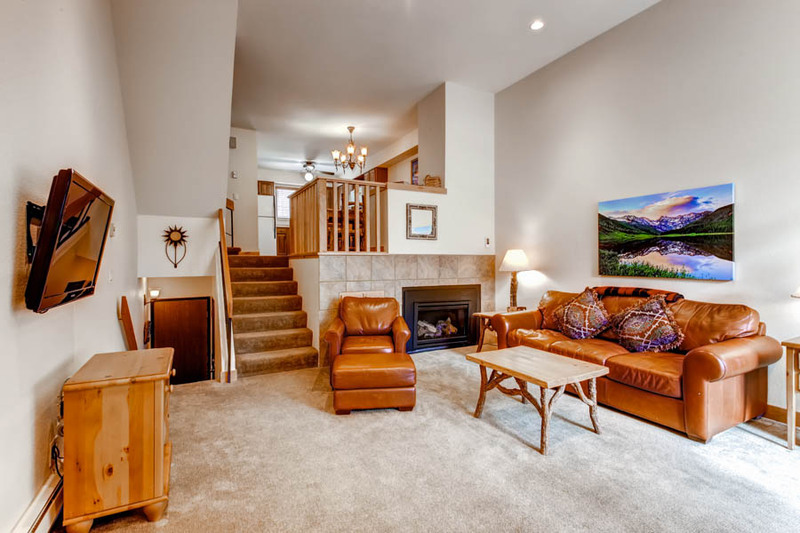 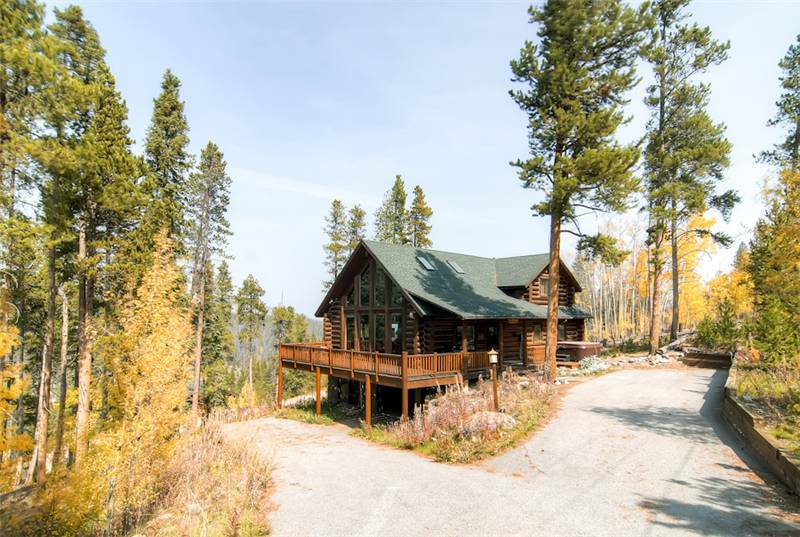 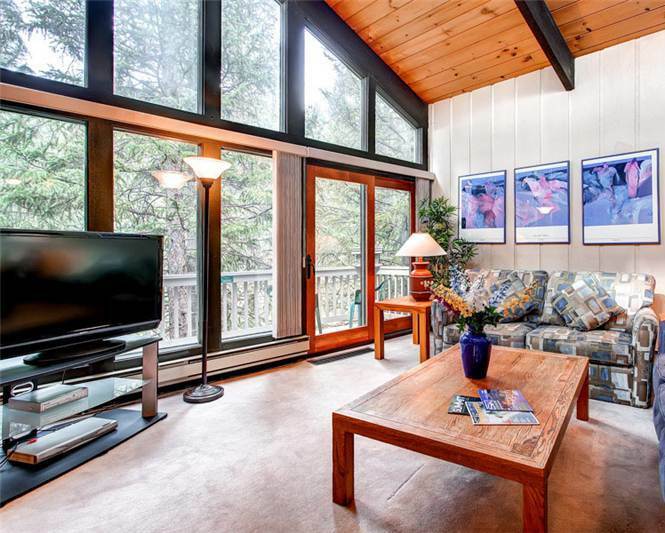 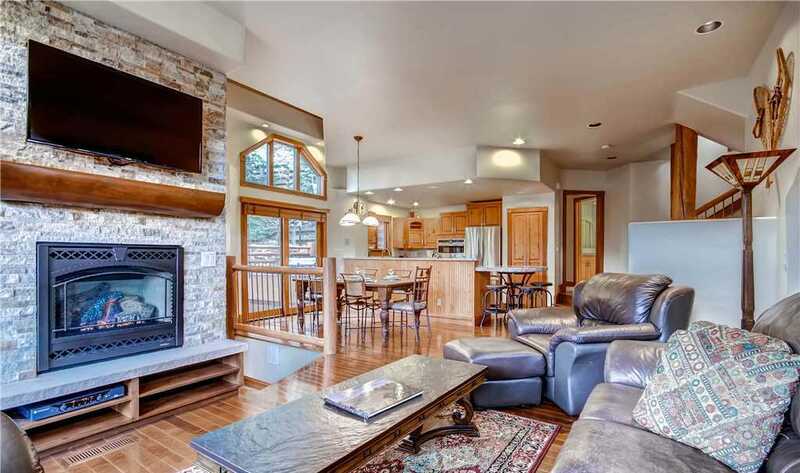 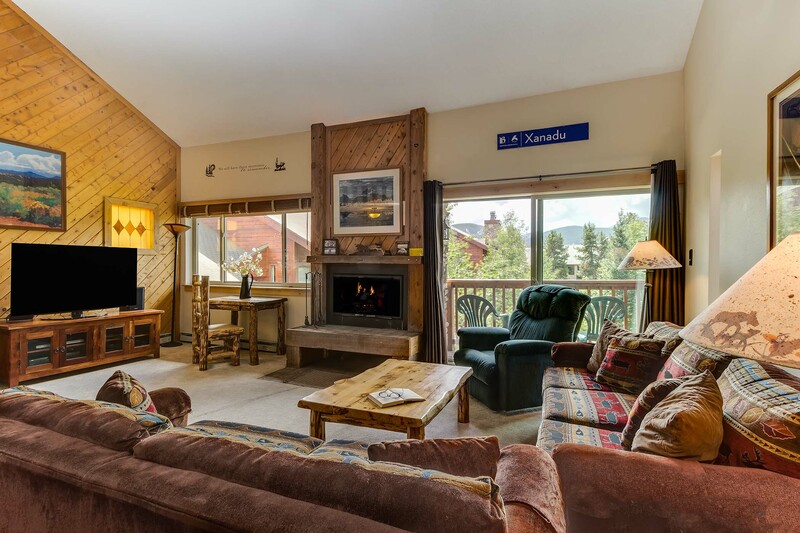 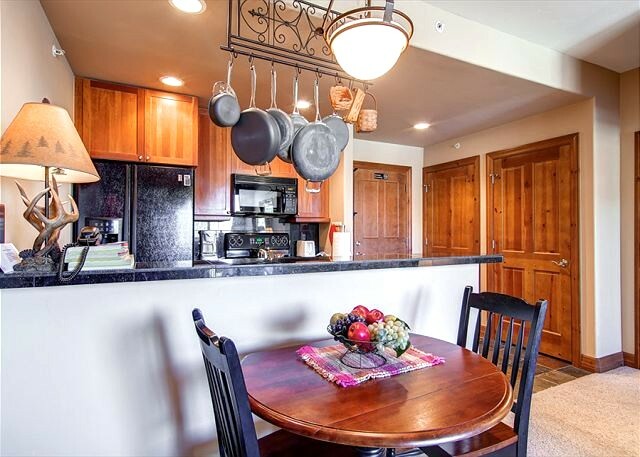 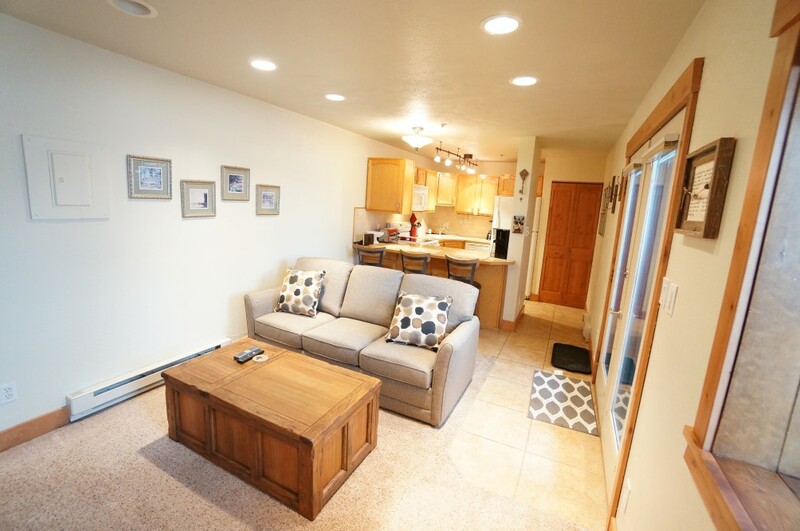 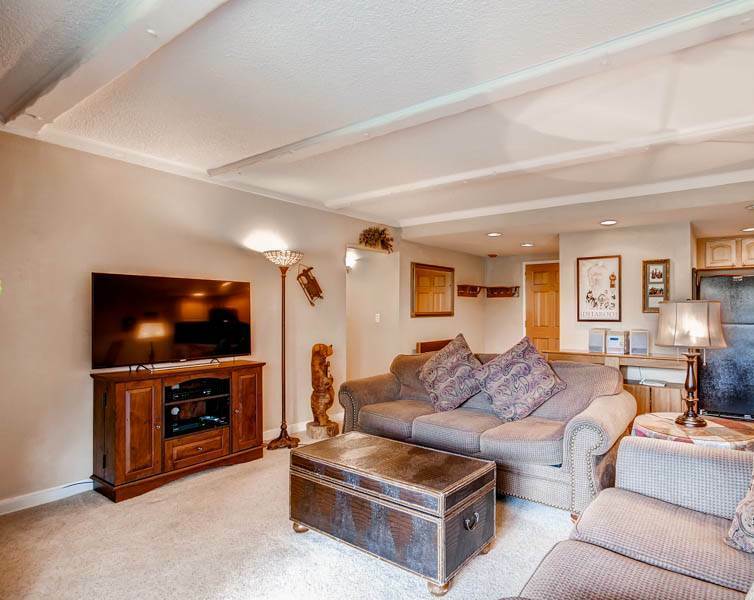 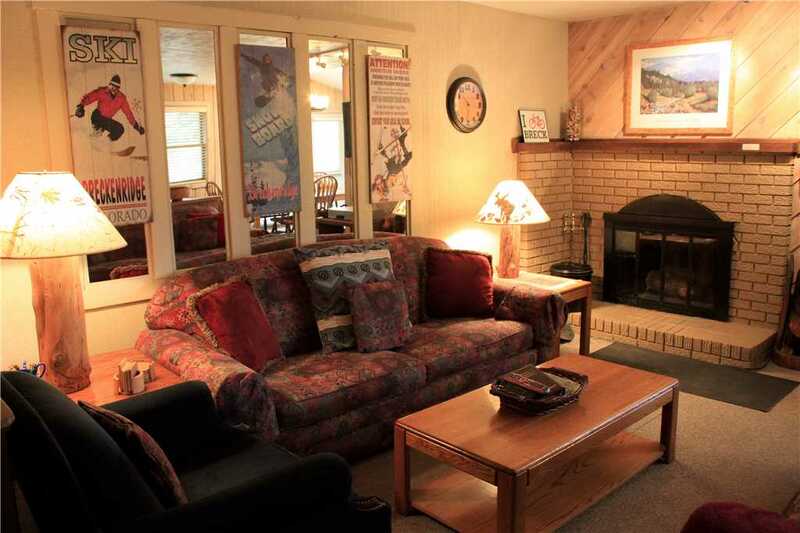 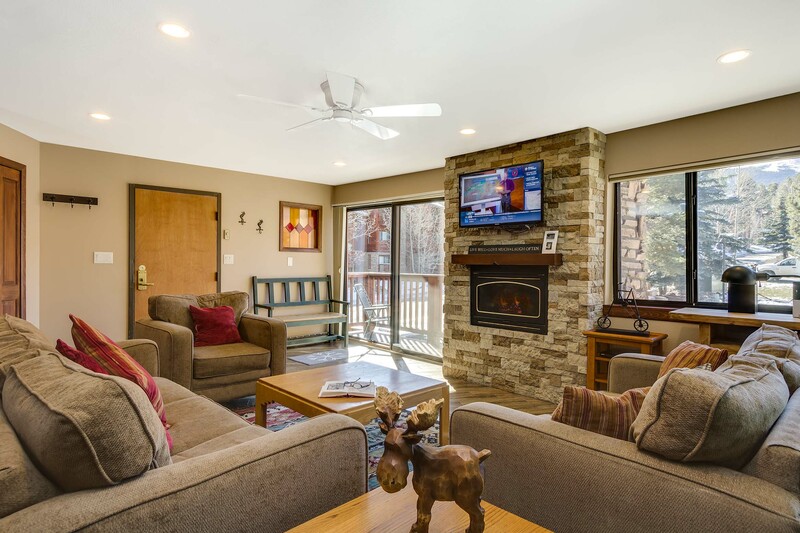 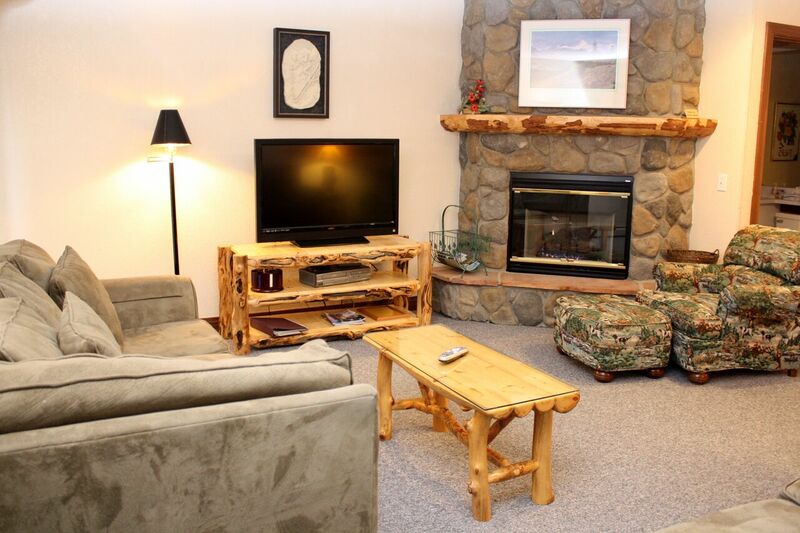 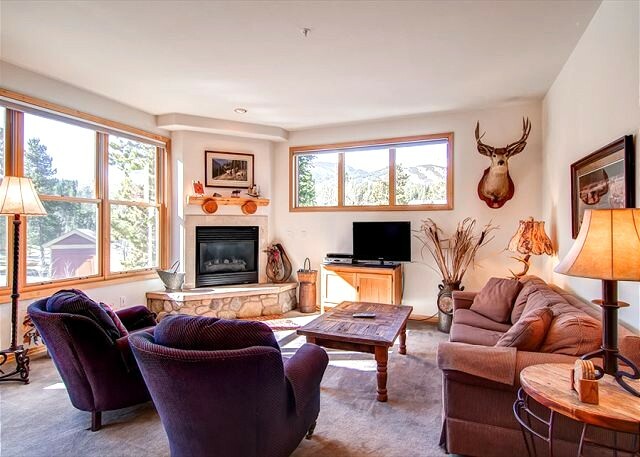 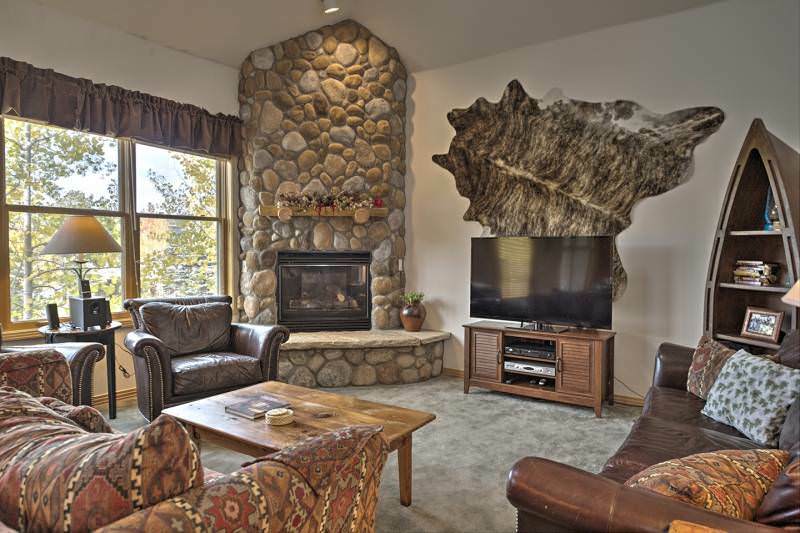 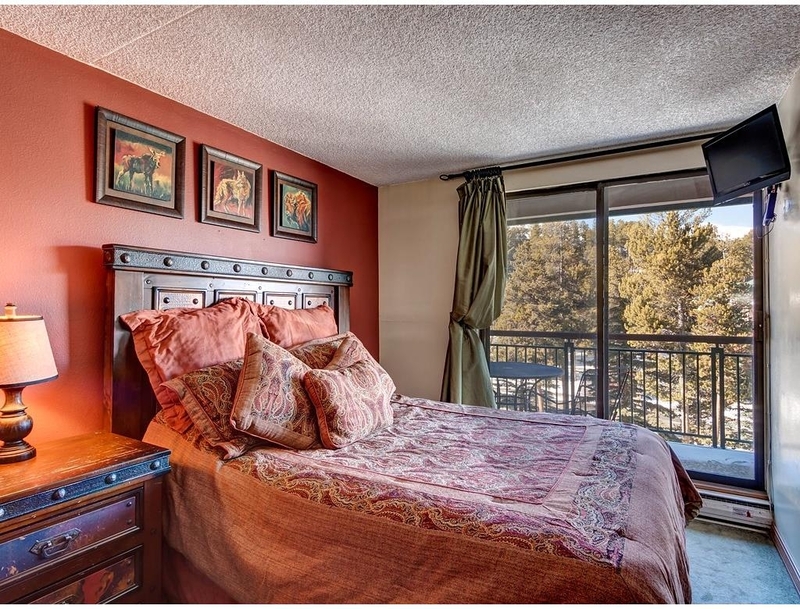 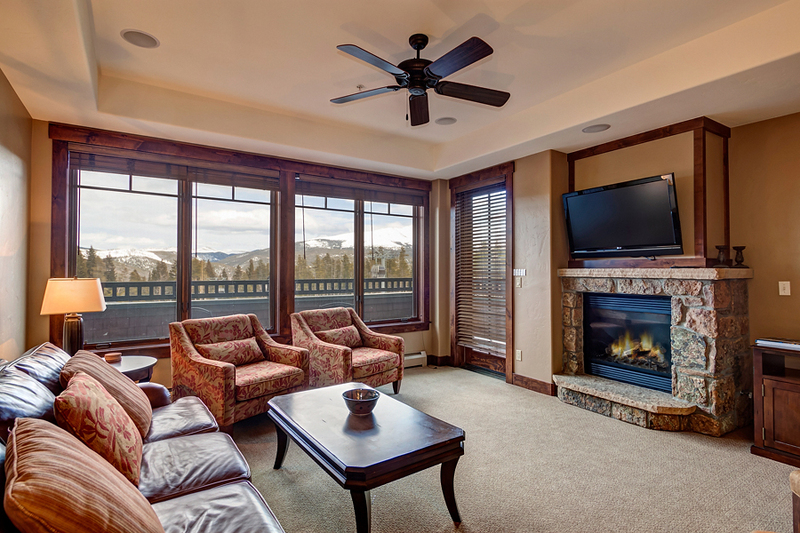 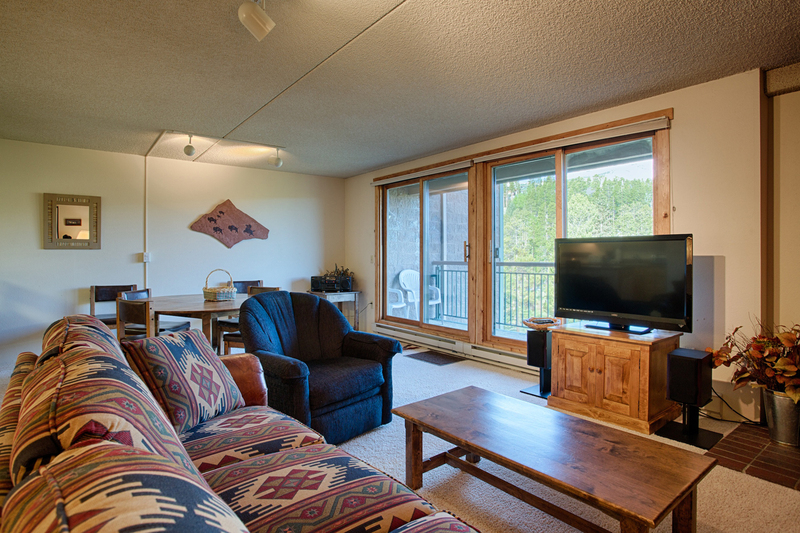 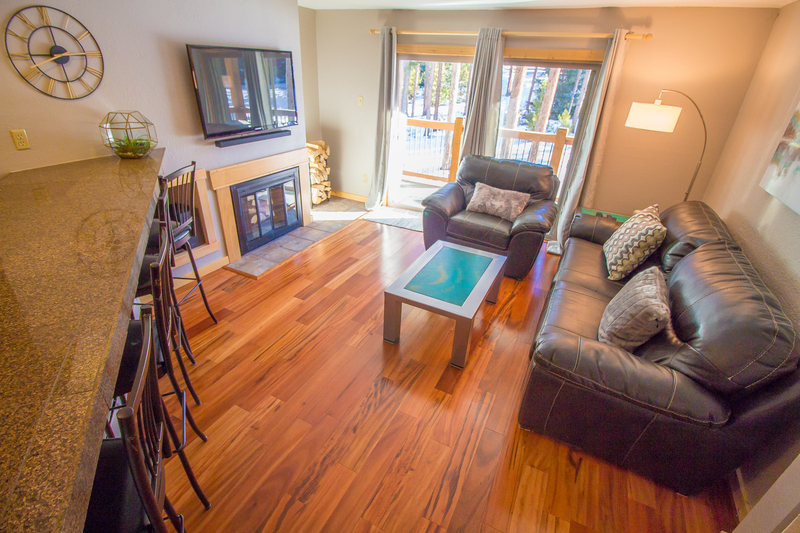 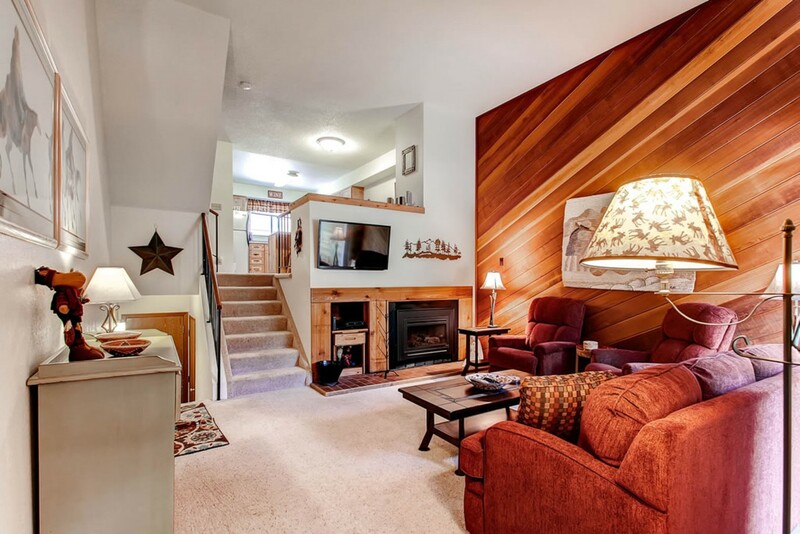 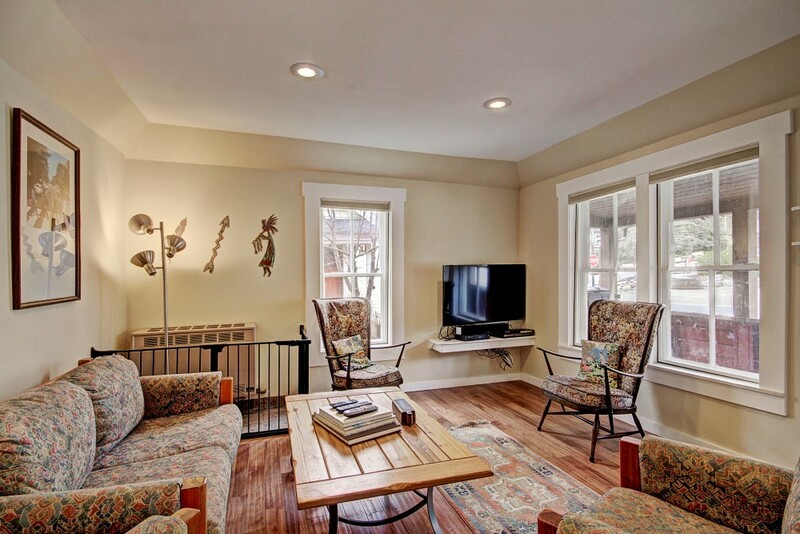 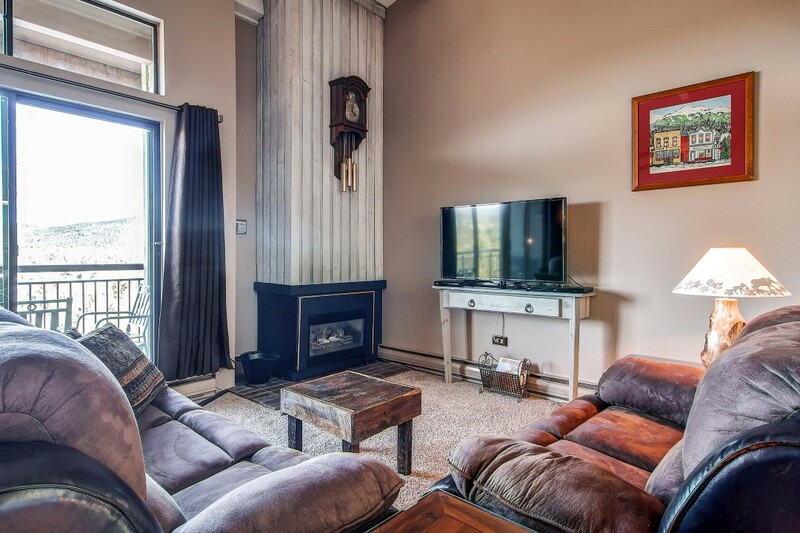 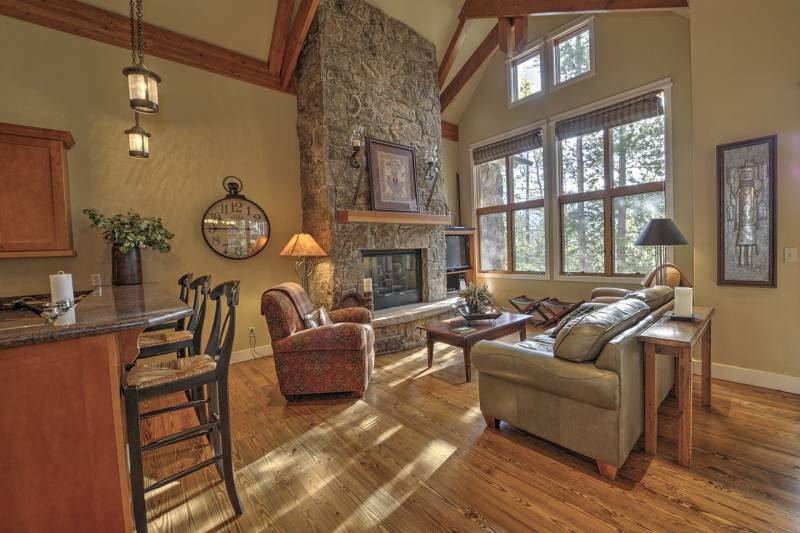 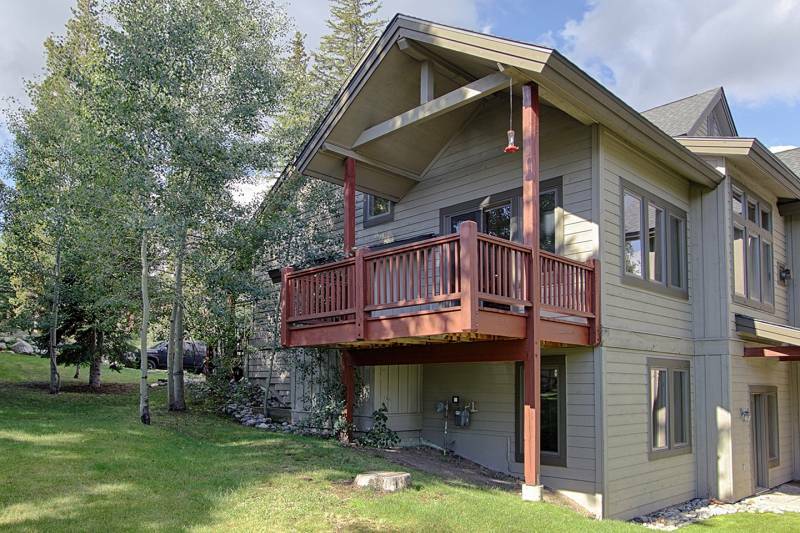 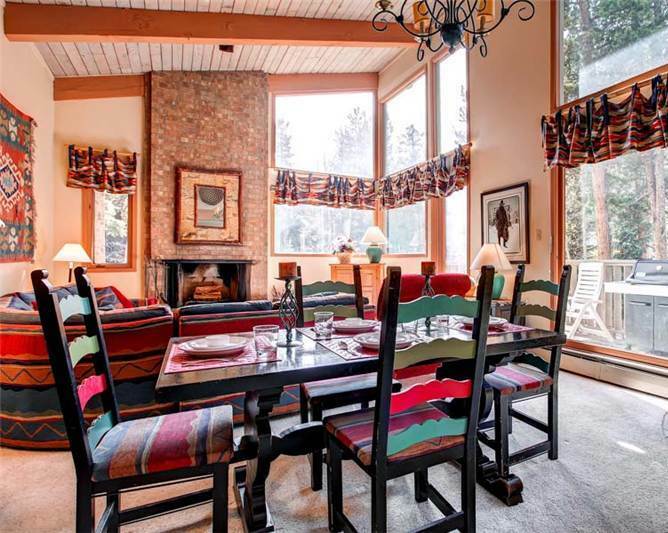 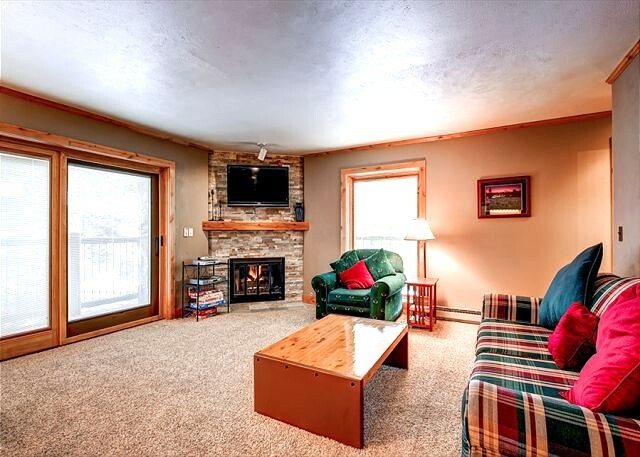 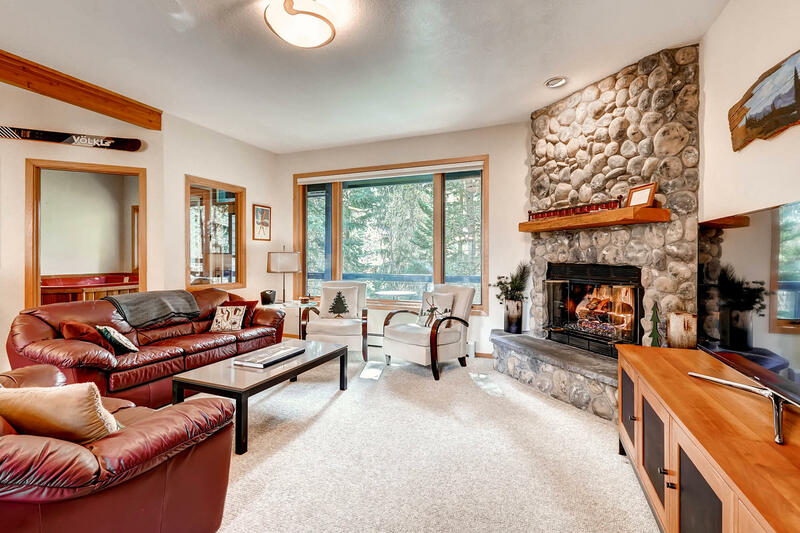 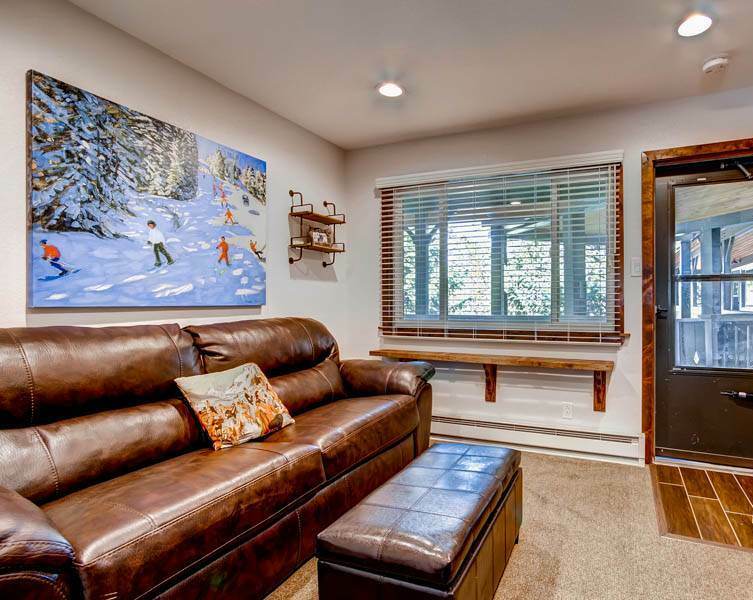 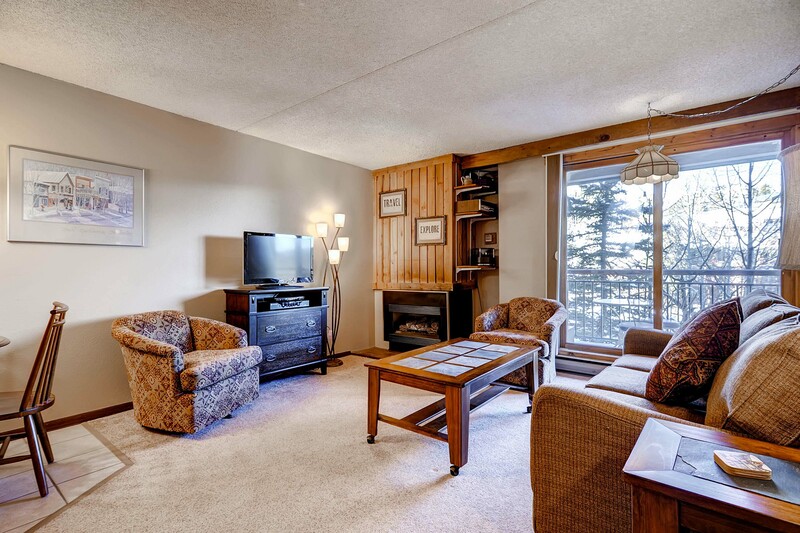 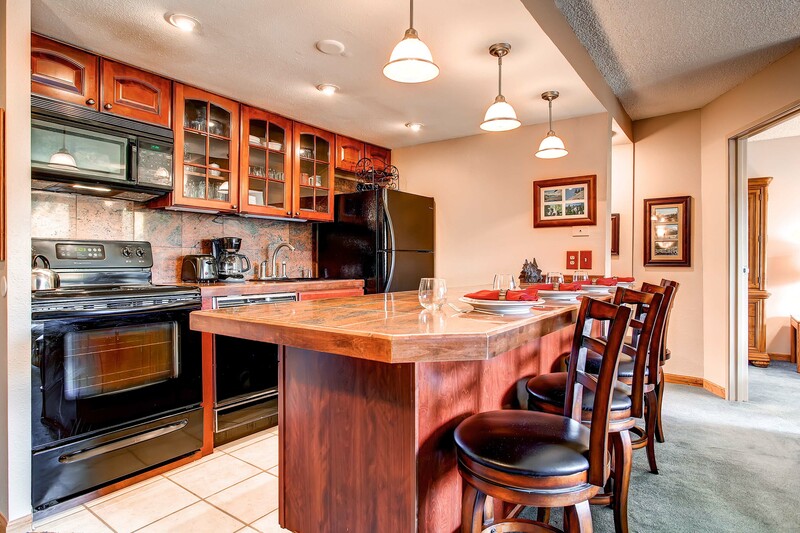 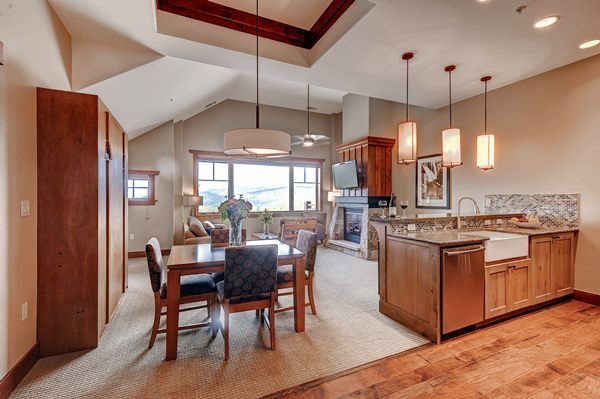 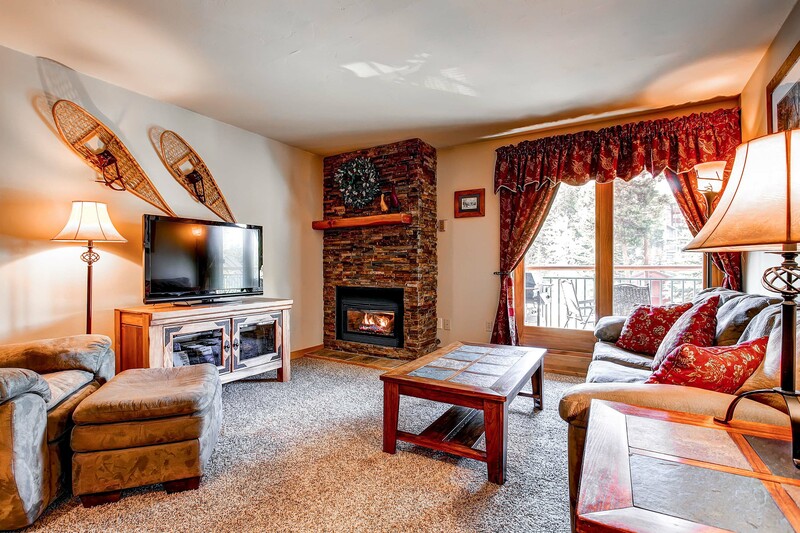 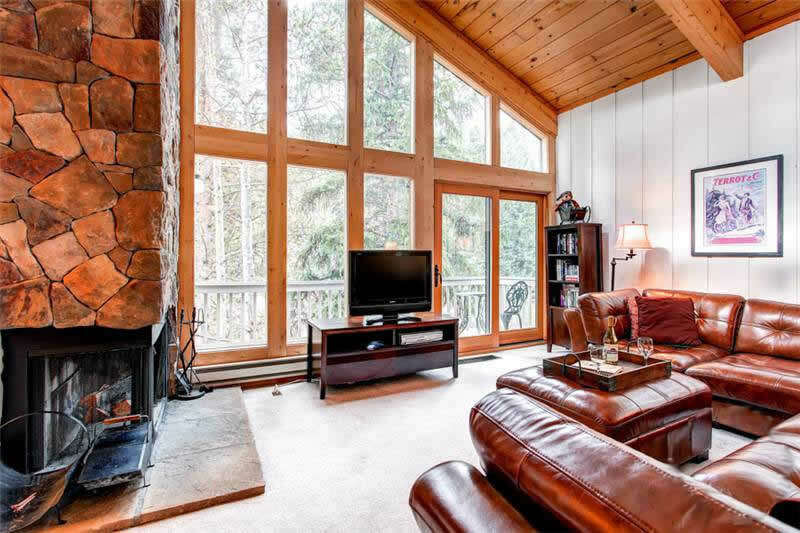 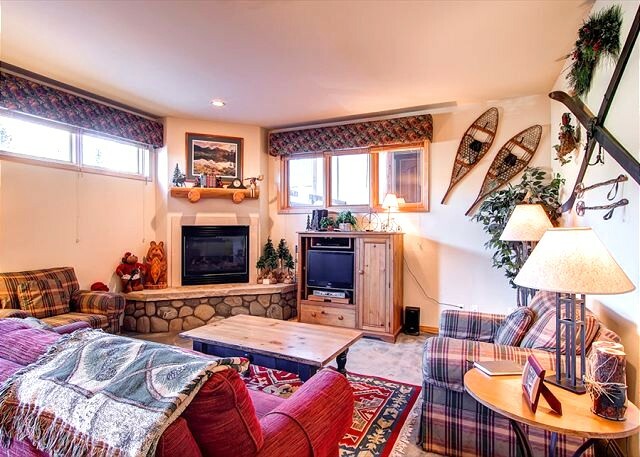 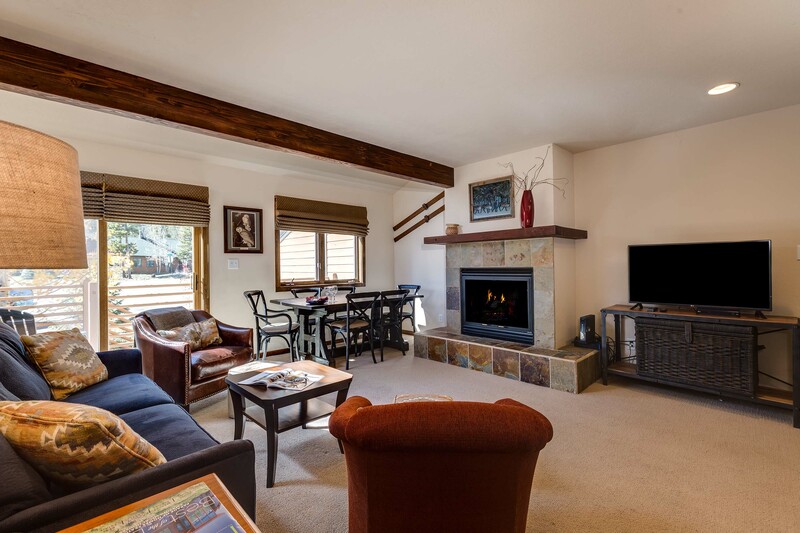 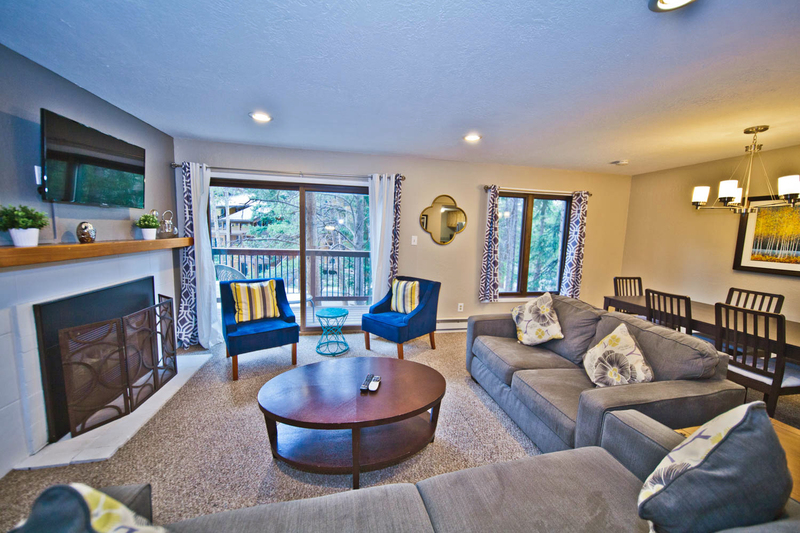 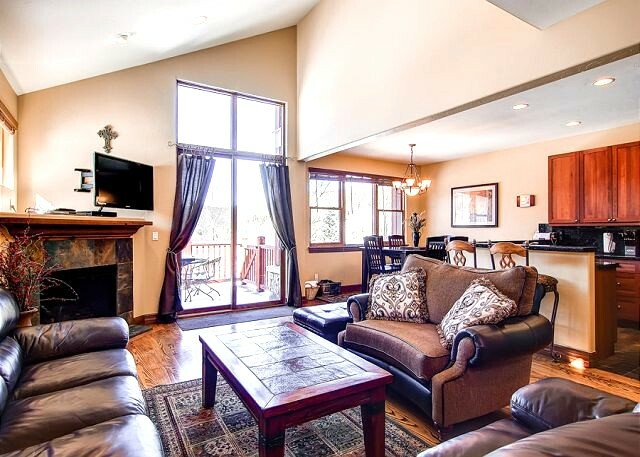 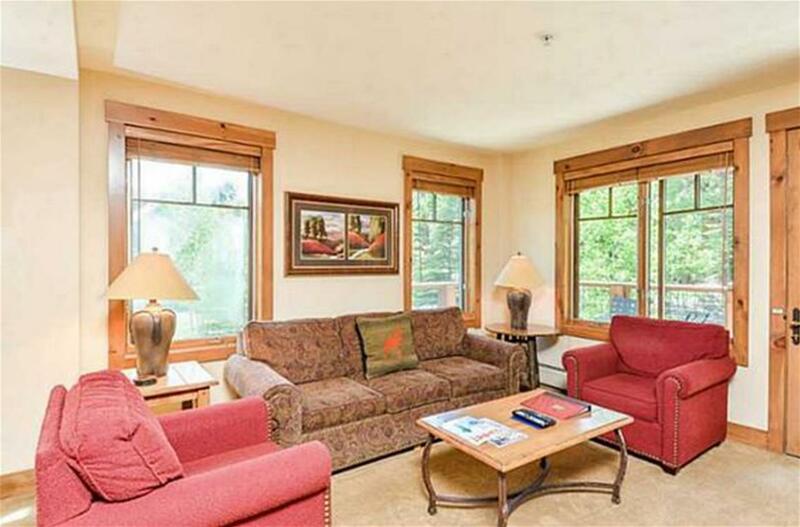 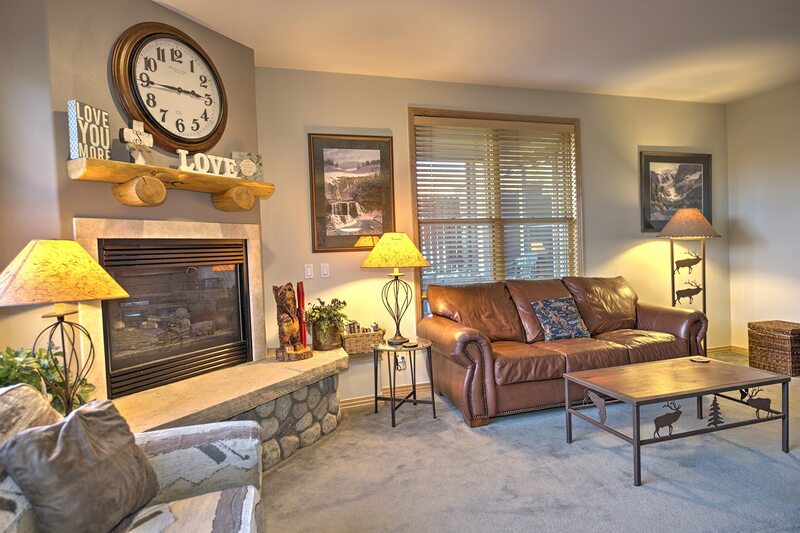 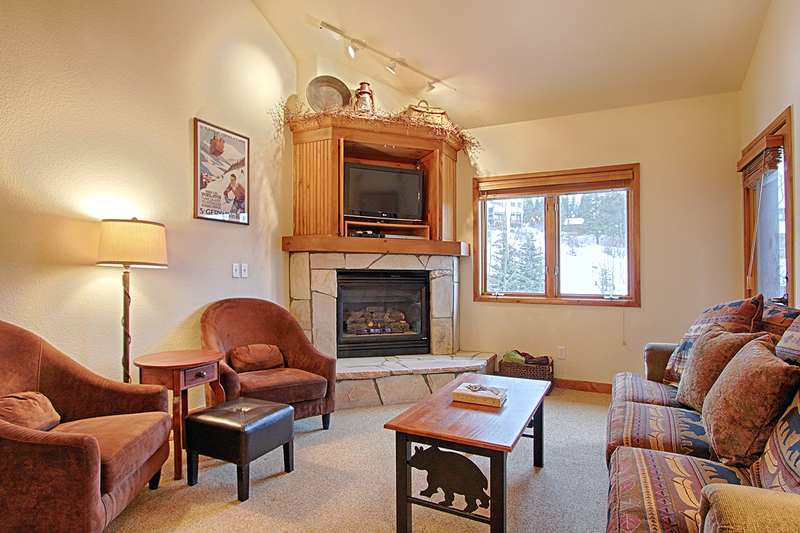 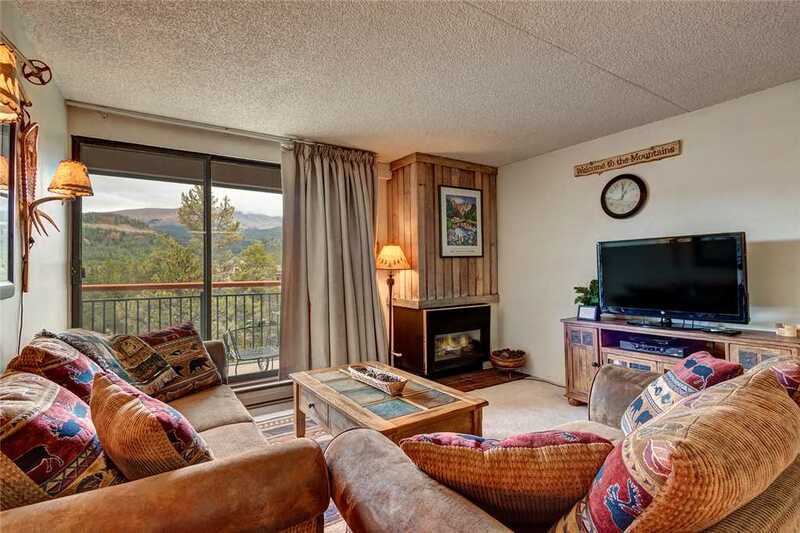 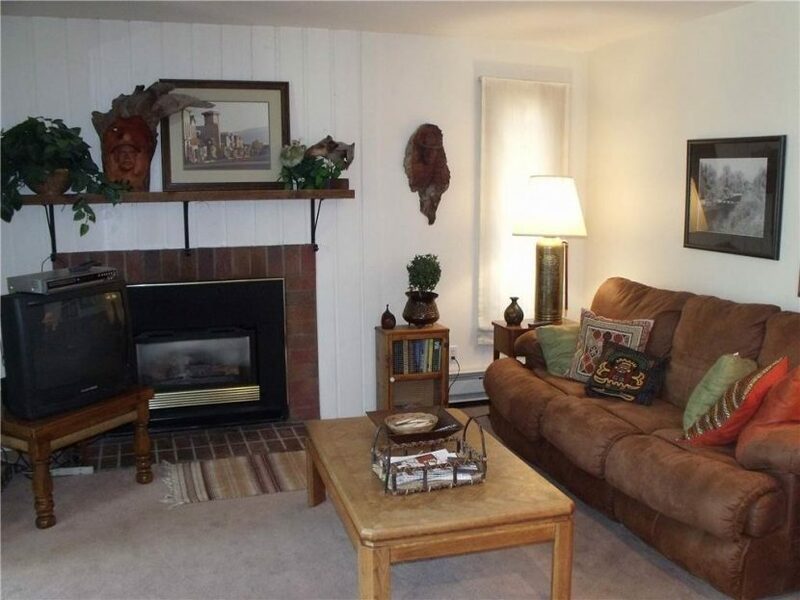 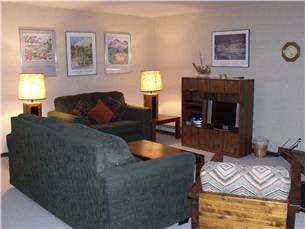 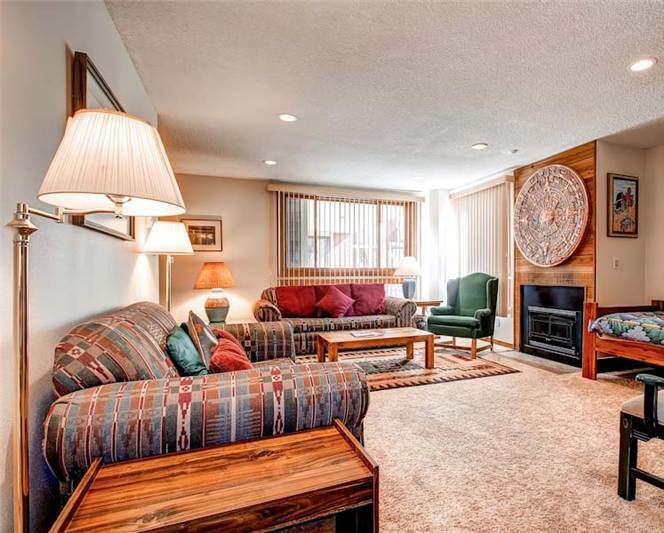 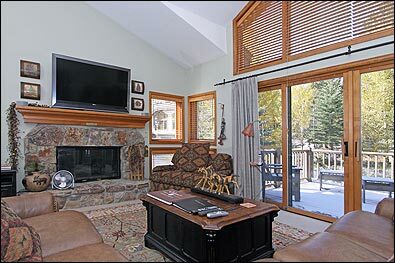 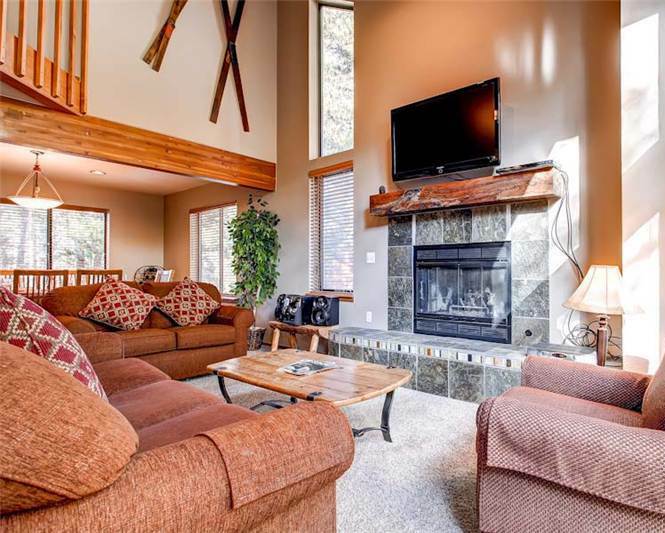 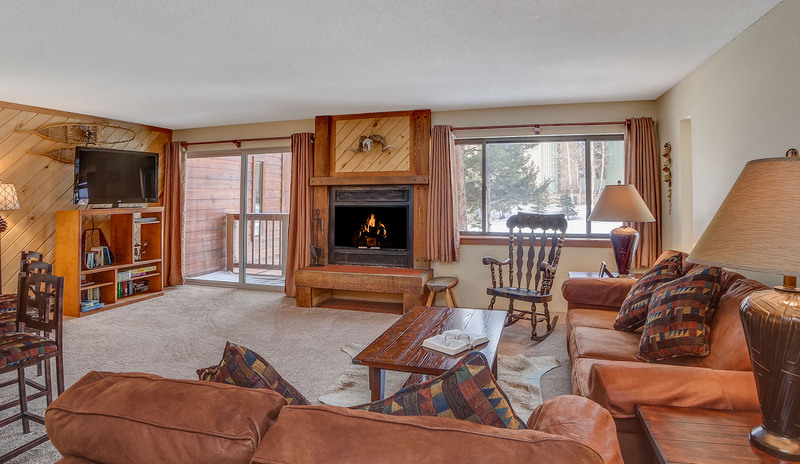 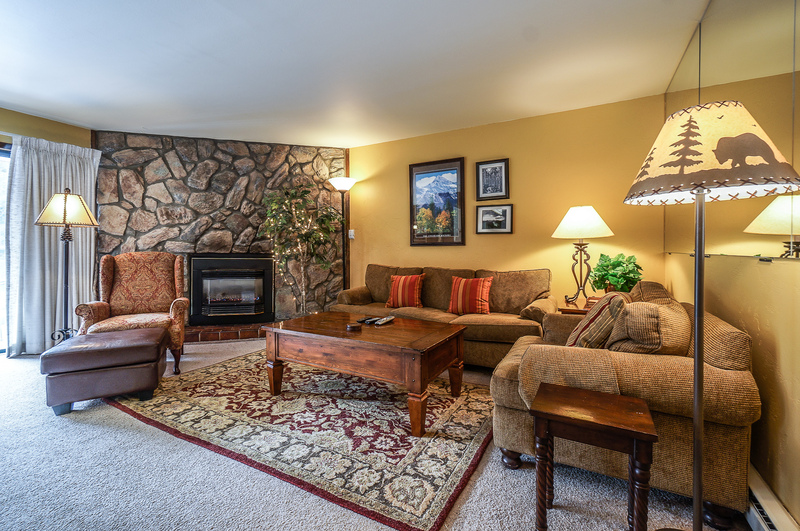 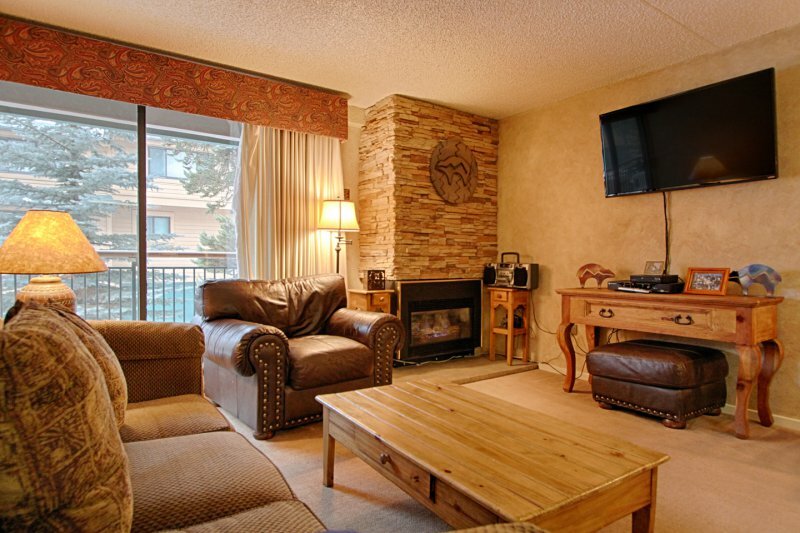 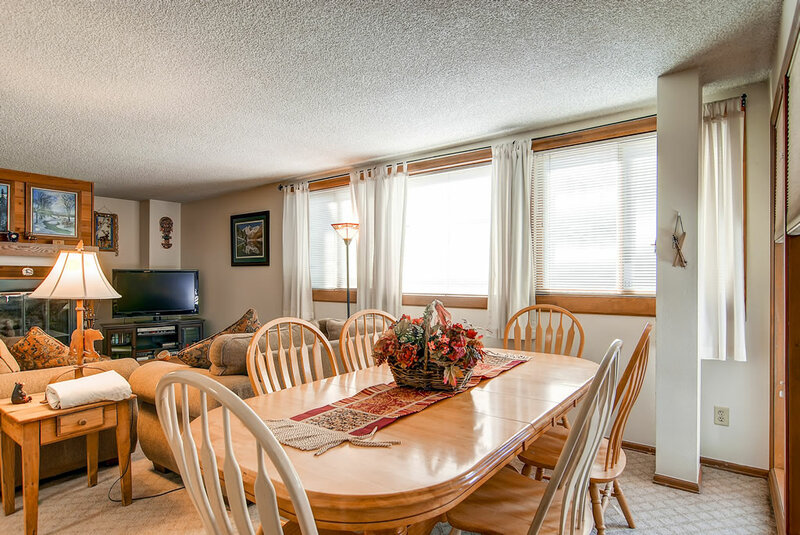 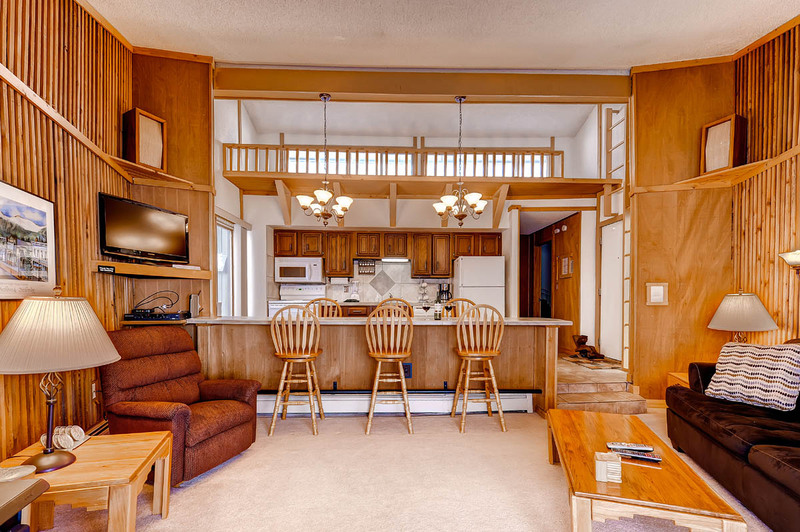 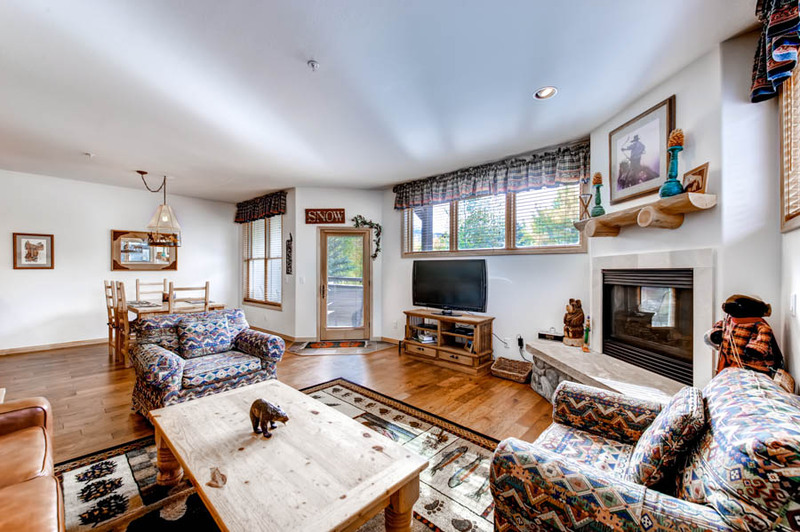 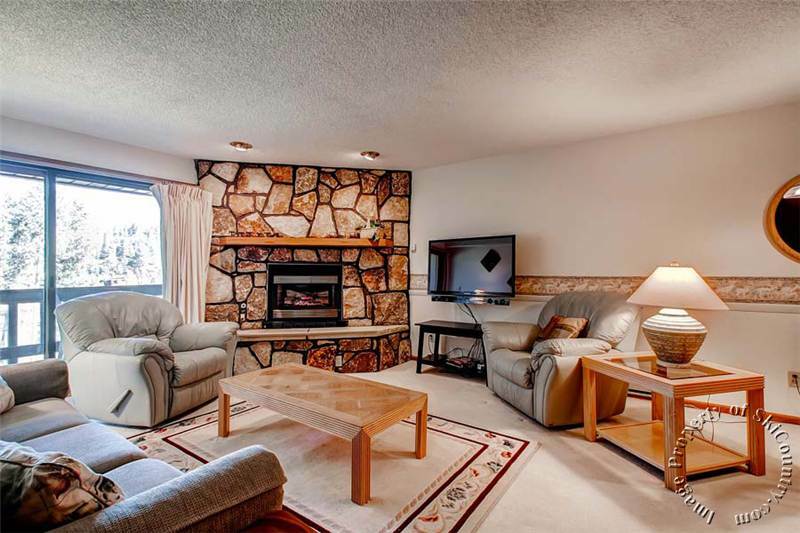 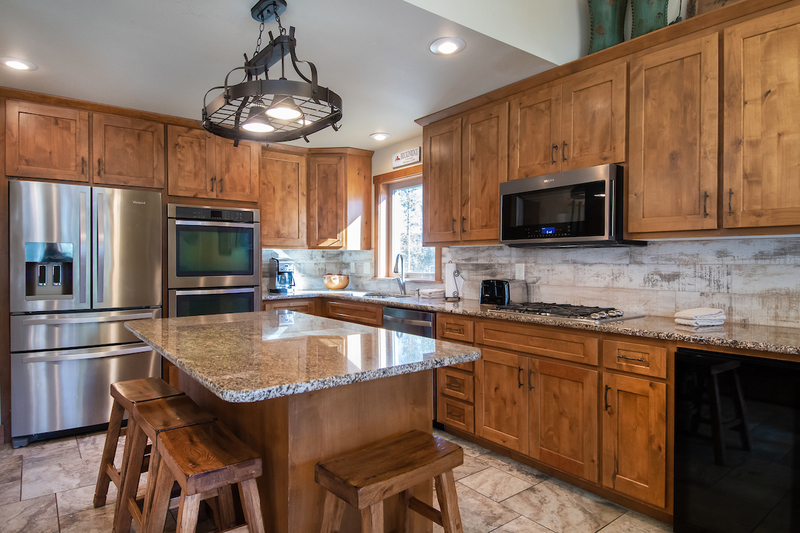 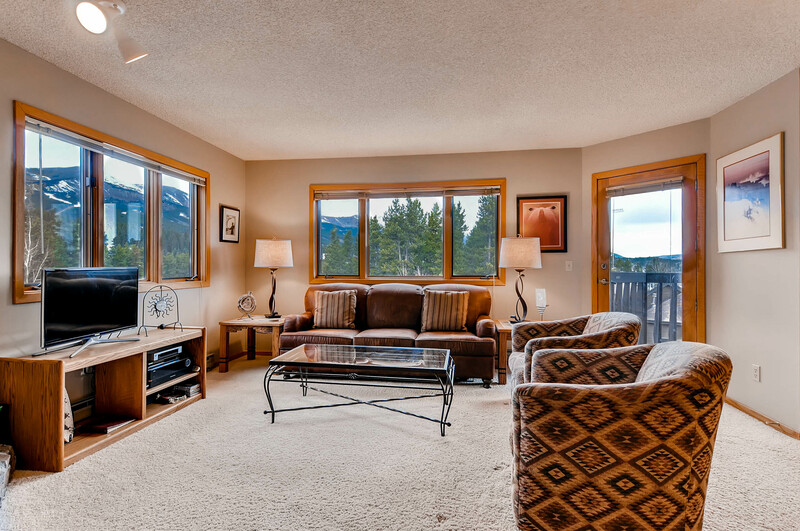 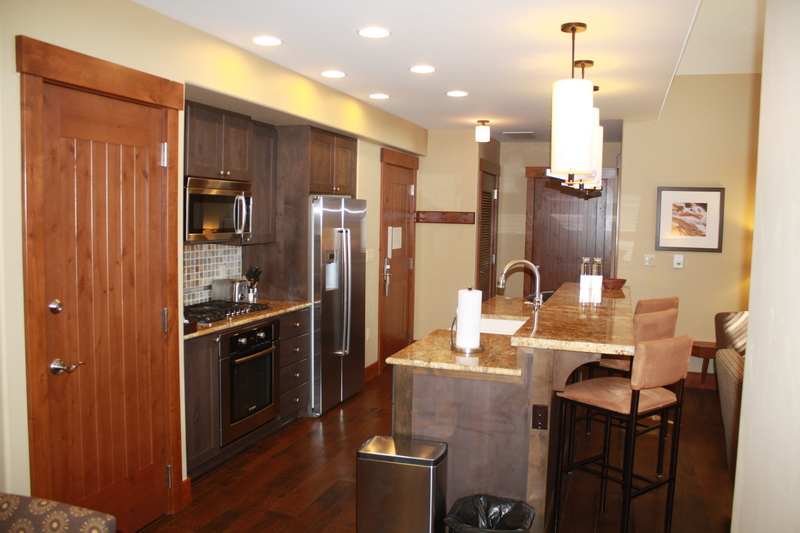 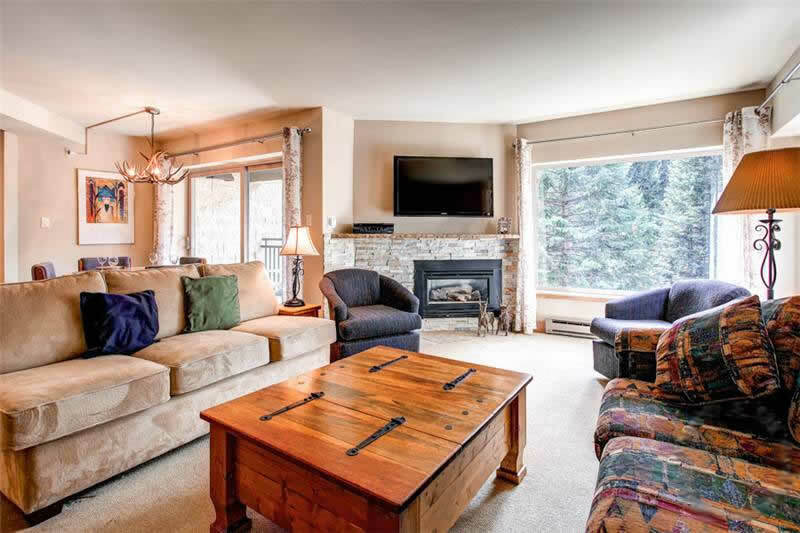 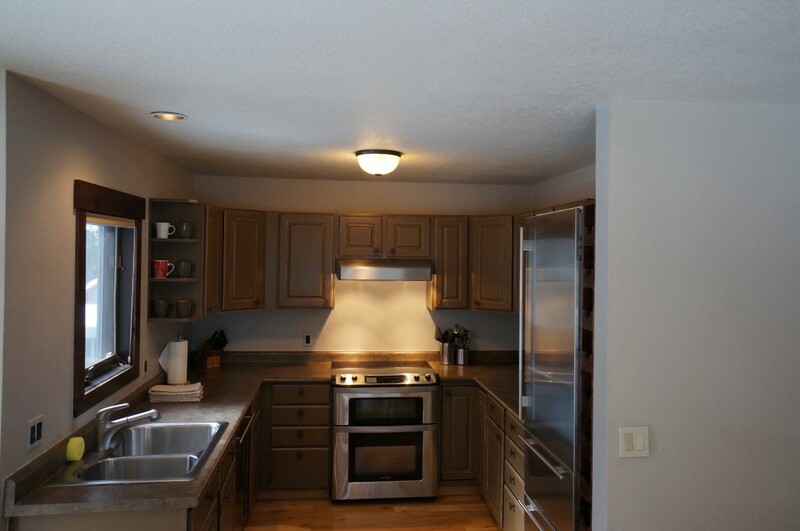 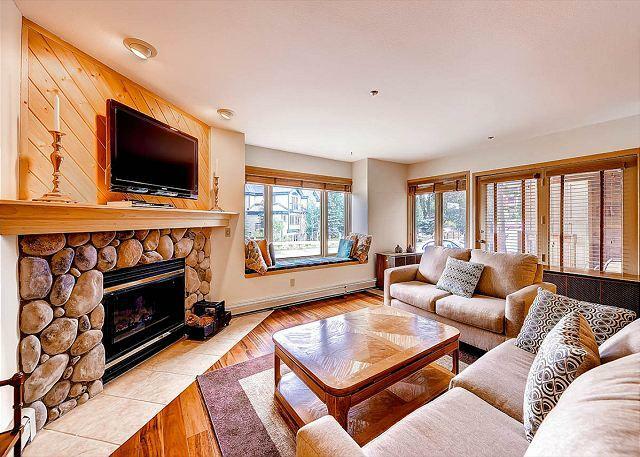 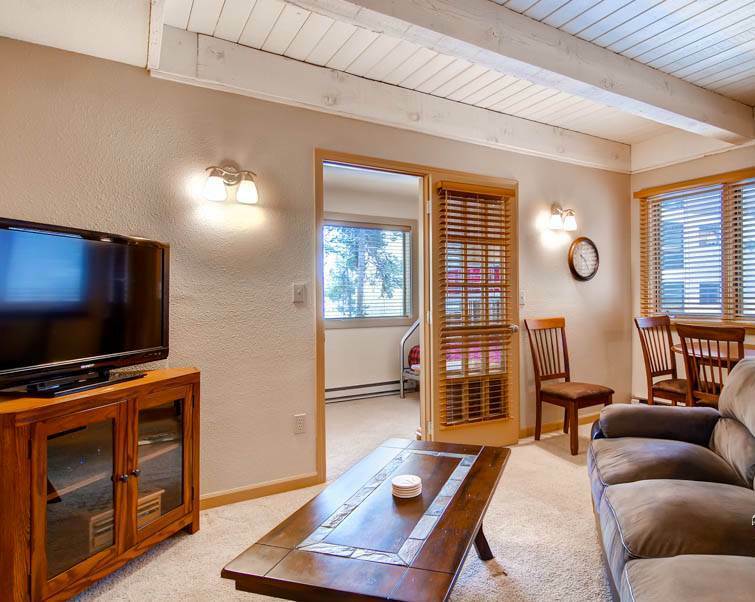 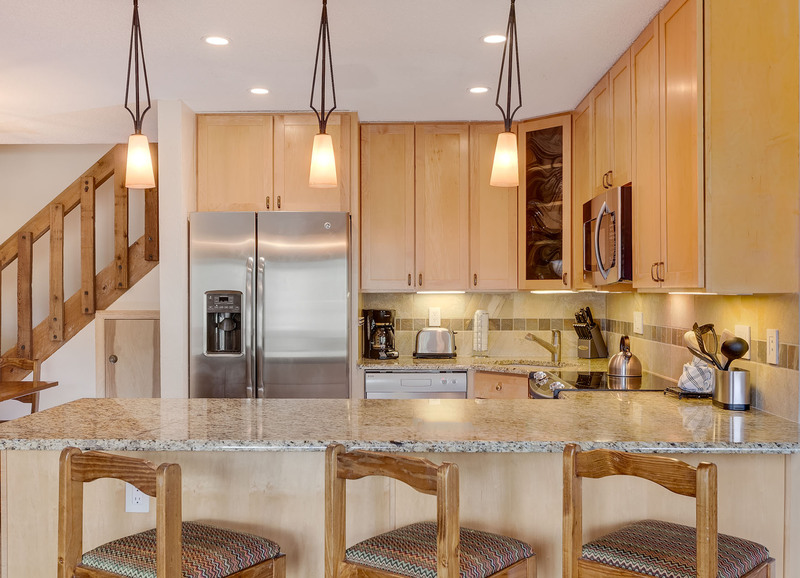 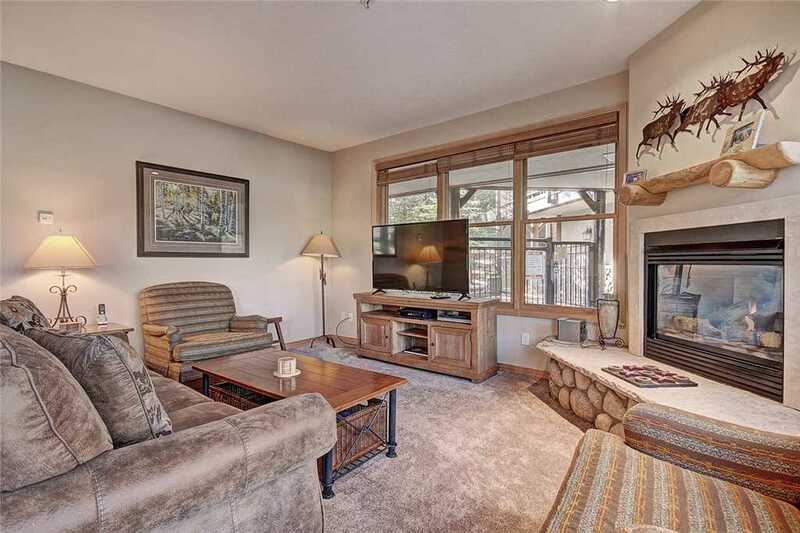 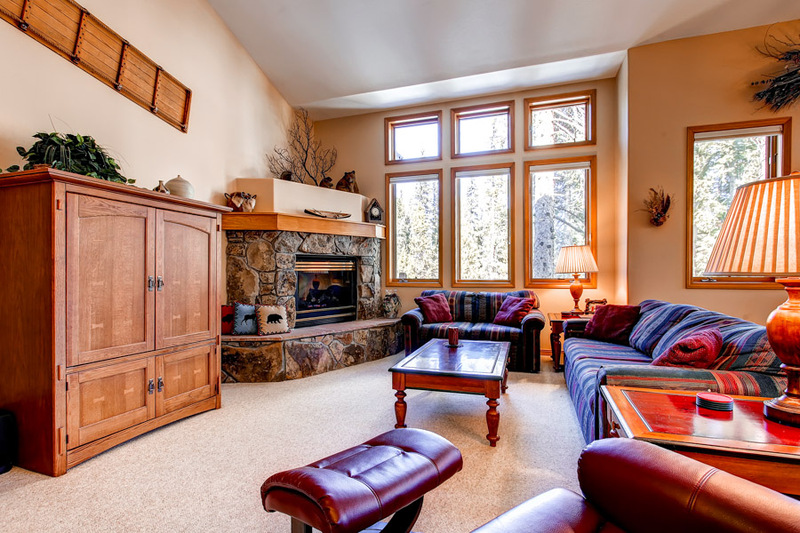 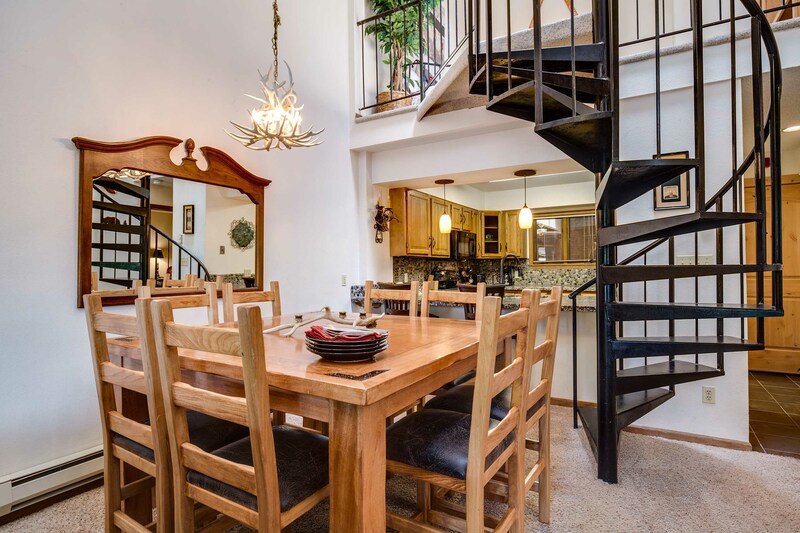 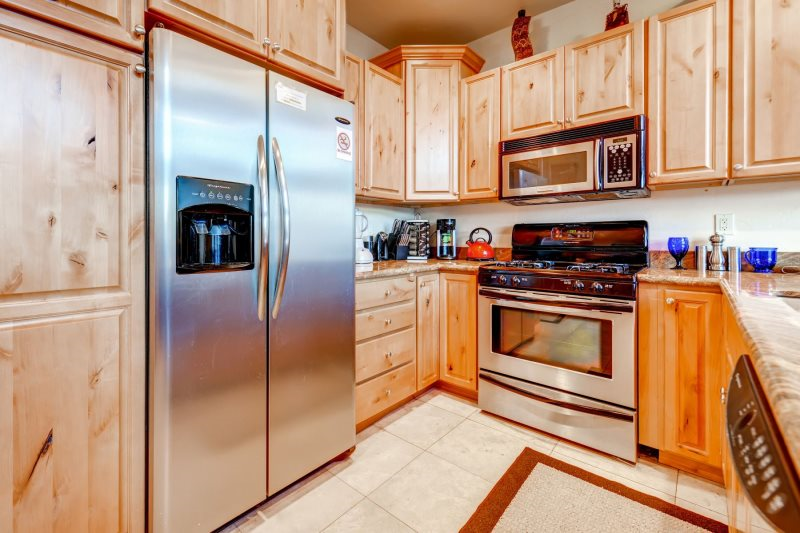 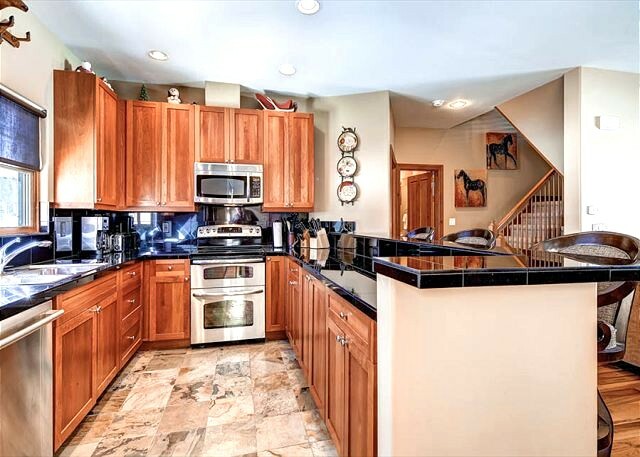 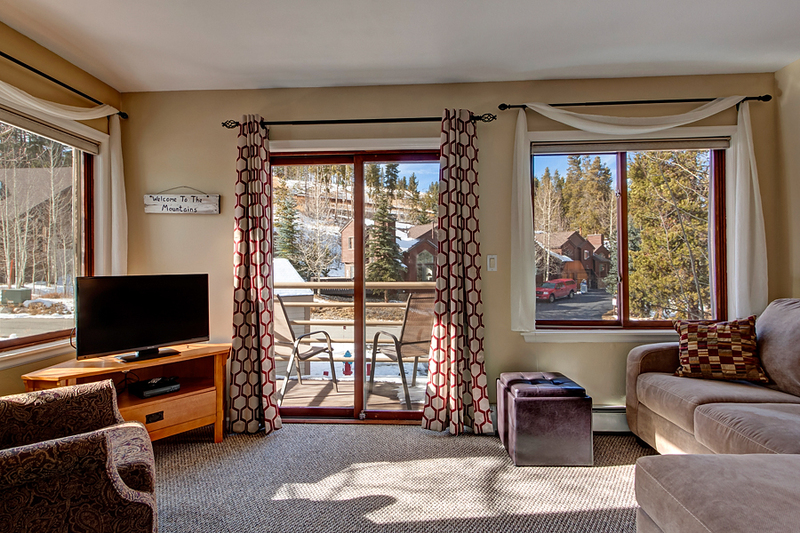 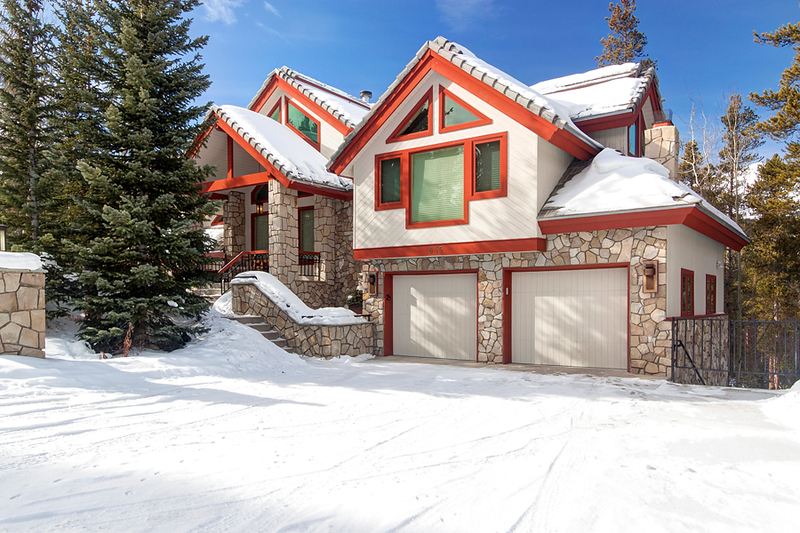 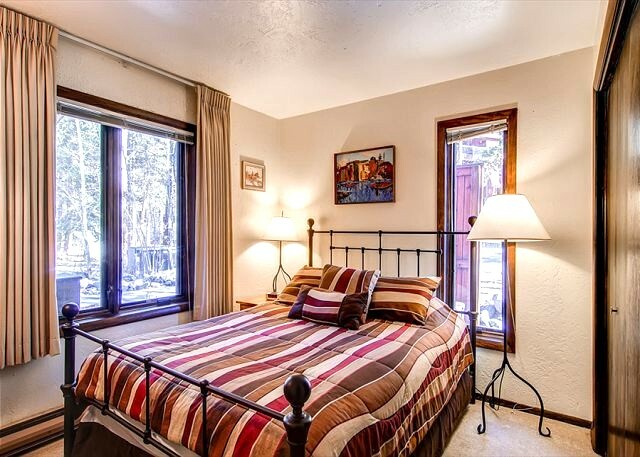 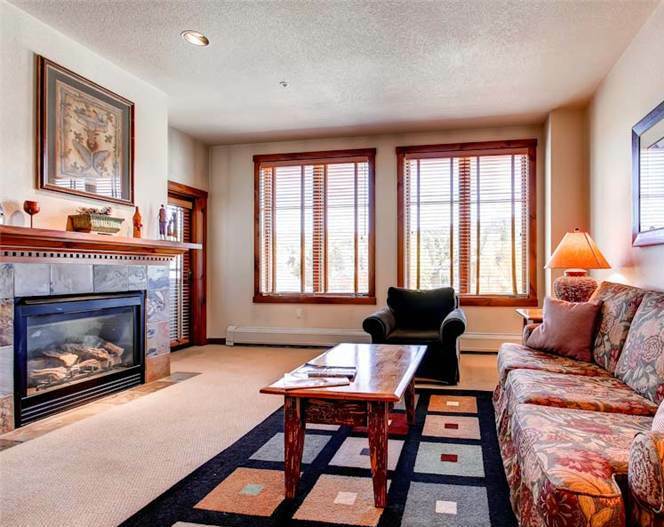 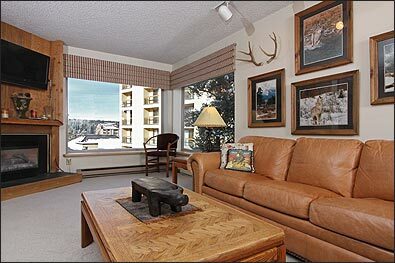 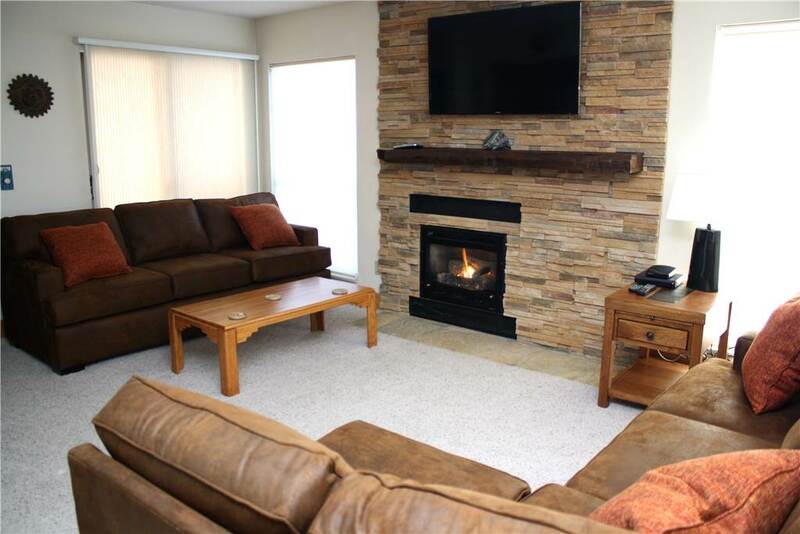 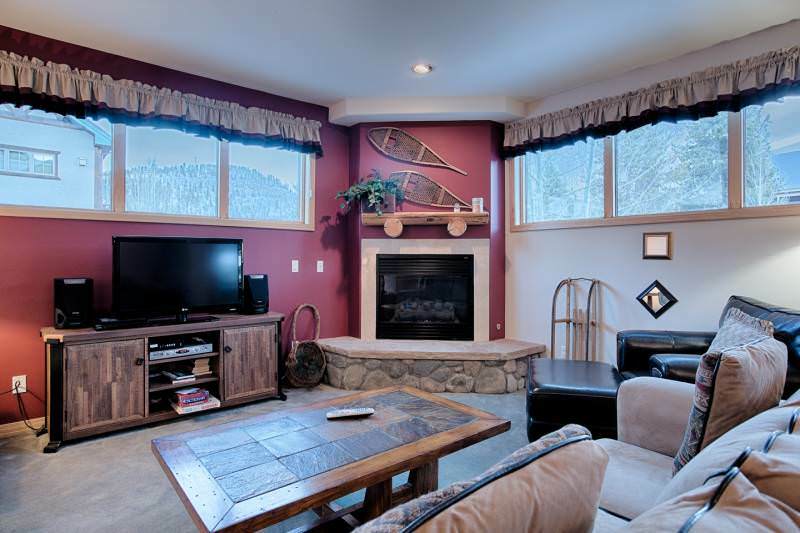 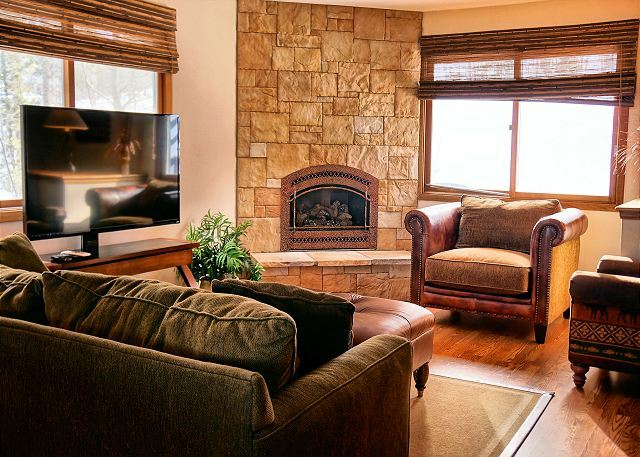 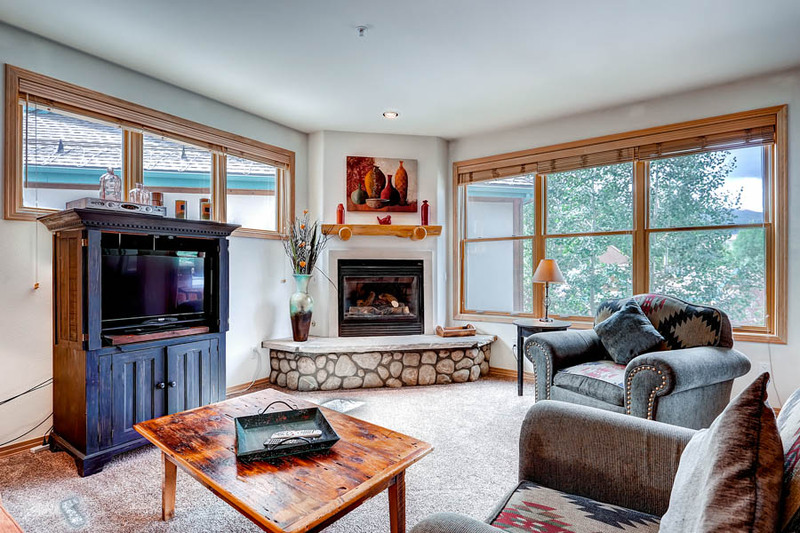 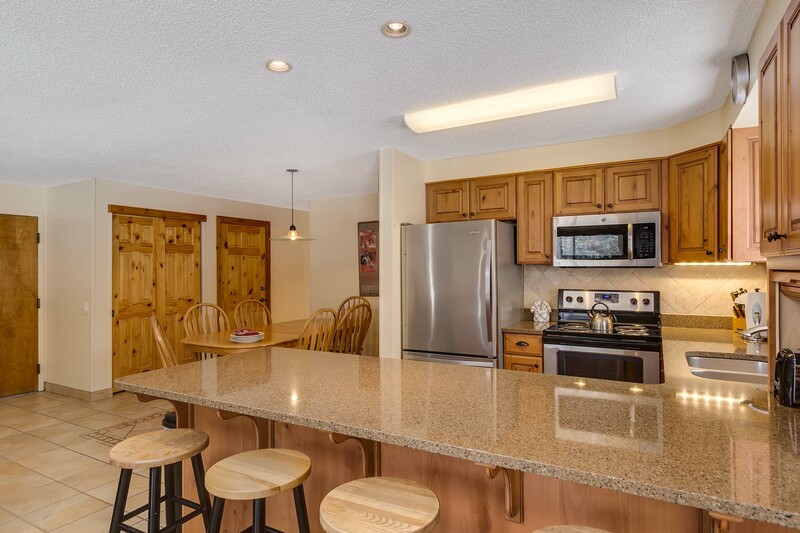 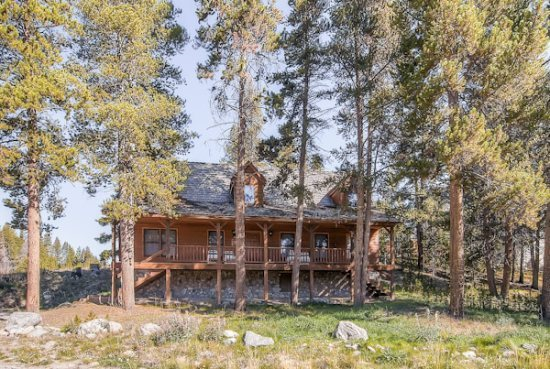 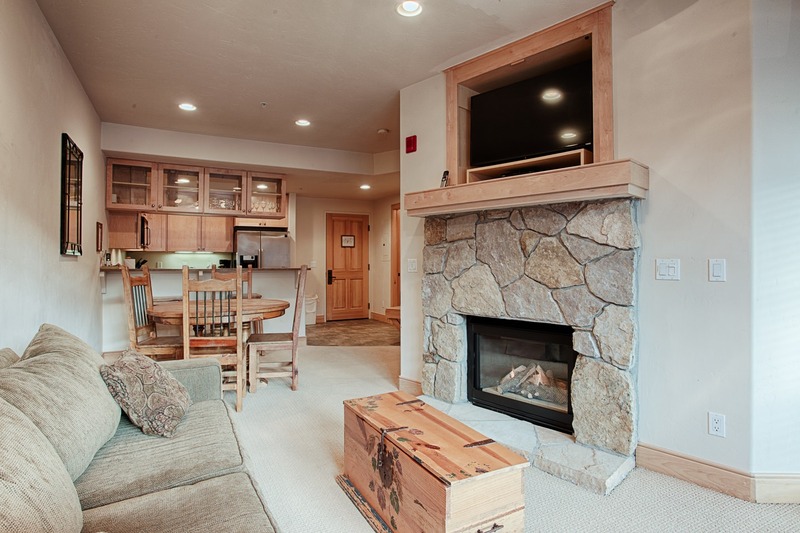 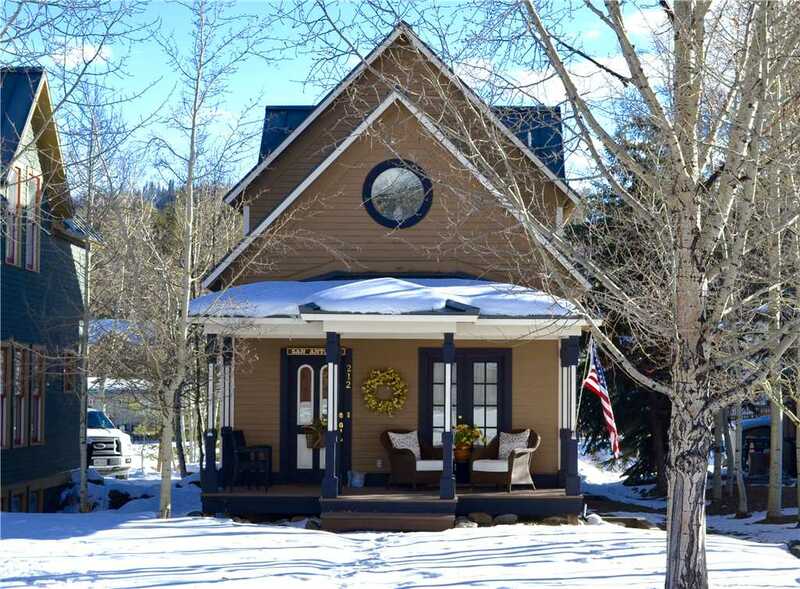 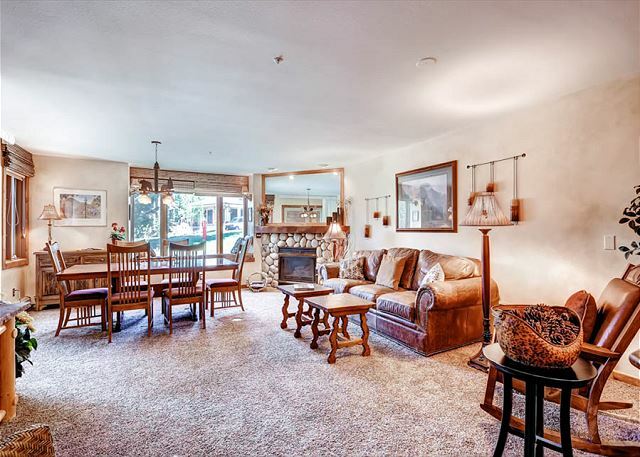 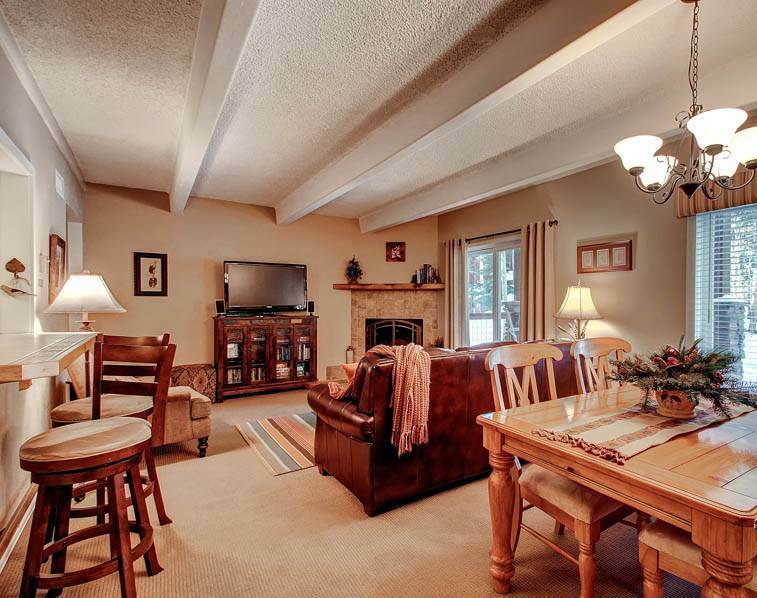 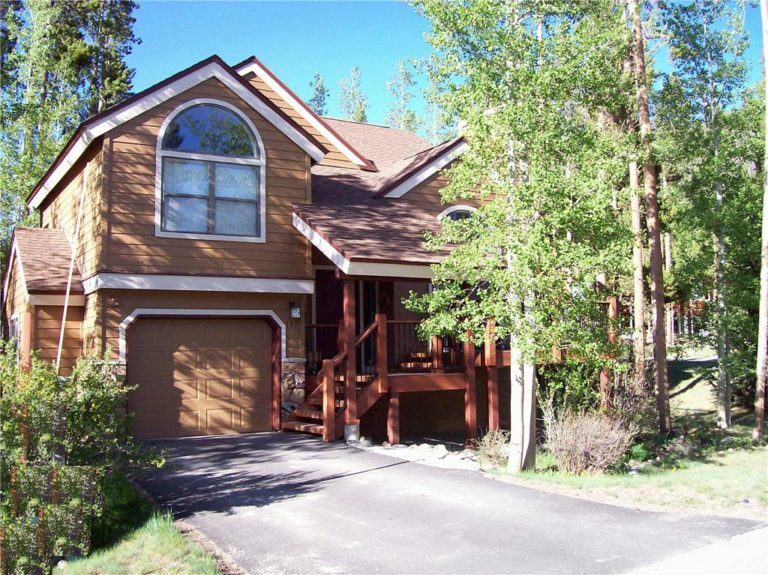 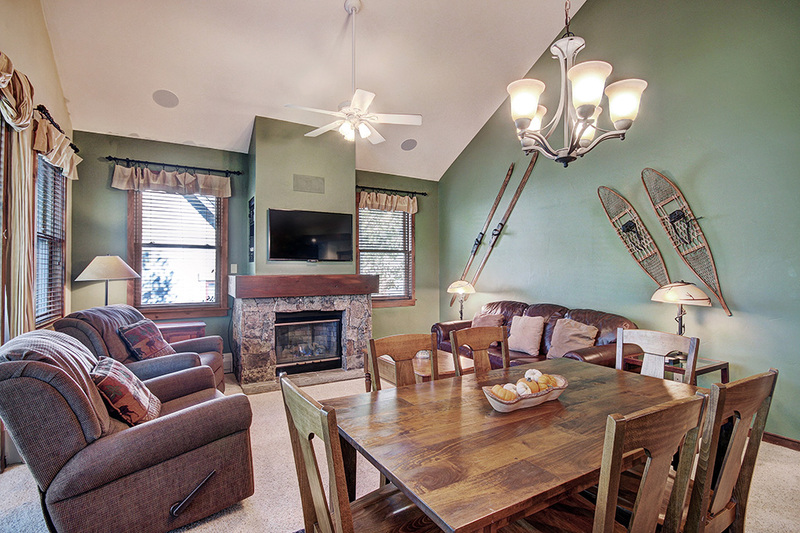 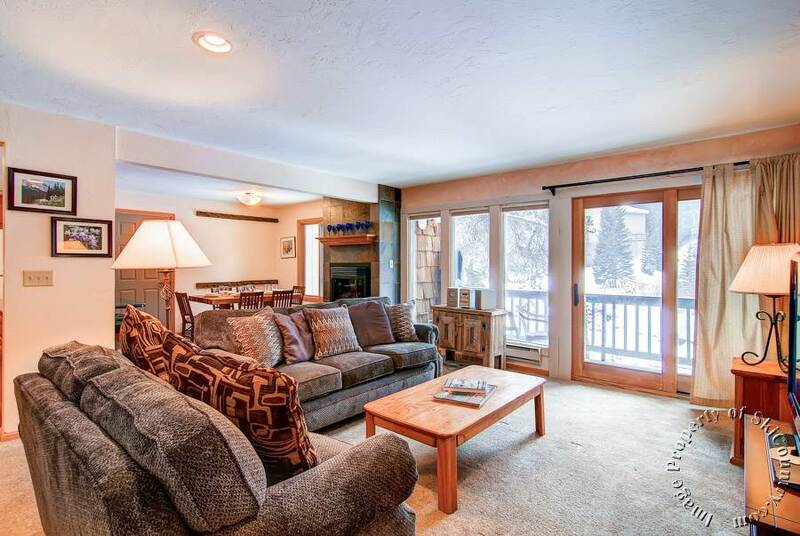 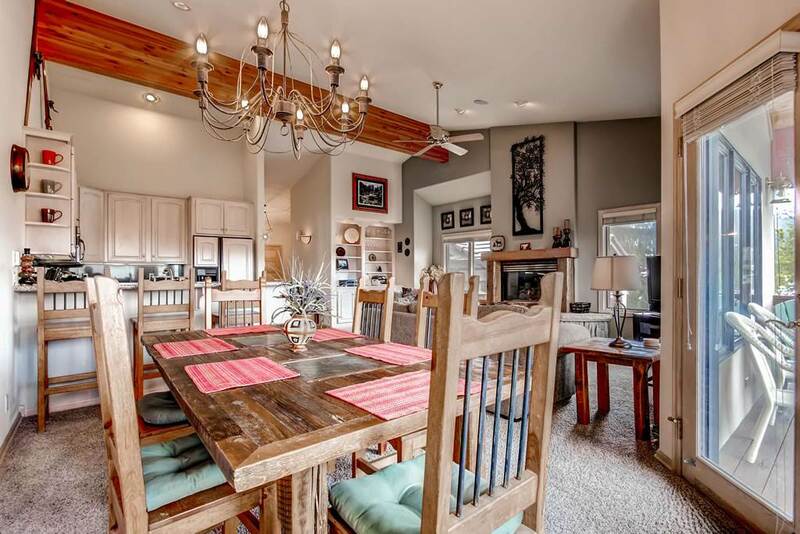 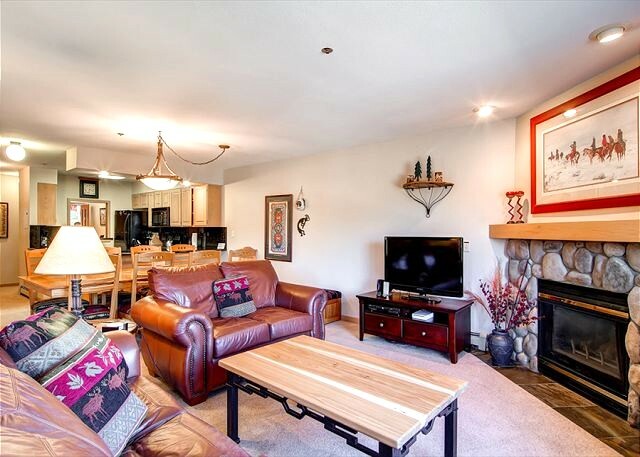 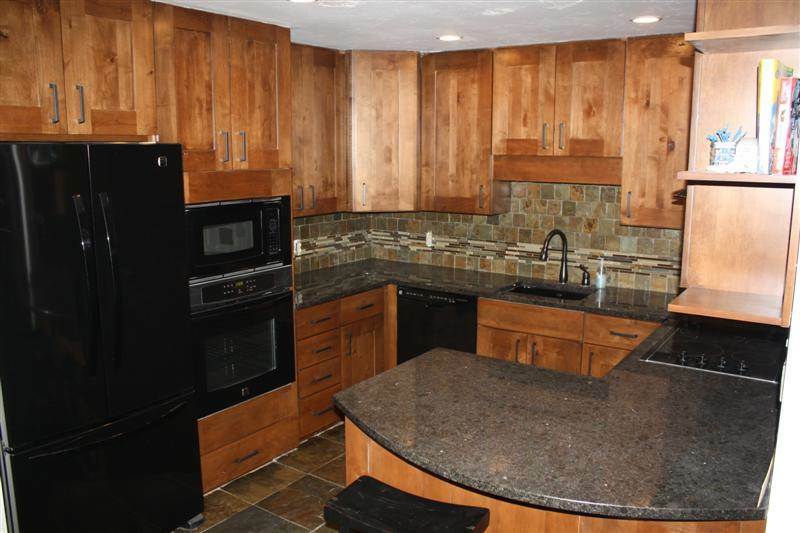 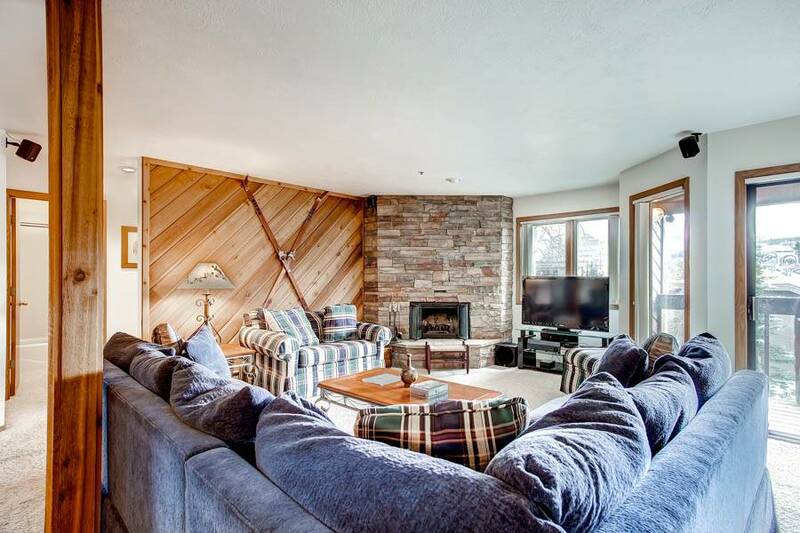 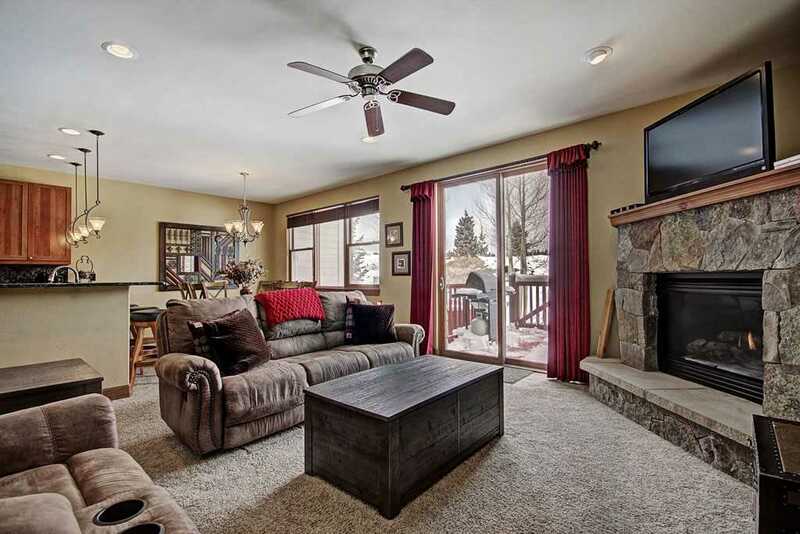 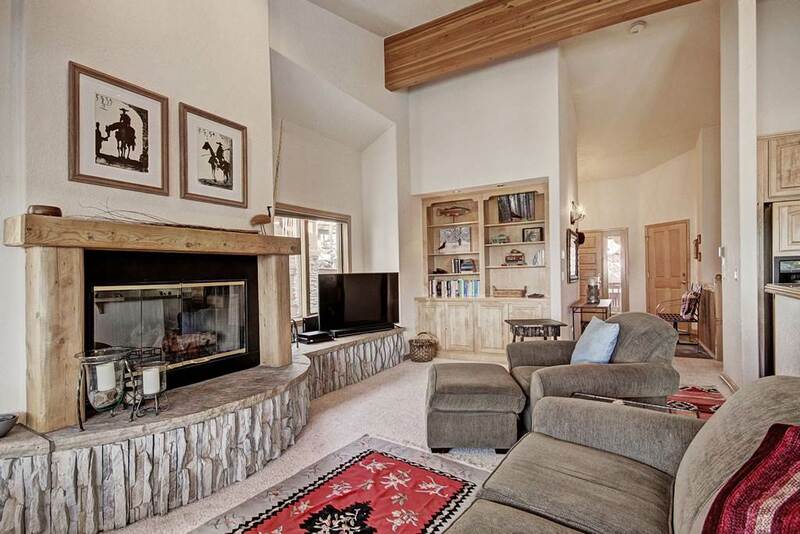 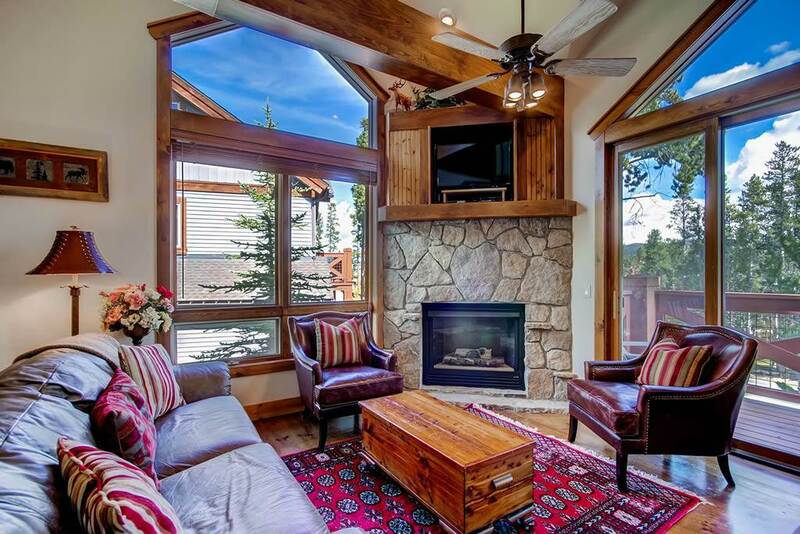 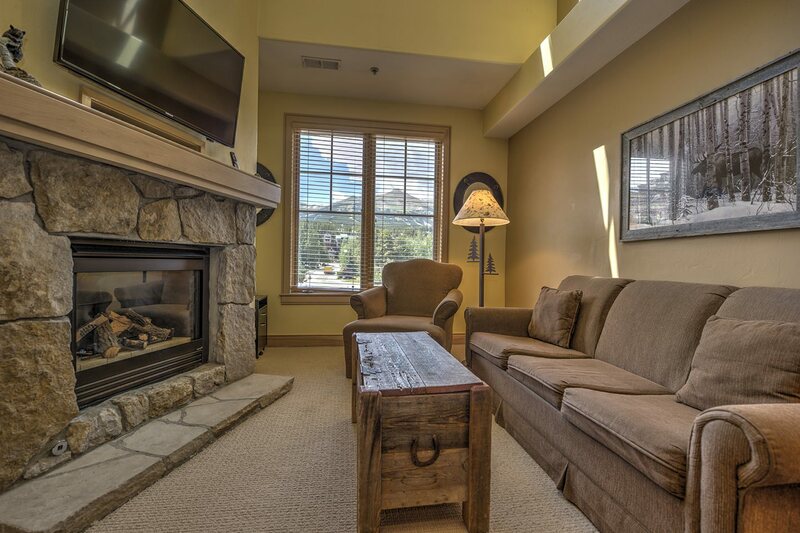 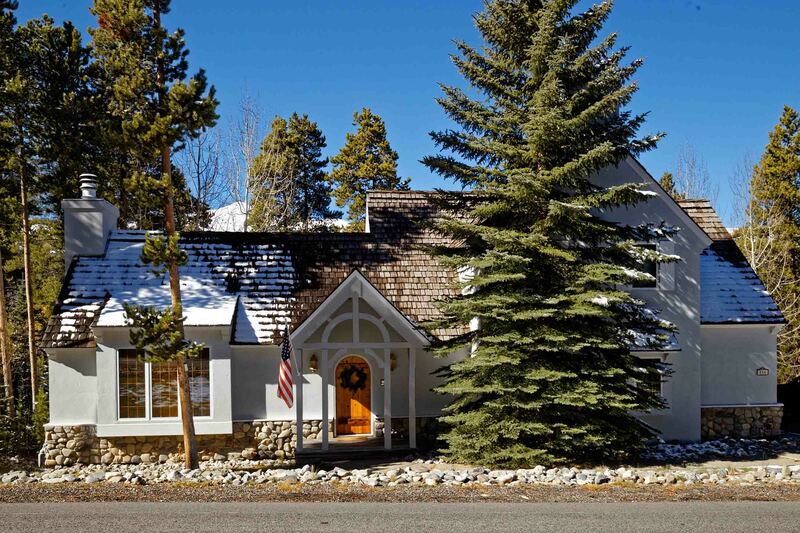 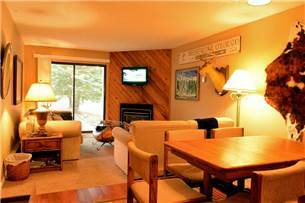 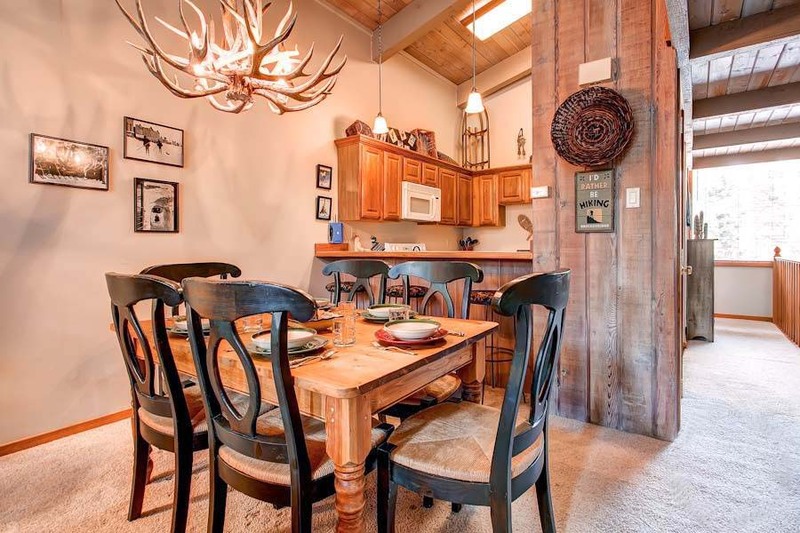 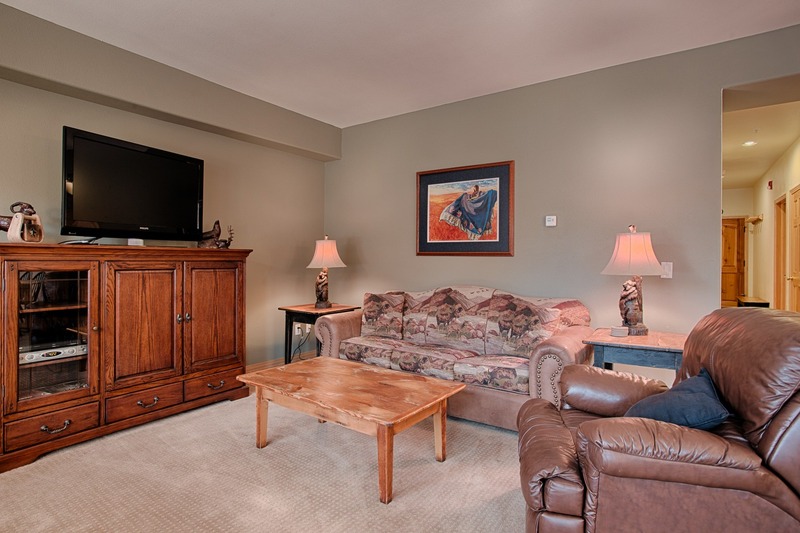 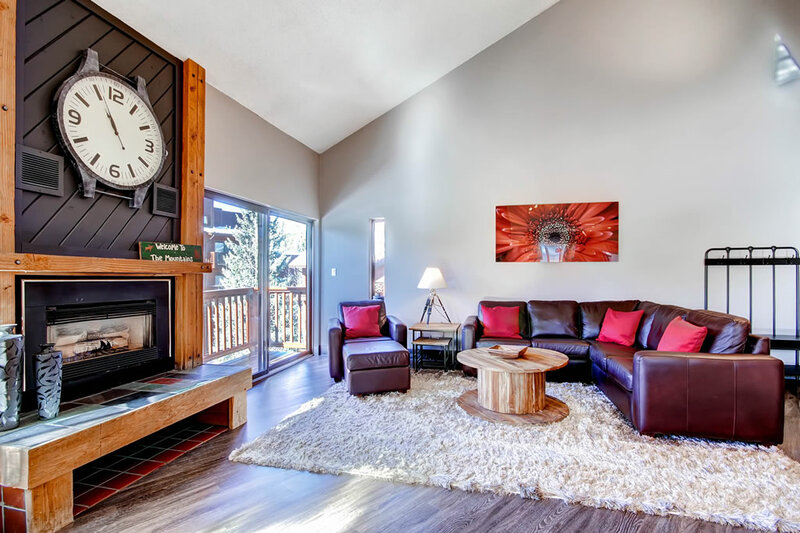 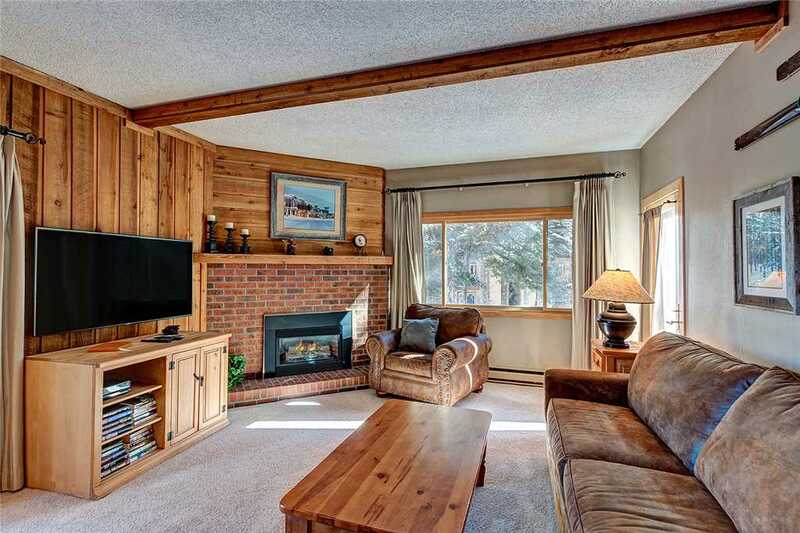 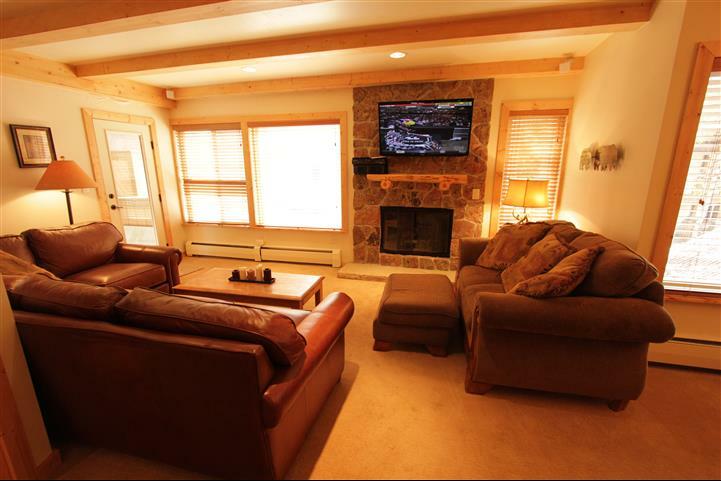 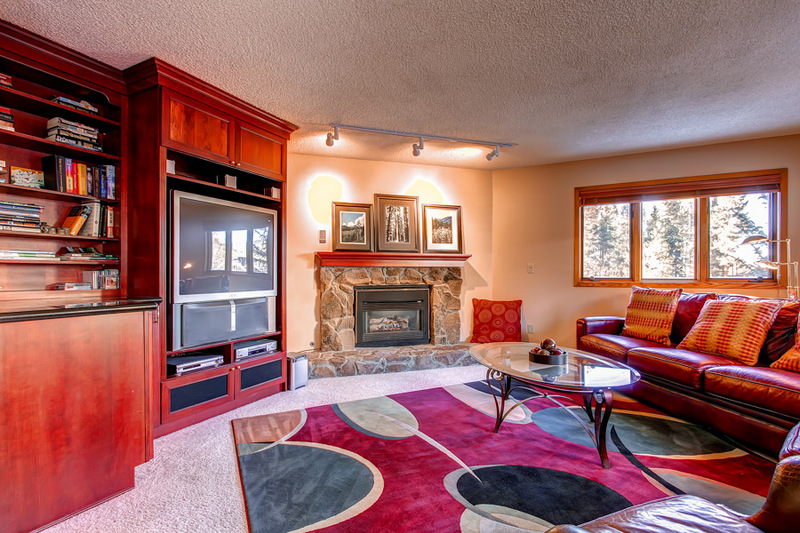 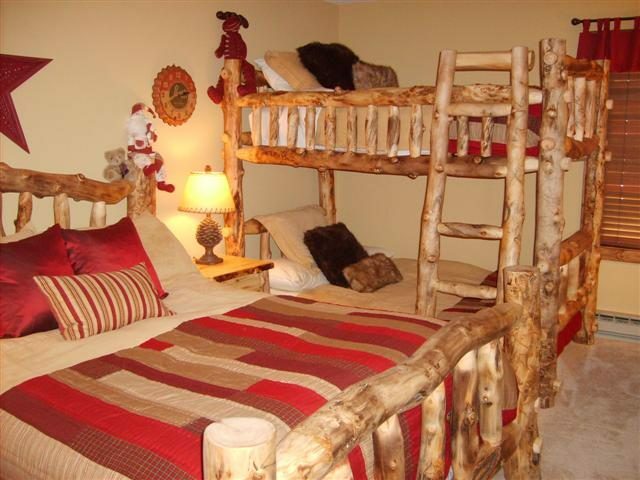 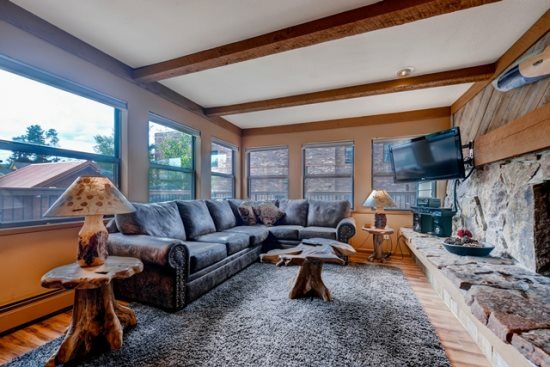 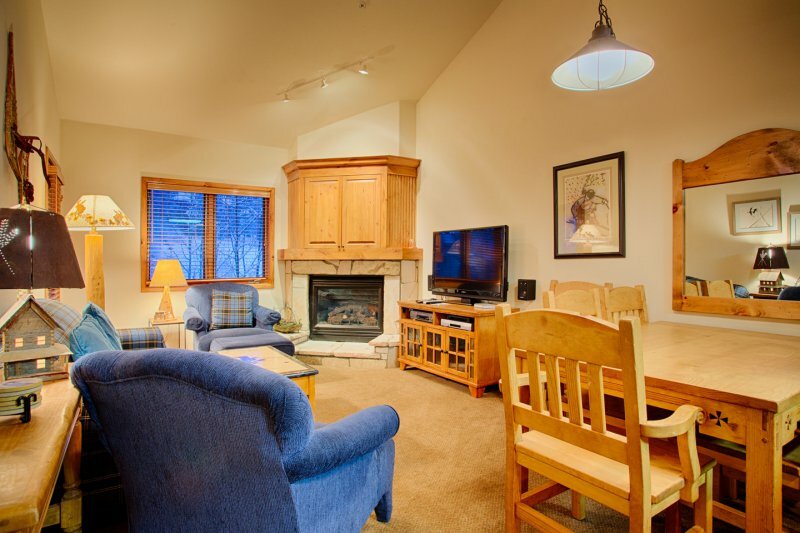 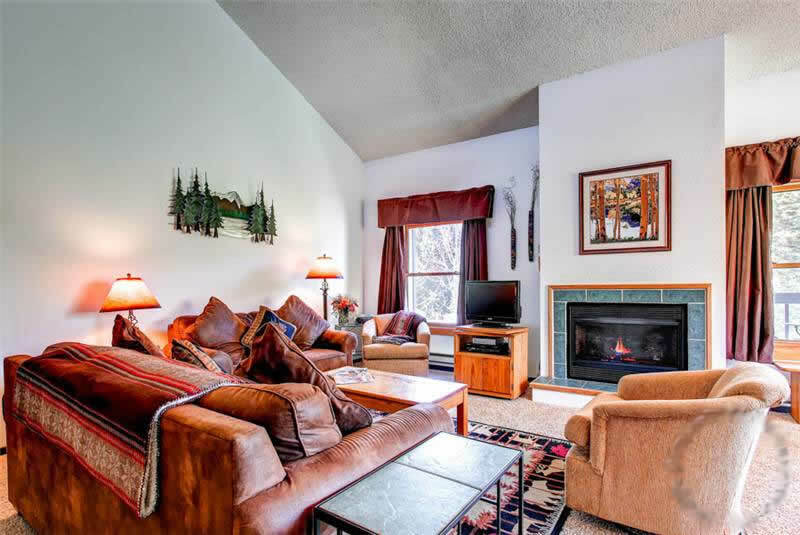 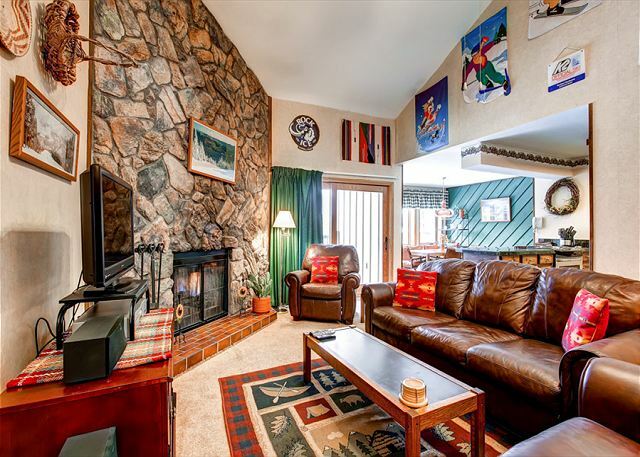 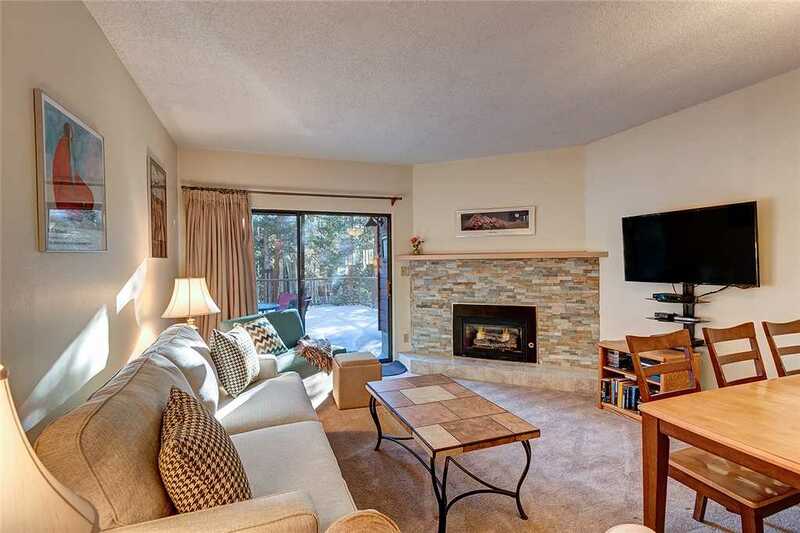 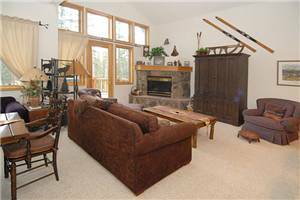 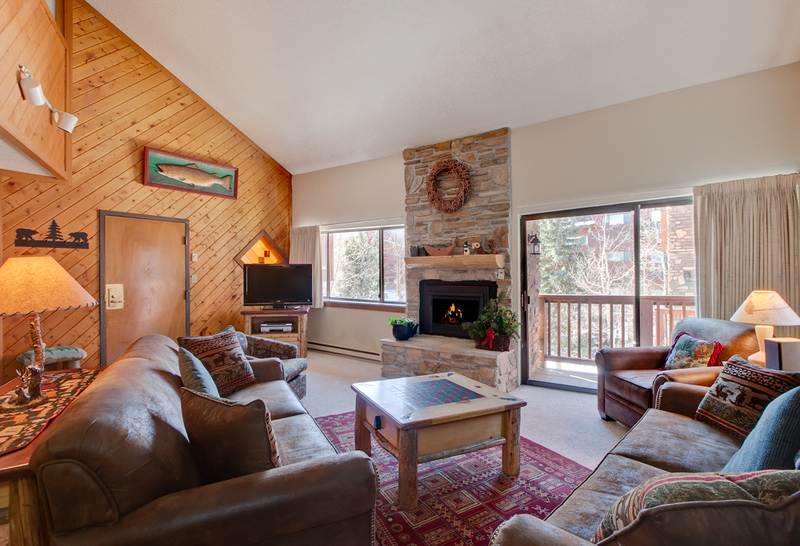 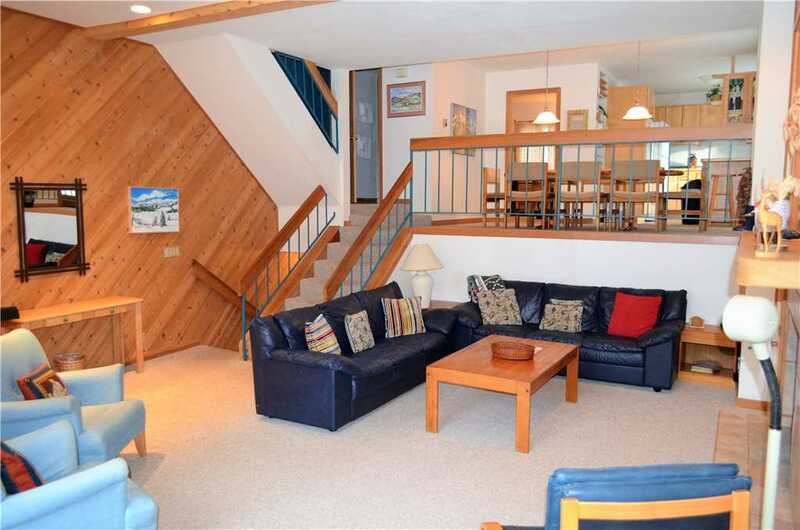 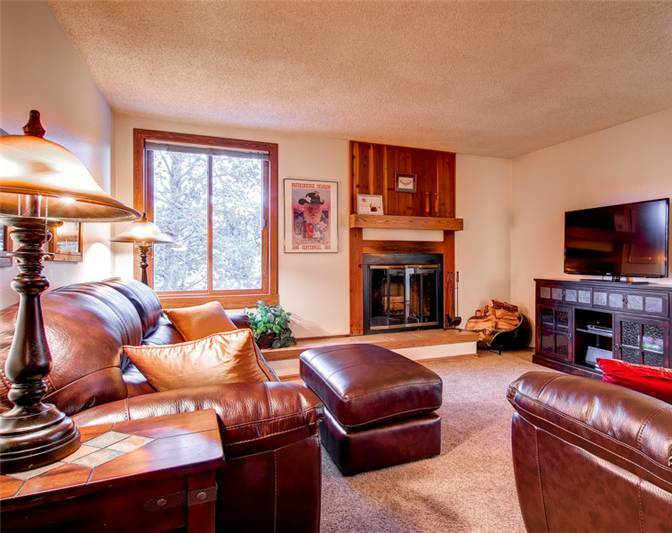 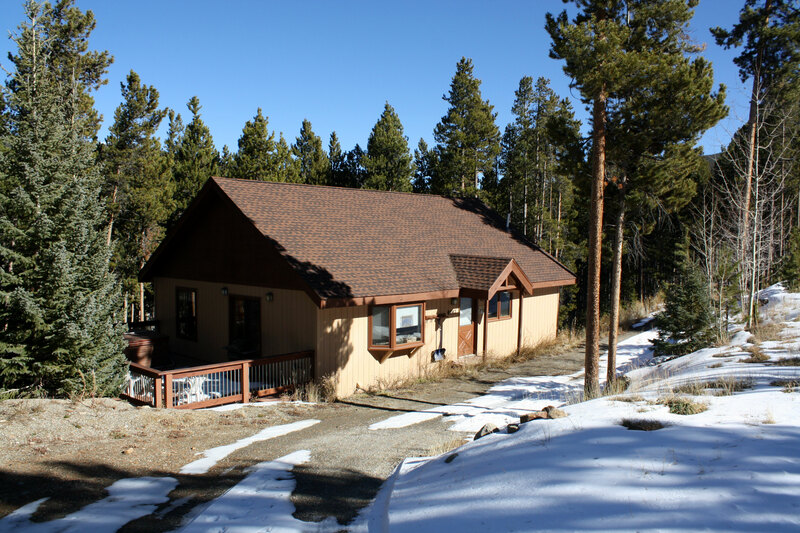 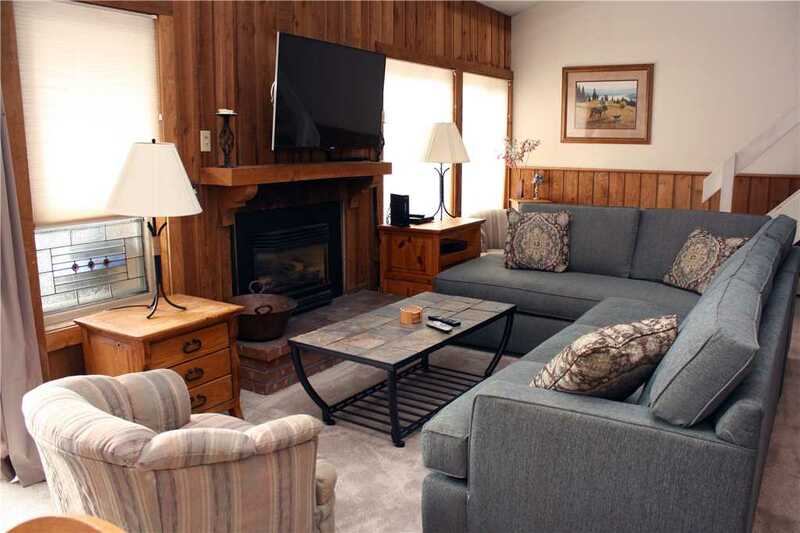 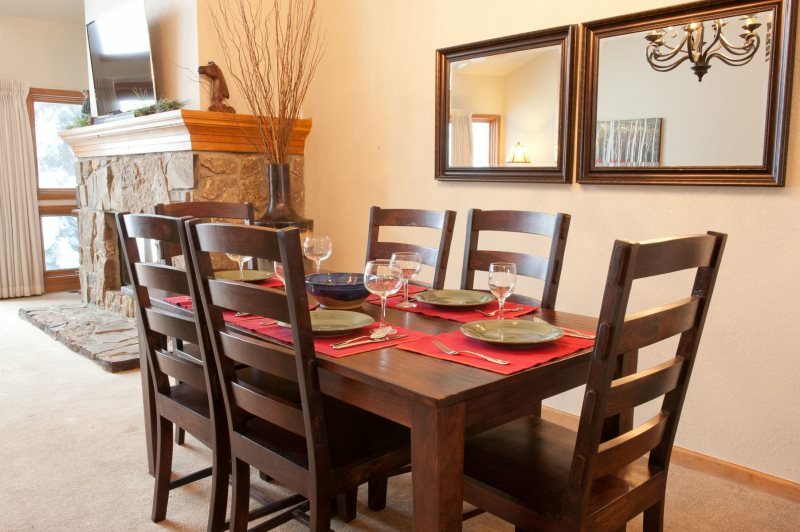 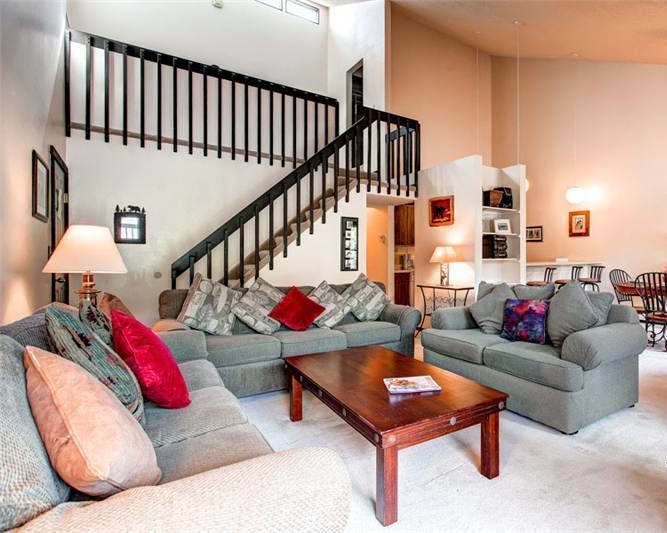 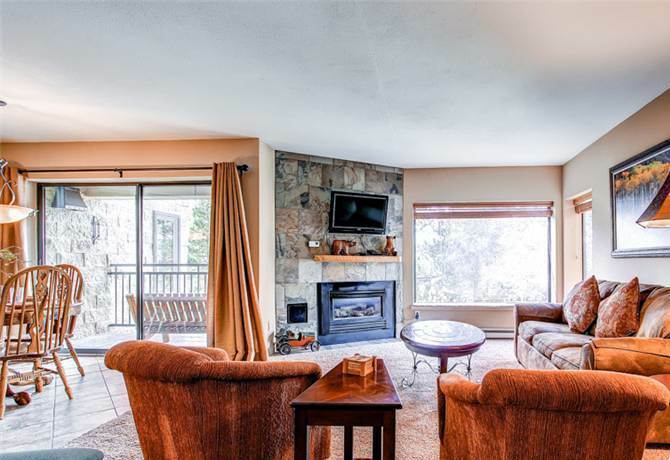 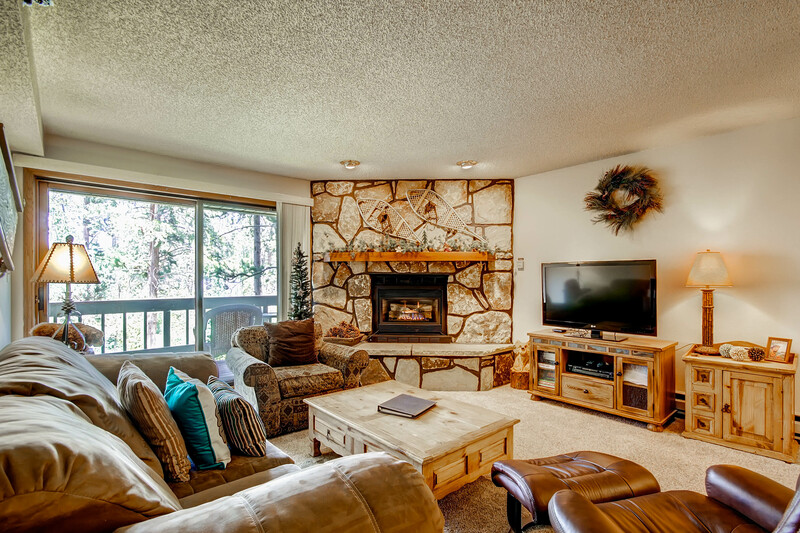 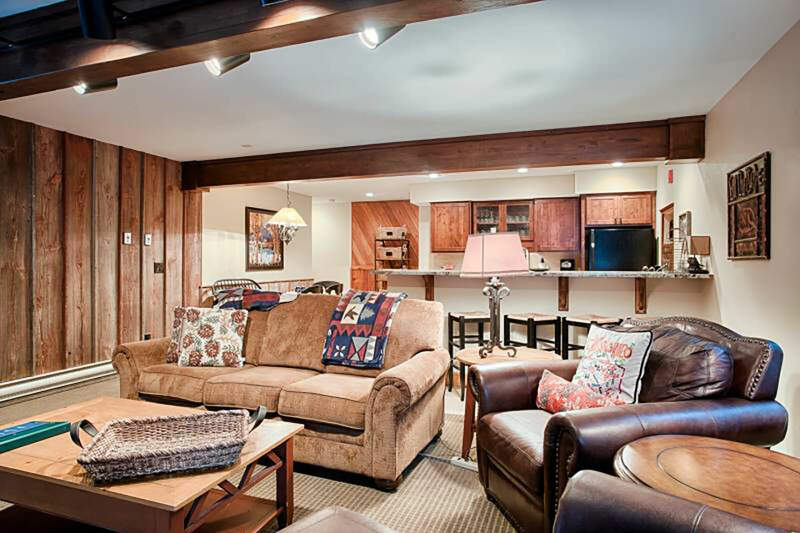 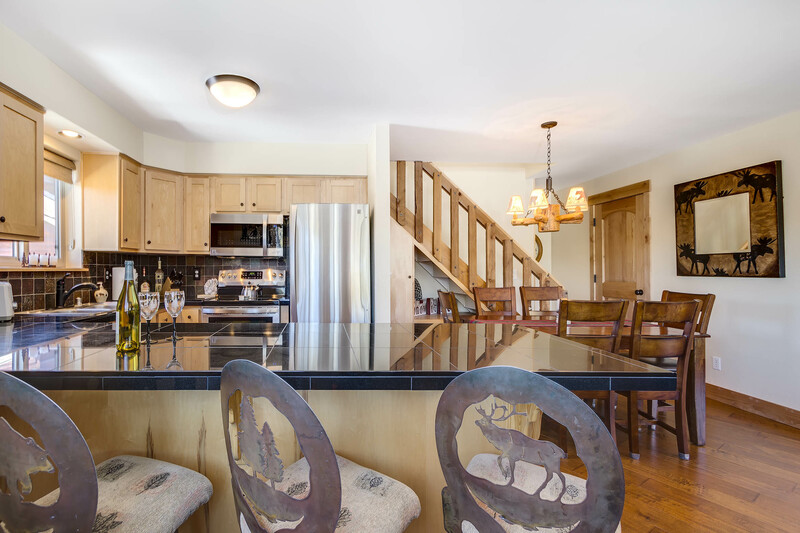 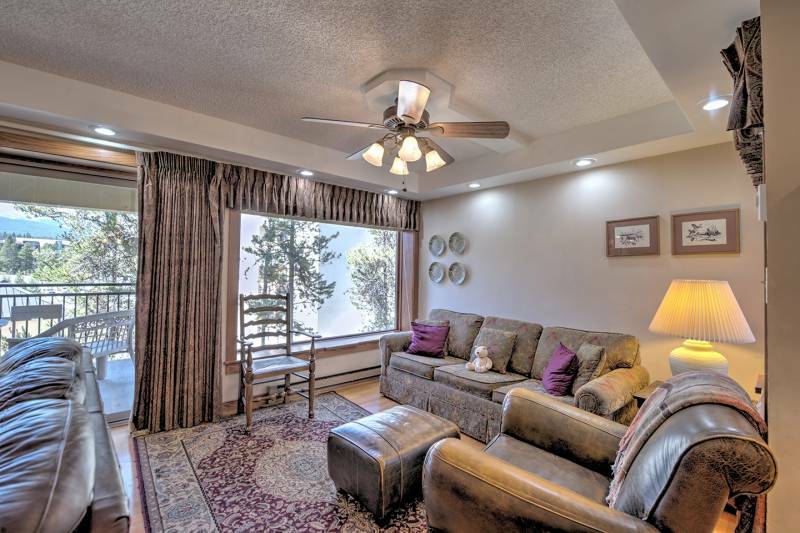 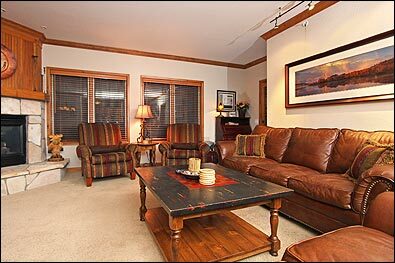 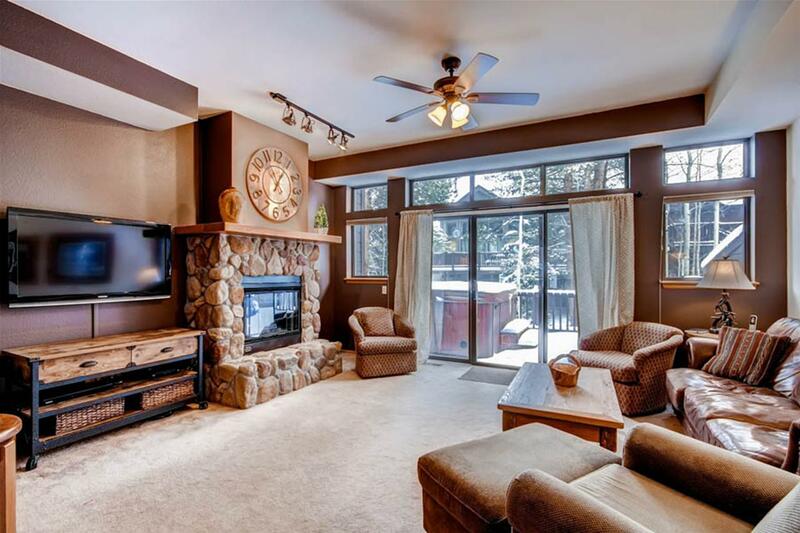 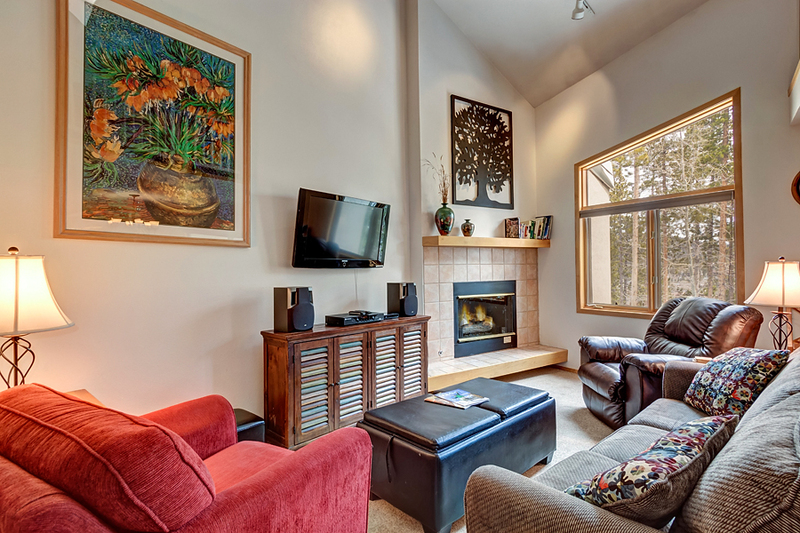 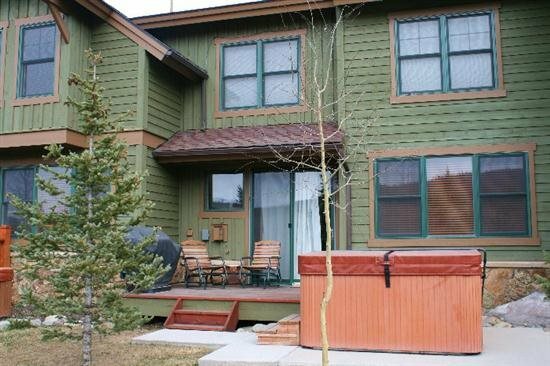 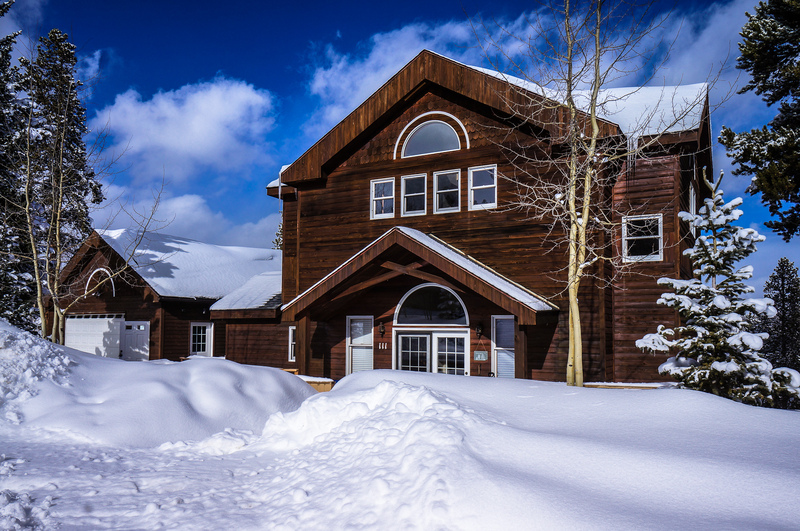 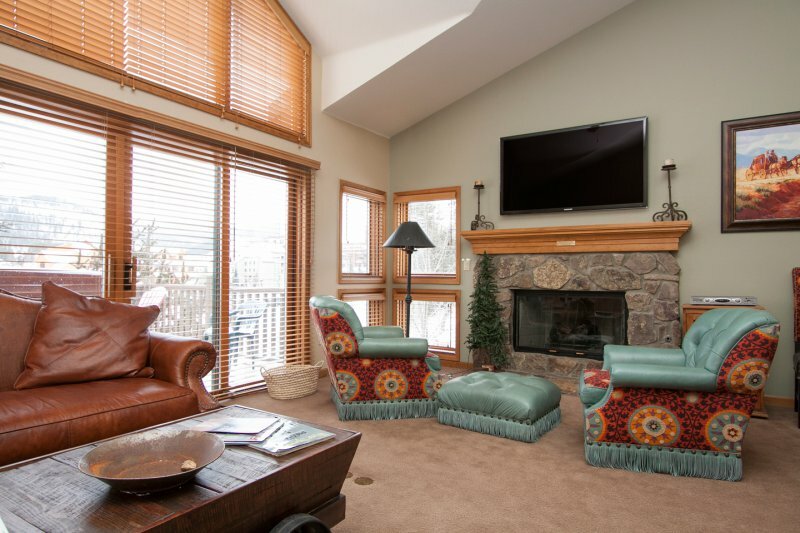 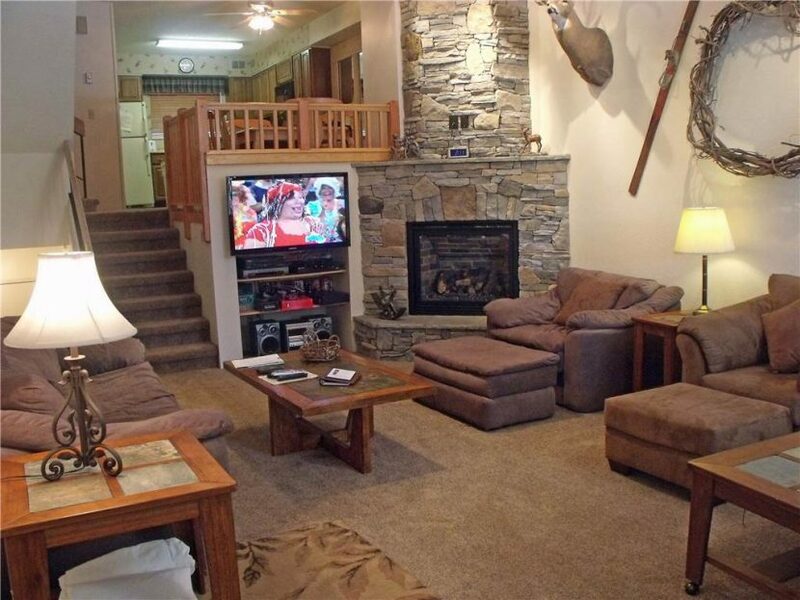 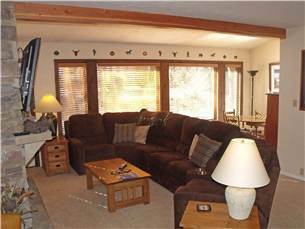 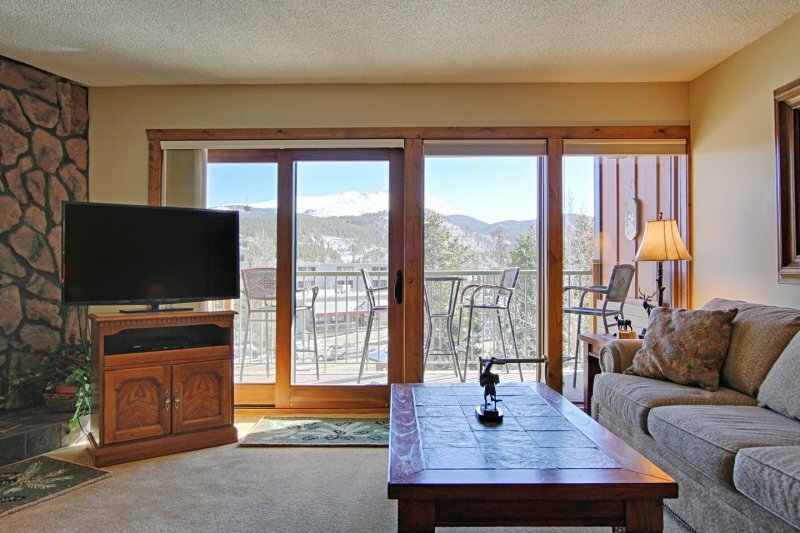 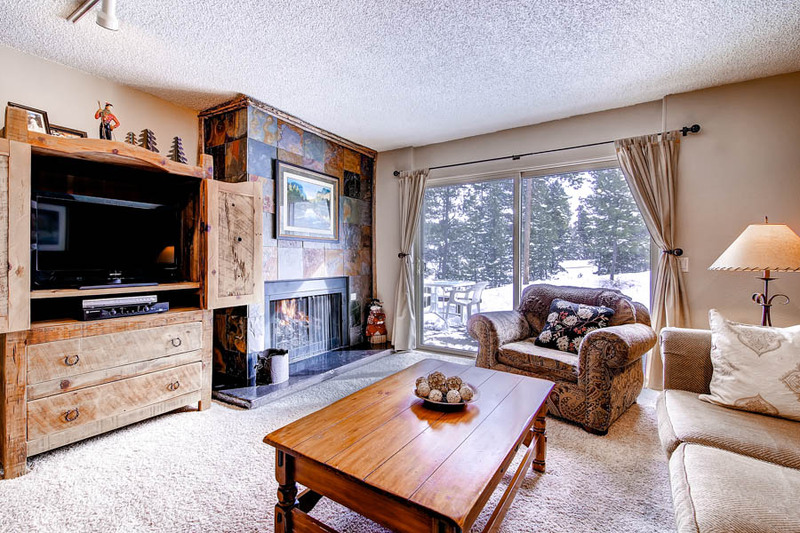 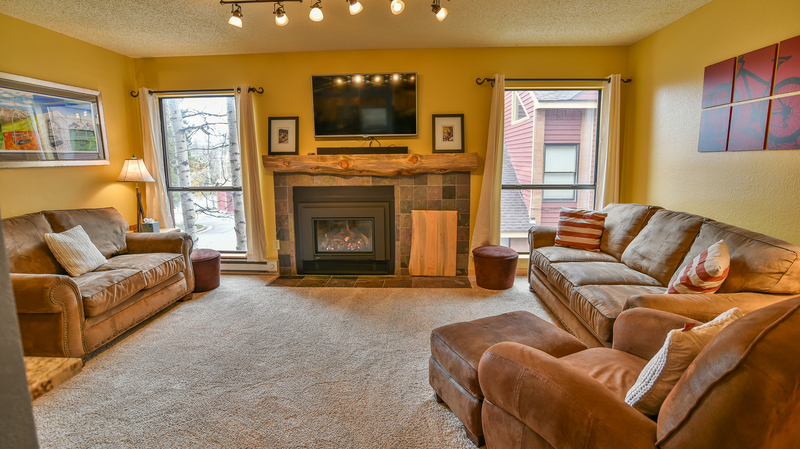 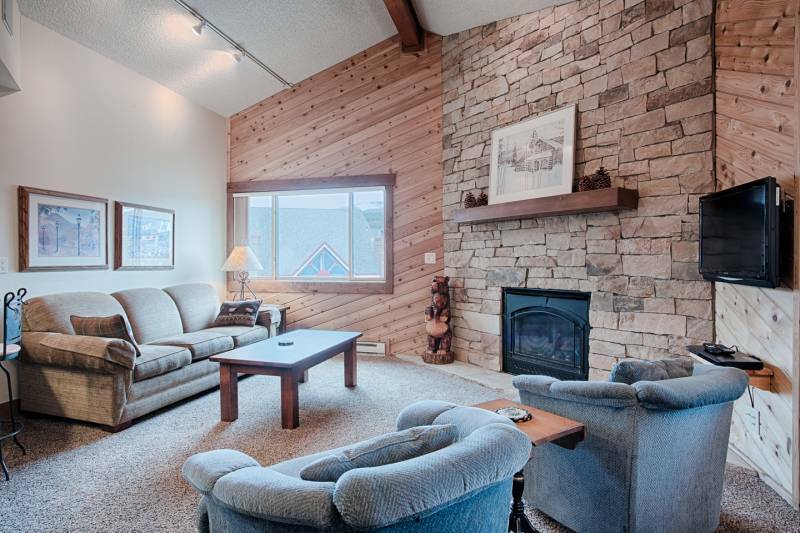 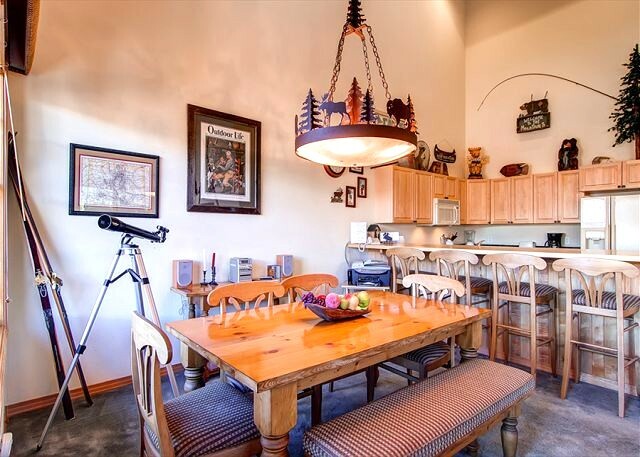 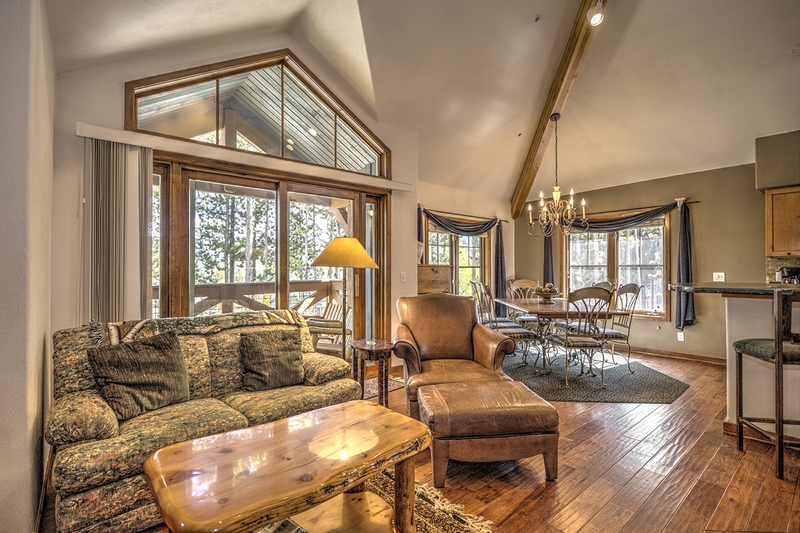 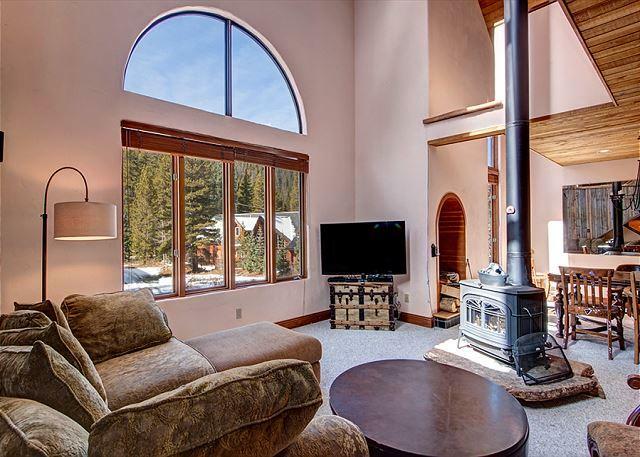 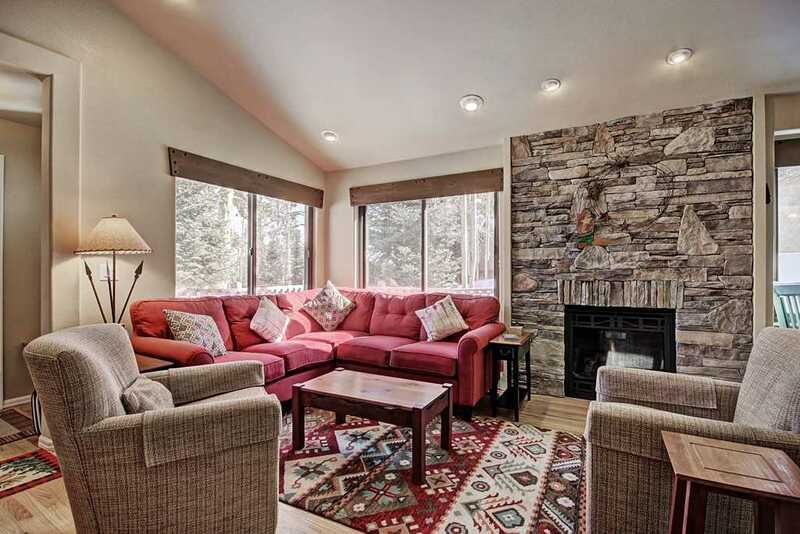 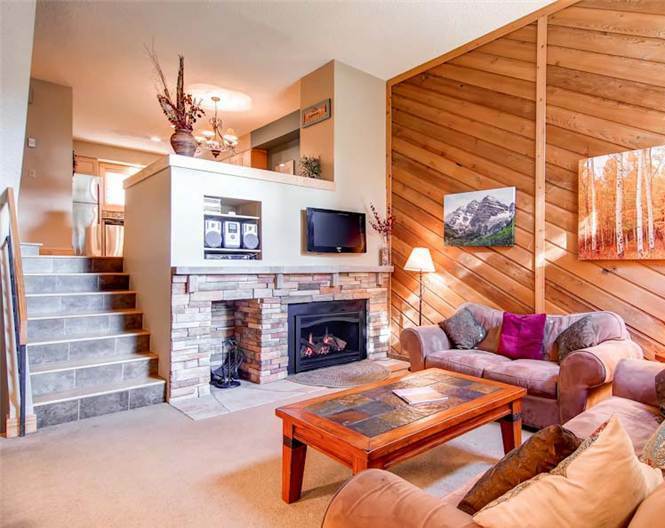 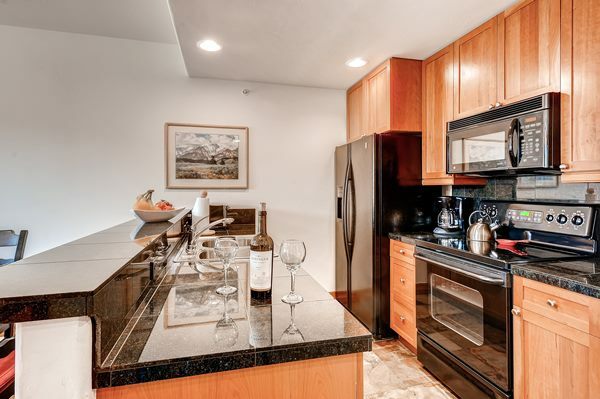 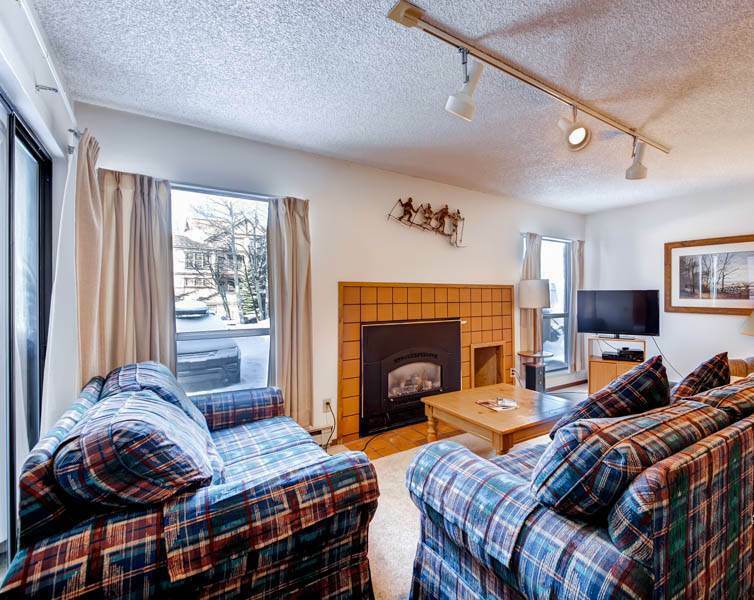 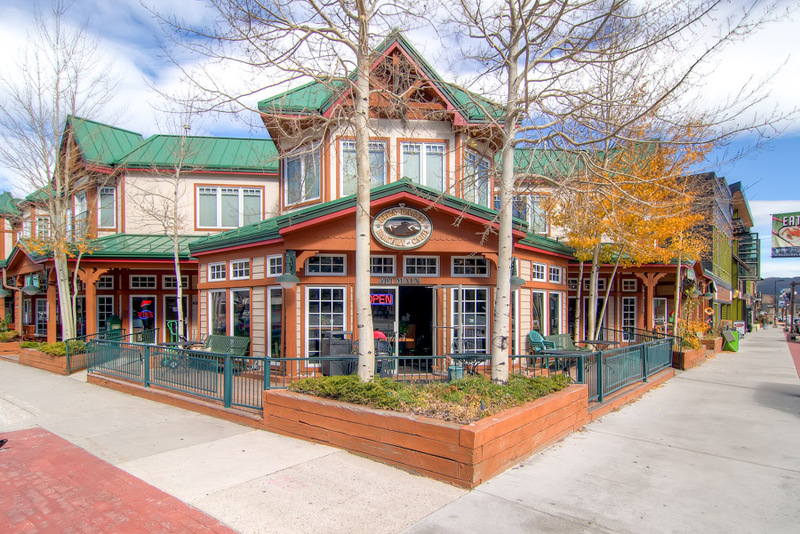 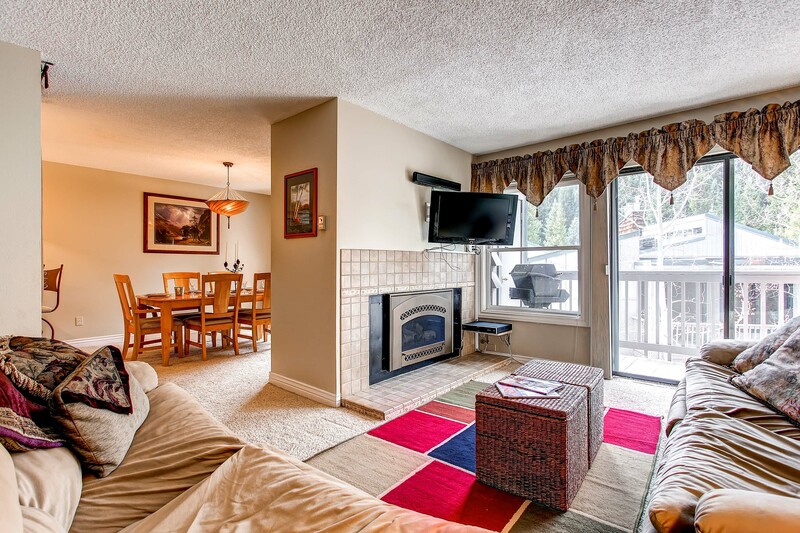 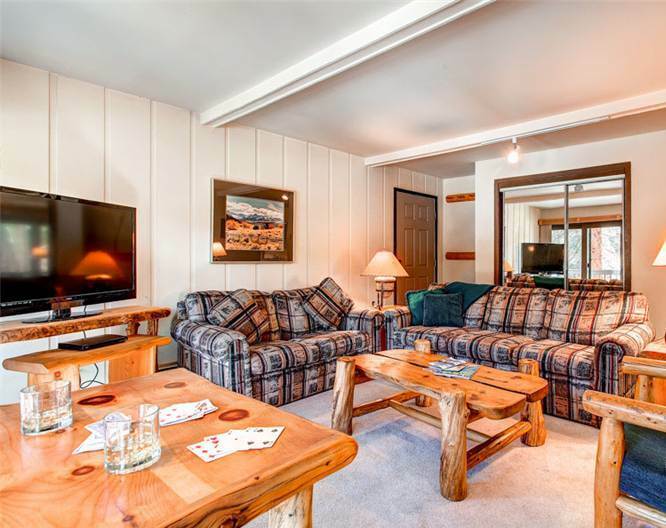 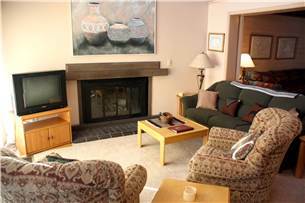 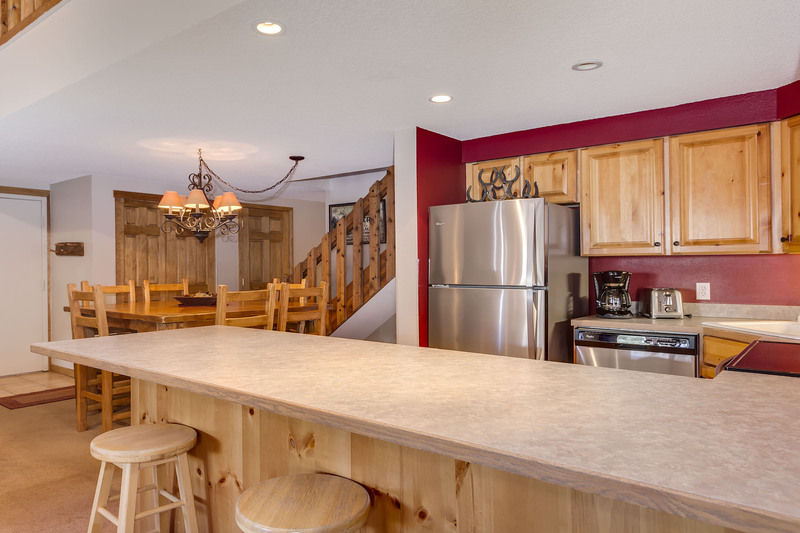 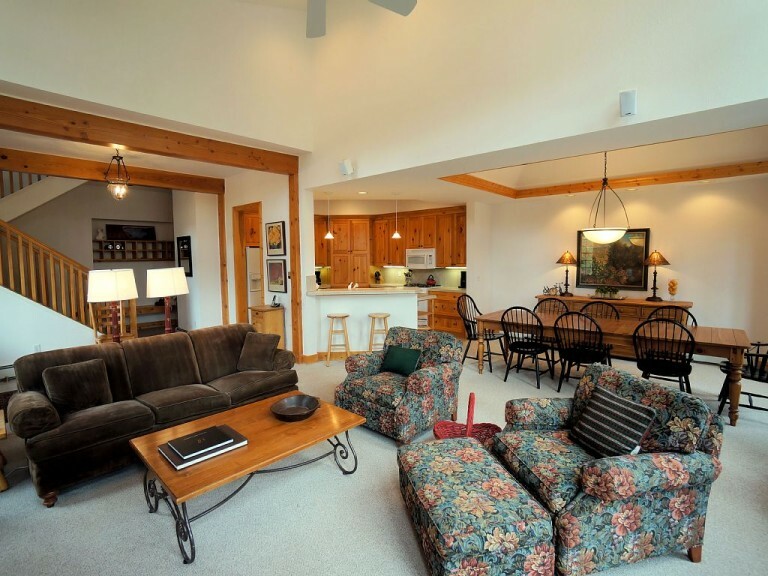 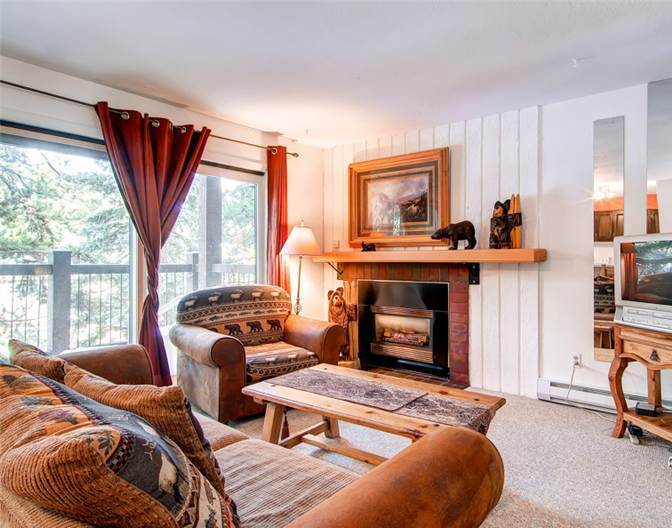 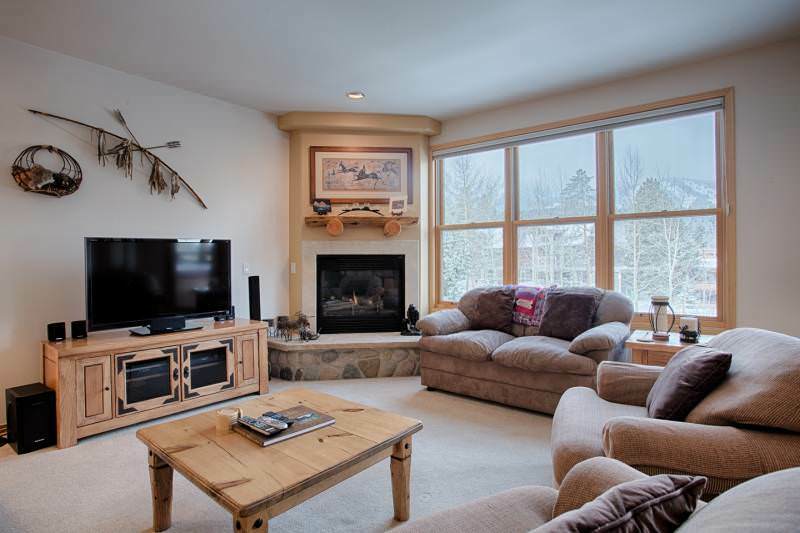 You’ll find the ski slopes within 200 yards of this beautiful town home, conveniently located within walking distance of the Snowflake lift and just a five-minute drive away from downtown Breckenridge. 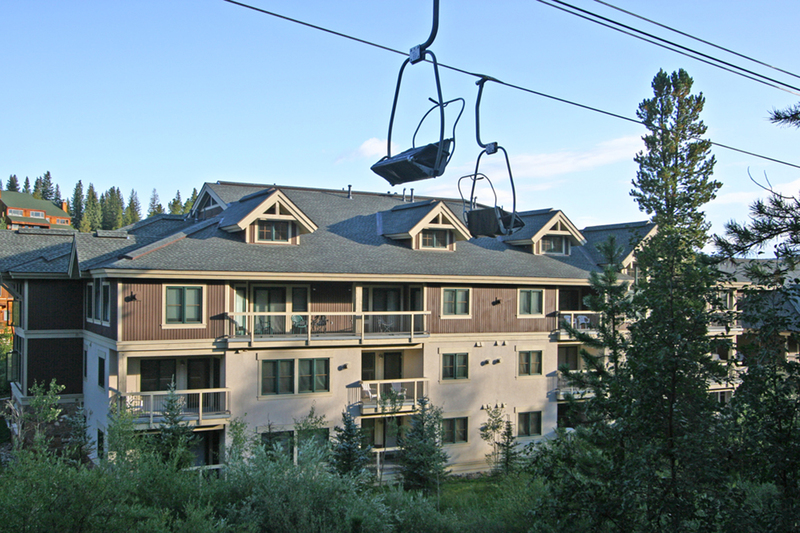 Or hop on the town’s free town shuttle. 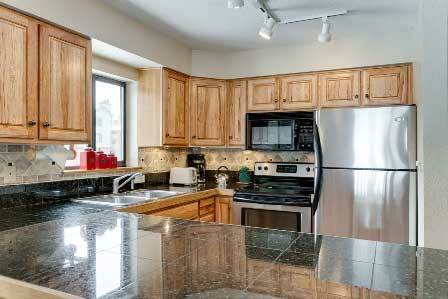 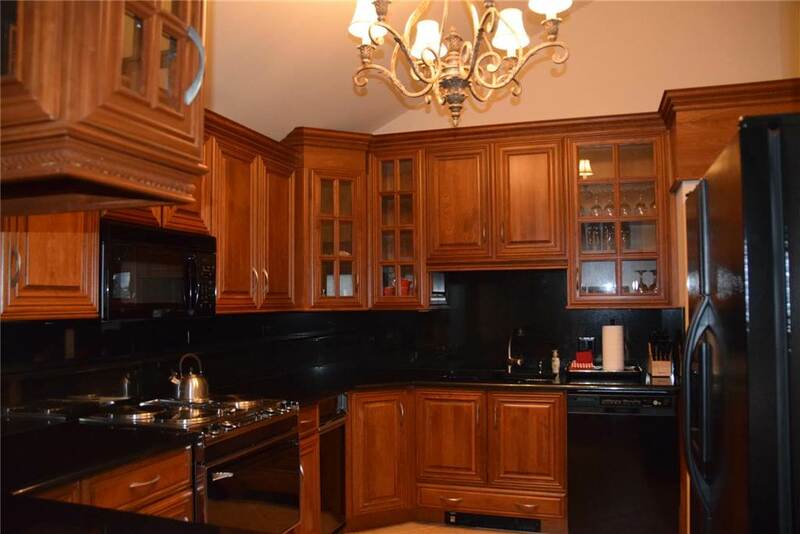 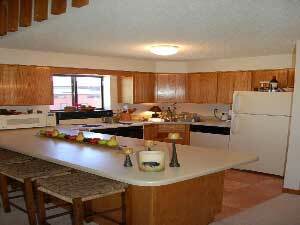 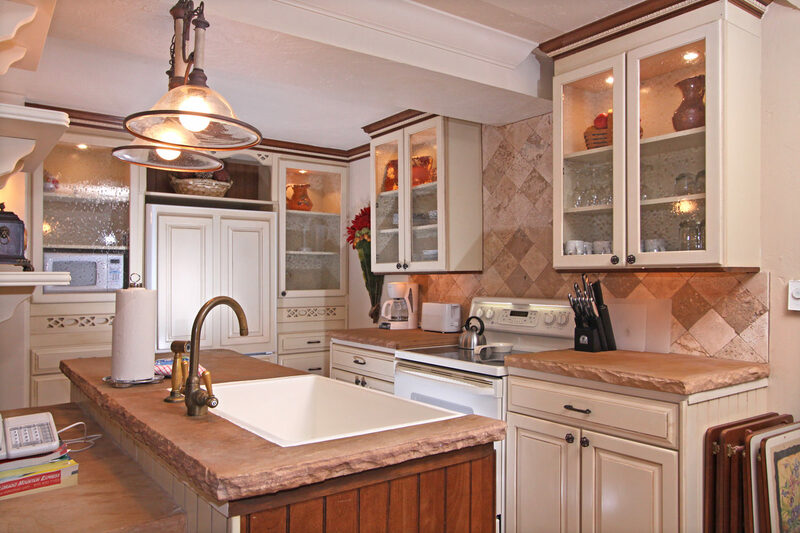 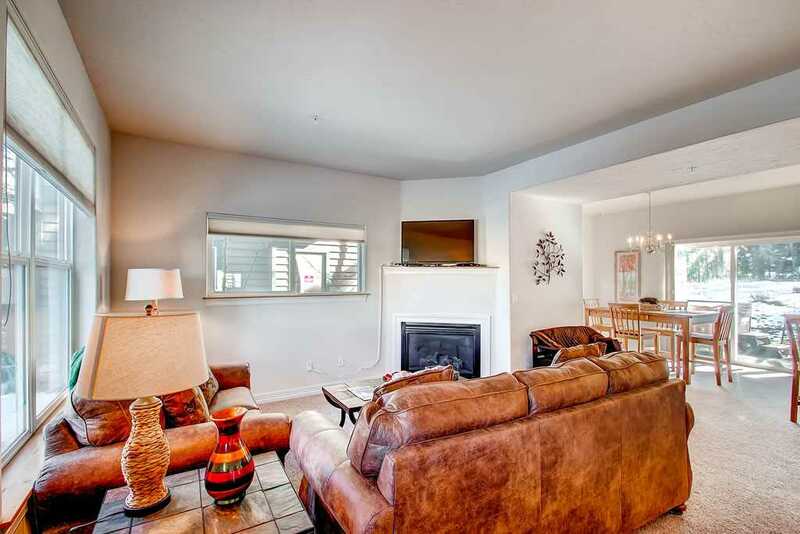 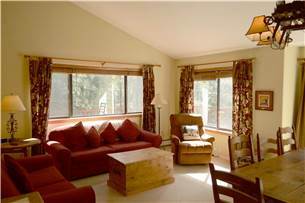 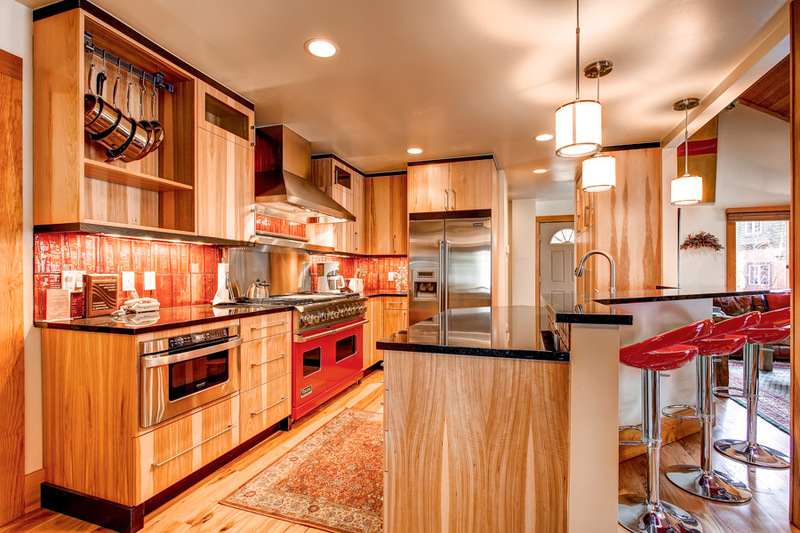 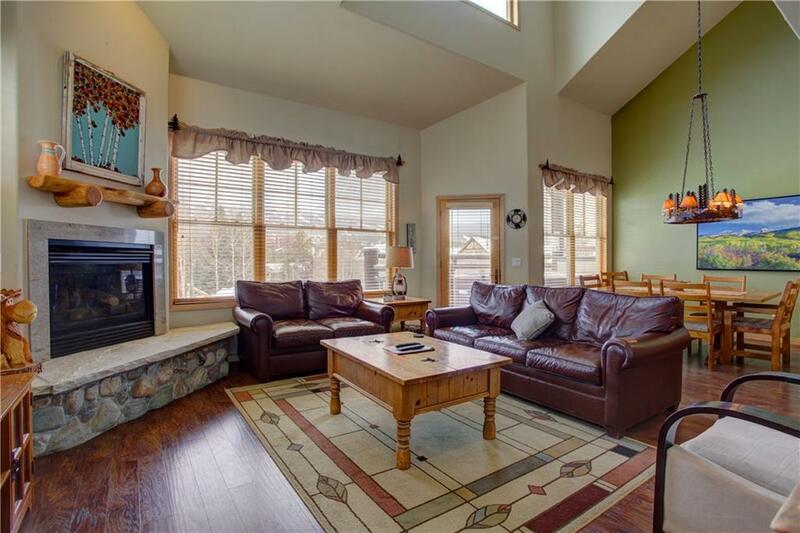 This immaculate and luxurious property offers every imaginable comfort spread out in spacious living space. 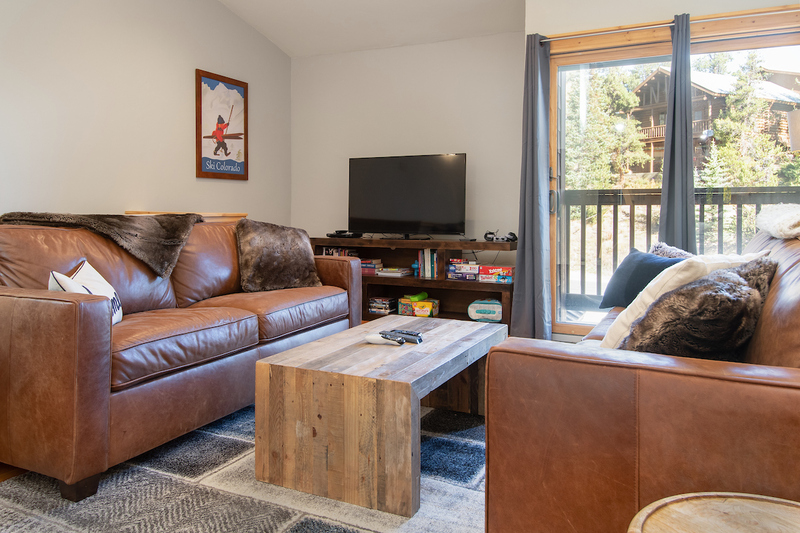 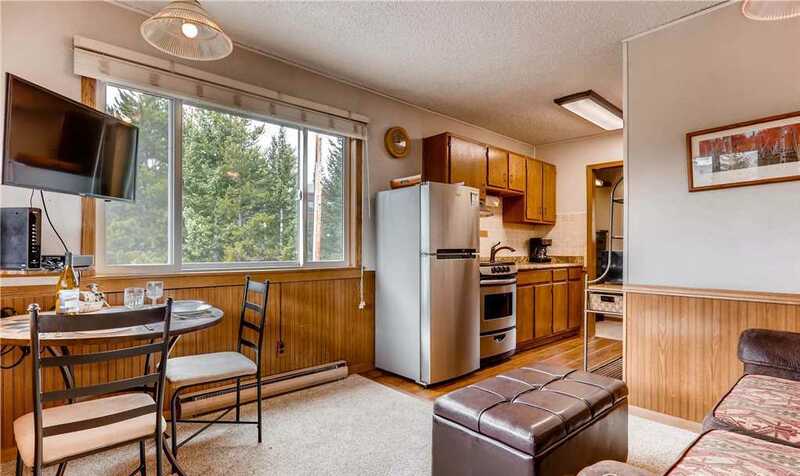 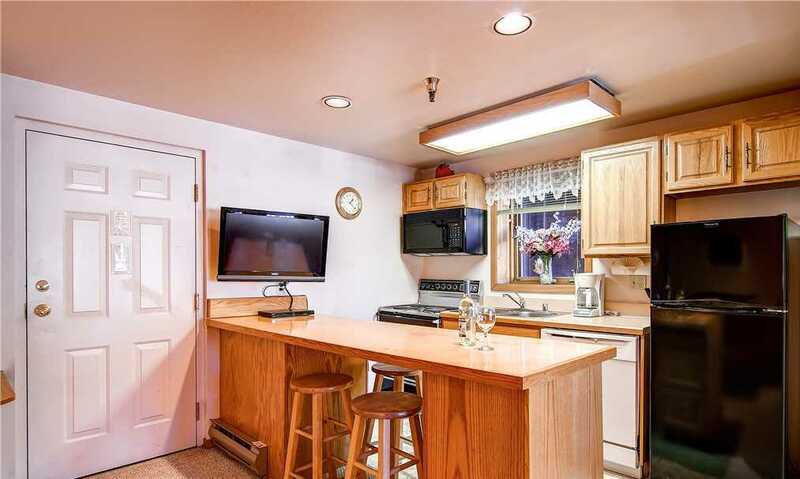 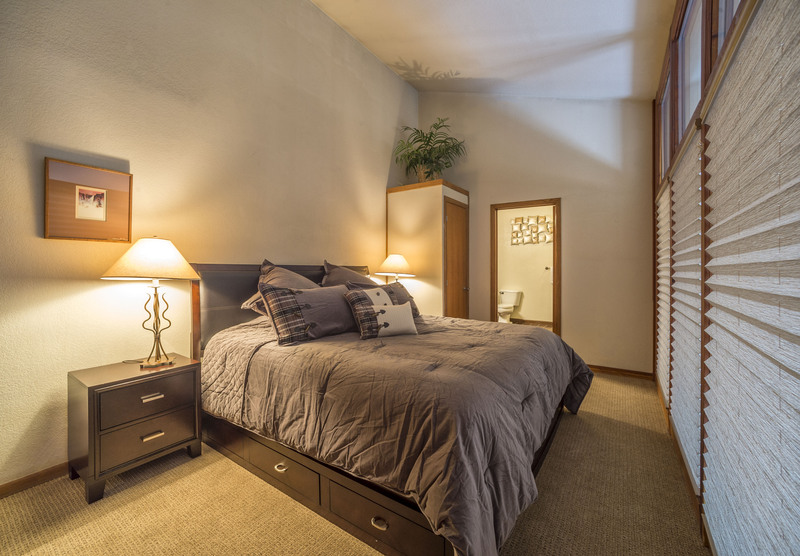 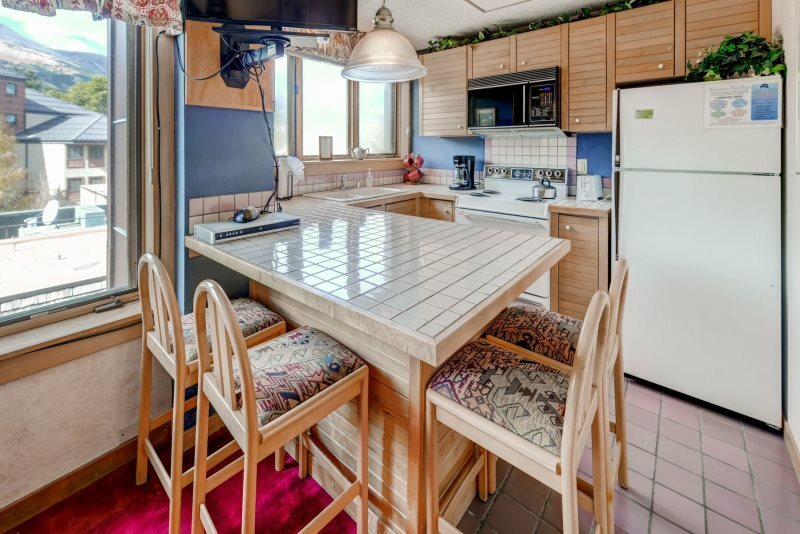 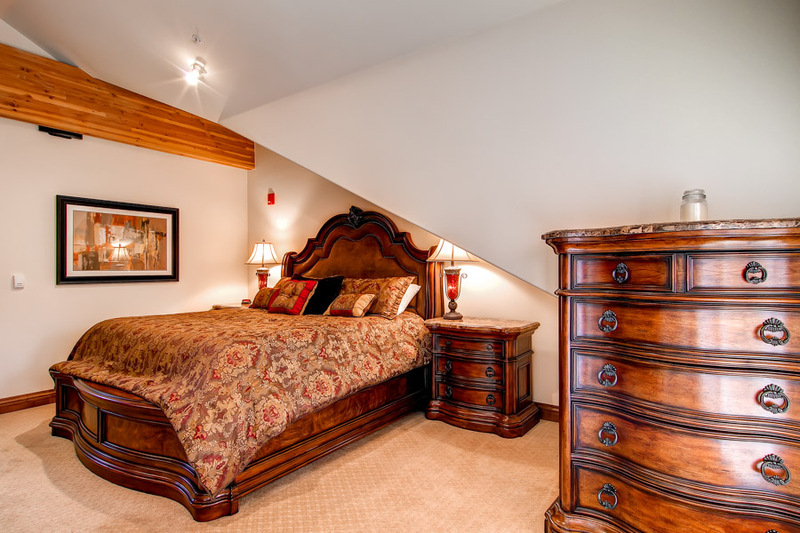 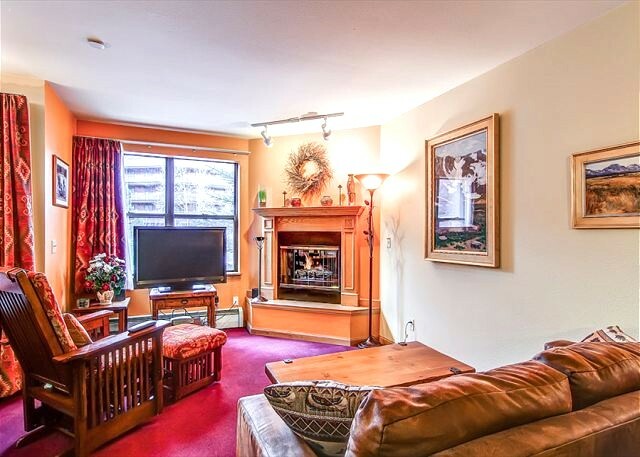 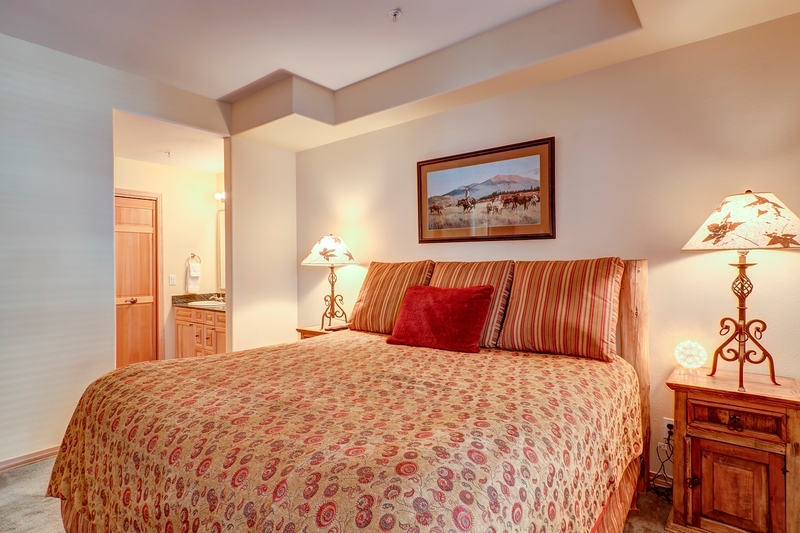 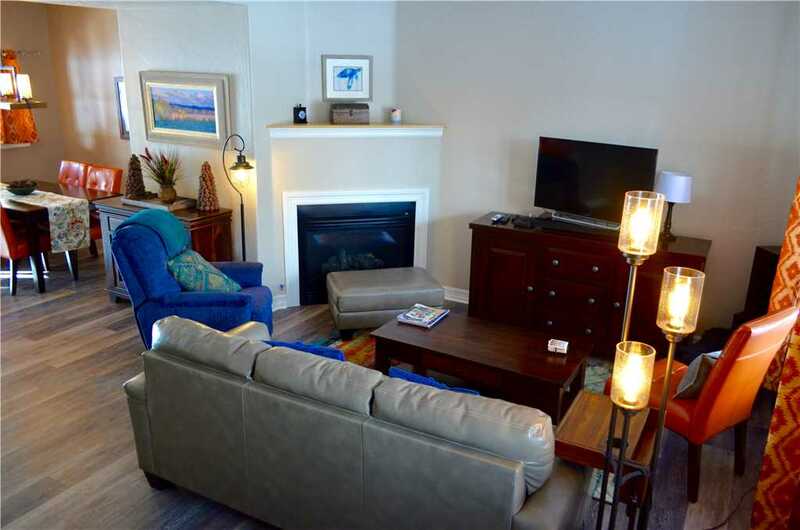 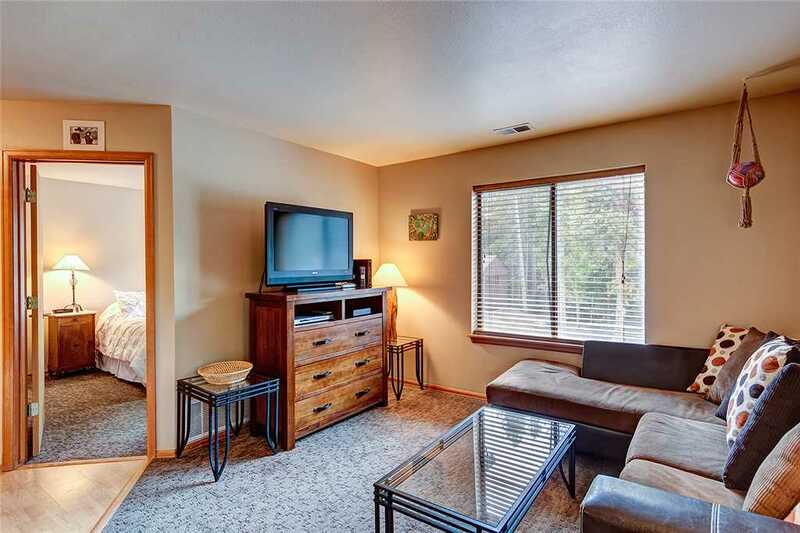 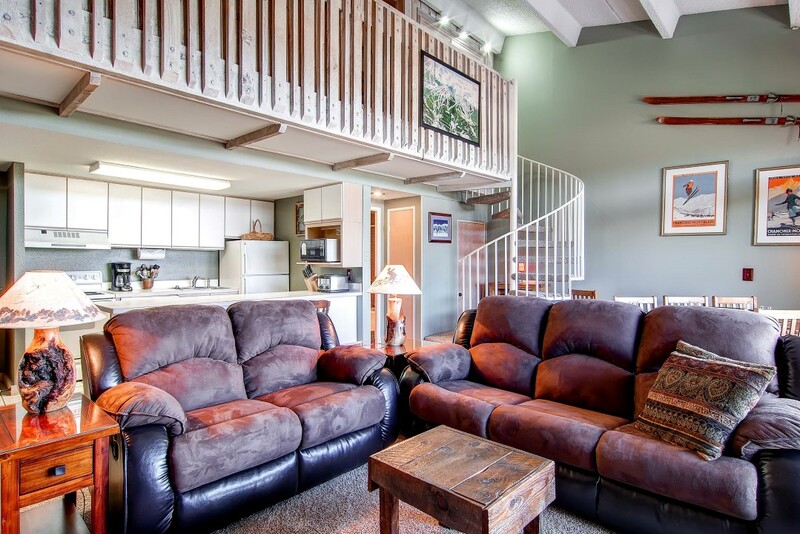 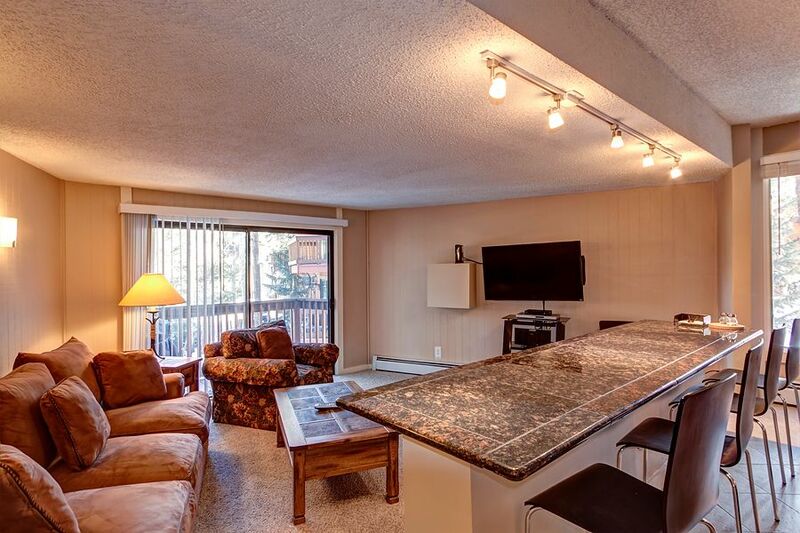 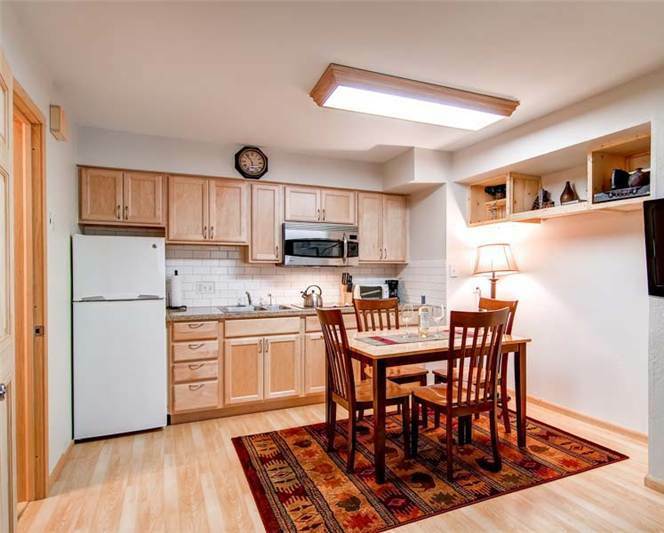 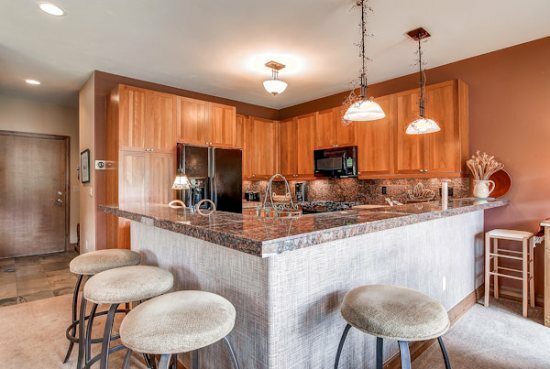 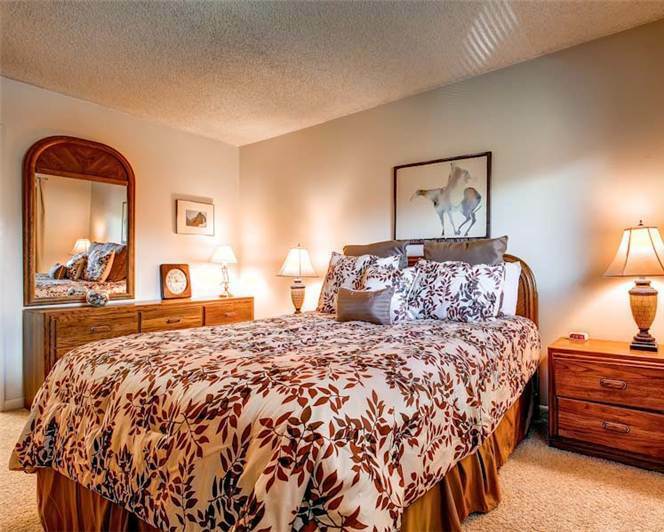 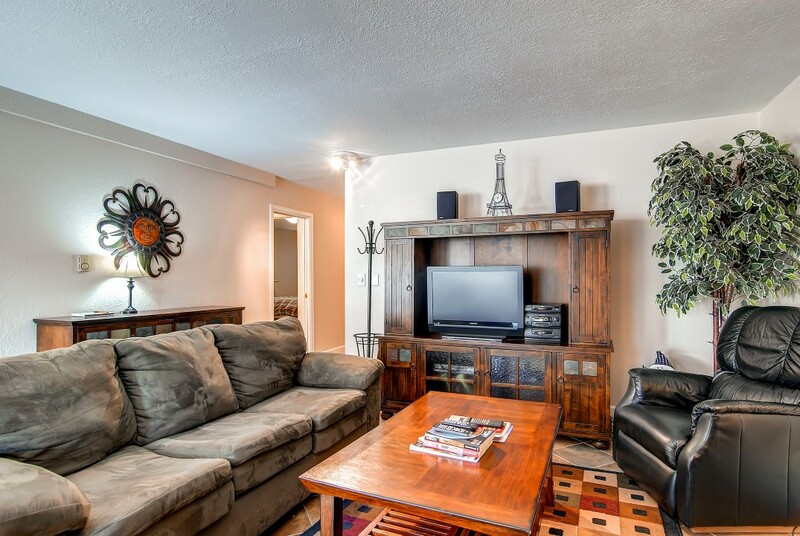 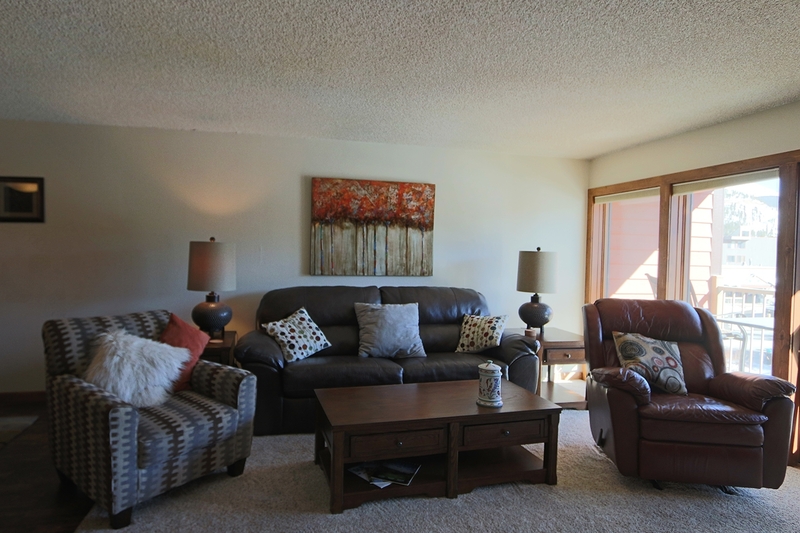 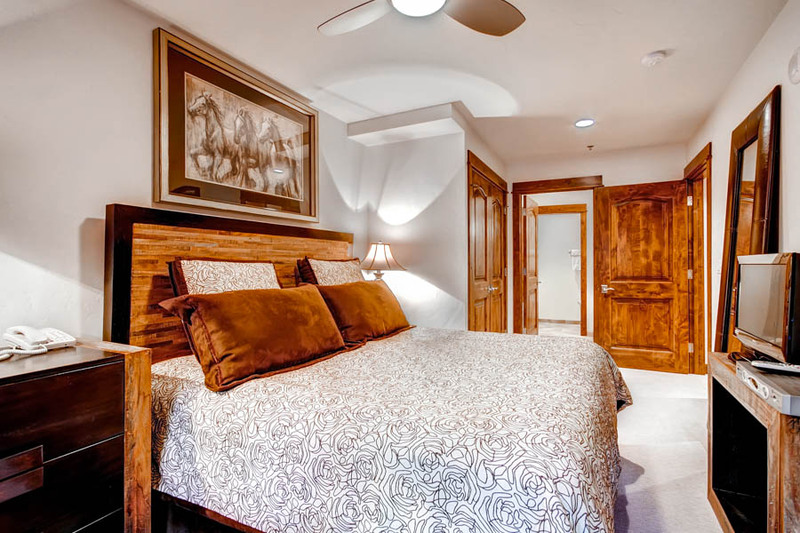 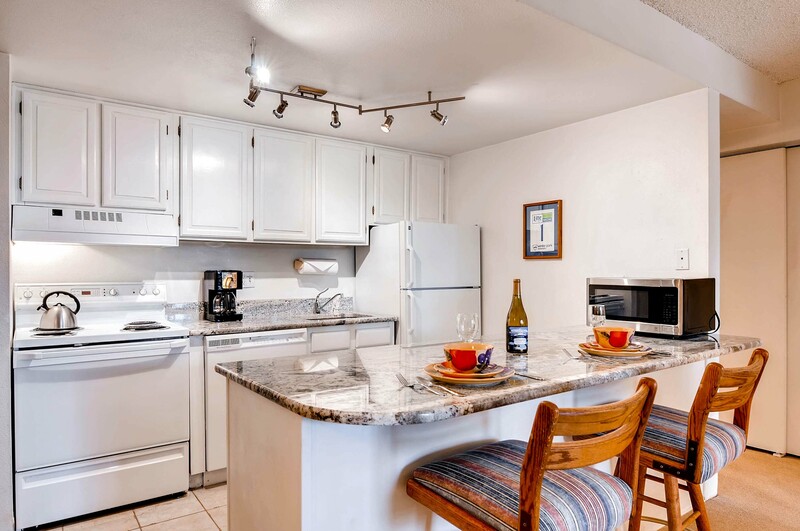 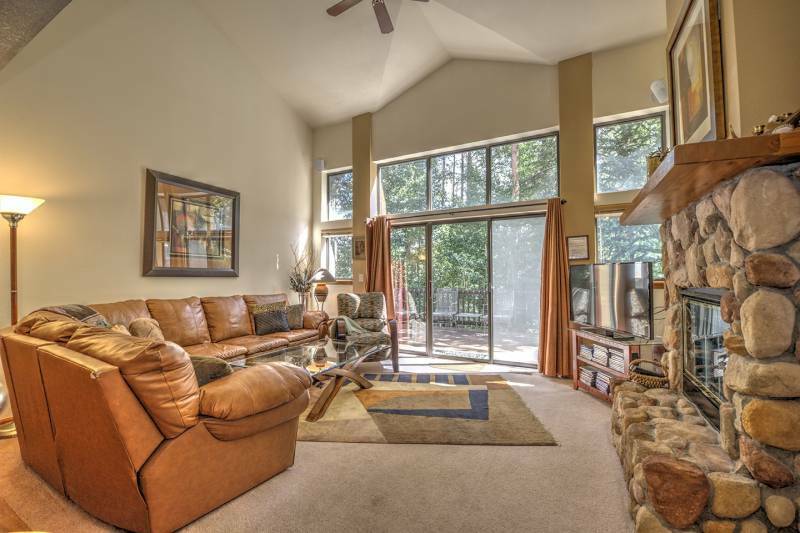 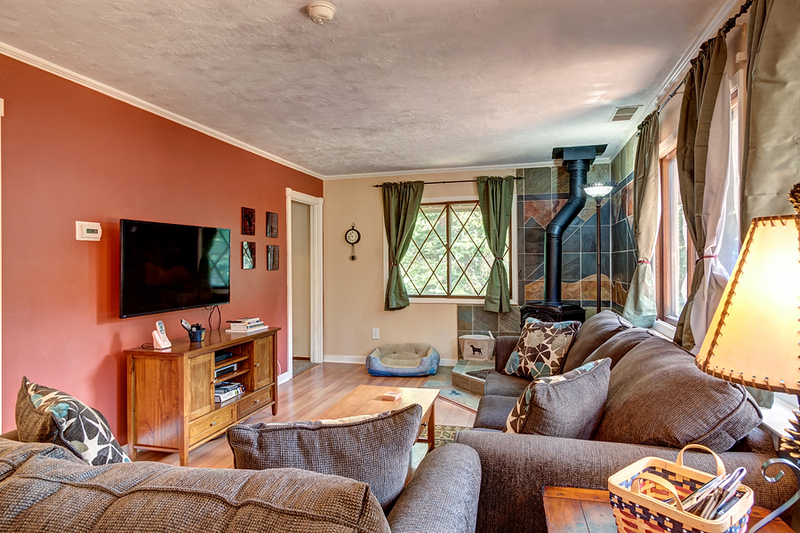 In addition to a professionally decorated interior you’ll find a full range of premium amenities, including living area with towering vaulted ceilings, rich hardwood floors and a spacious master bathroom with a jetted tub. 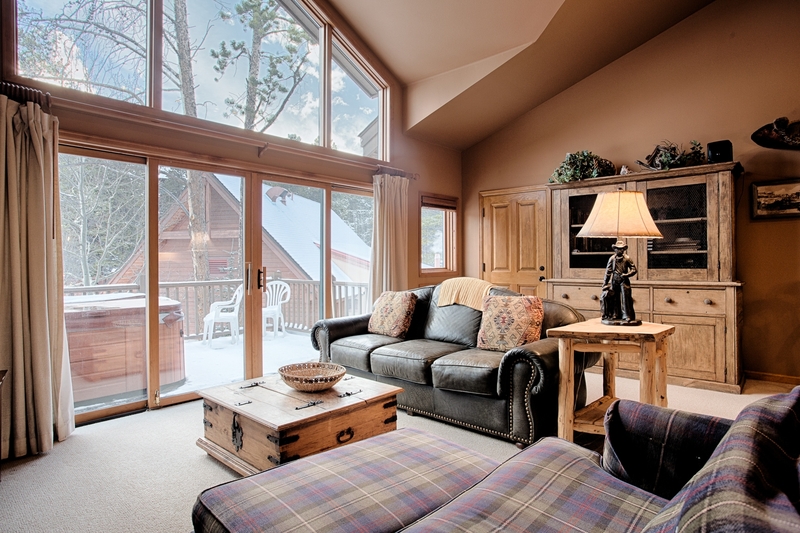 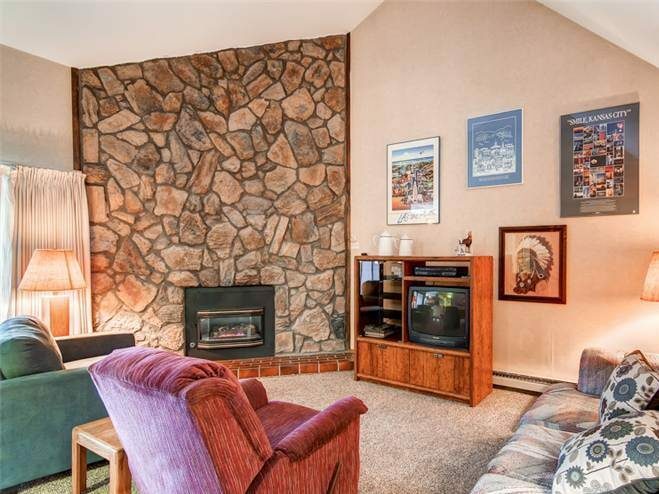 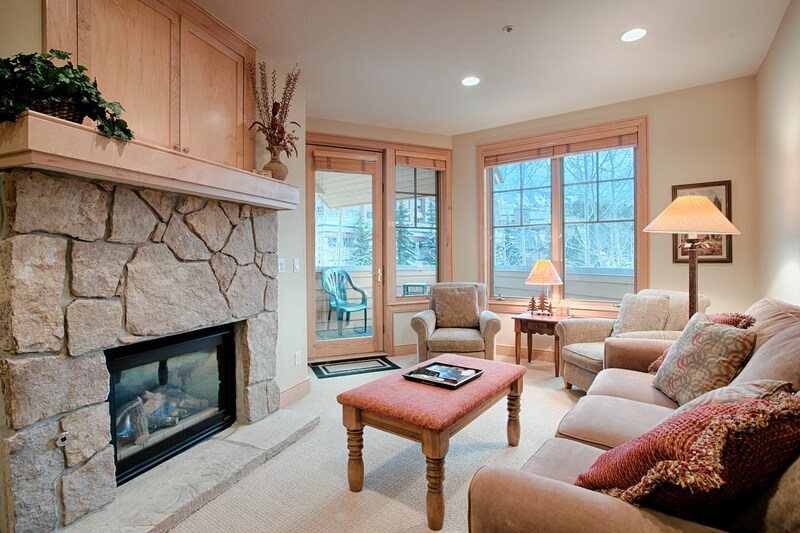 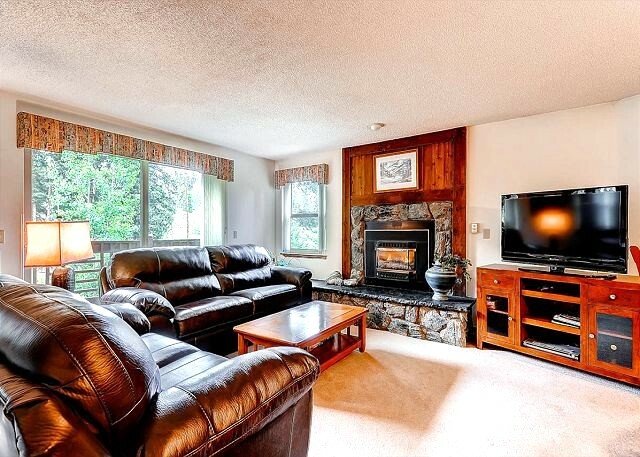 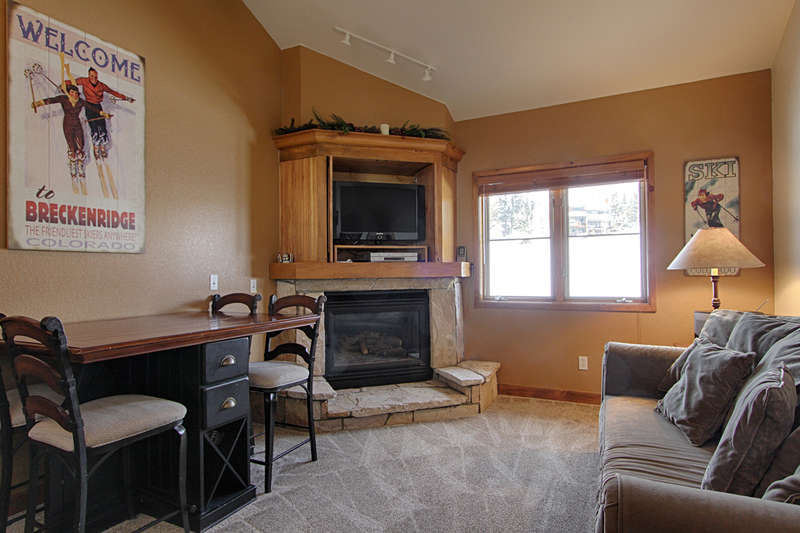 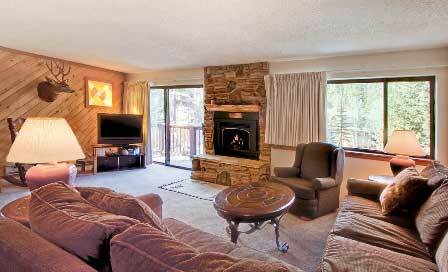 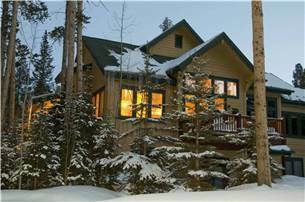 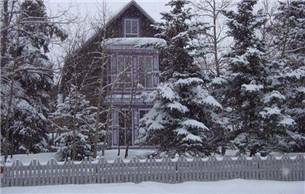 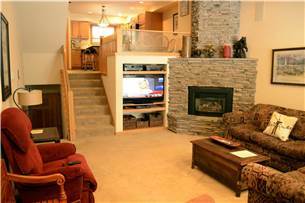 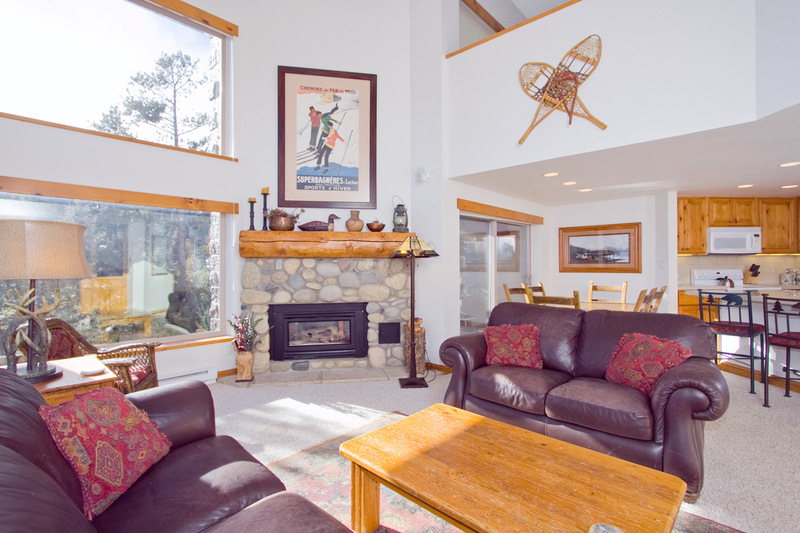 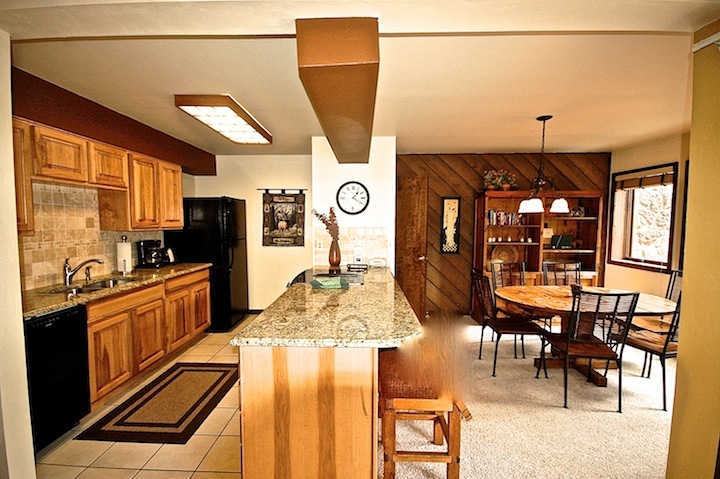 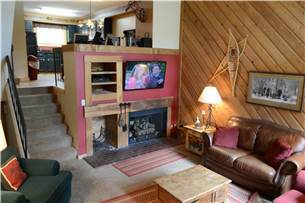 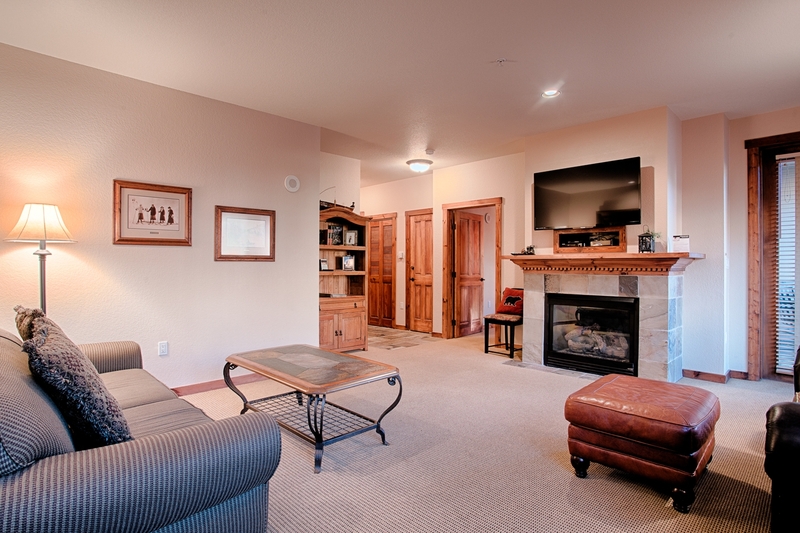 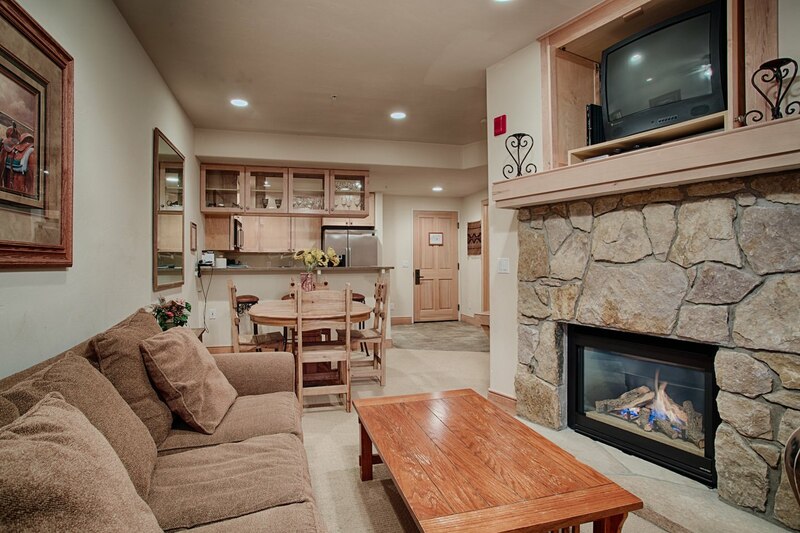 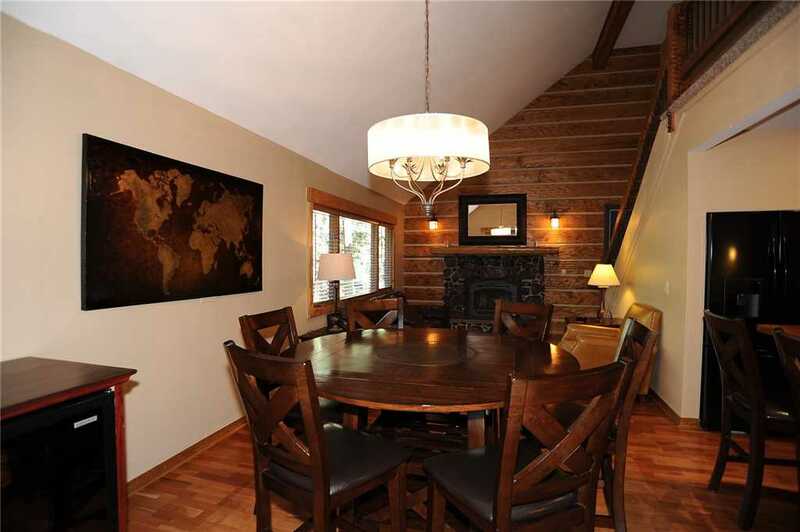 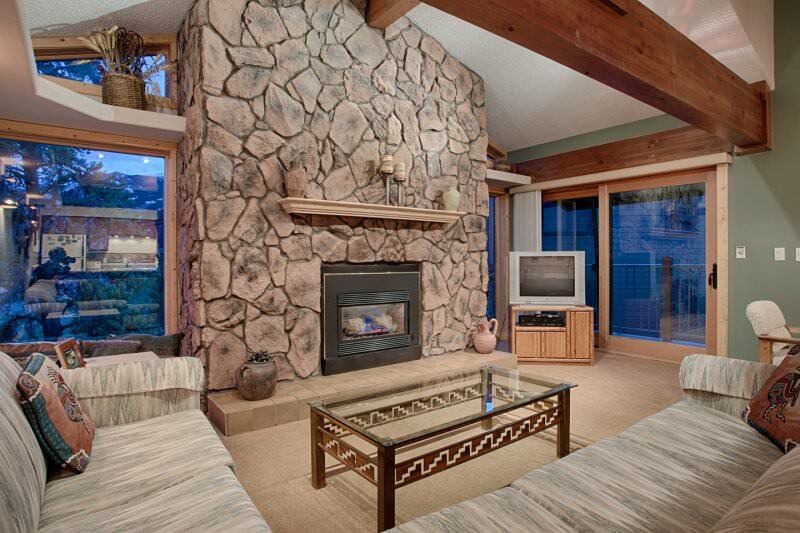 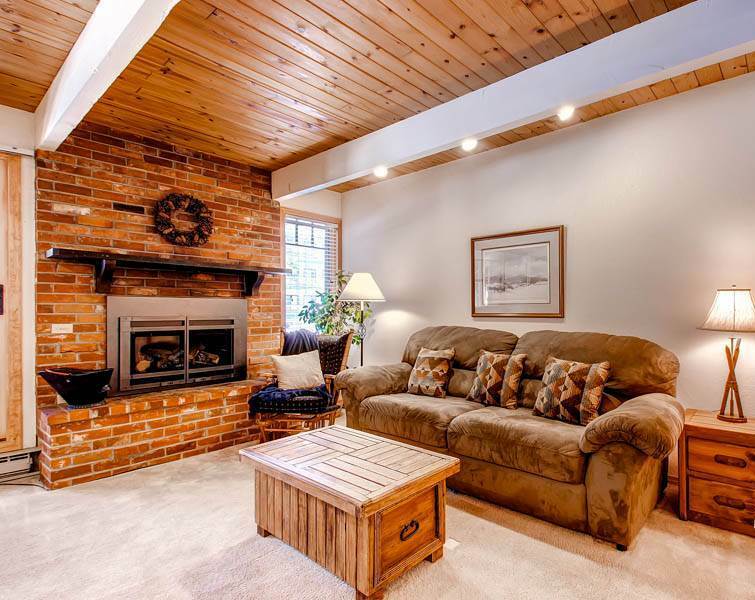 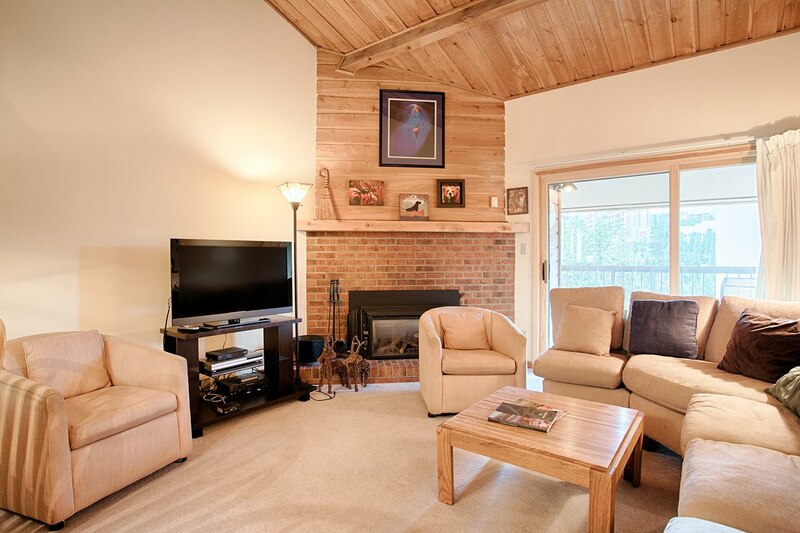 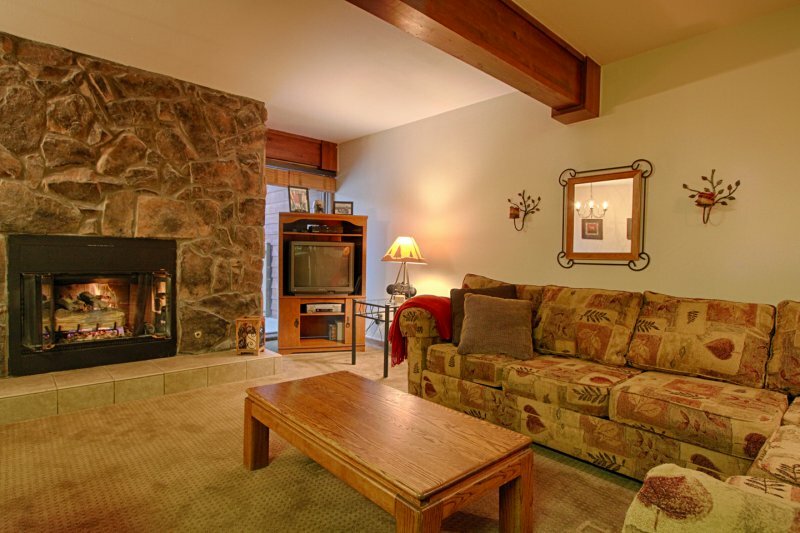 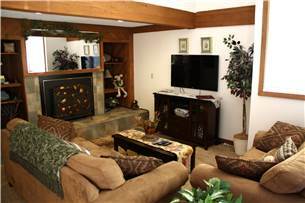 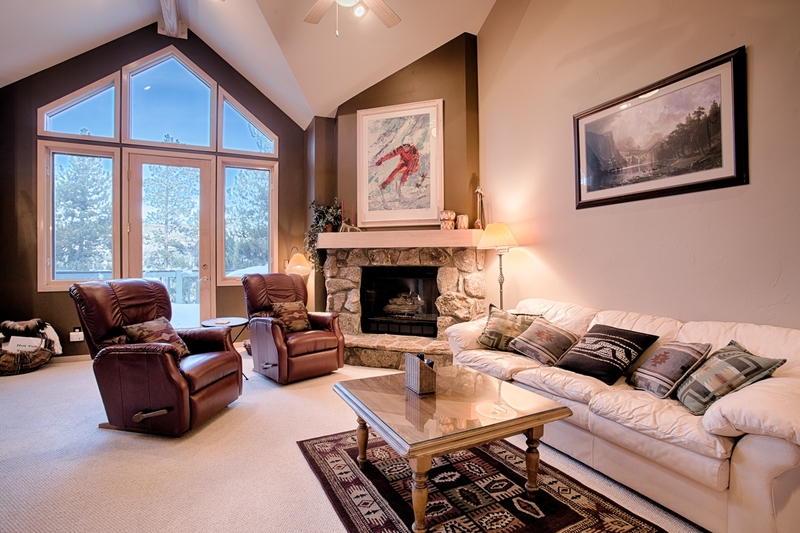 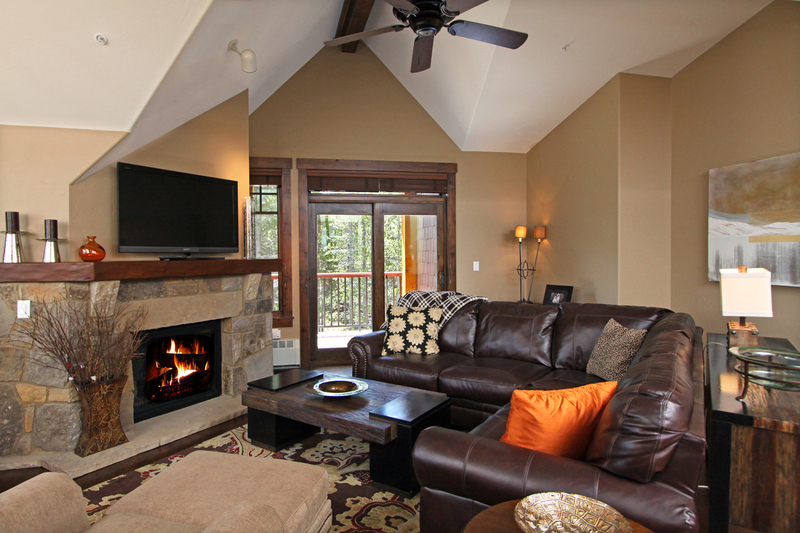 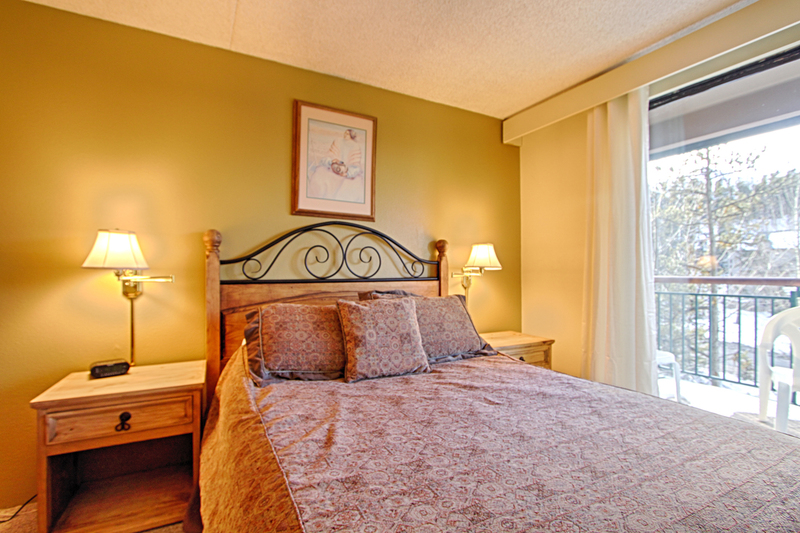 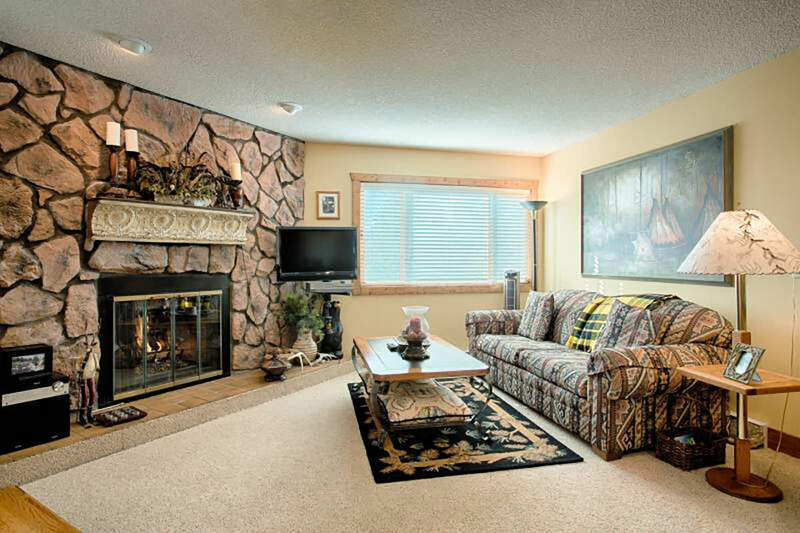 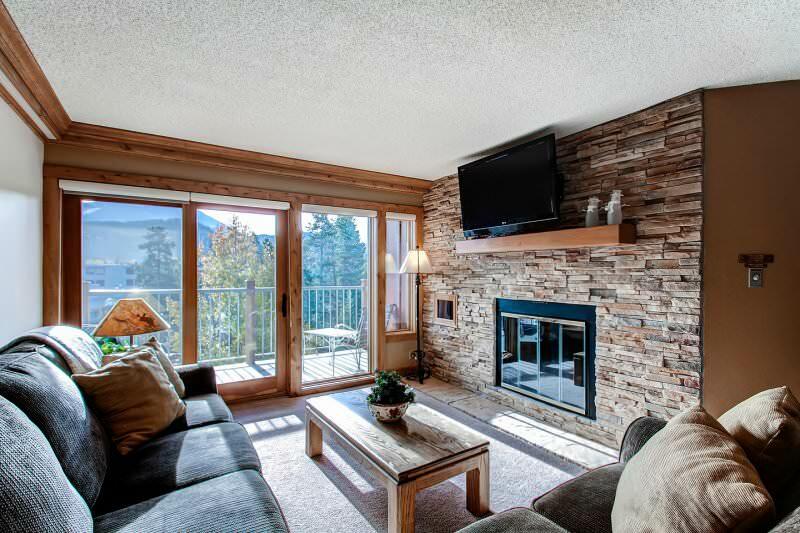 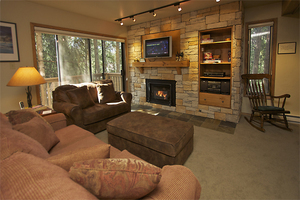 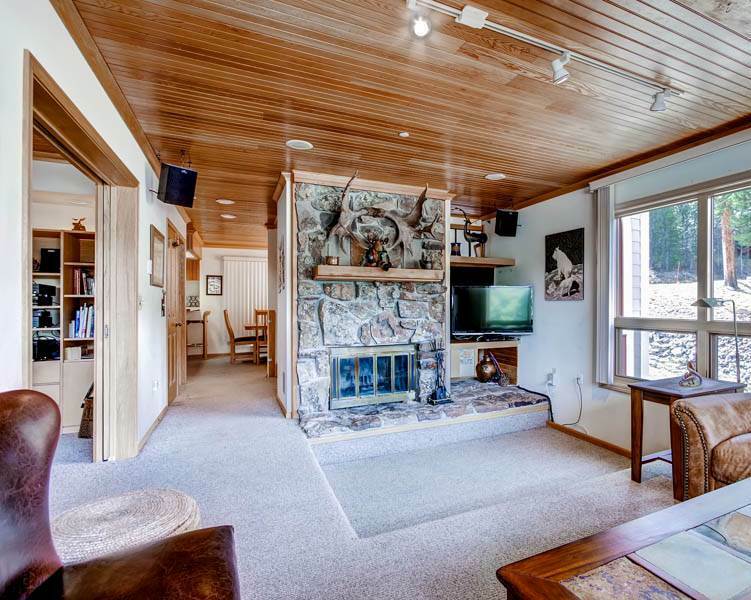 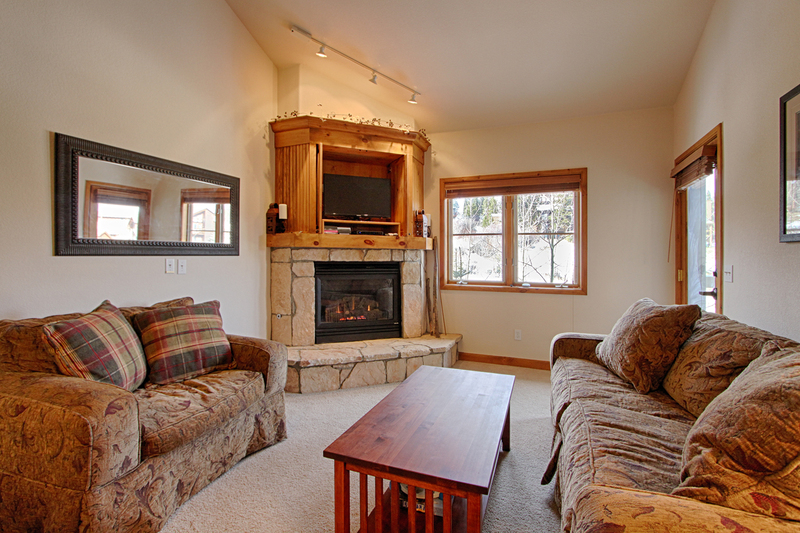 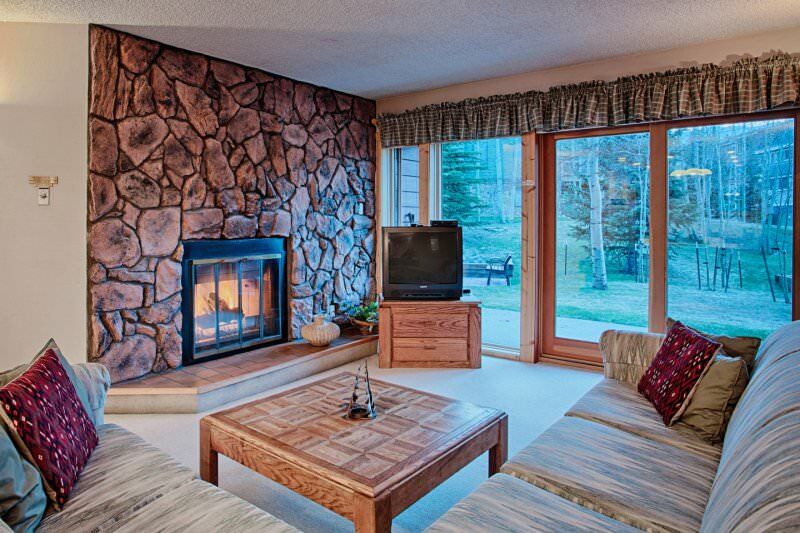 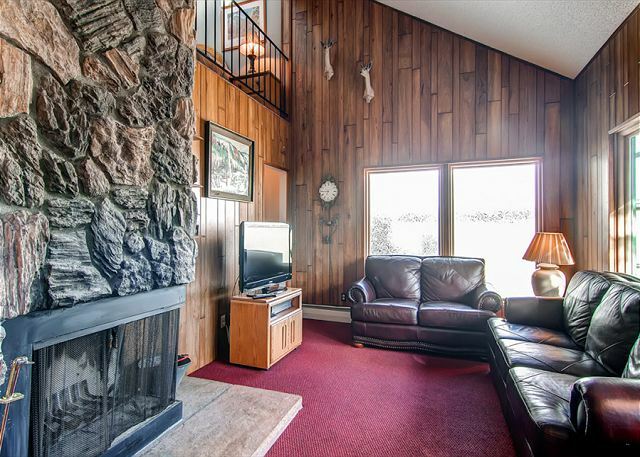 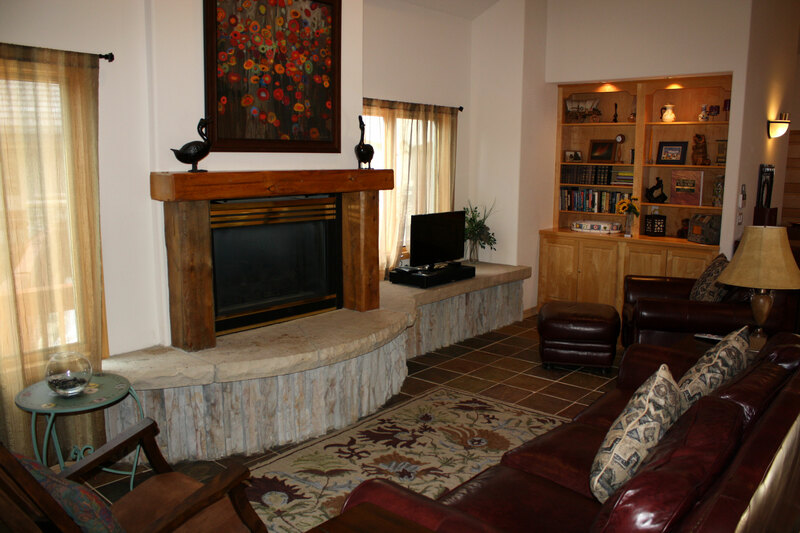 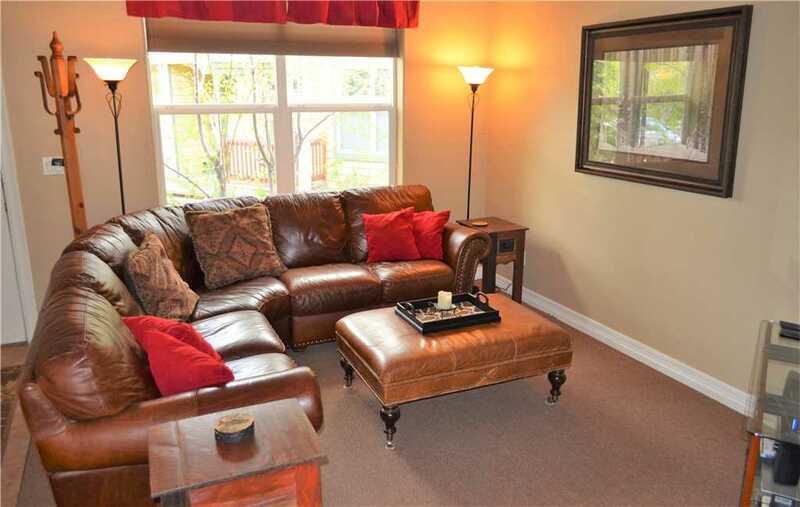 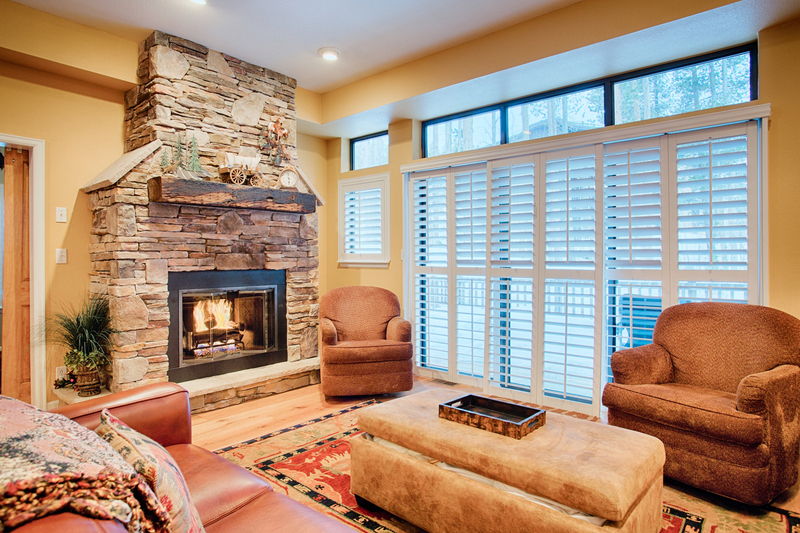 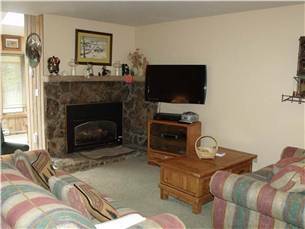 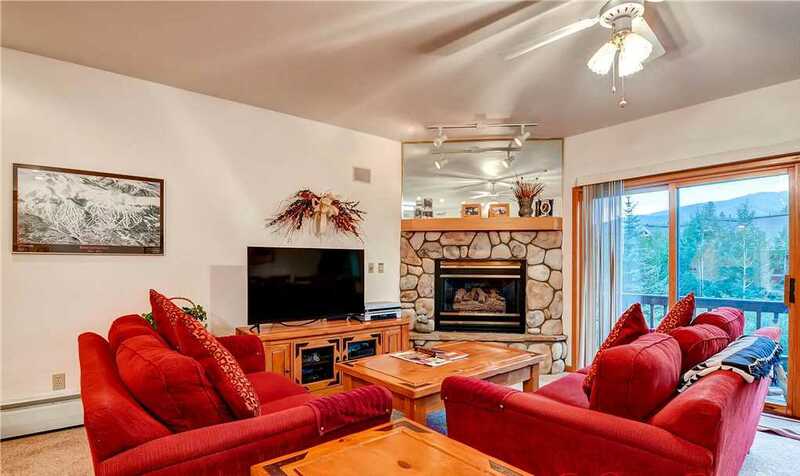 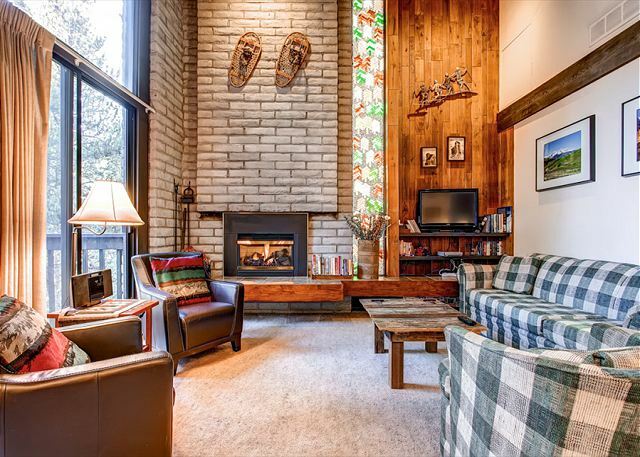 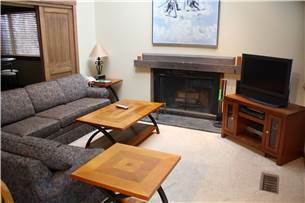 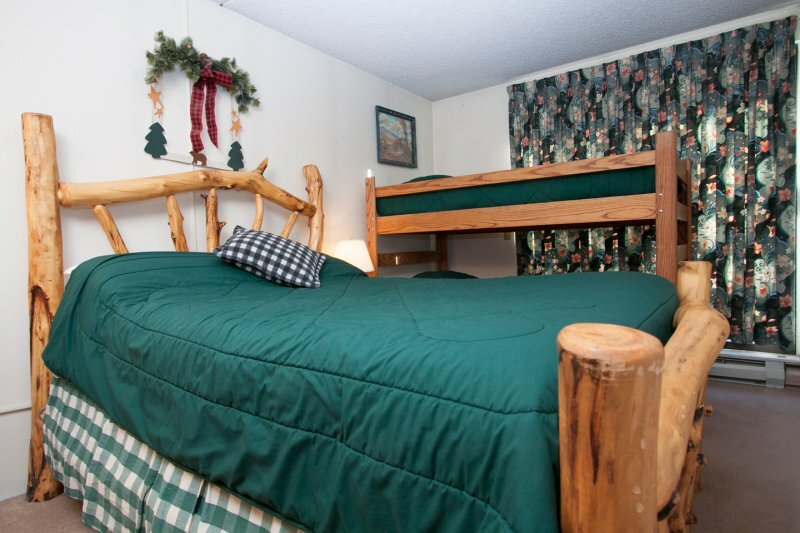 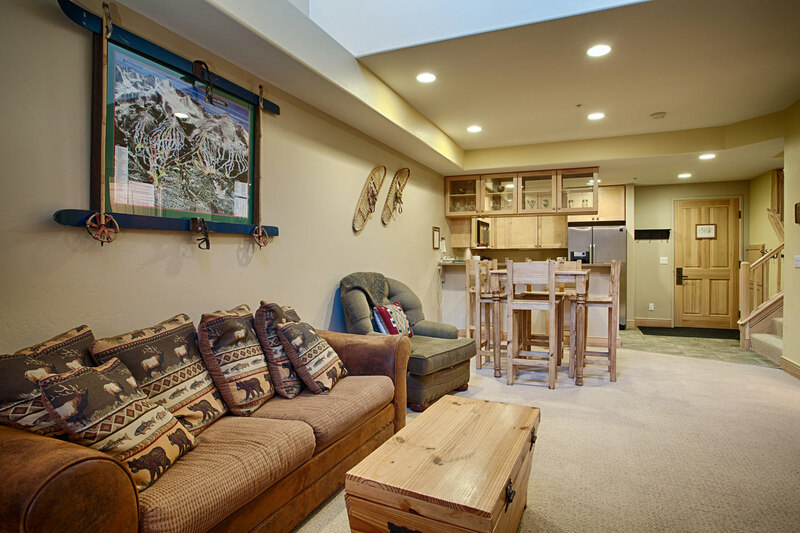 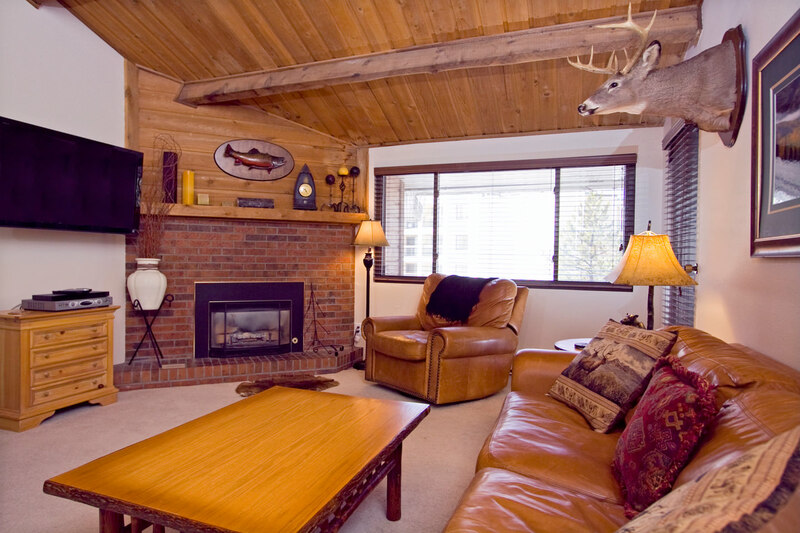 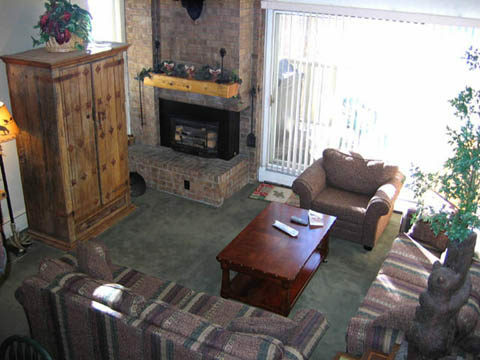 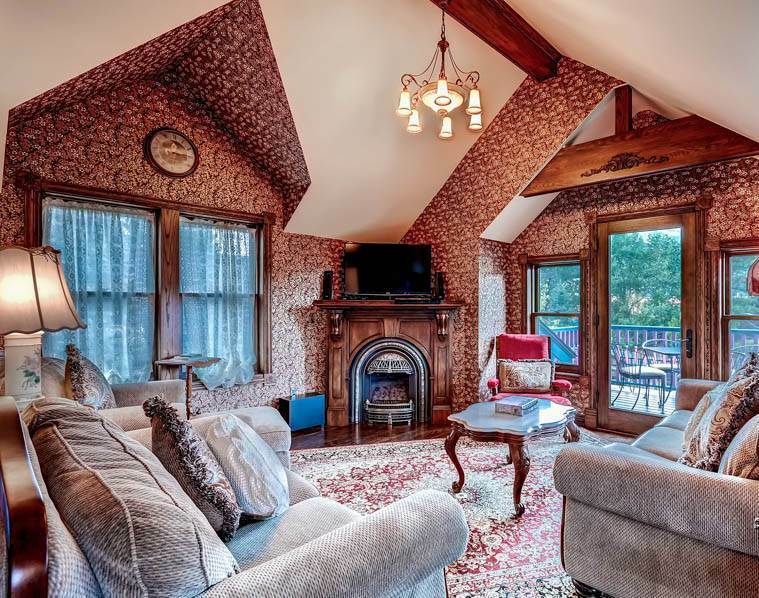 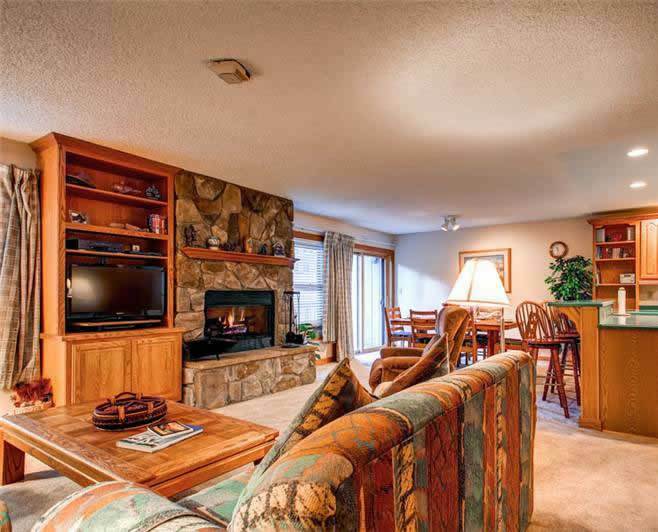 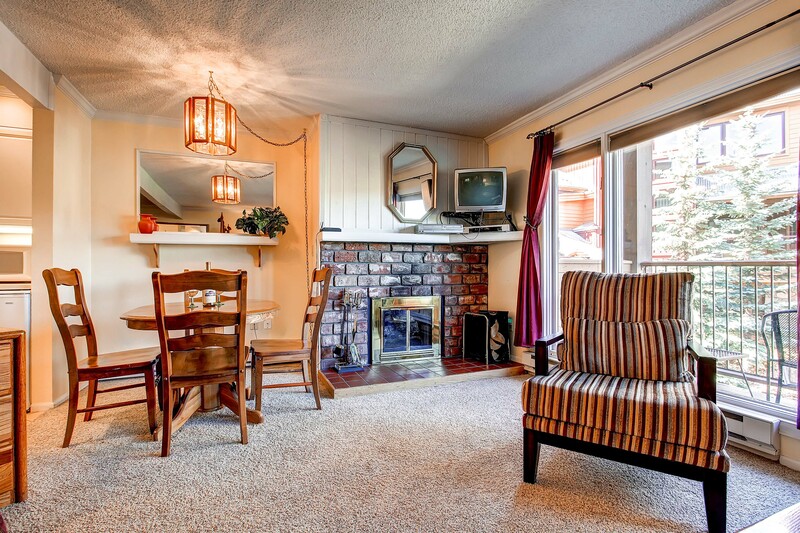 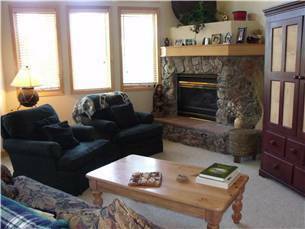 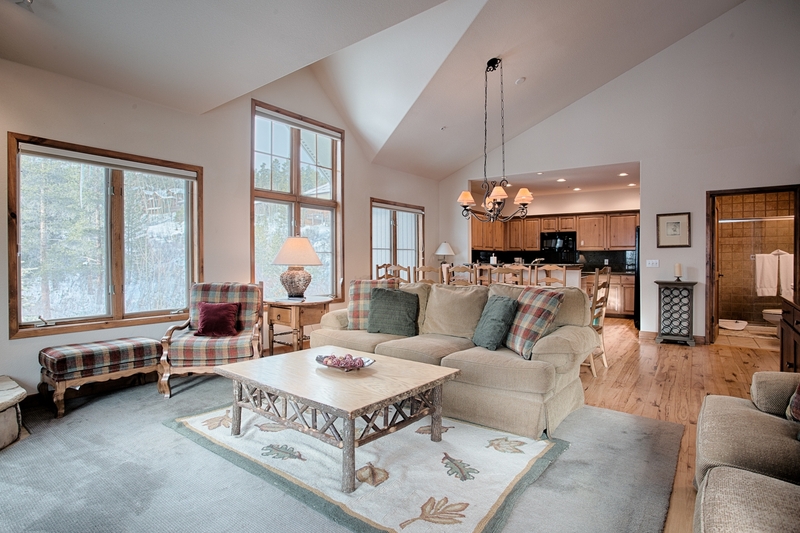 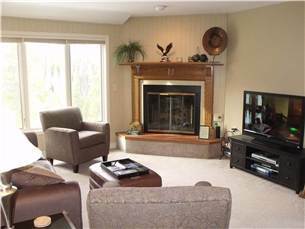 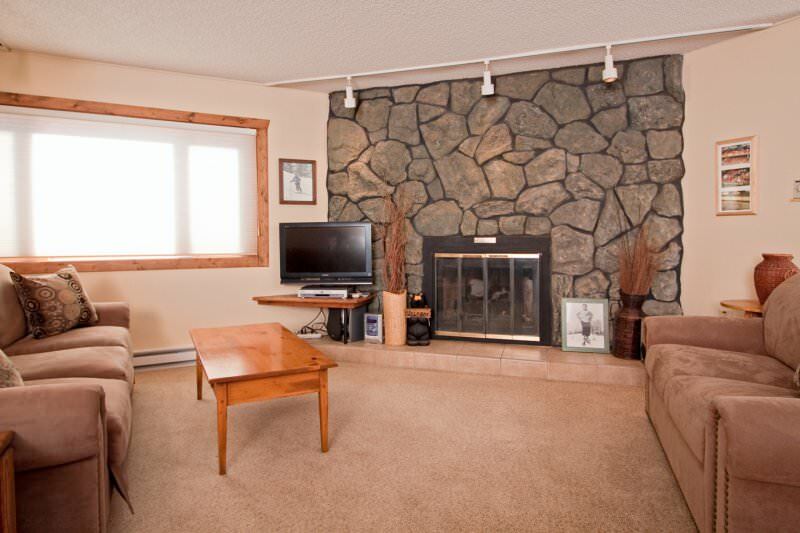 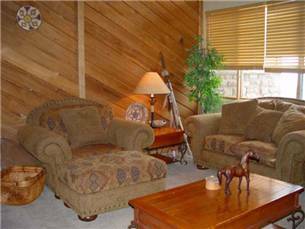 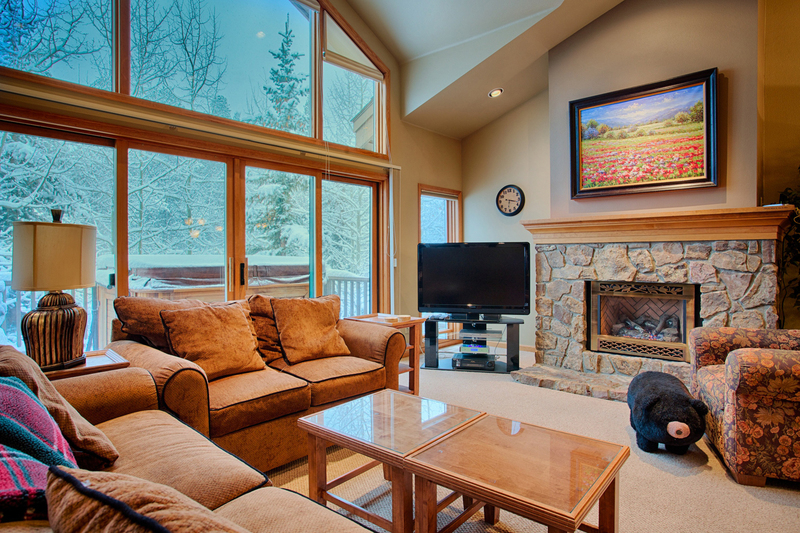 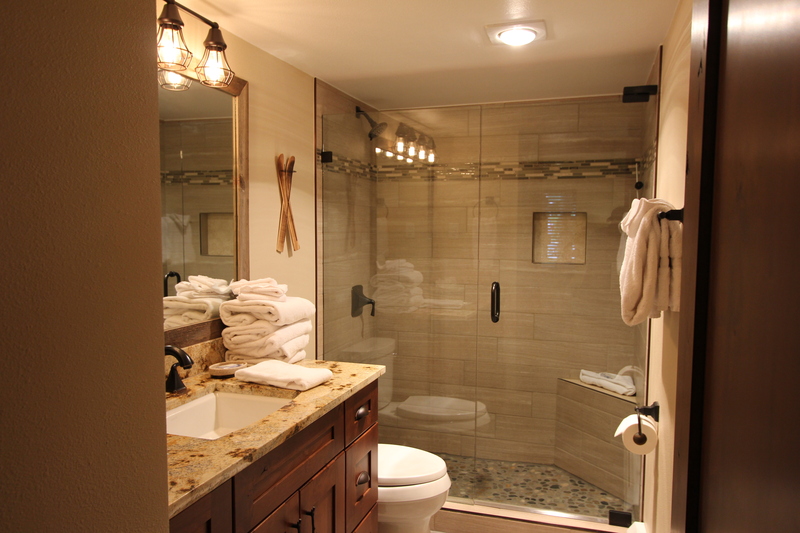 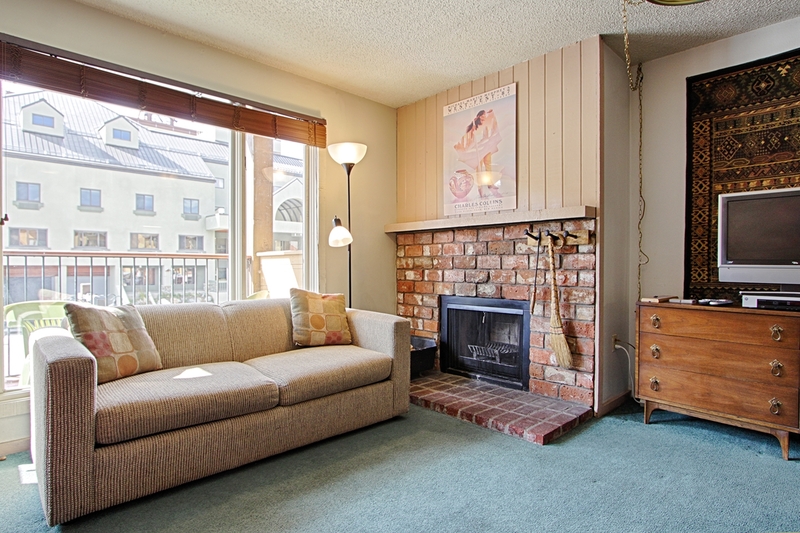 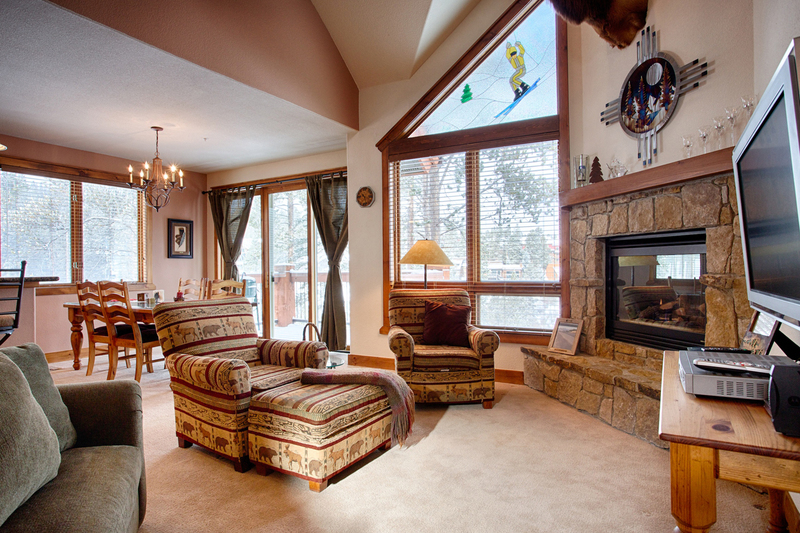 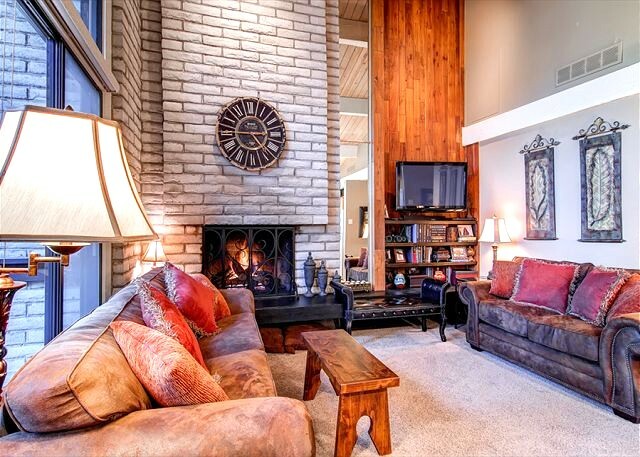 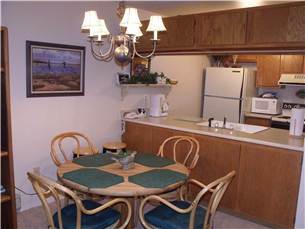 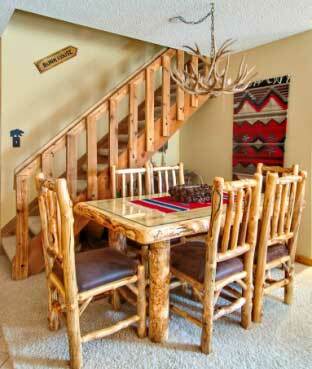 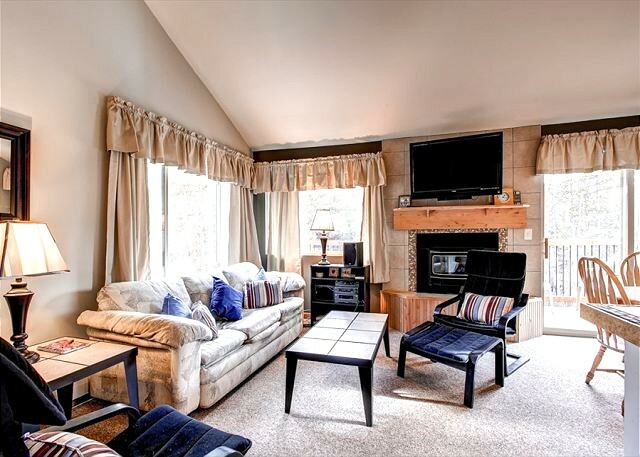 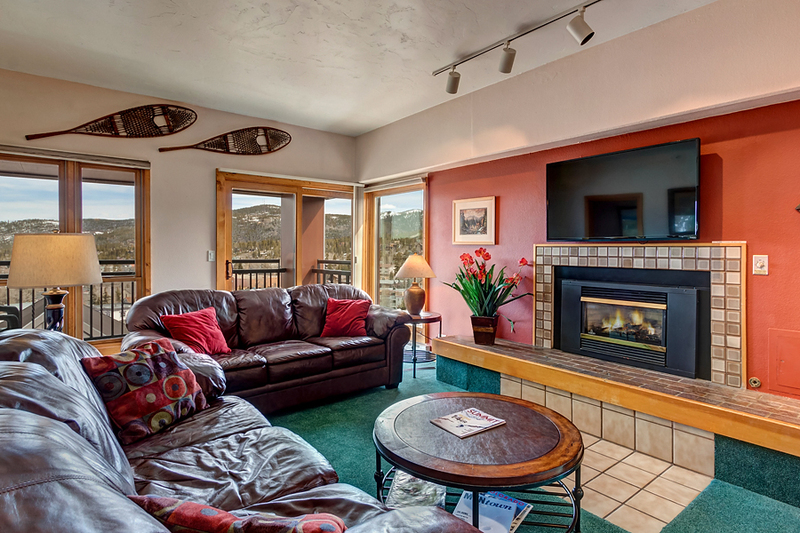 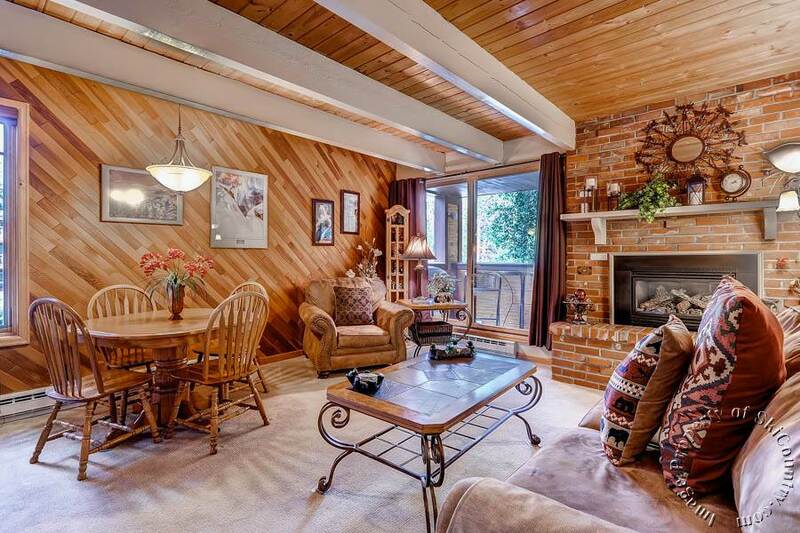 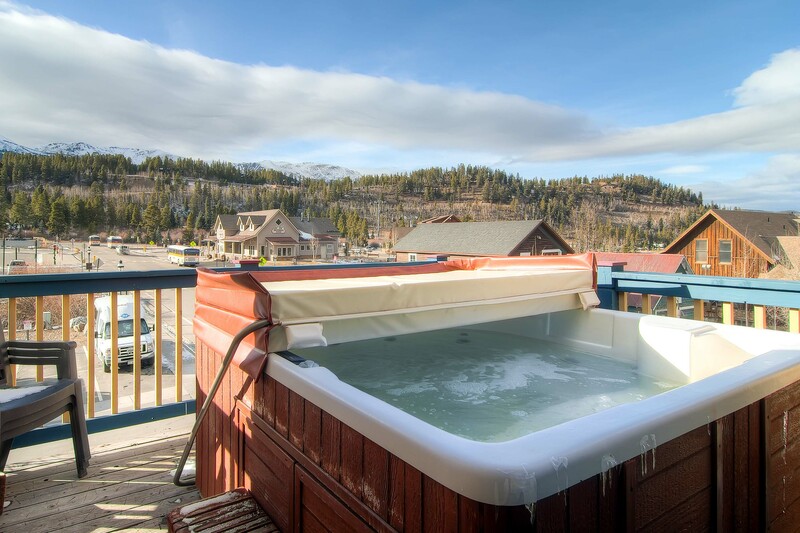 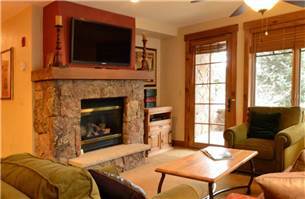 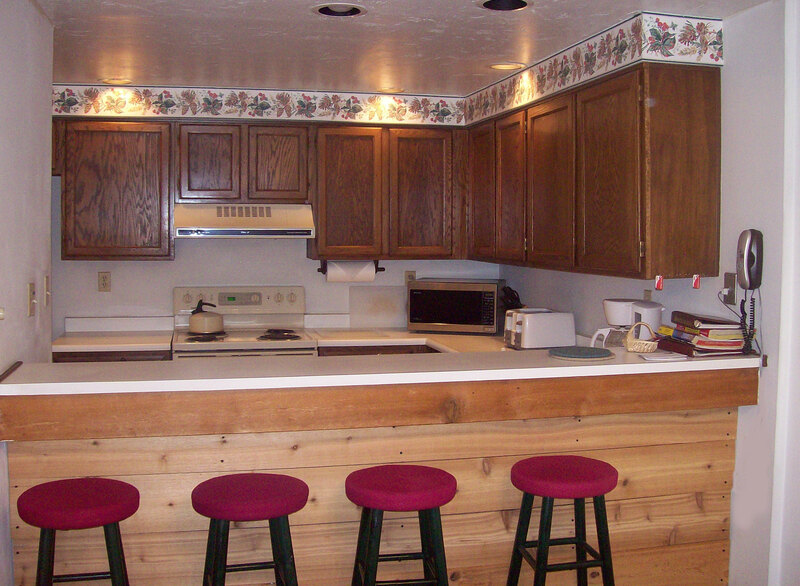 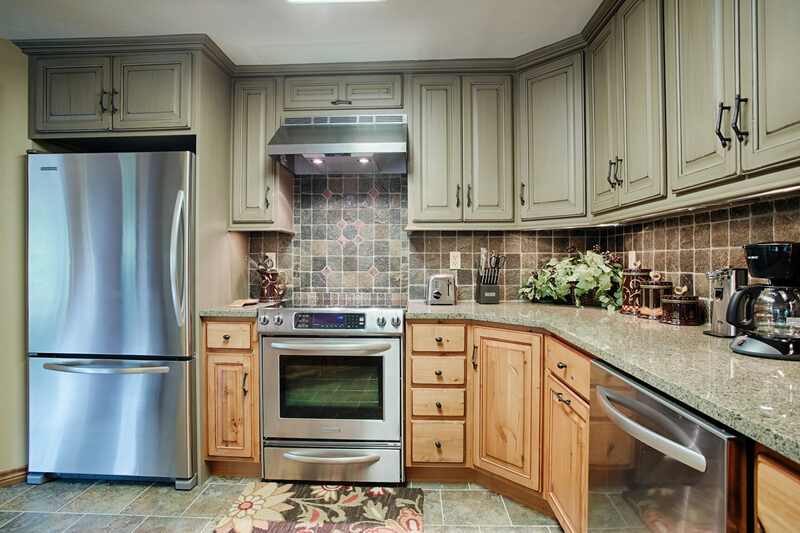 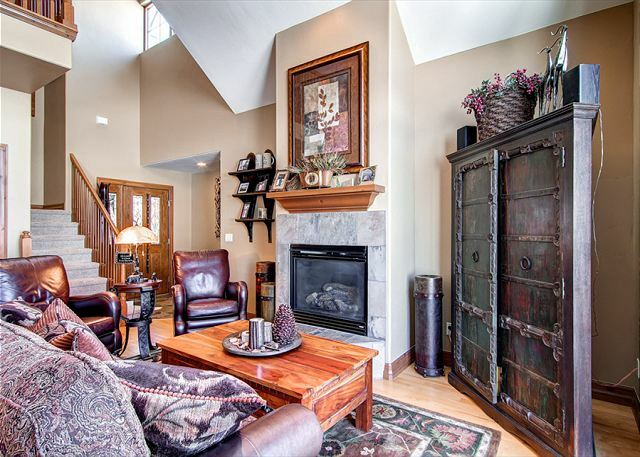 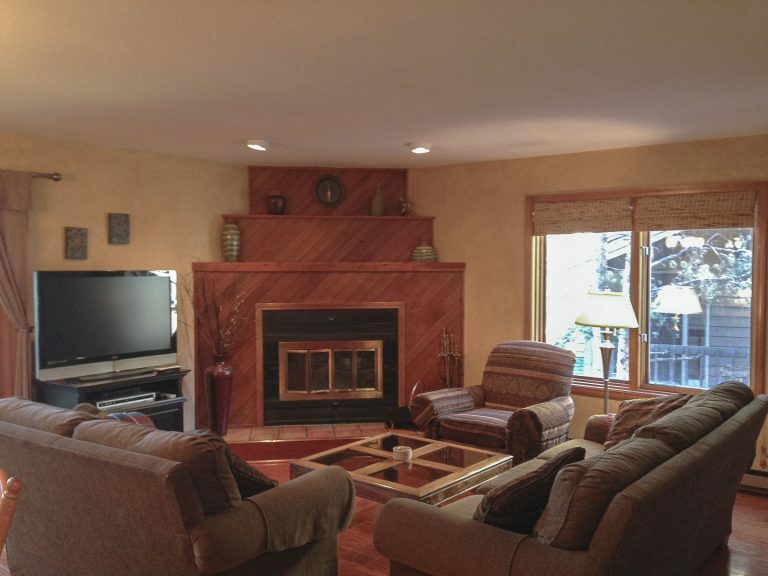 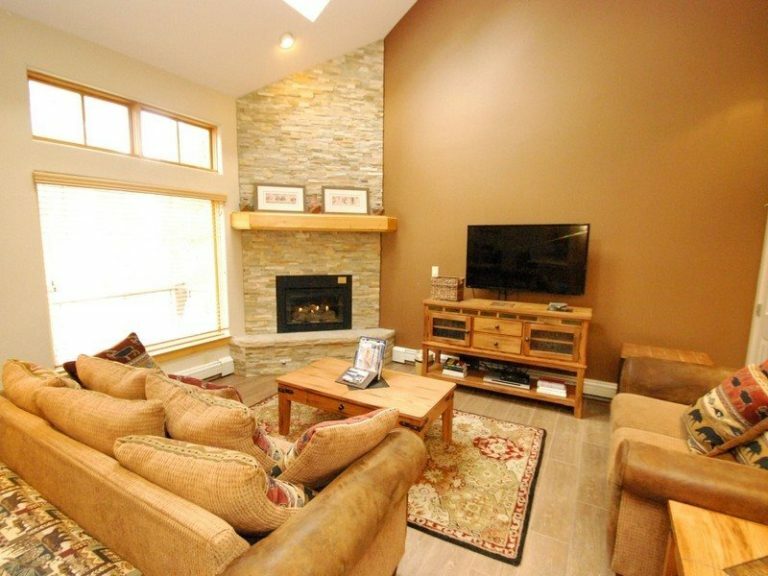 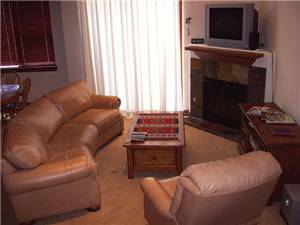 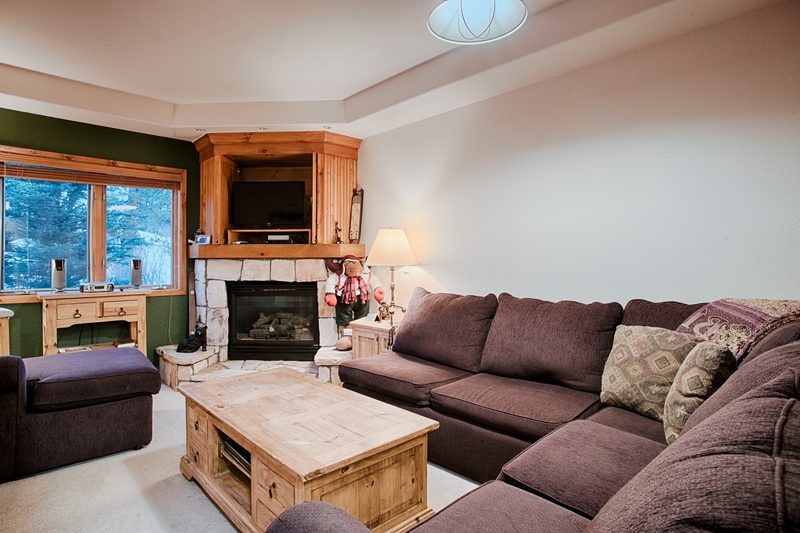 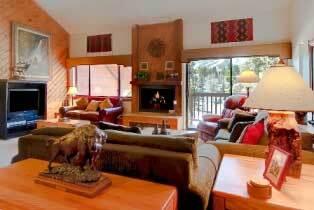 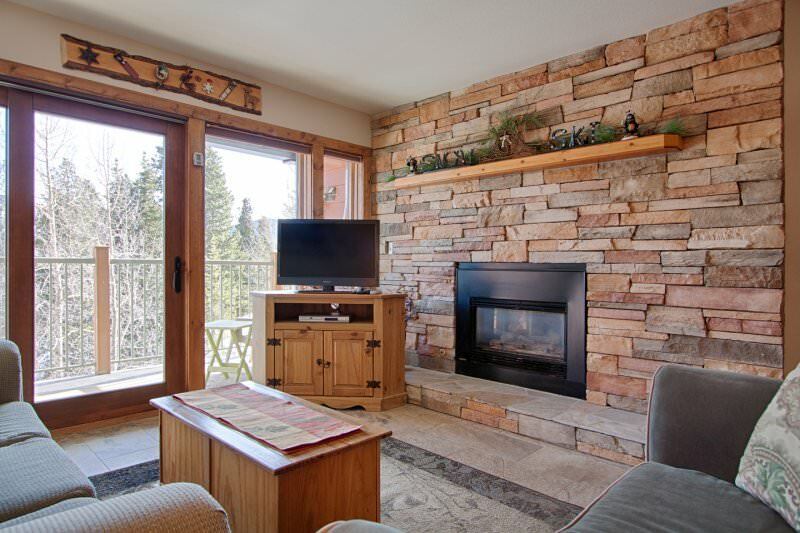 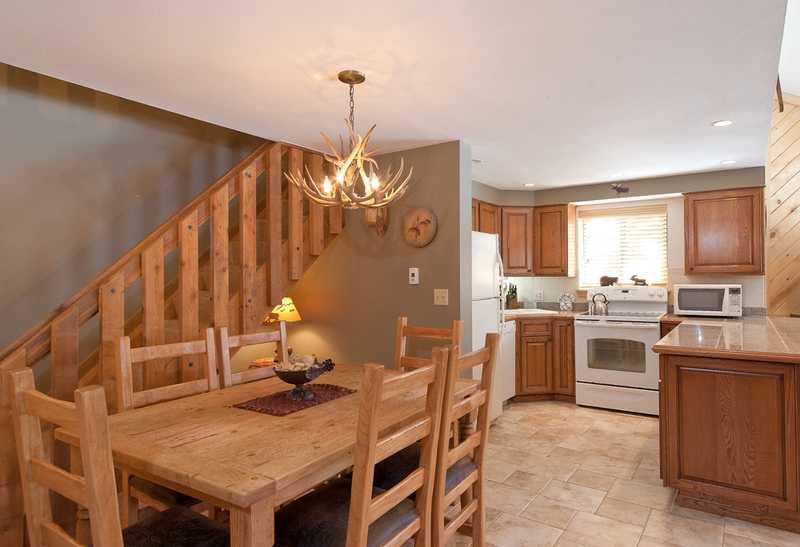 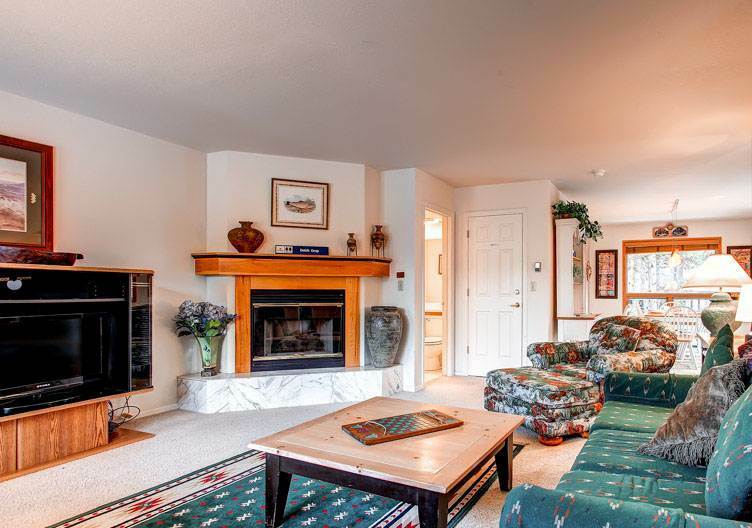 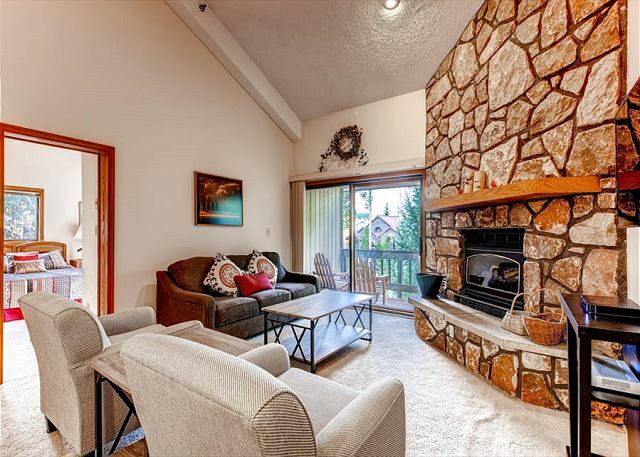 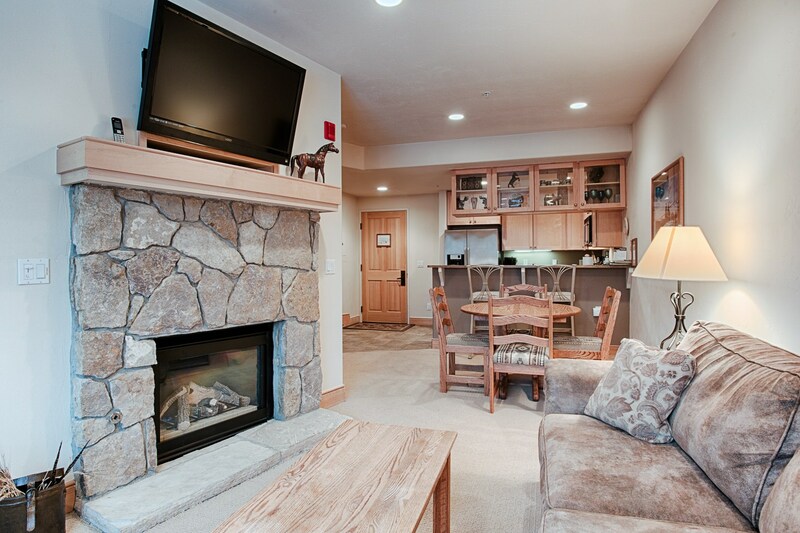 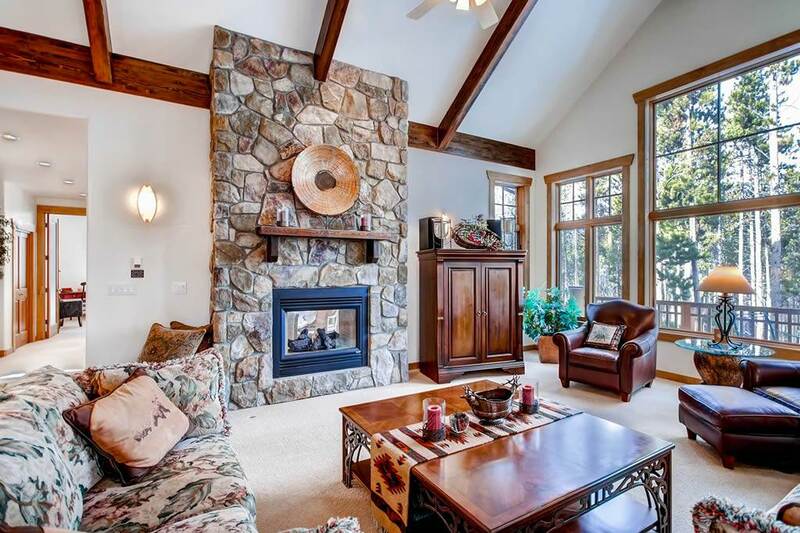 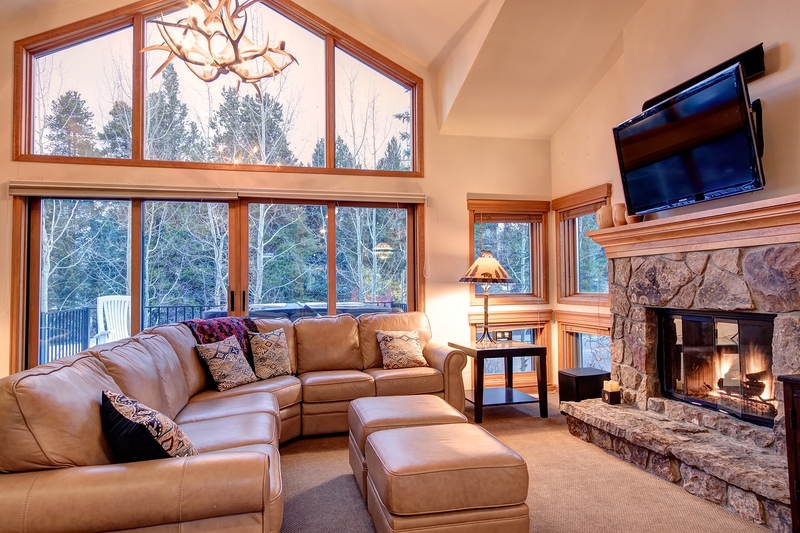 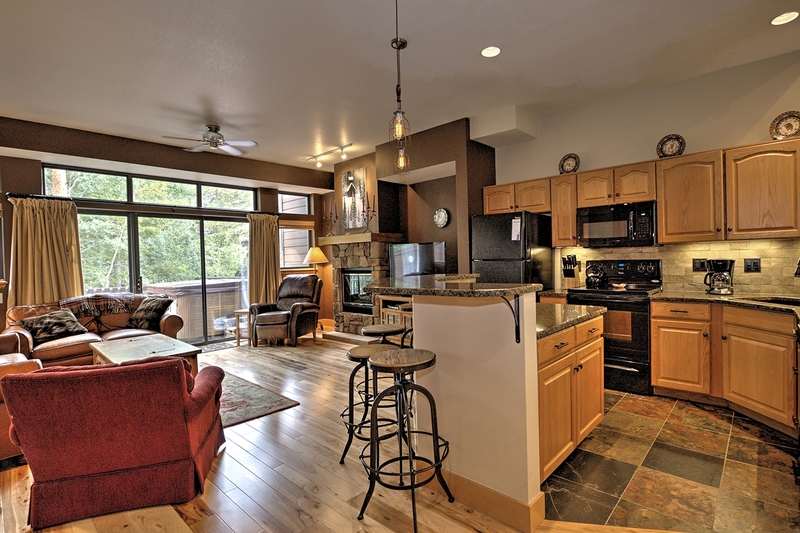 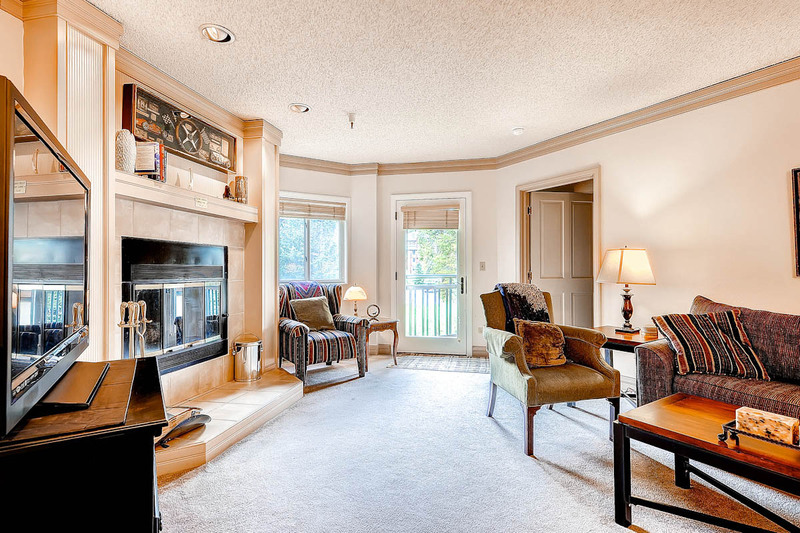 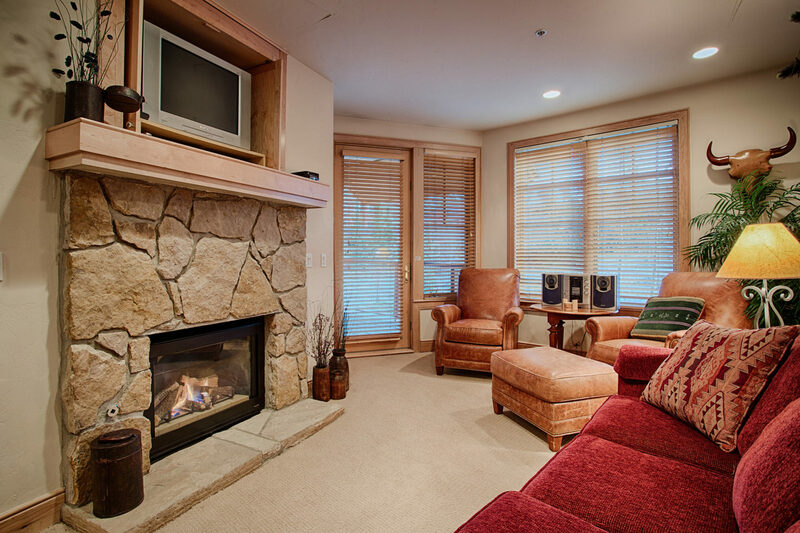 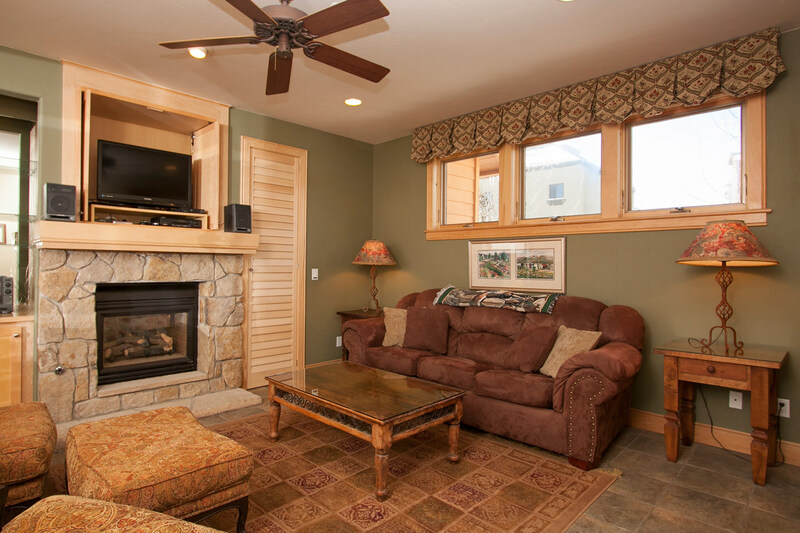 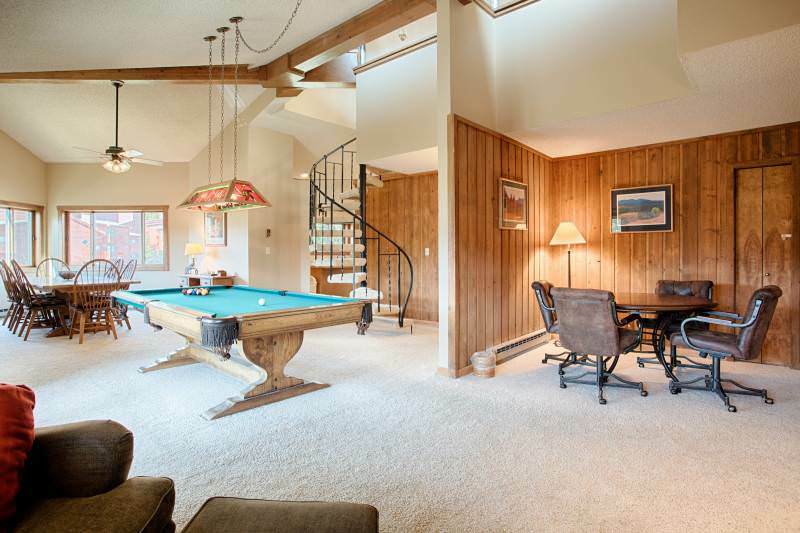 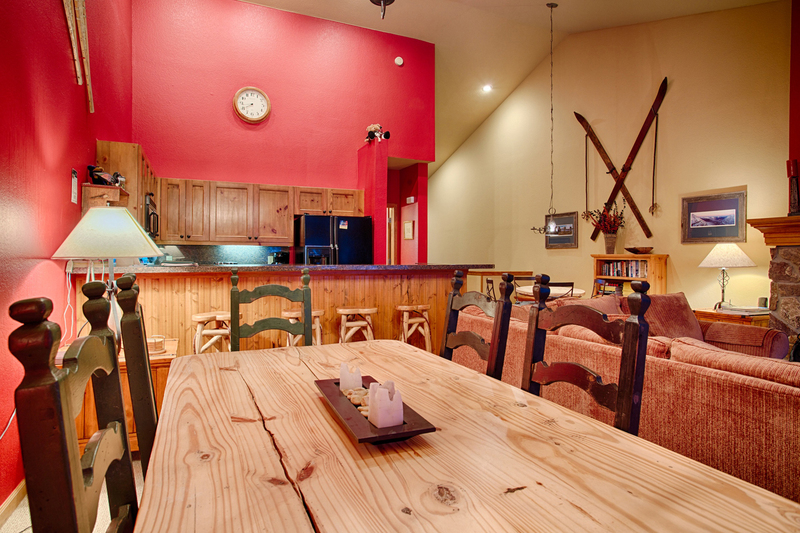 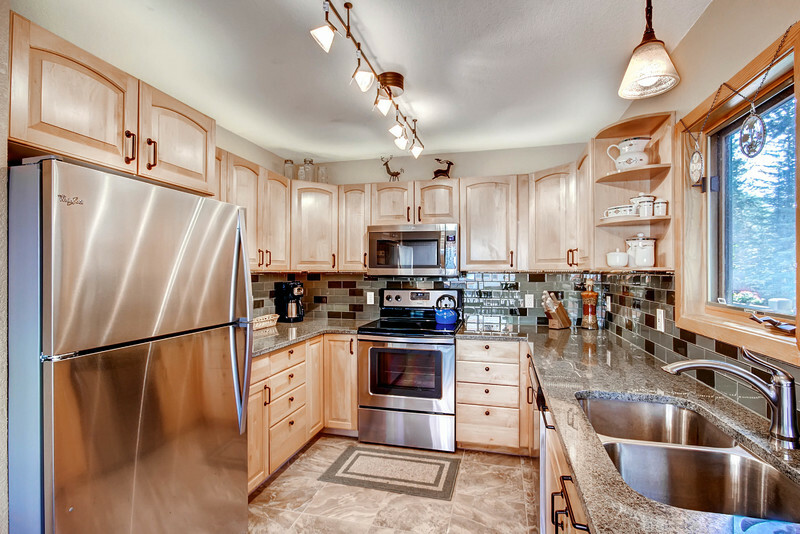 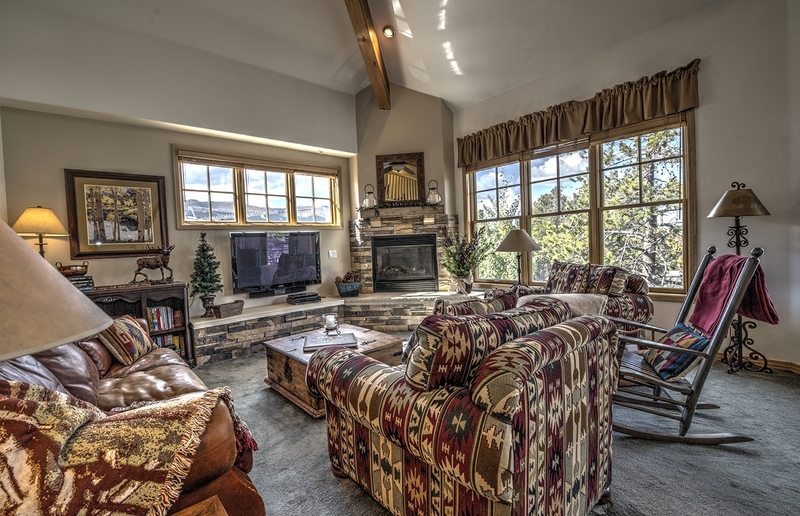 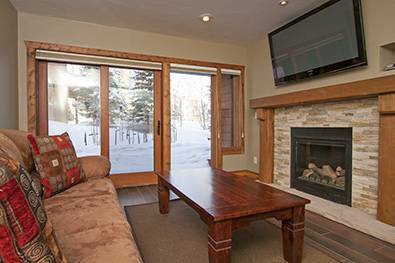 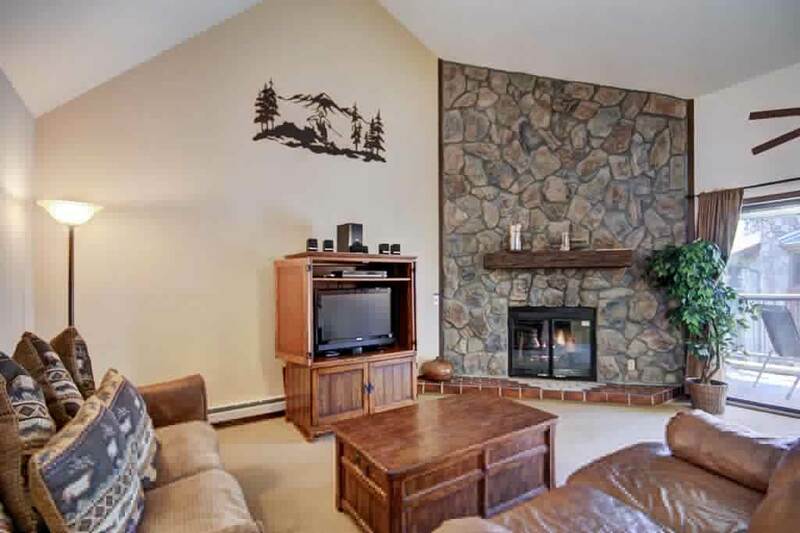 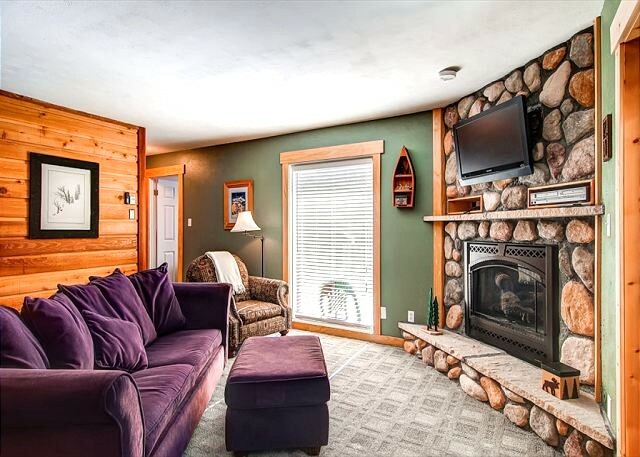 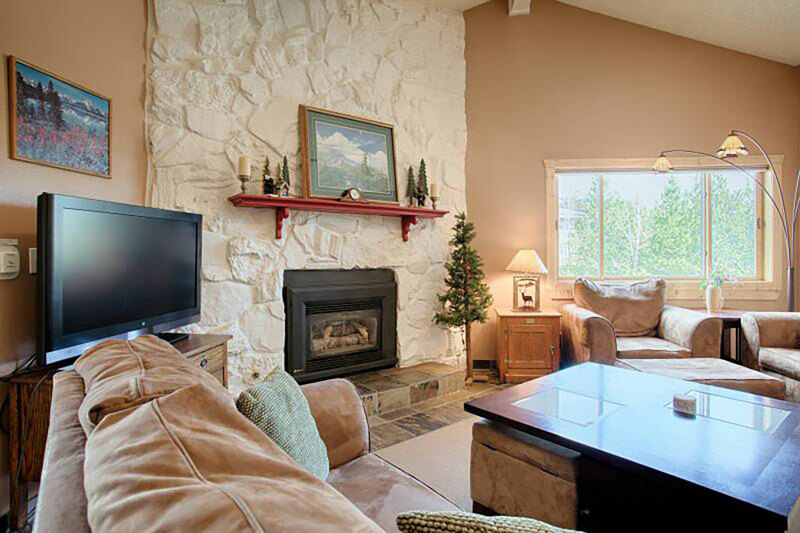 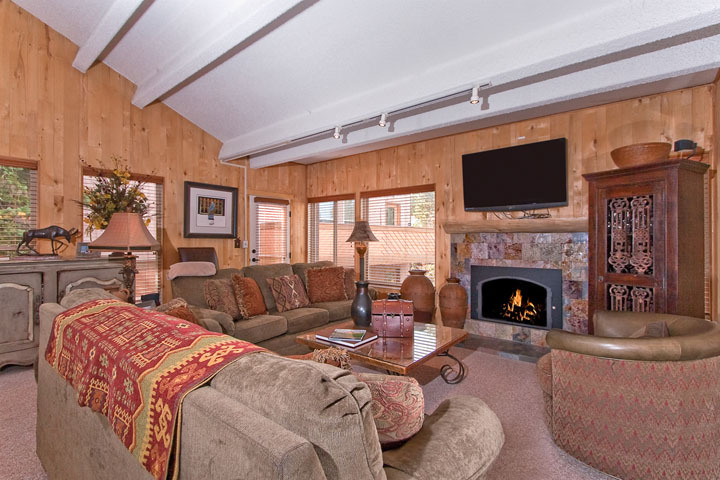 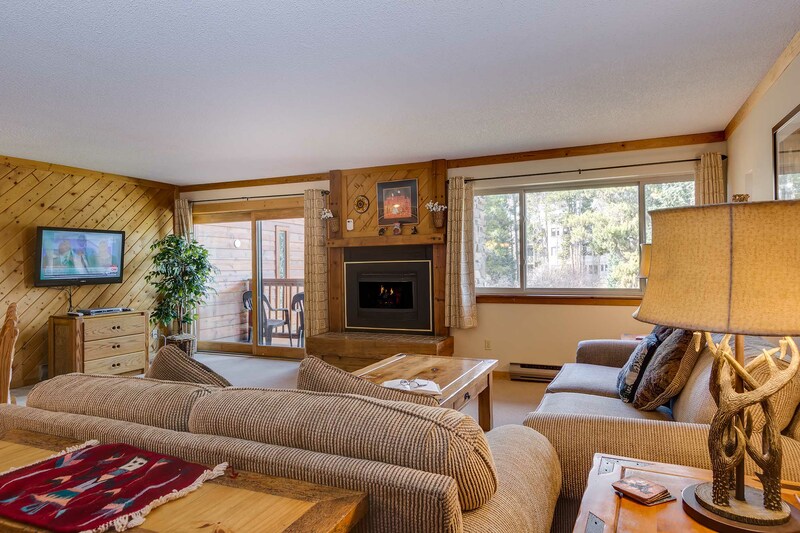 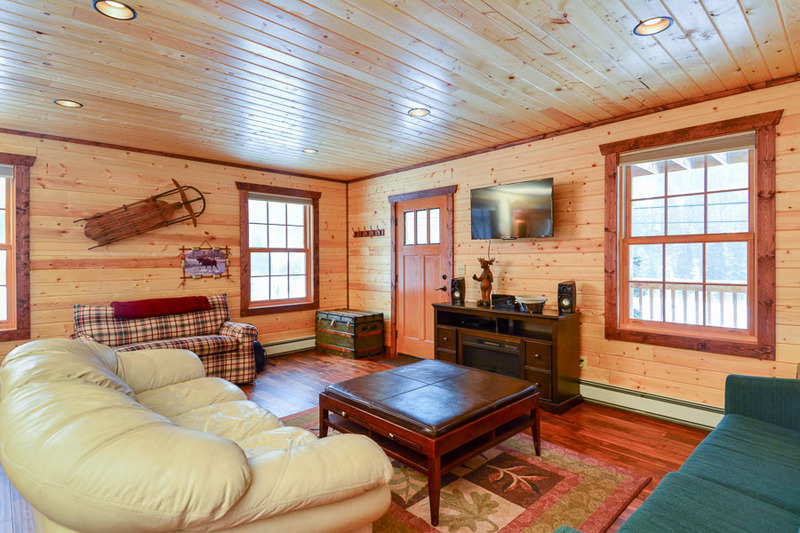 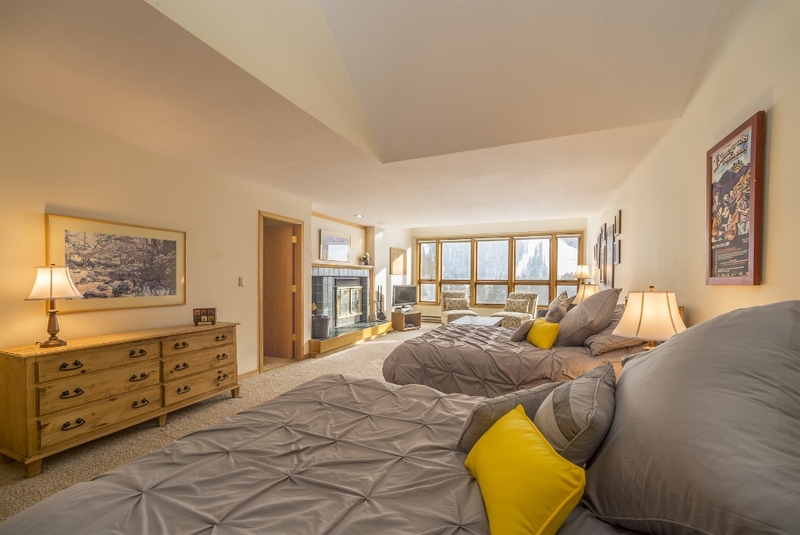 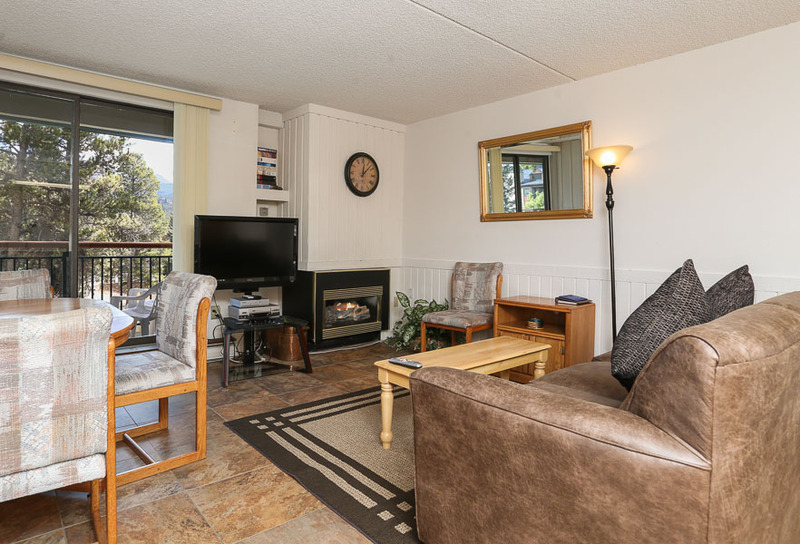 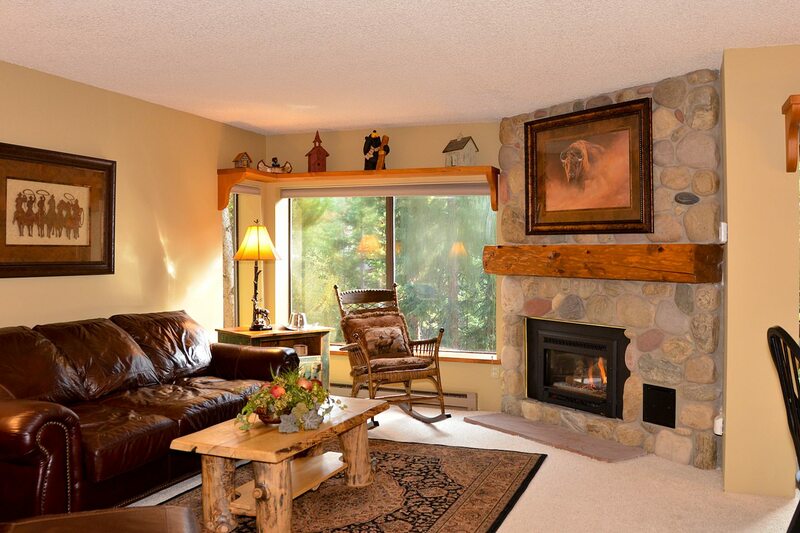 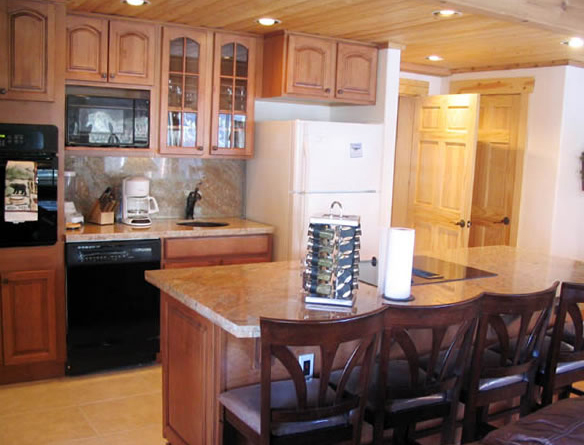 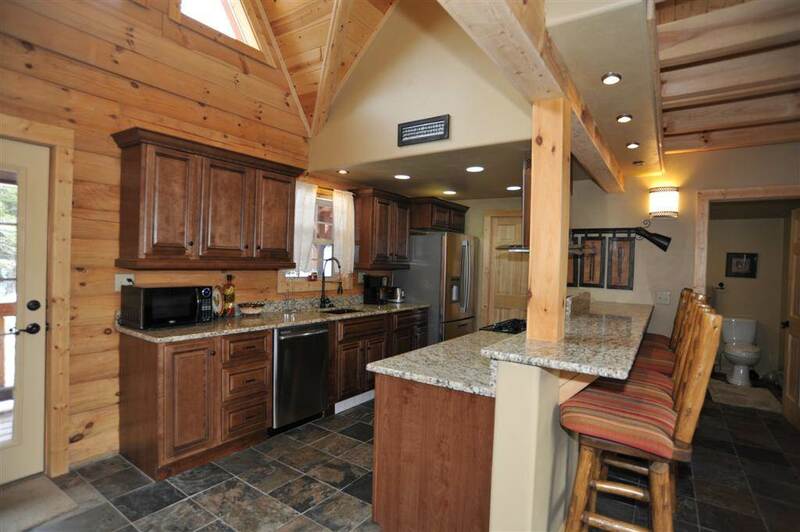 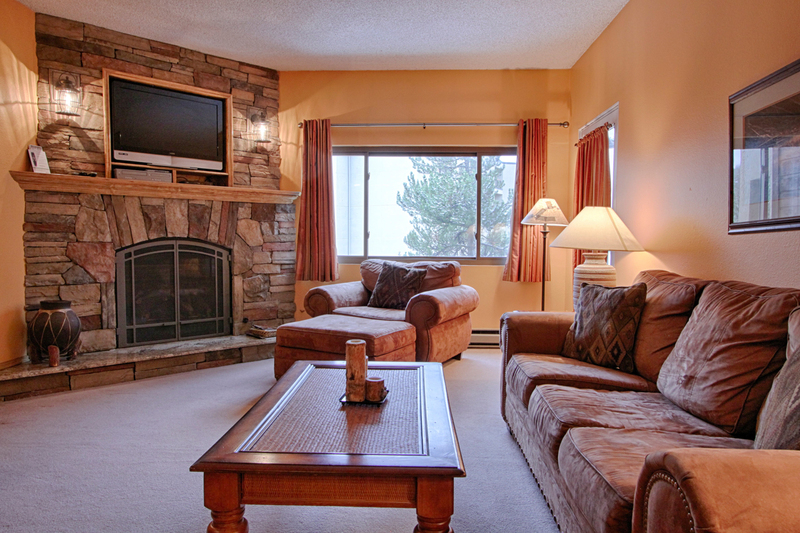 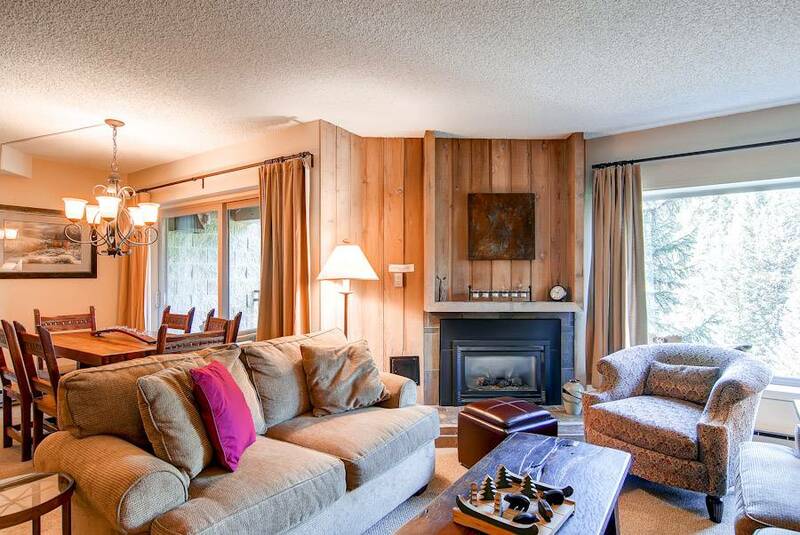 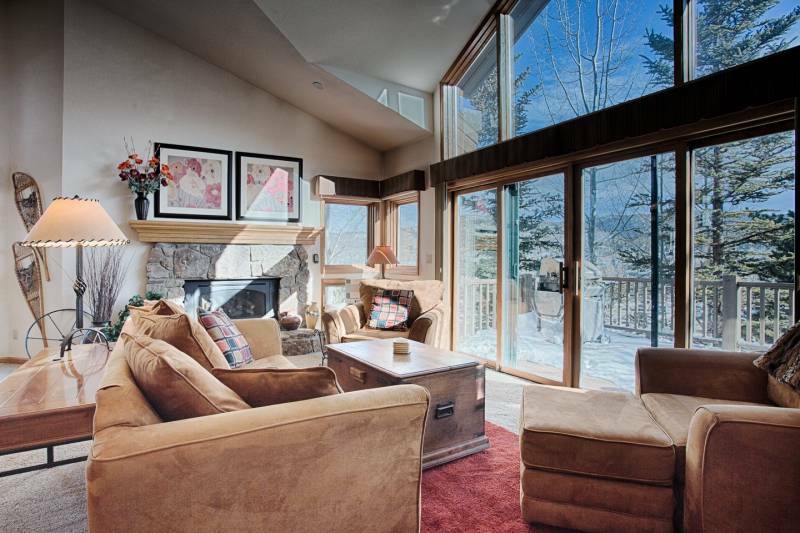 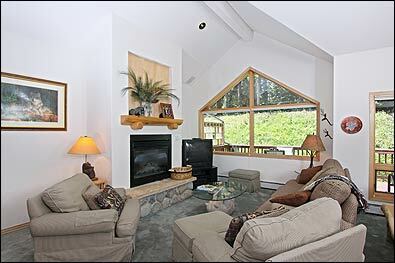 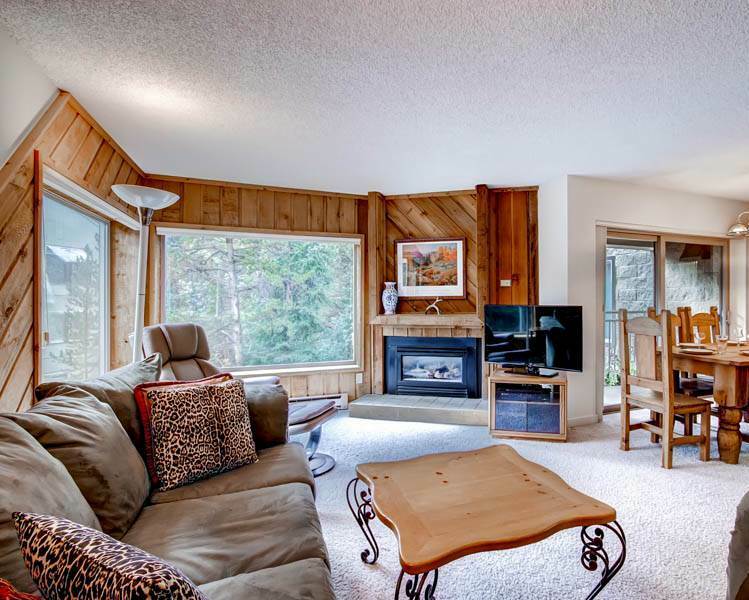 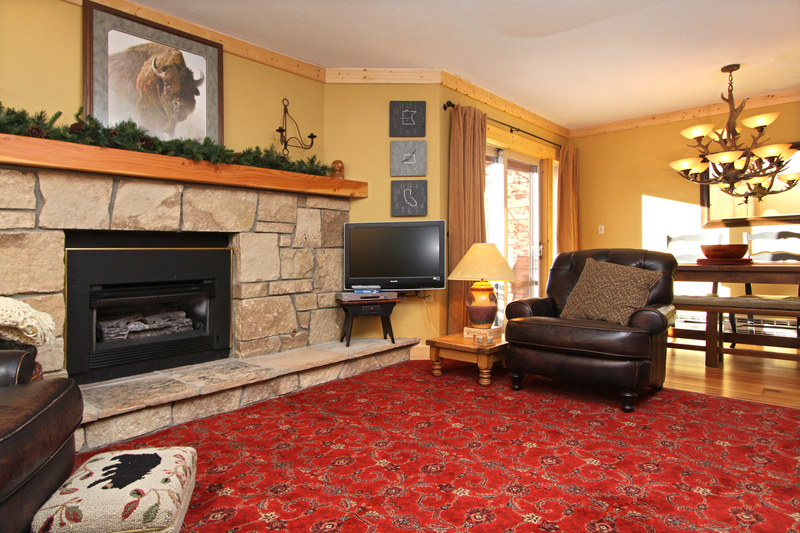 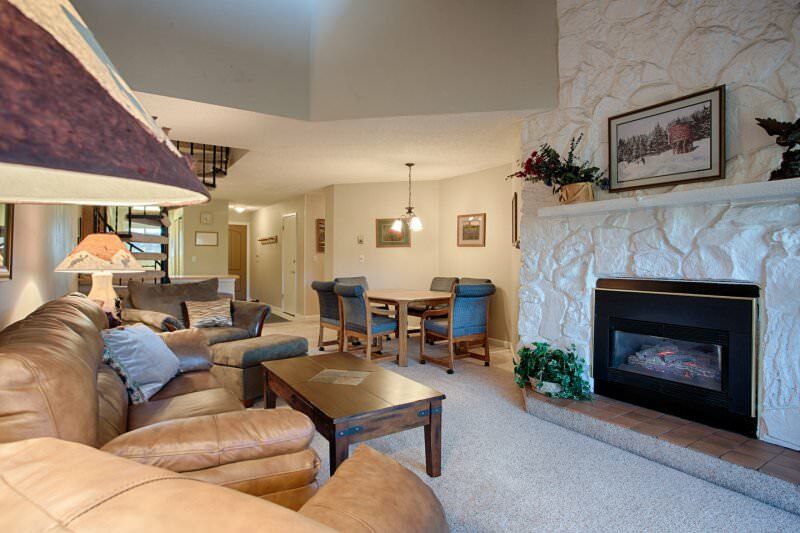 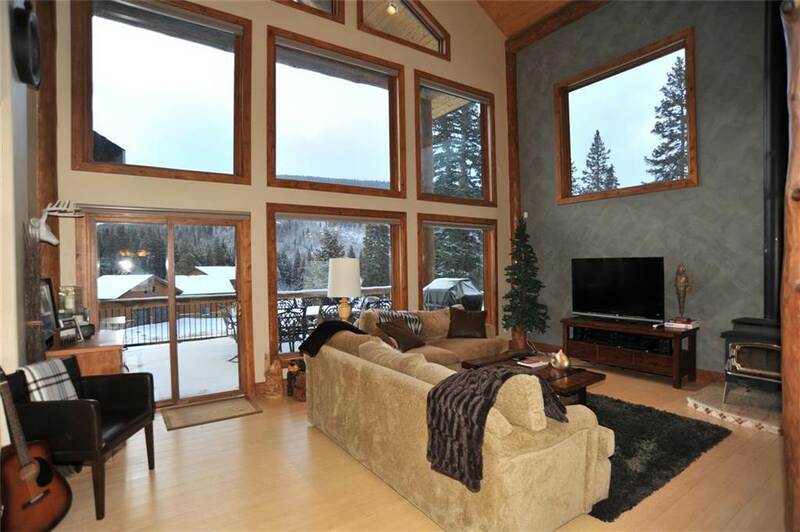 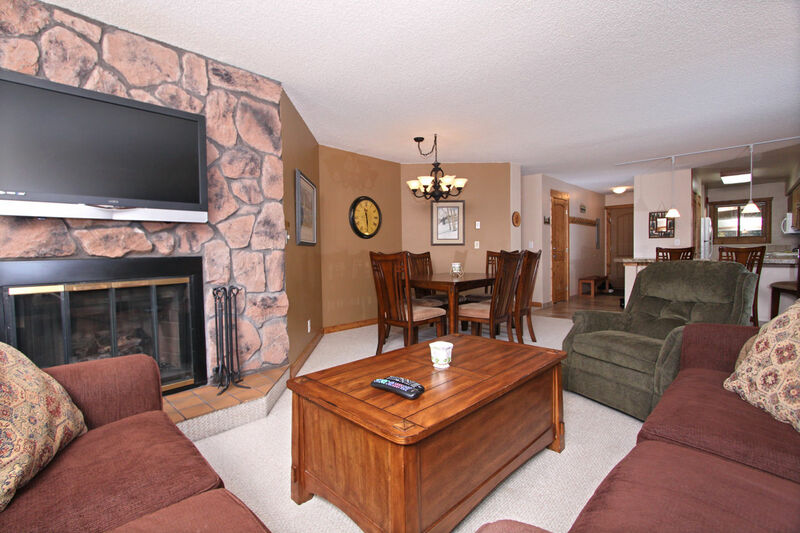 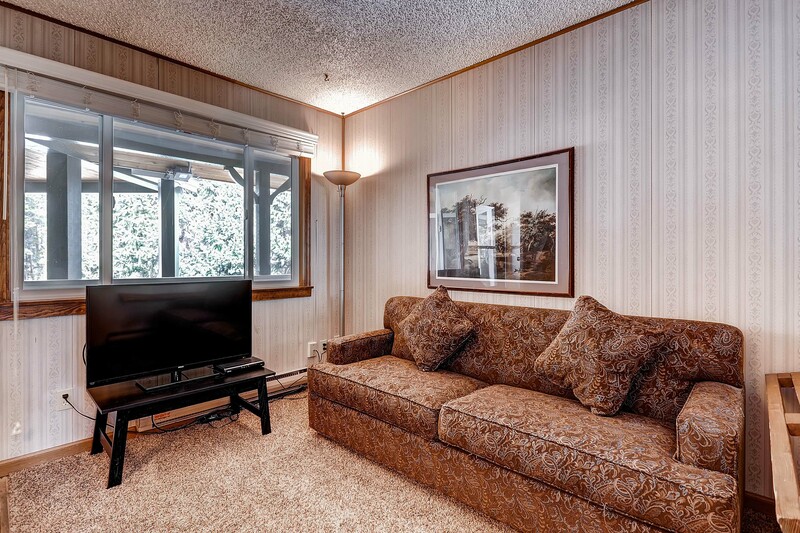 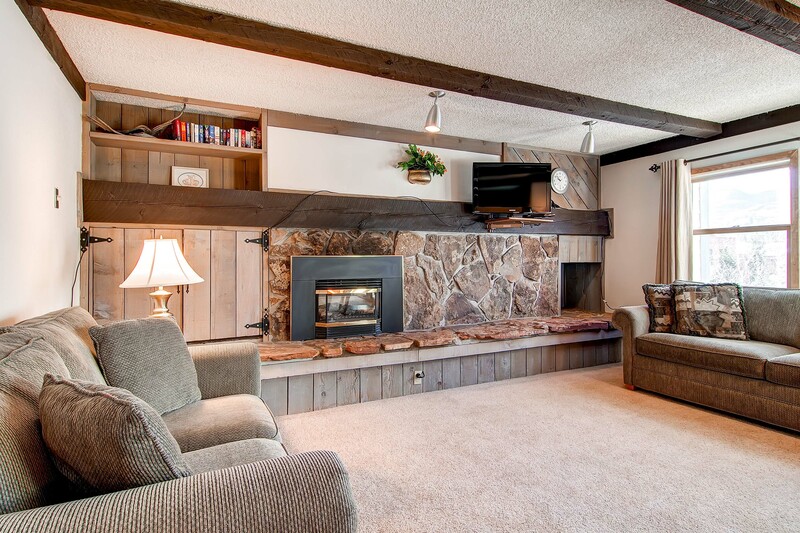 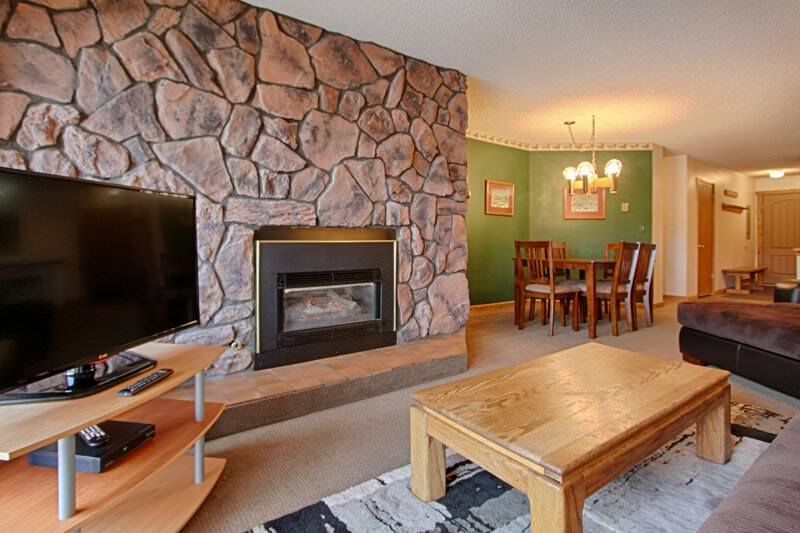 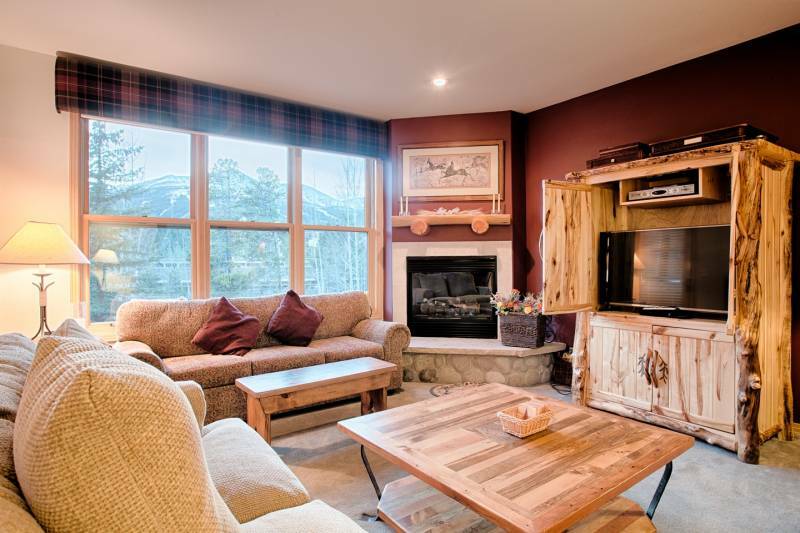 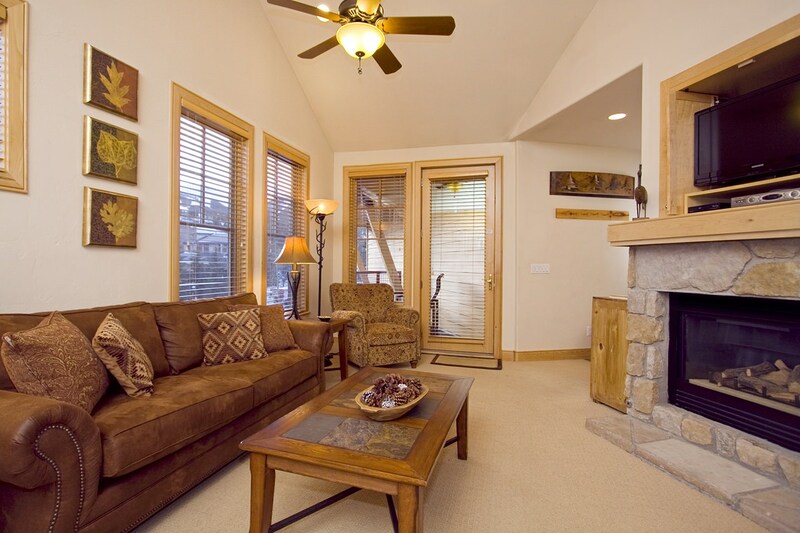 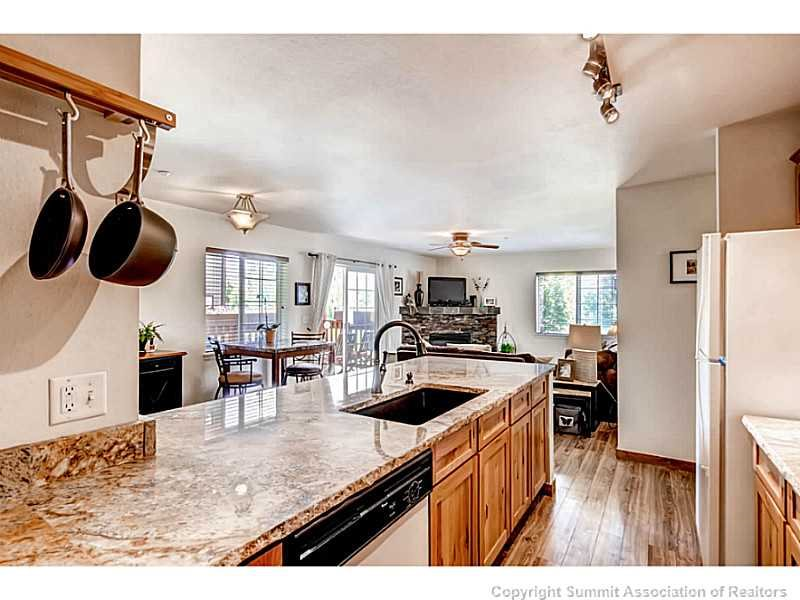 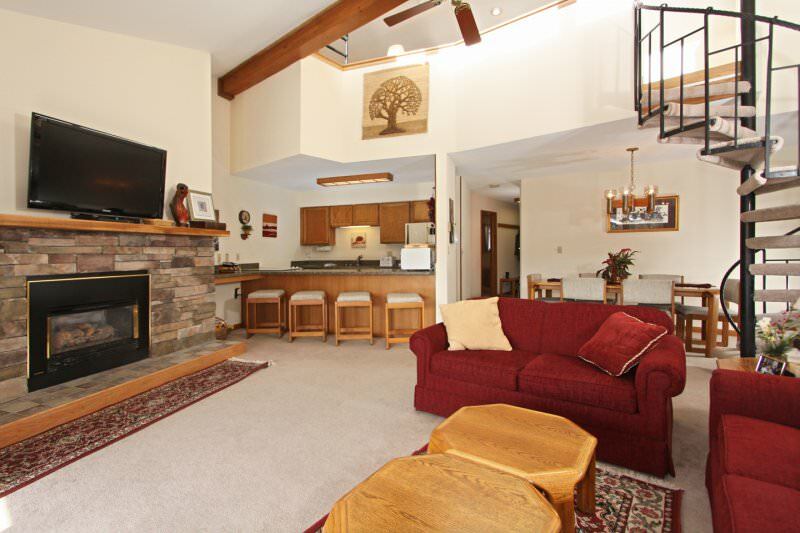 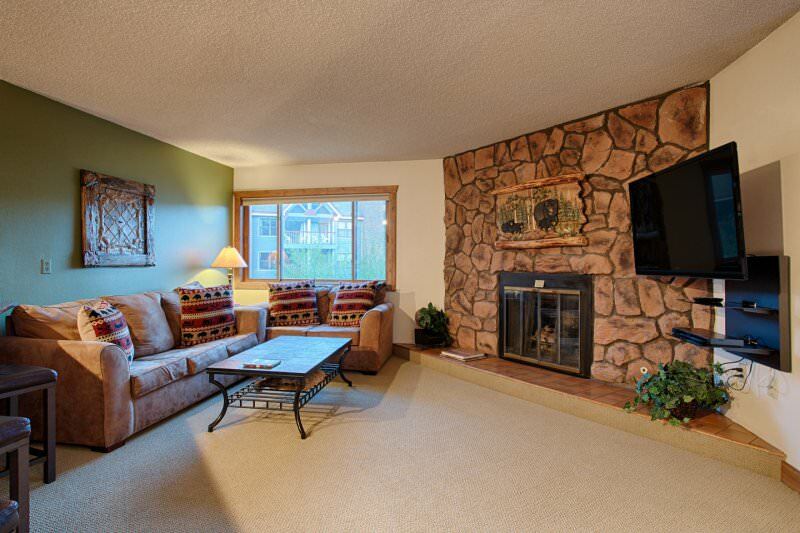 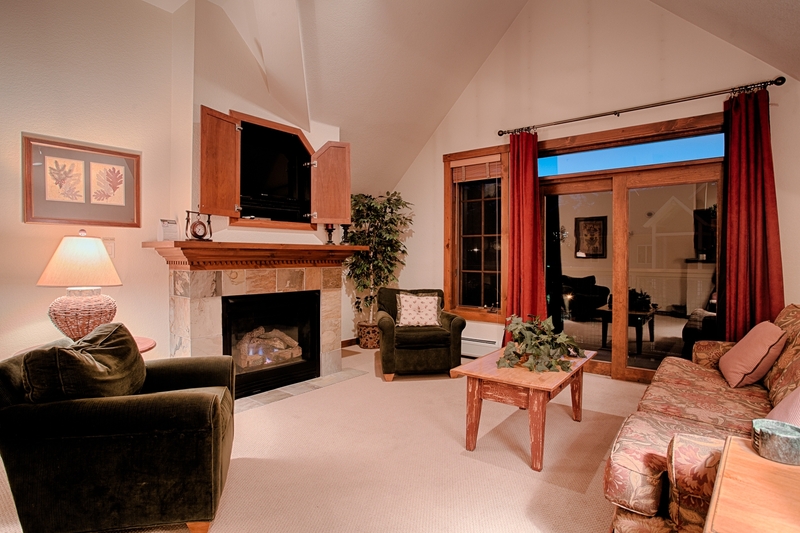 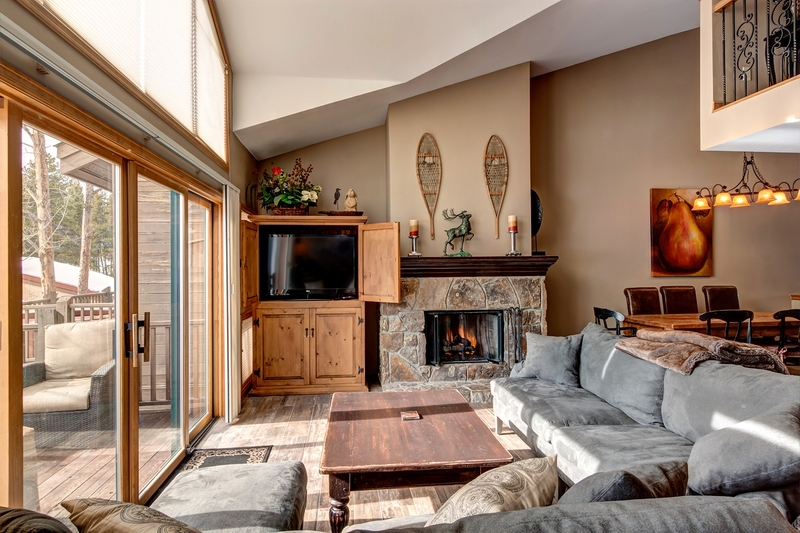 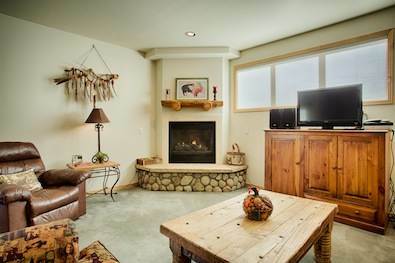 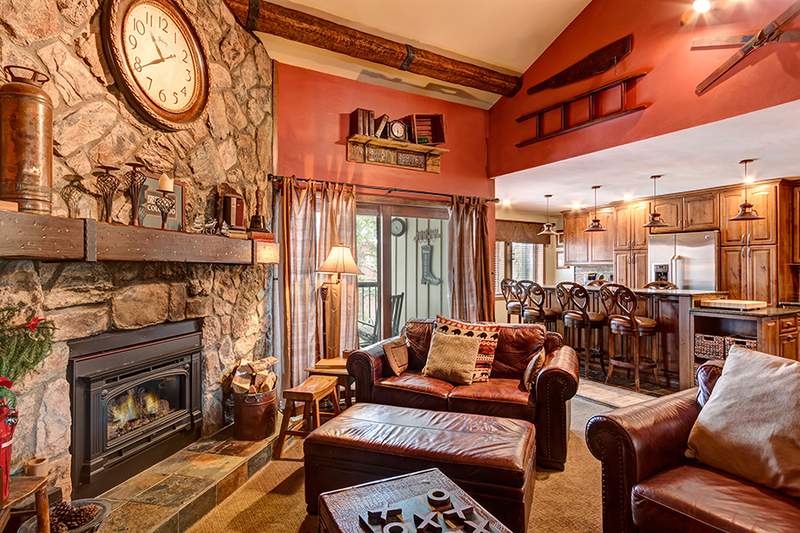 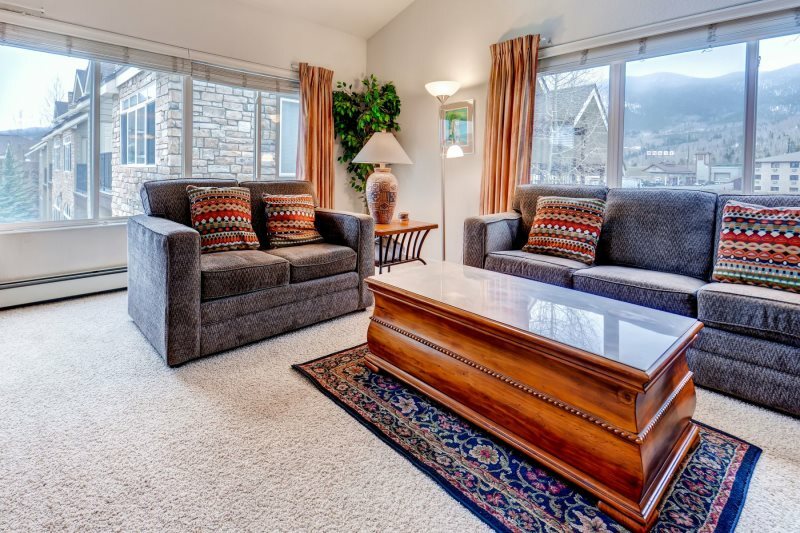 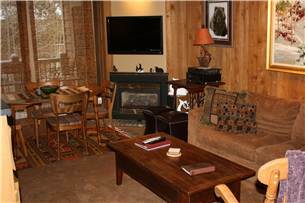 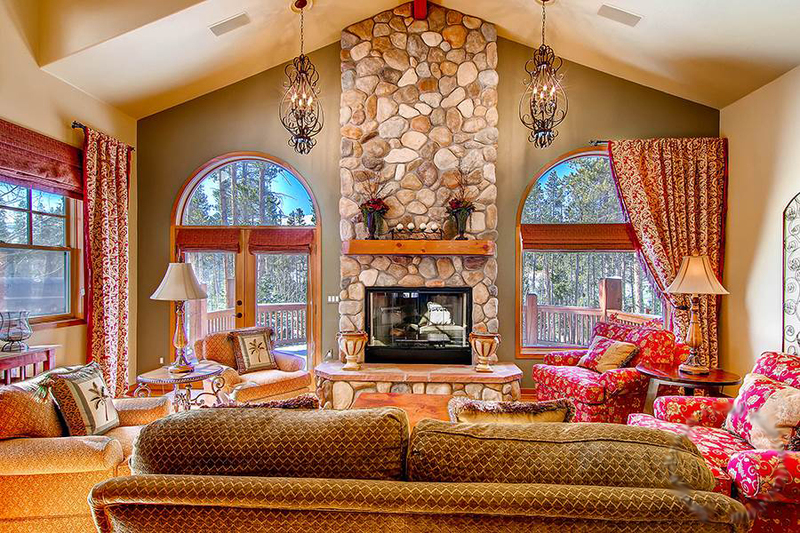 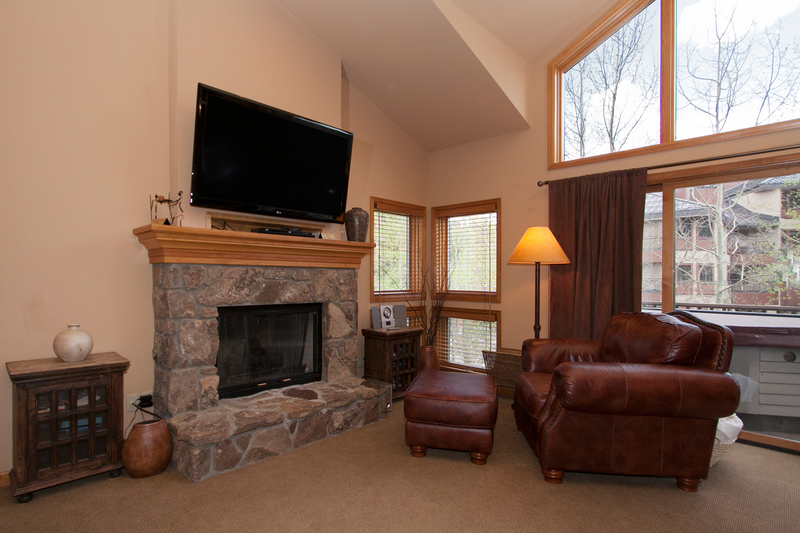 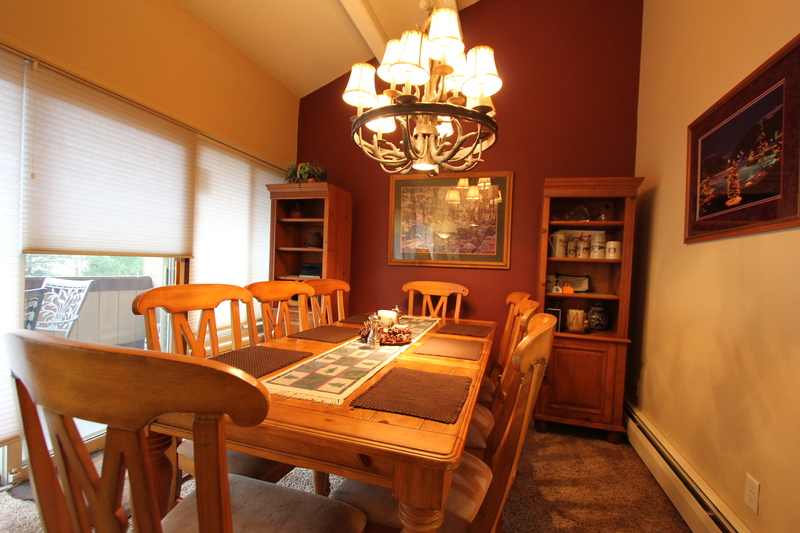 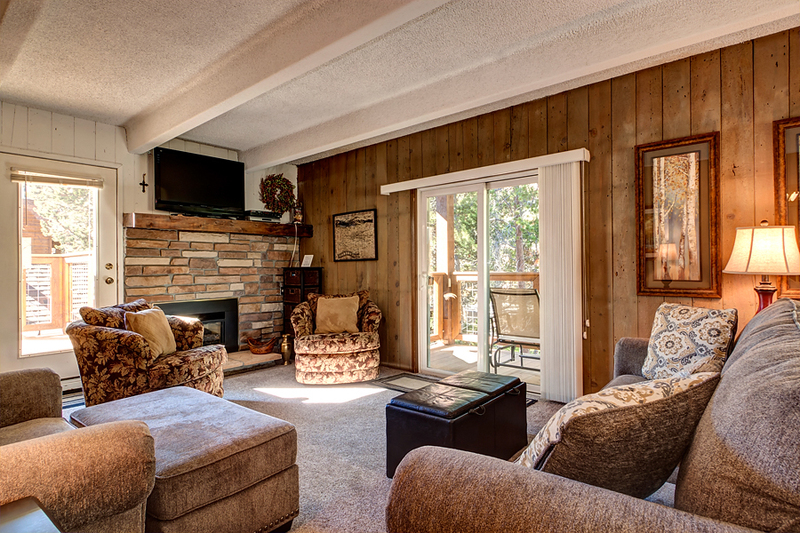 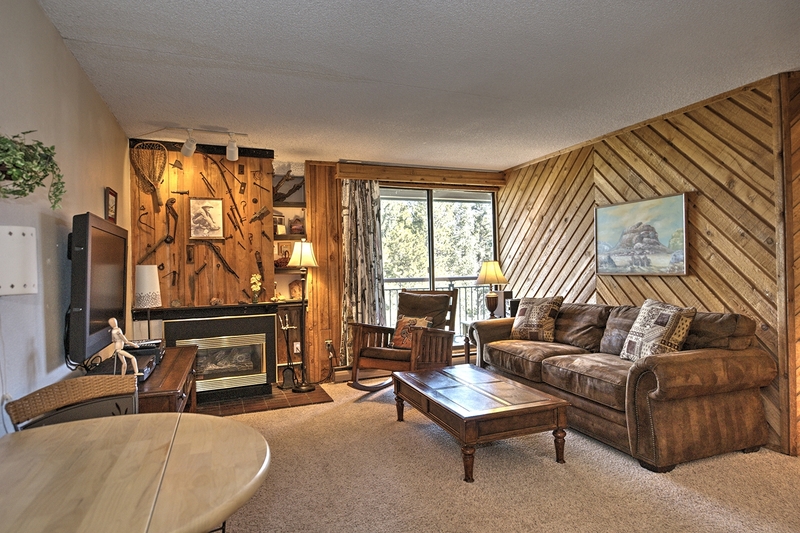 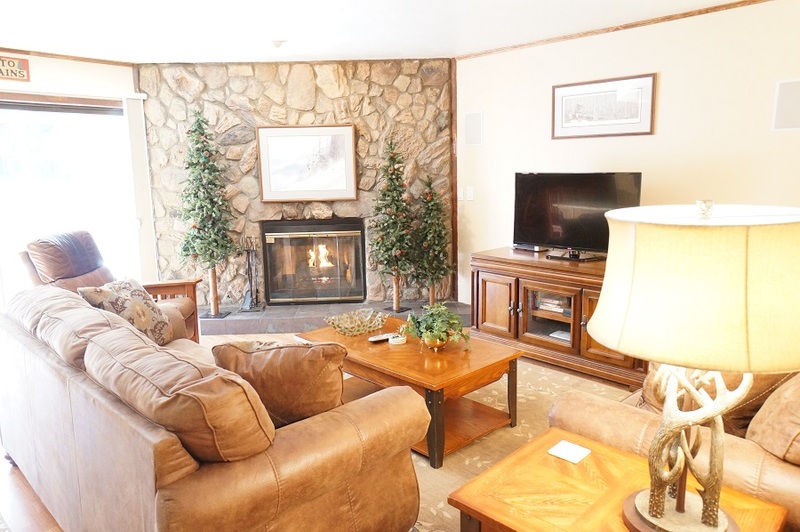 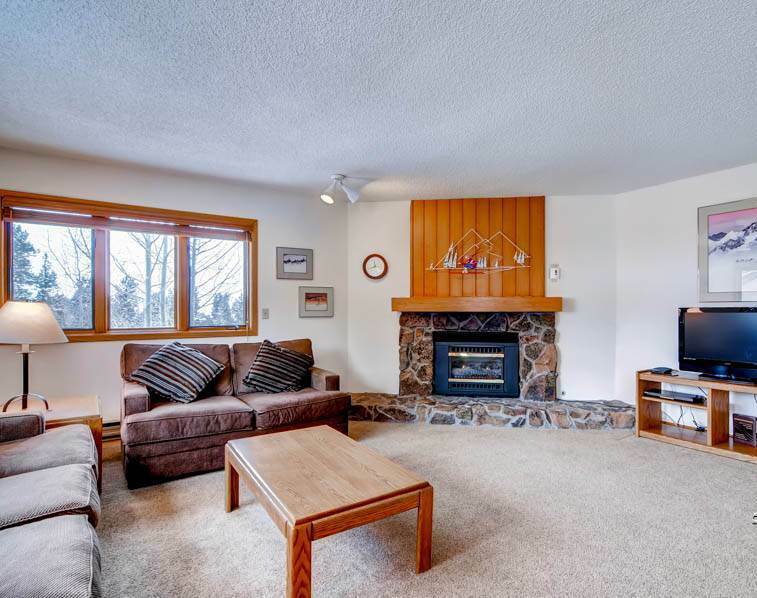 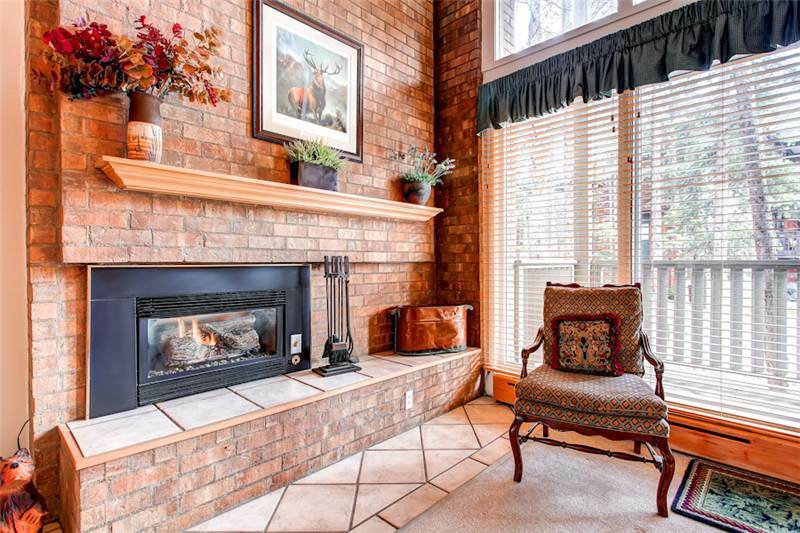 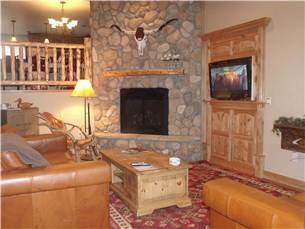 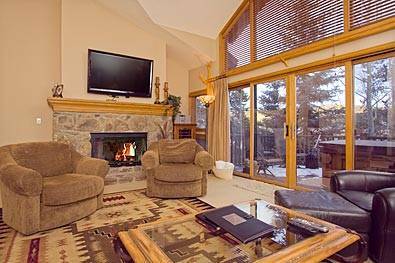 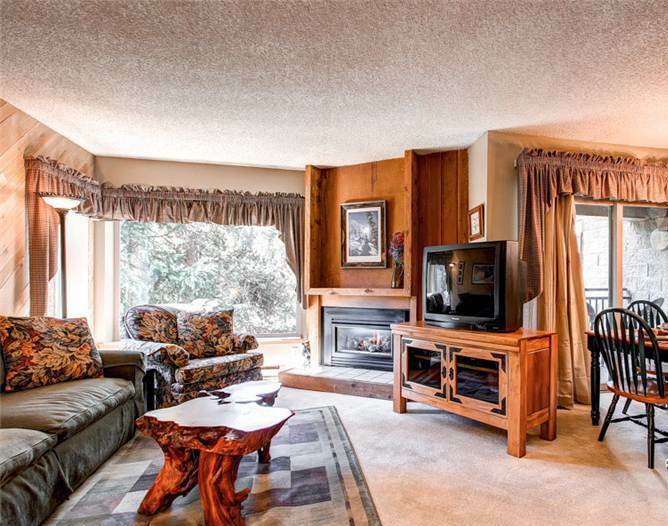 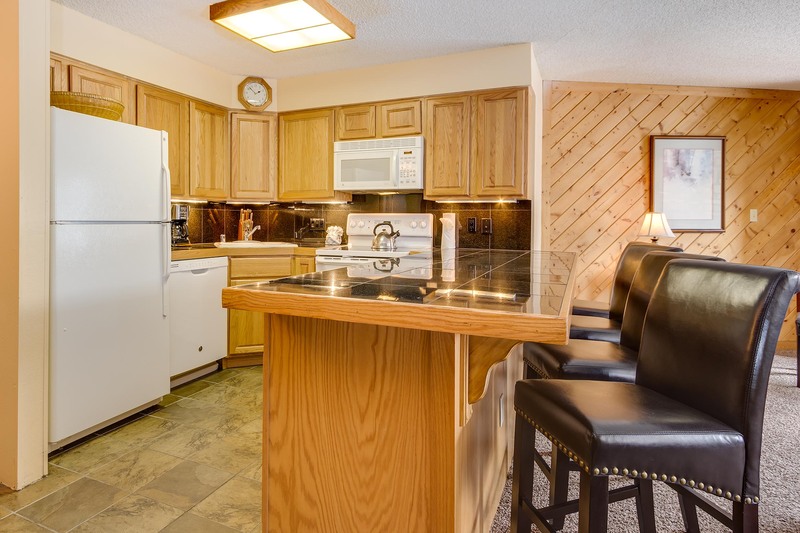 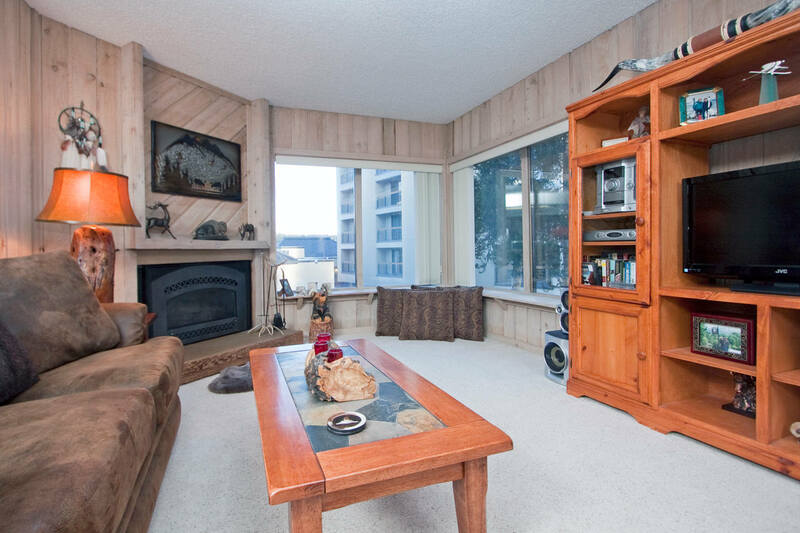 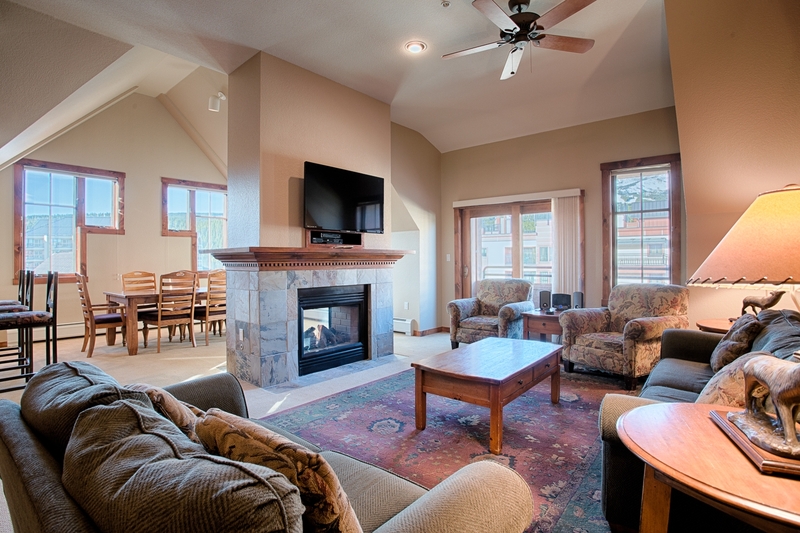 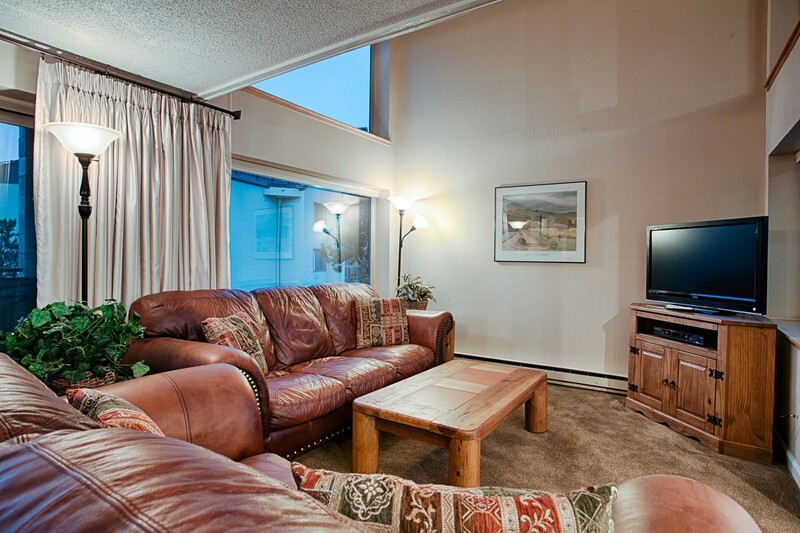 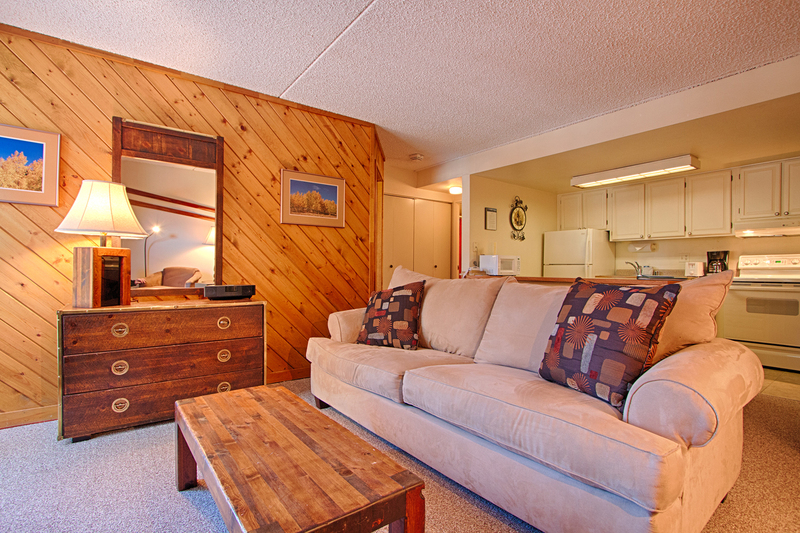 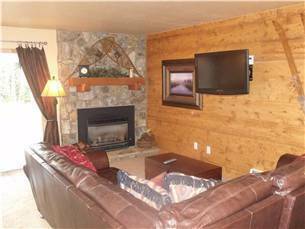 Sip hot cocoa as you sit before the gas fireplace or sip something a little stronger in the private outdoor hot tub. 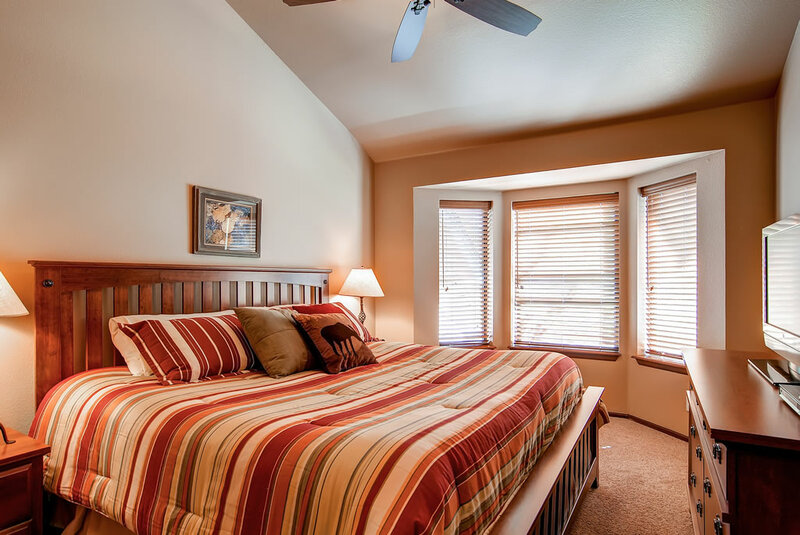 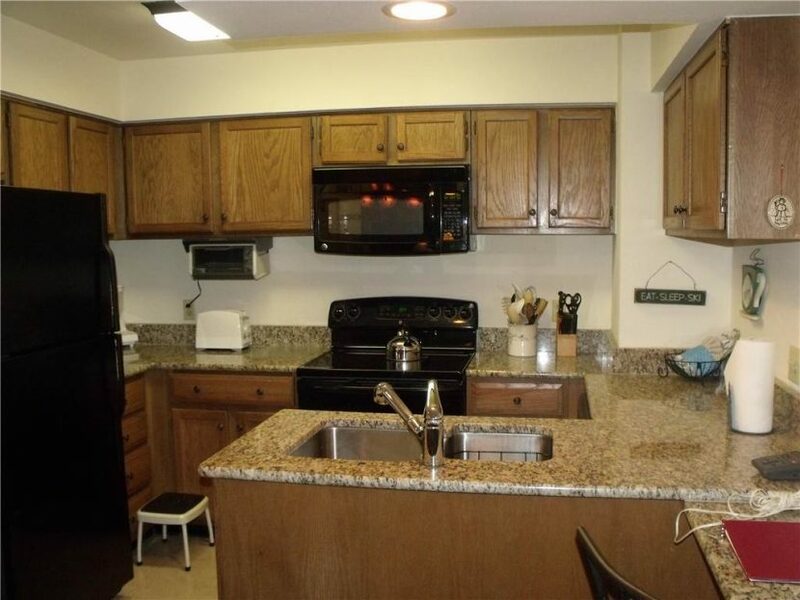 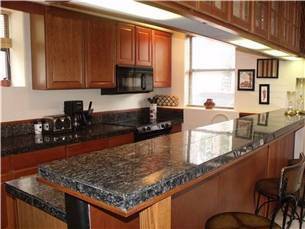 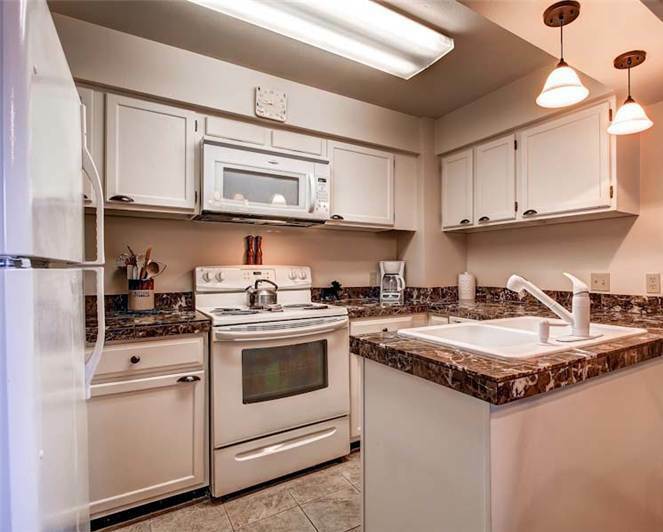 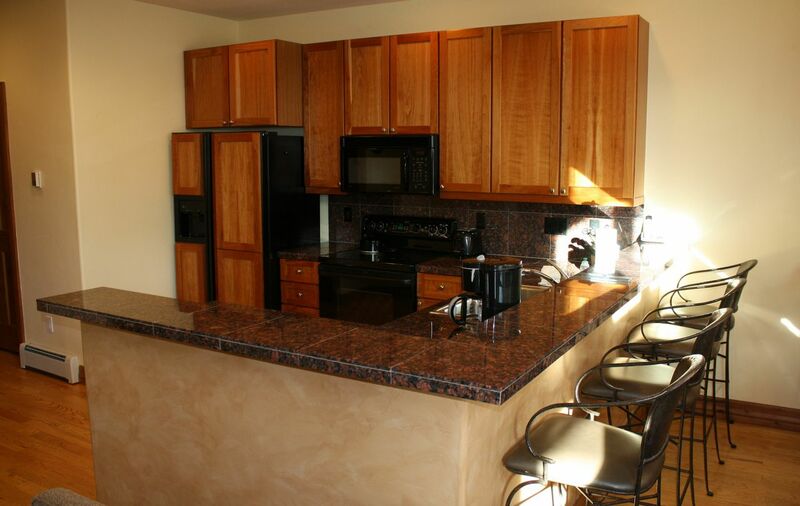 Additionally, you’ll have access to on-site laundry facilities and a private garage with additional parking in the driveway.